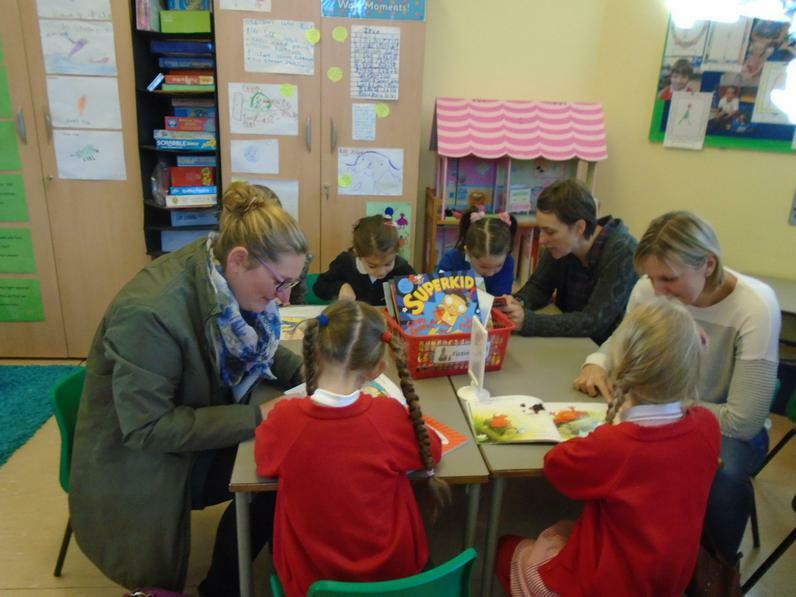 Our teachers are Mrs Elbourne, Mrs Turner and Miss Bremner. 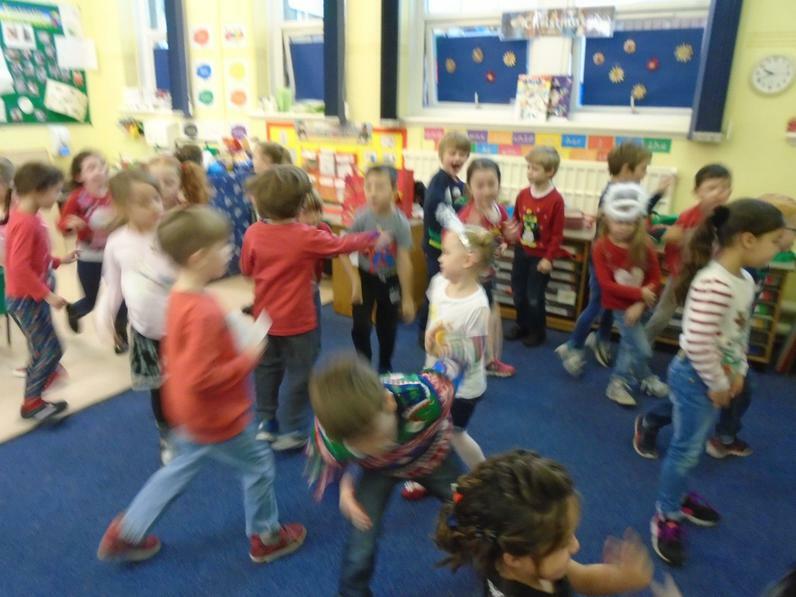 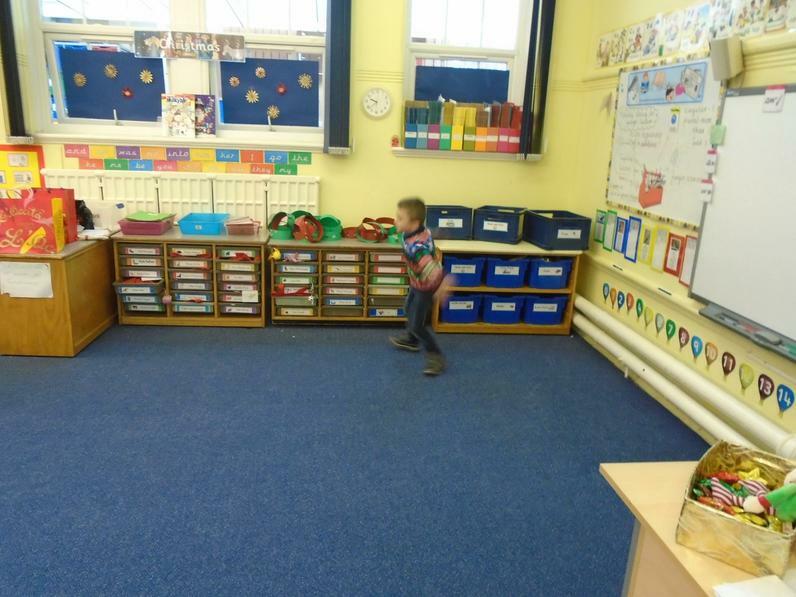 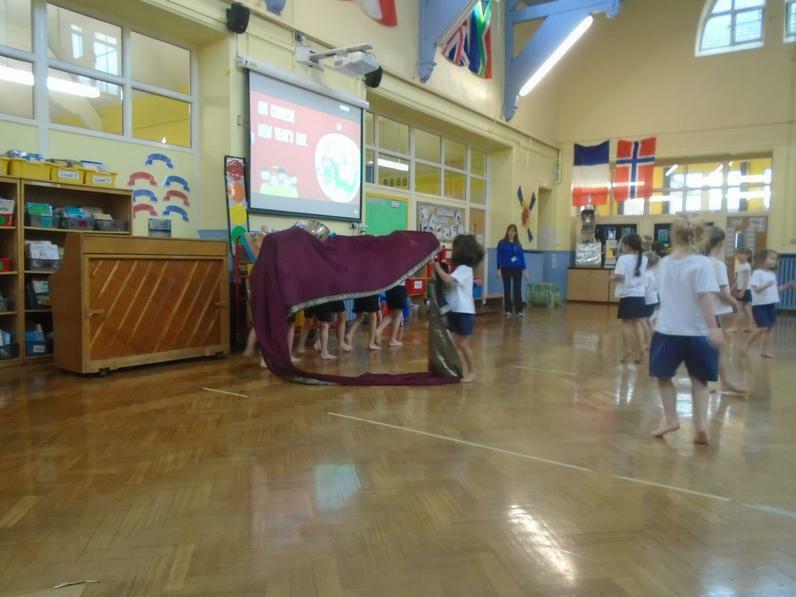 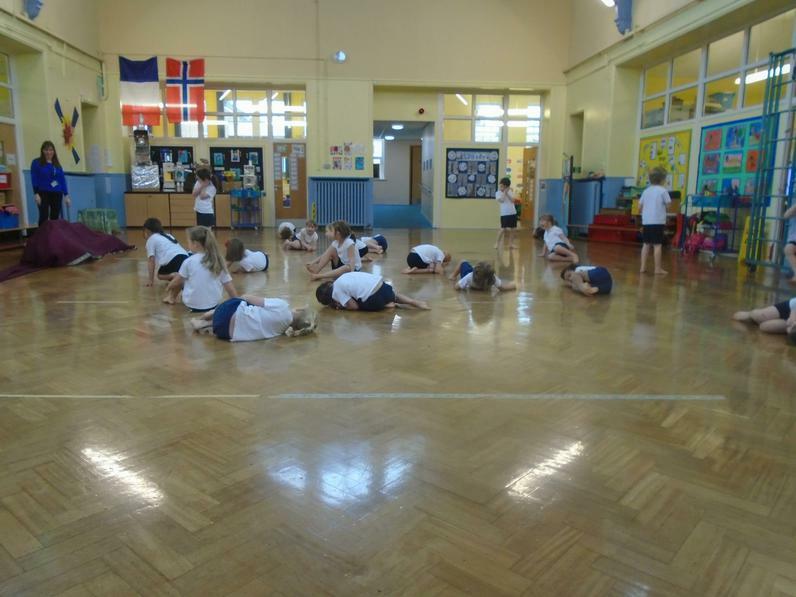 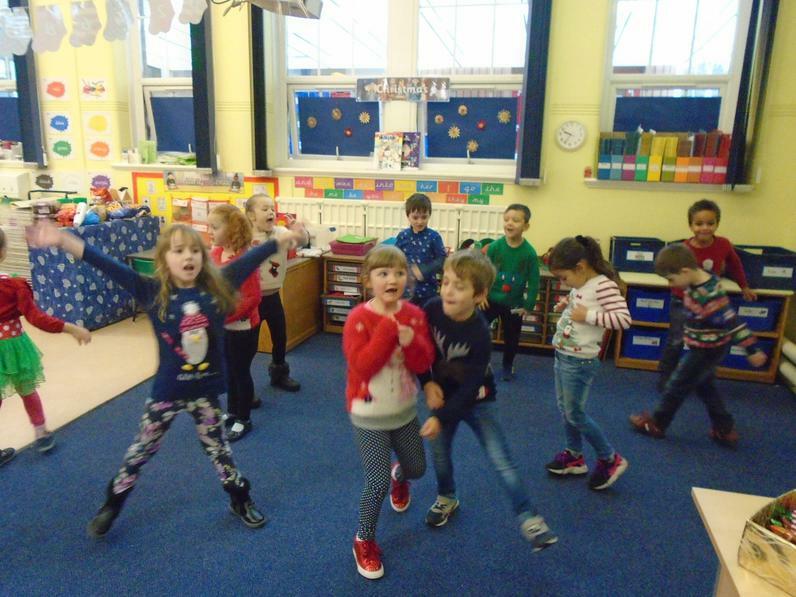 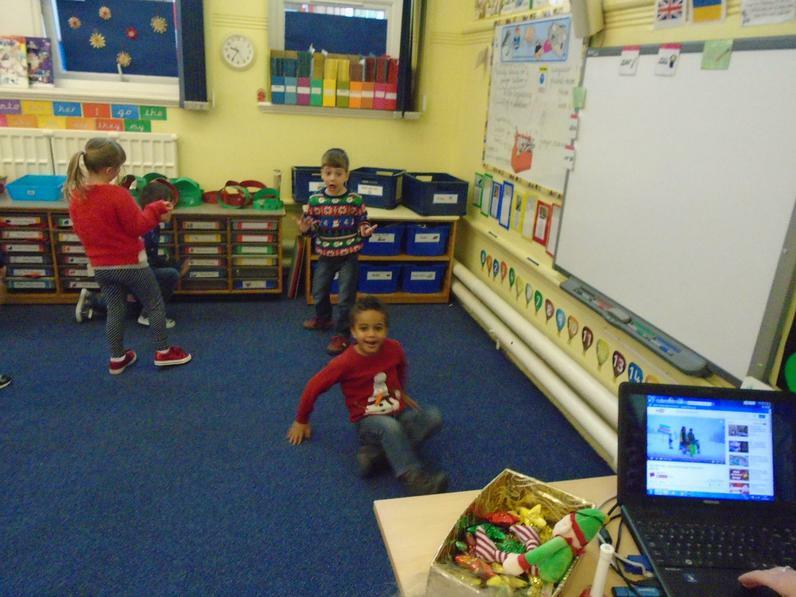 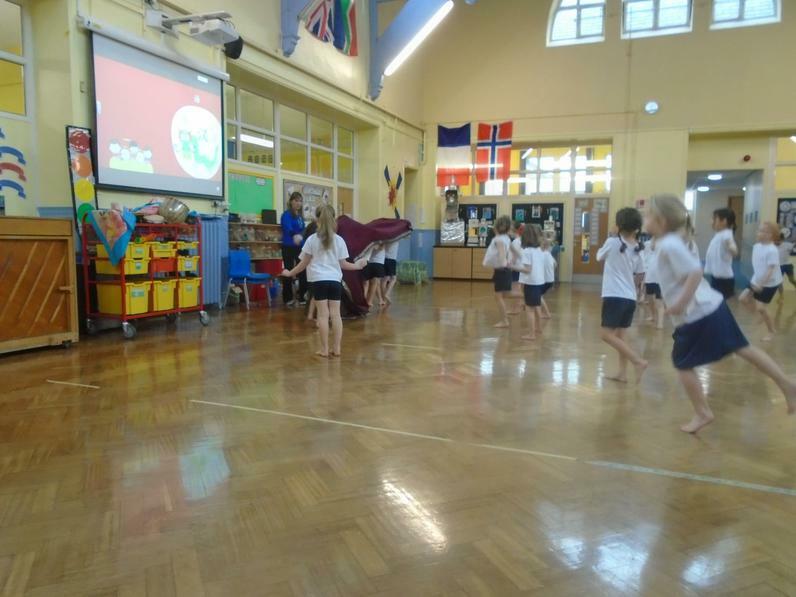 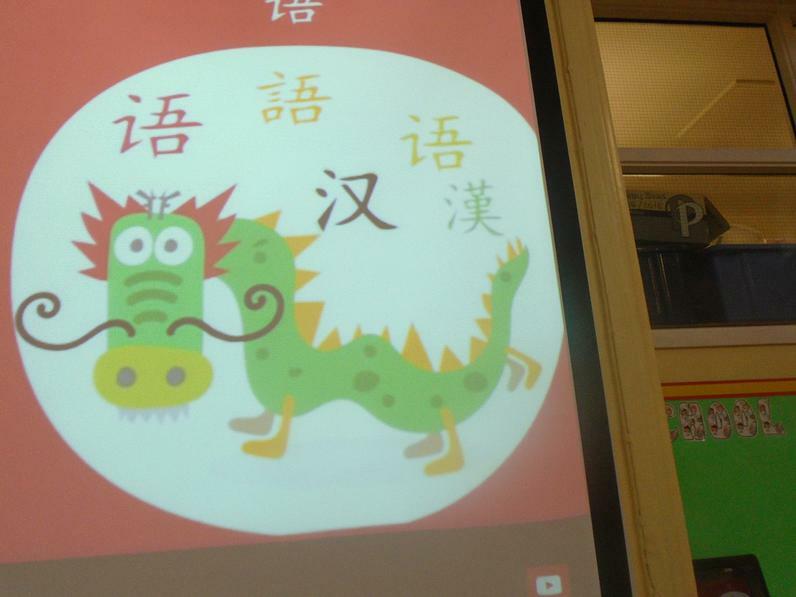 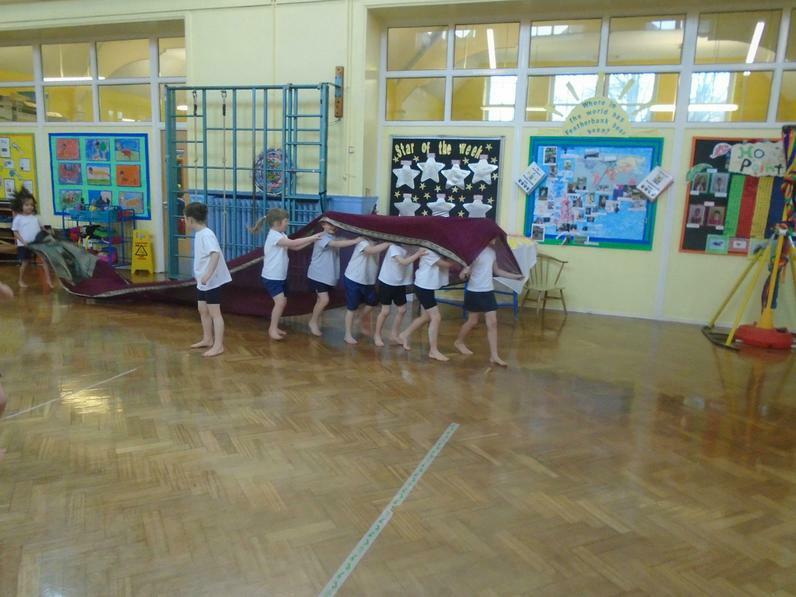 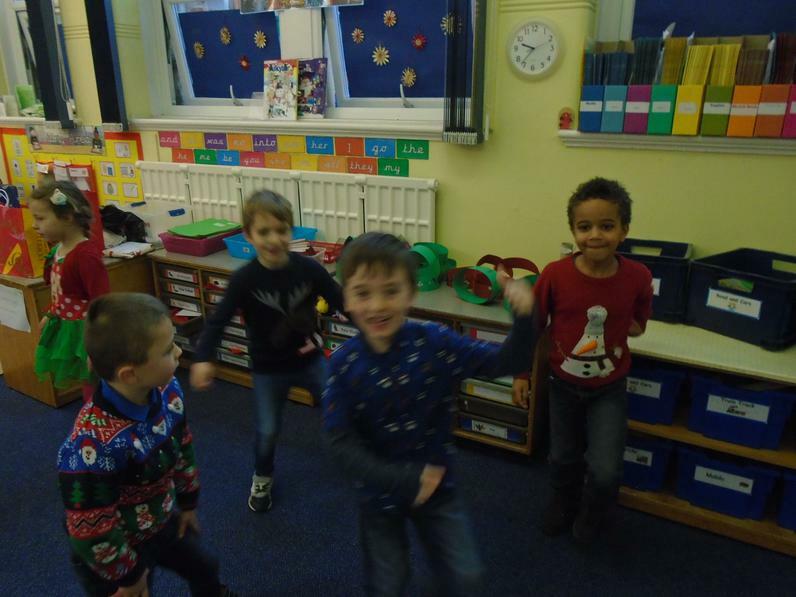 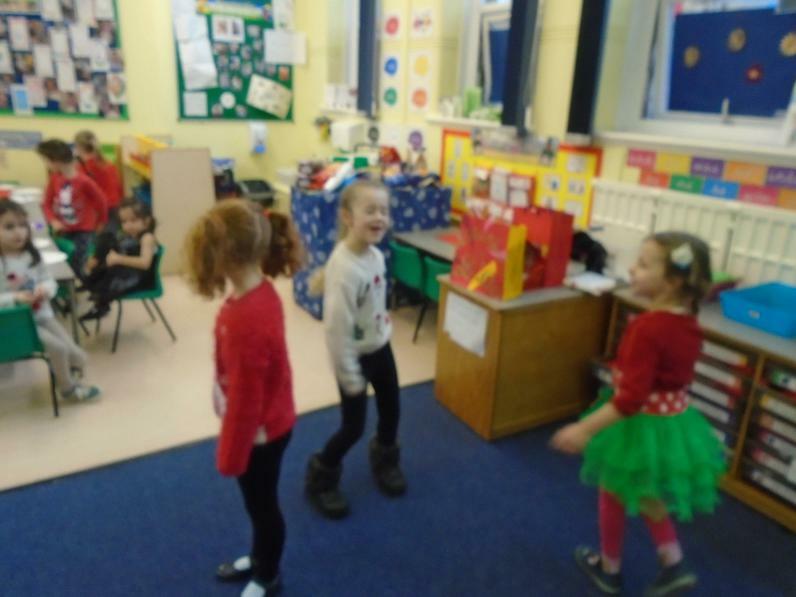 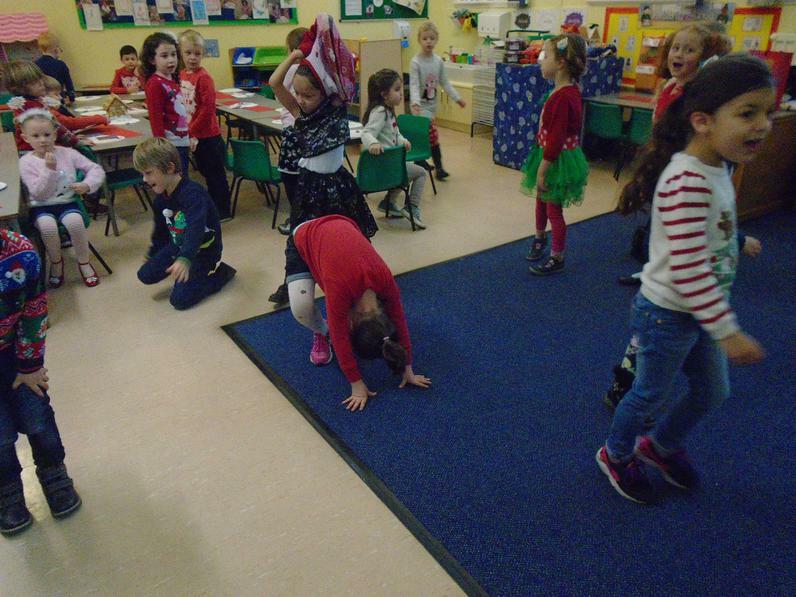 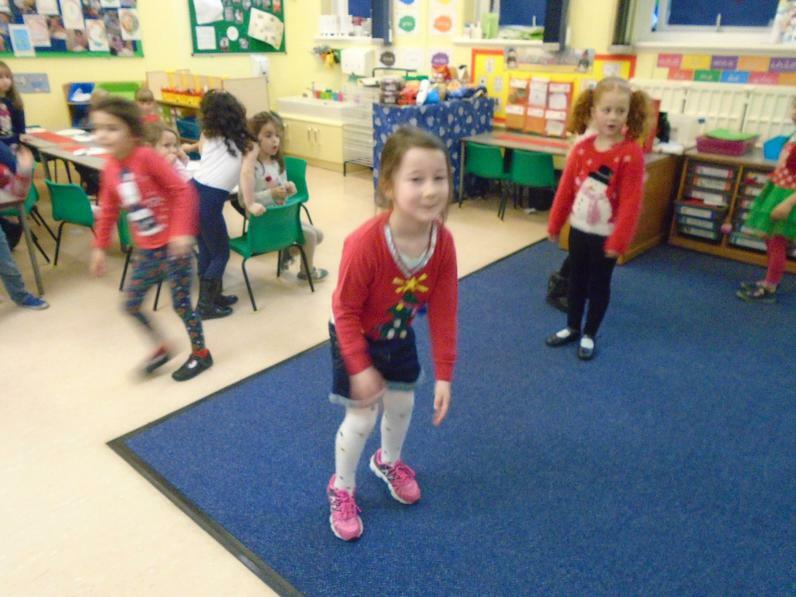 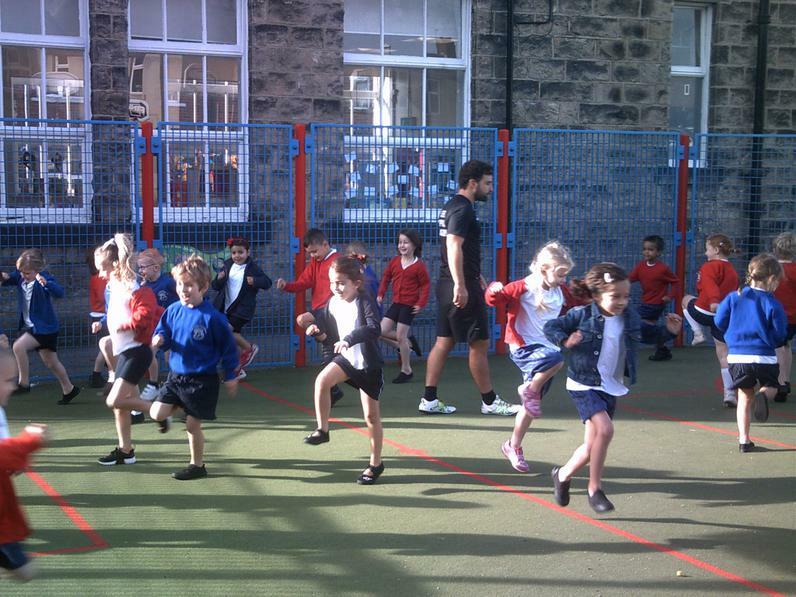 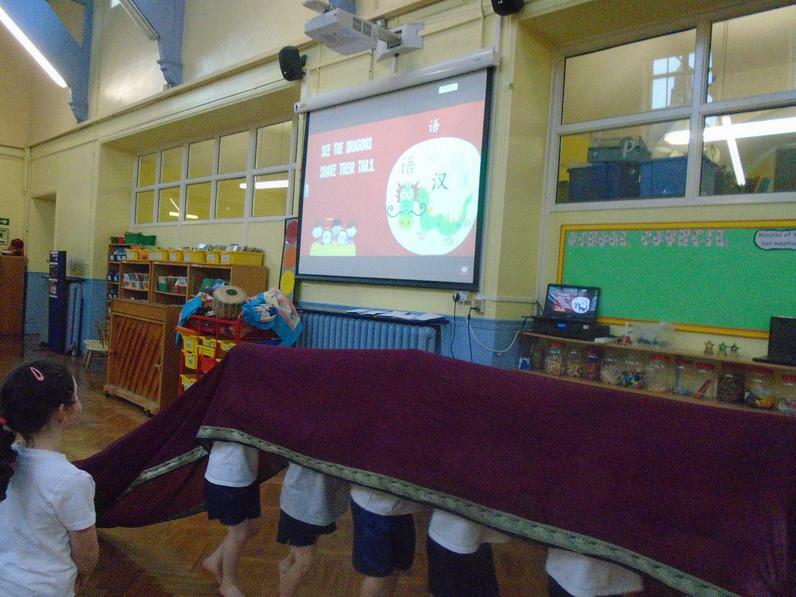 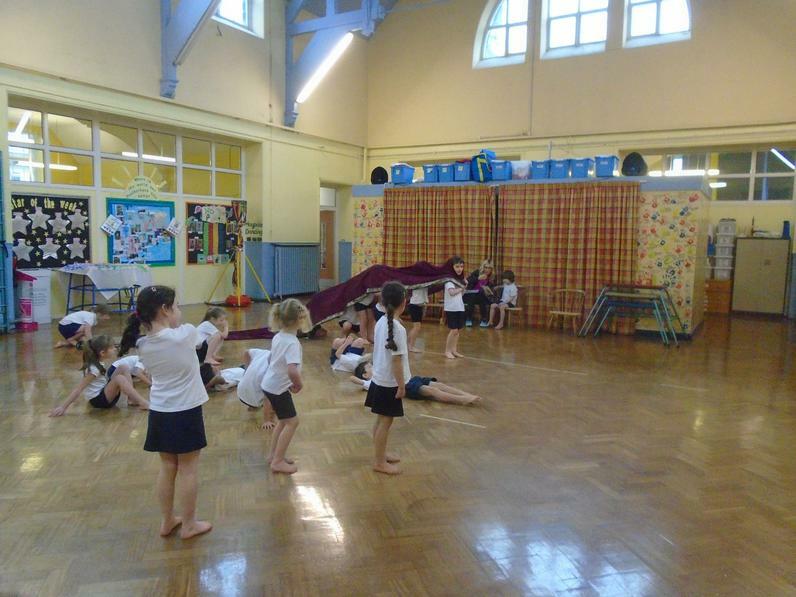 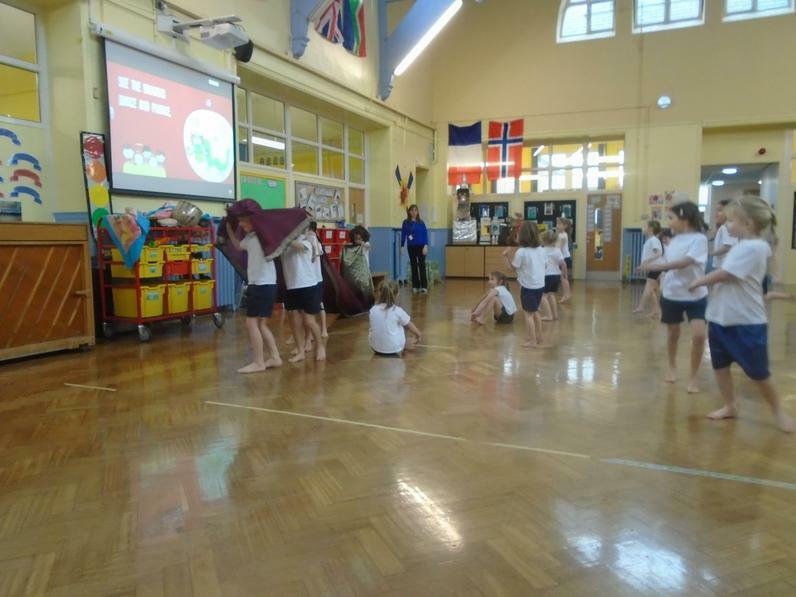 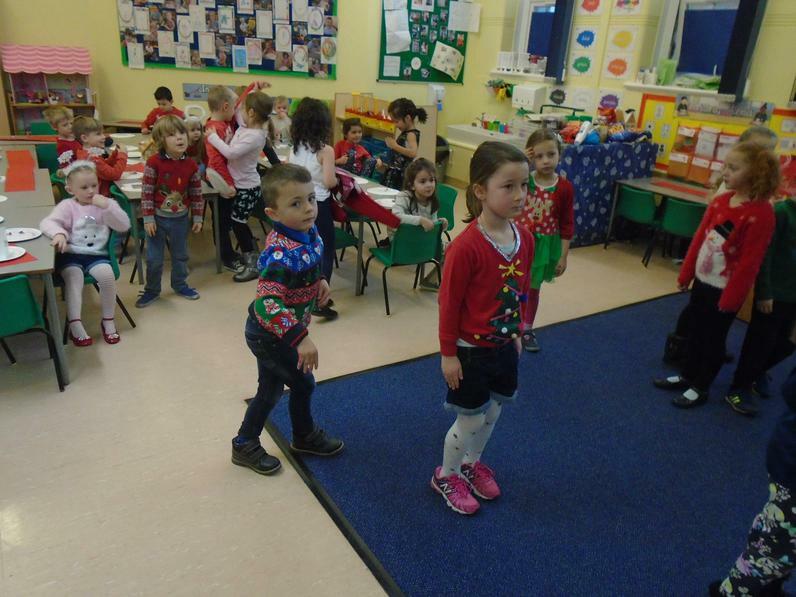 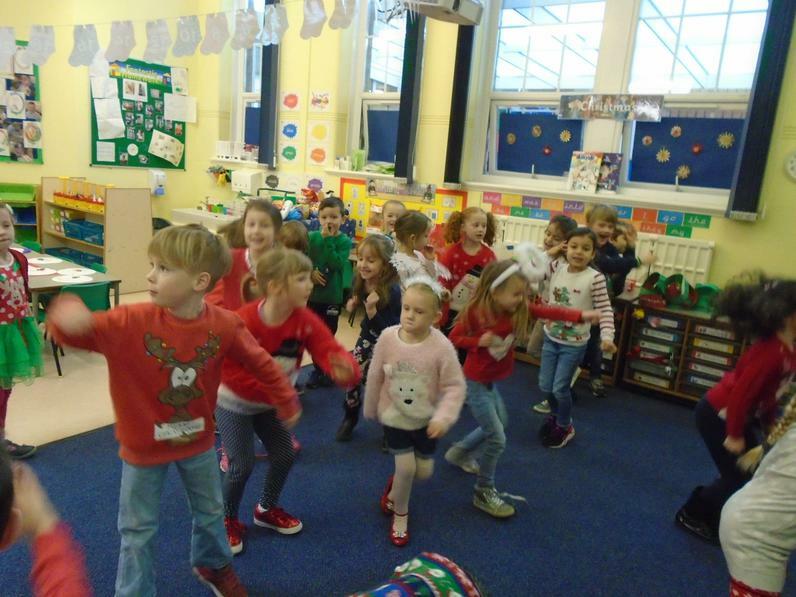 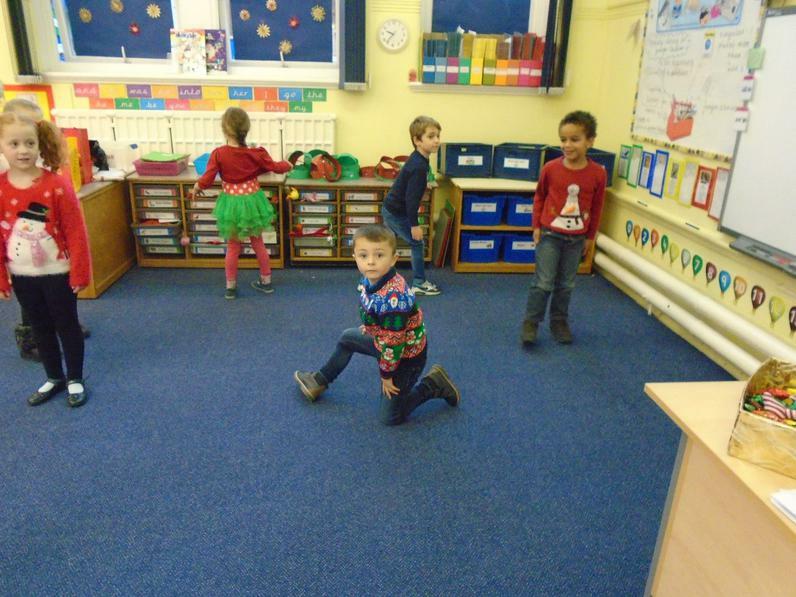 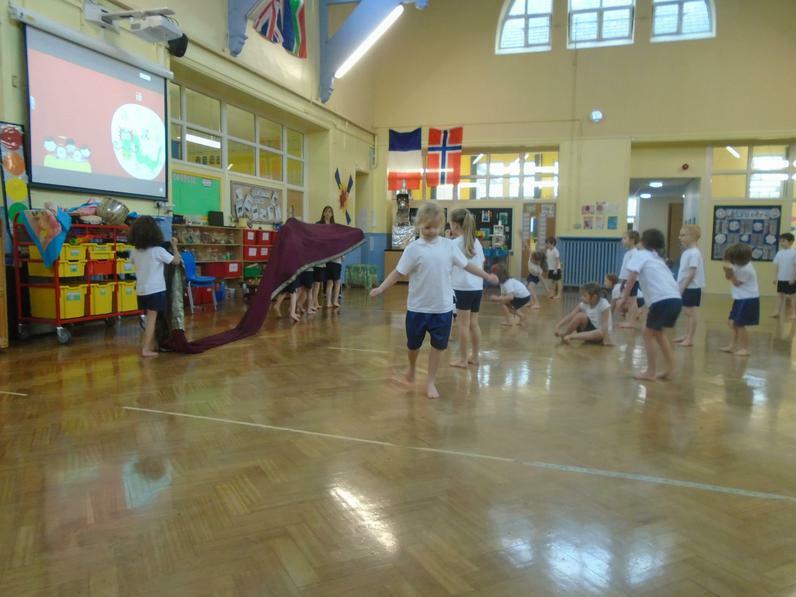 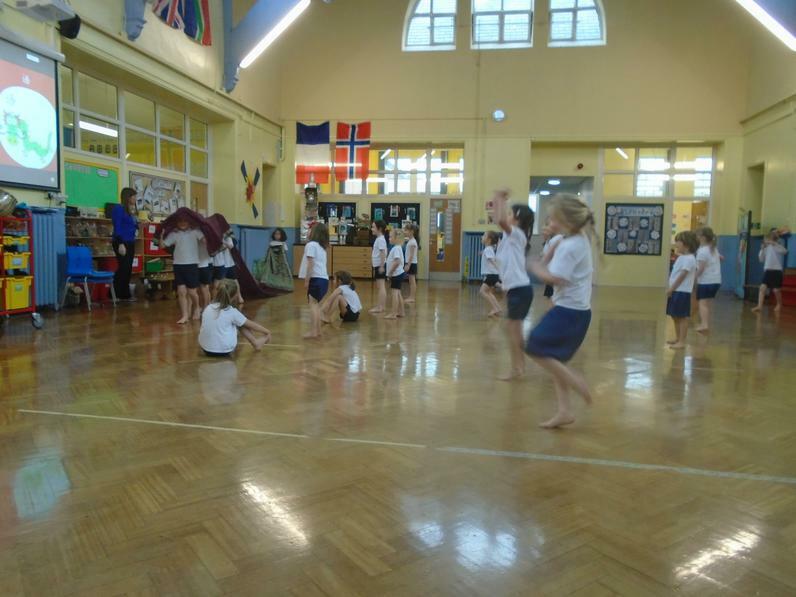 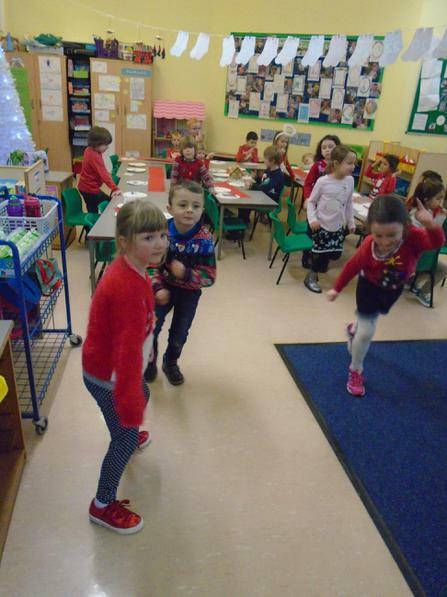 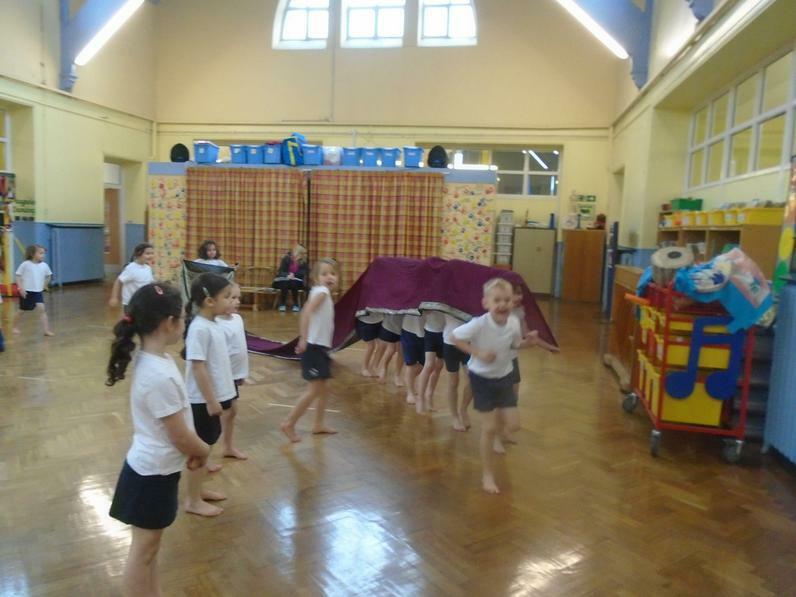 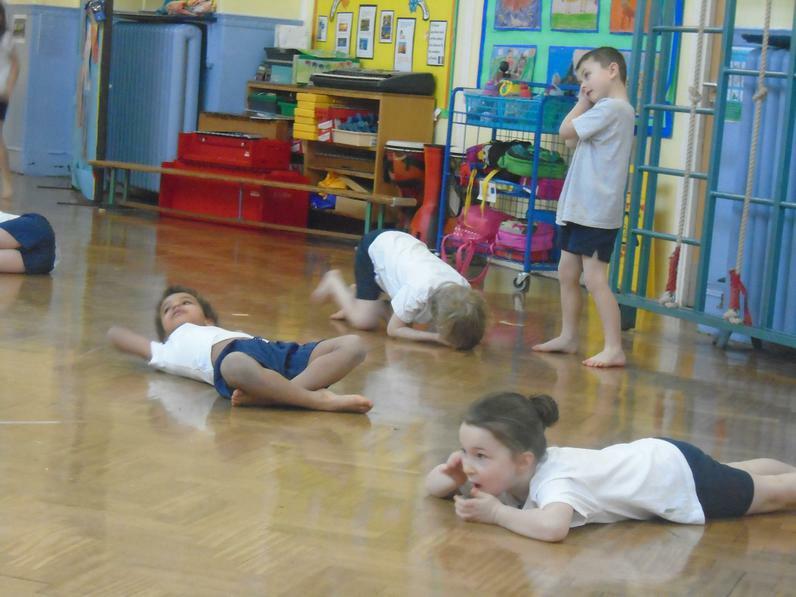 We enjoyed making a Chinese new year dragon dance in P.E. 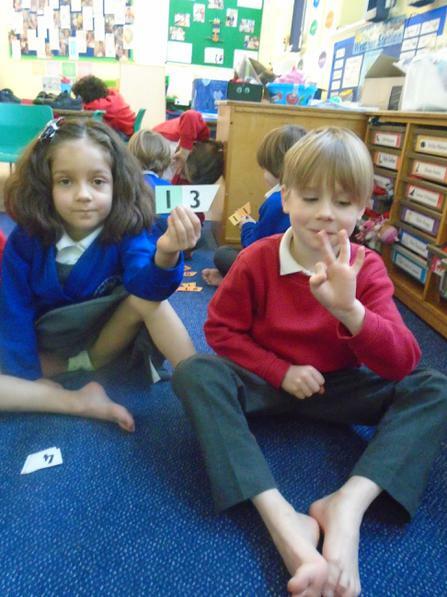 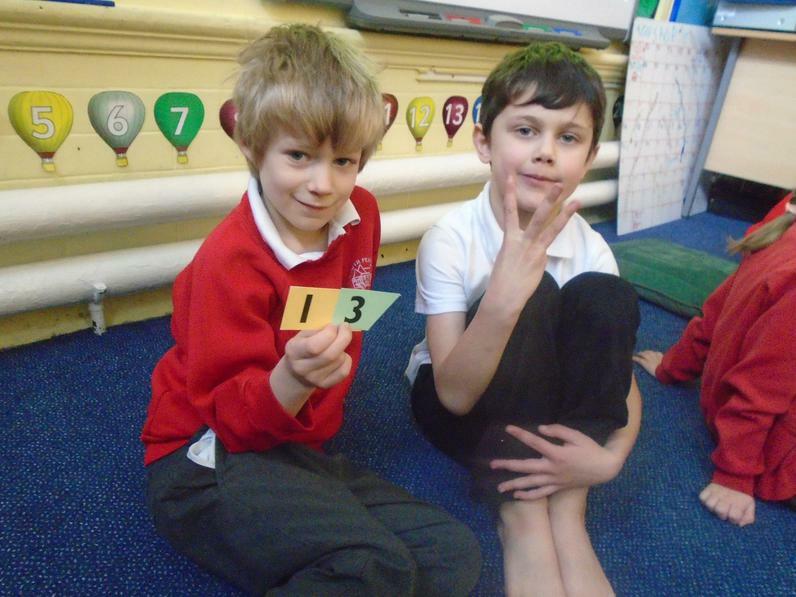 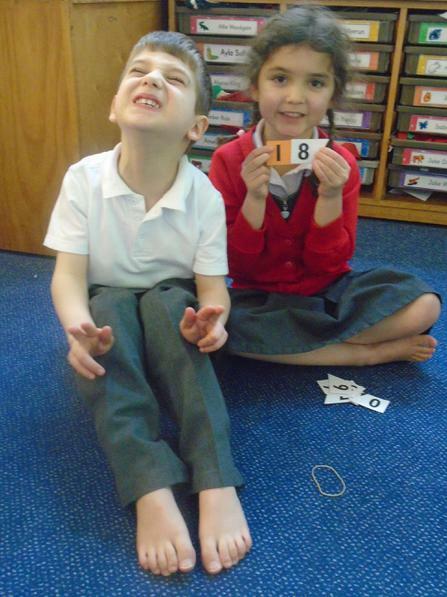 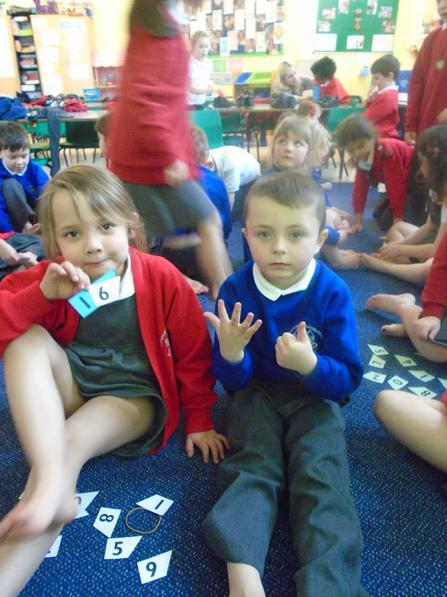 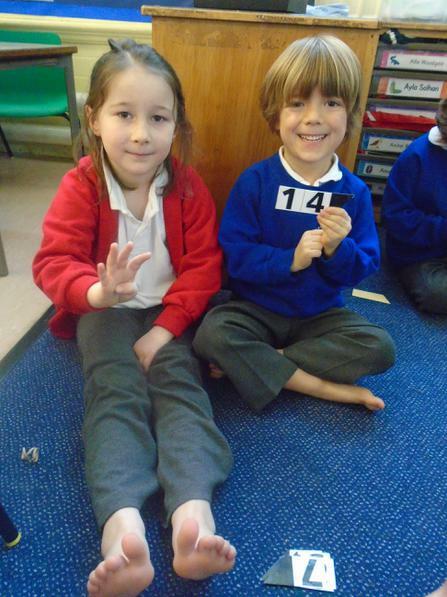 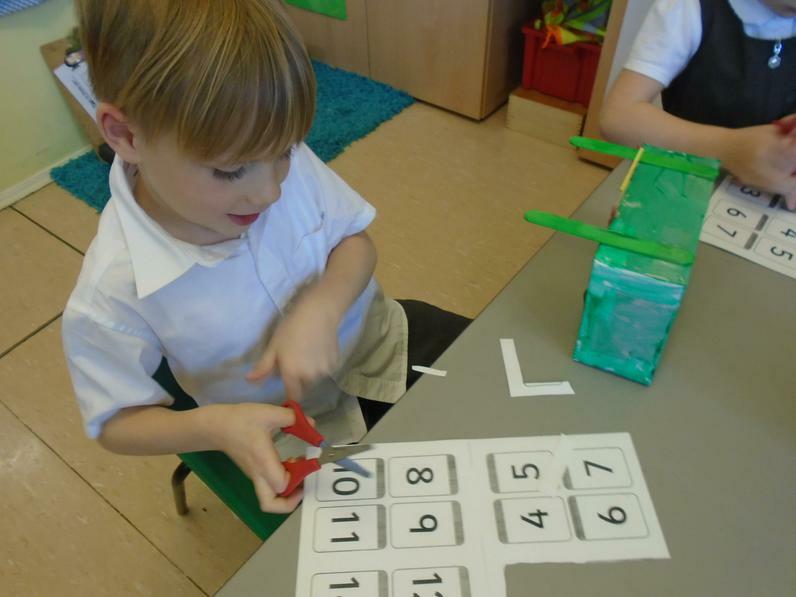 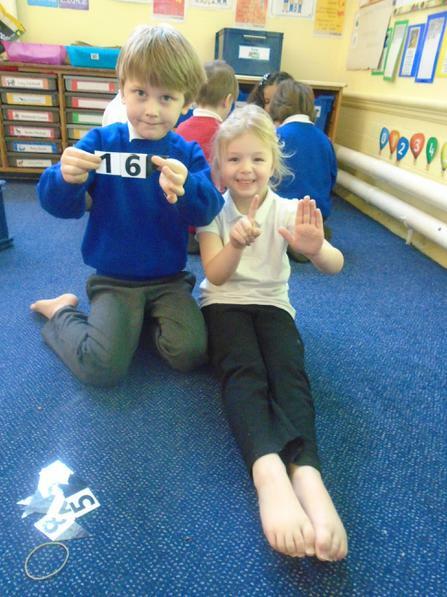 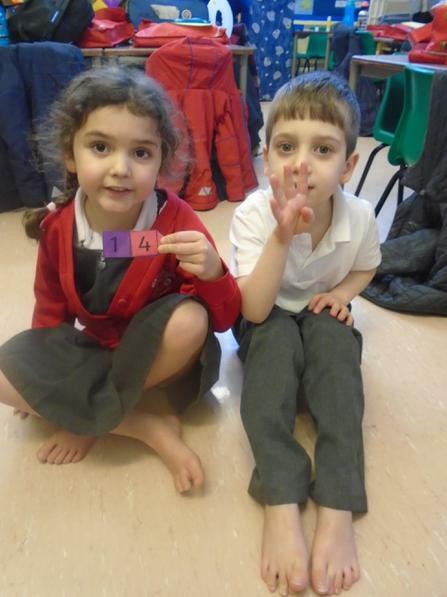 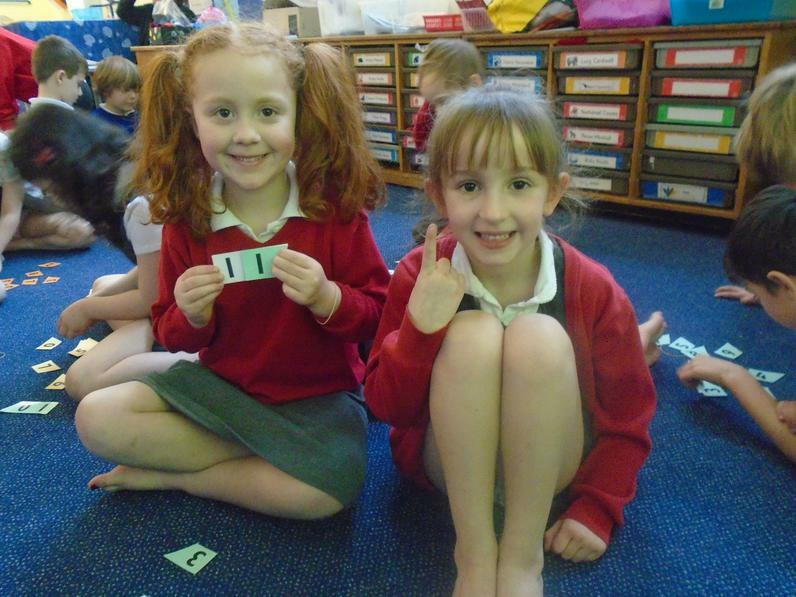 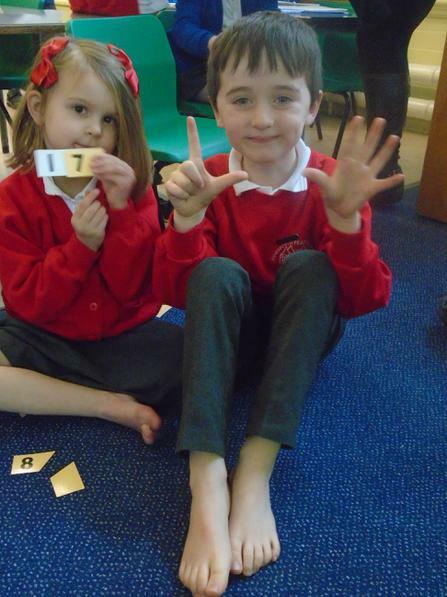 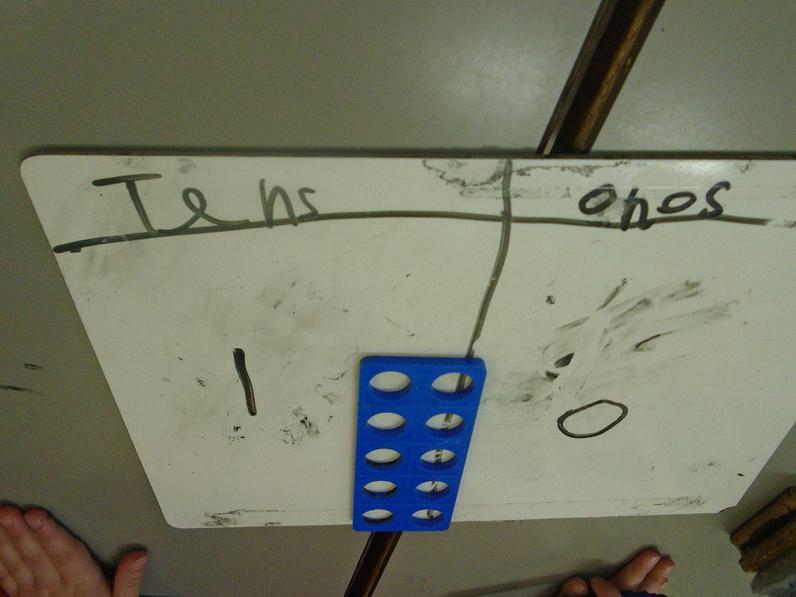 We used our fingers and toes to learn the place value of tens and ones. 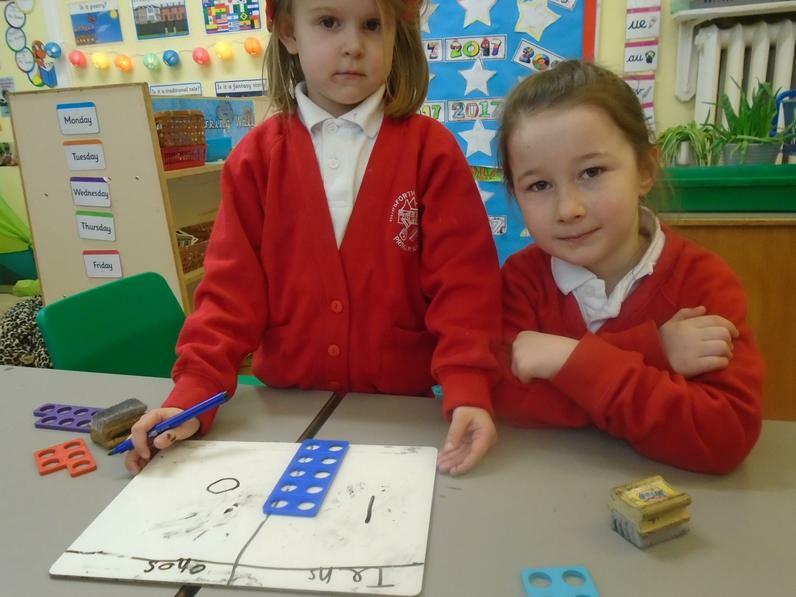 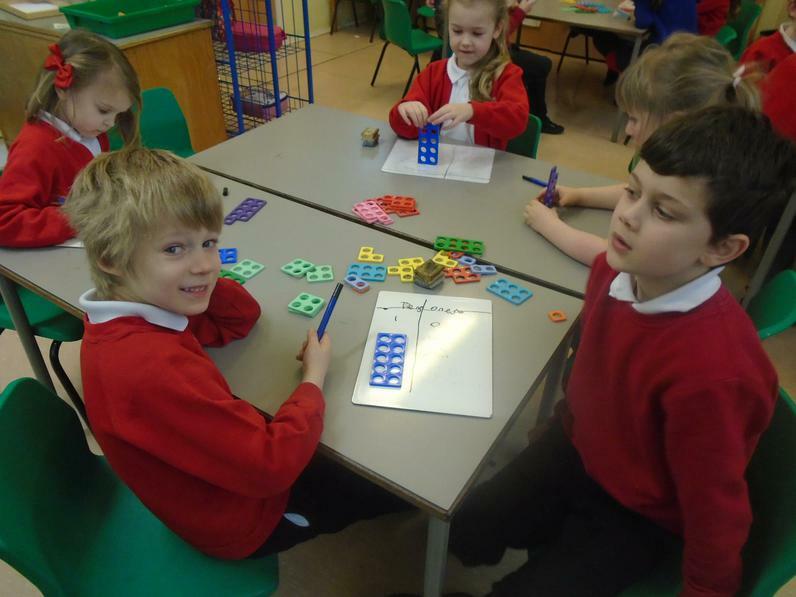 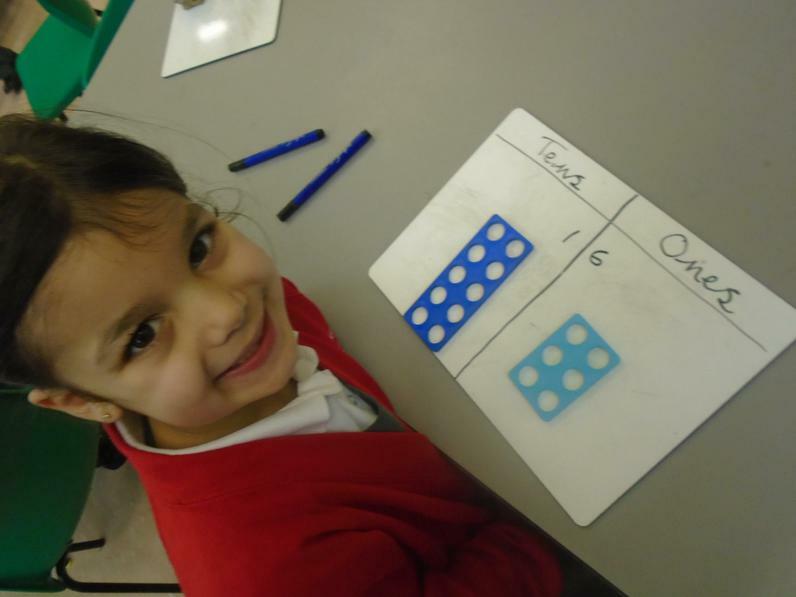 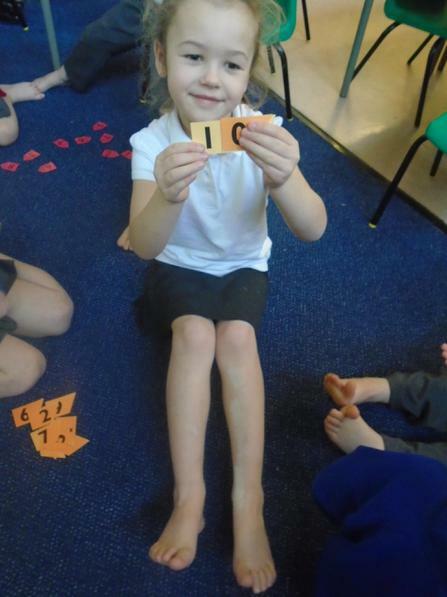 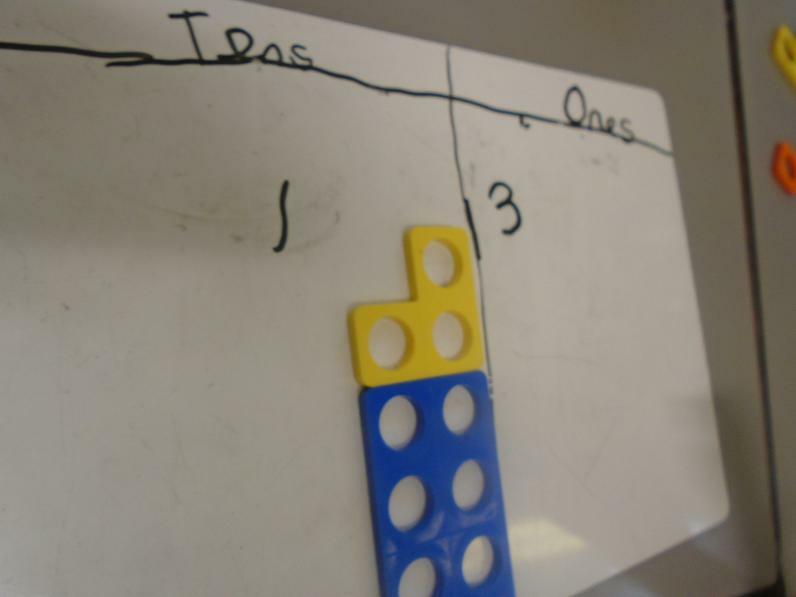 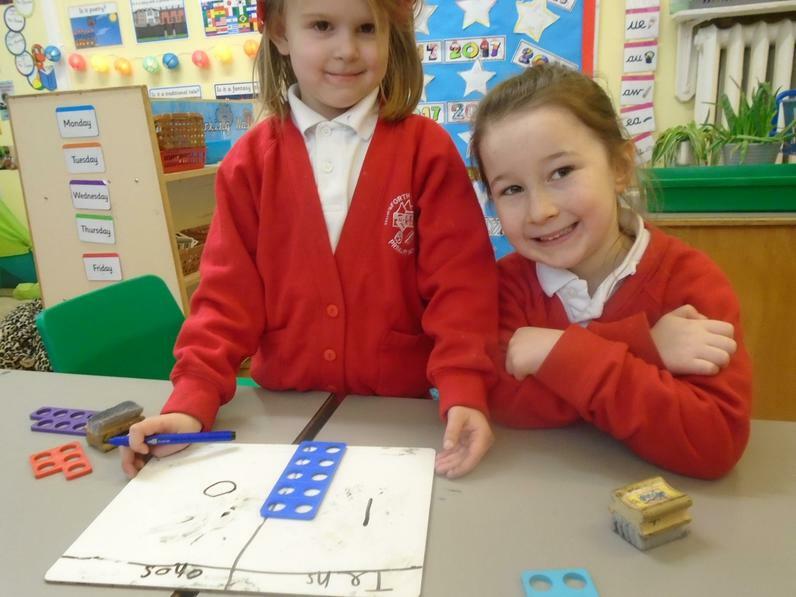 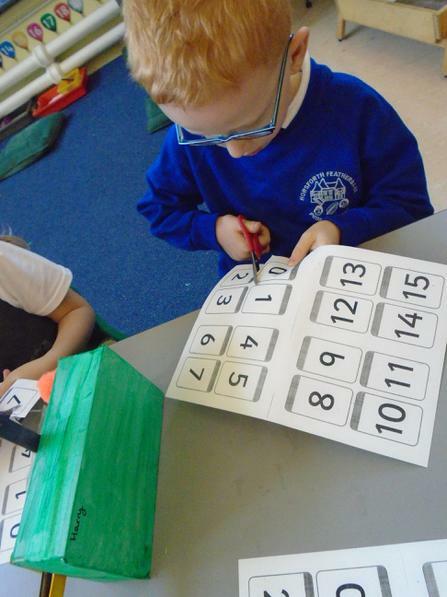 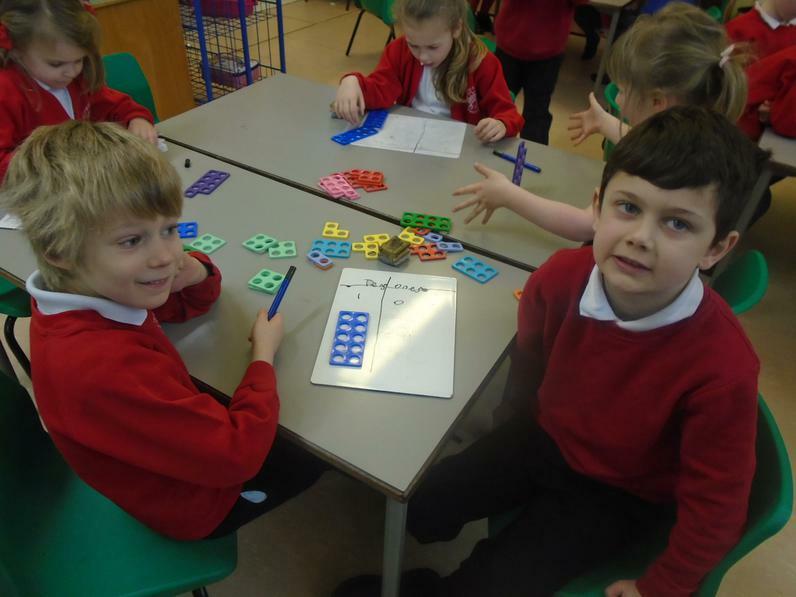 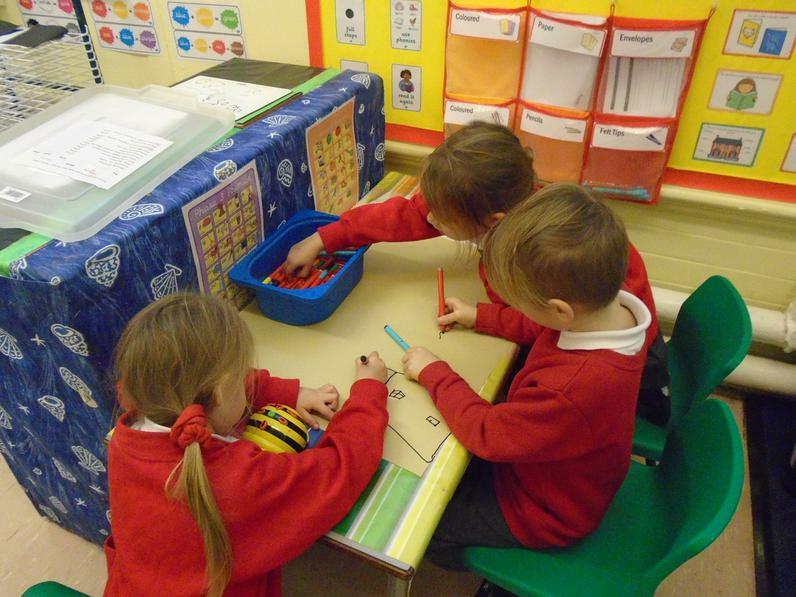 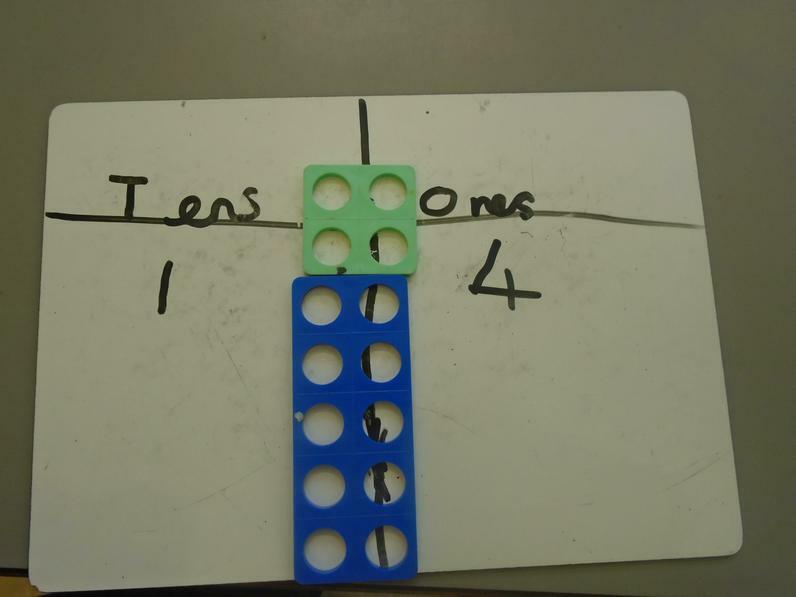 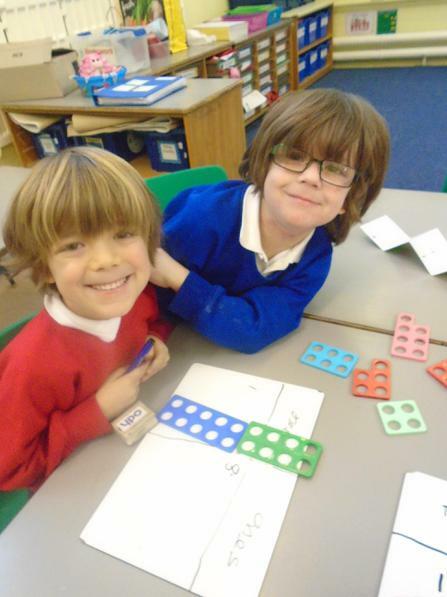 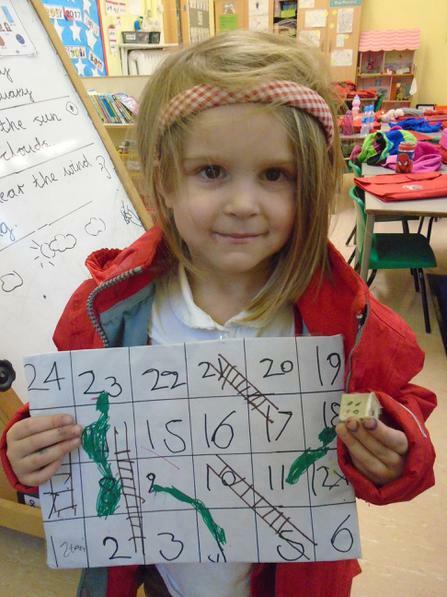 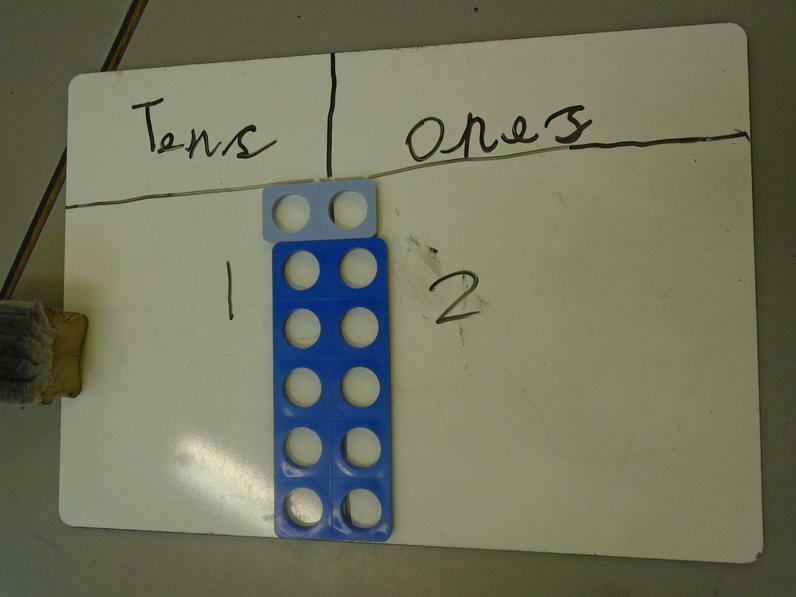 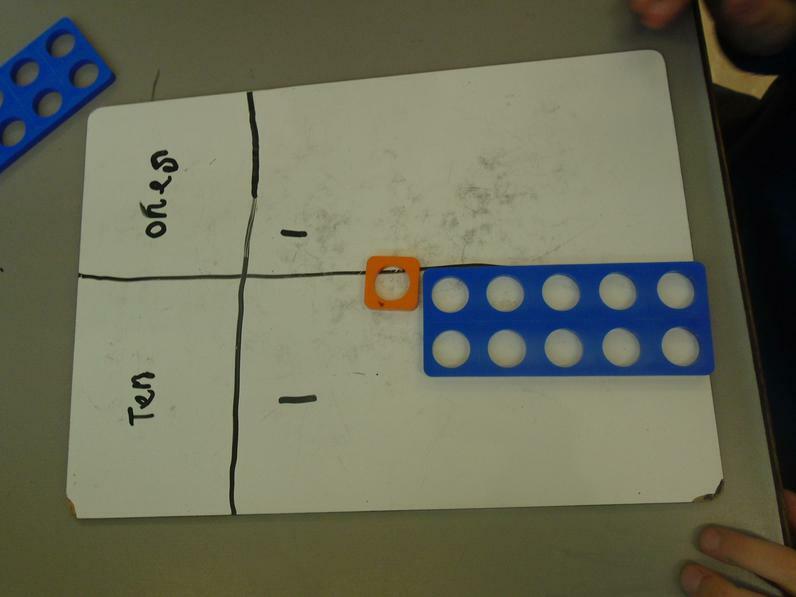 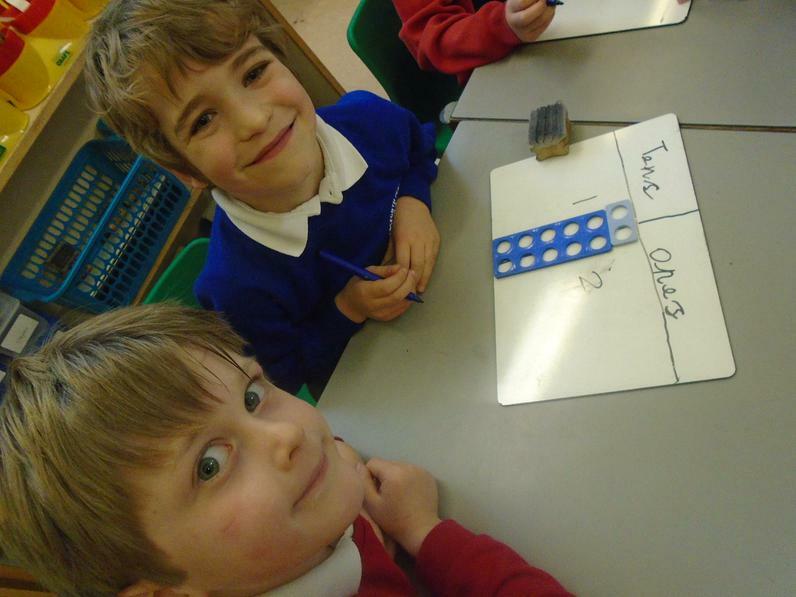 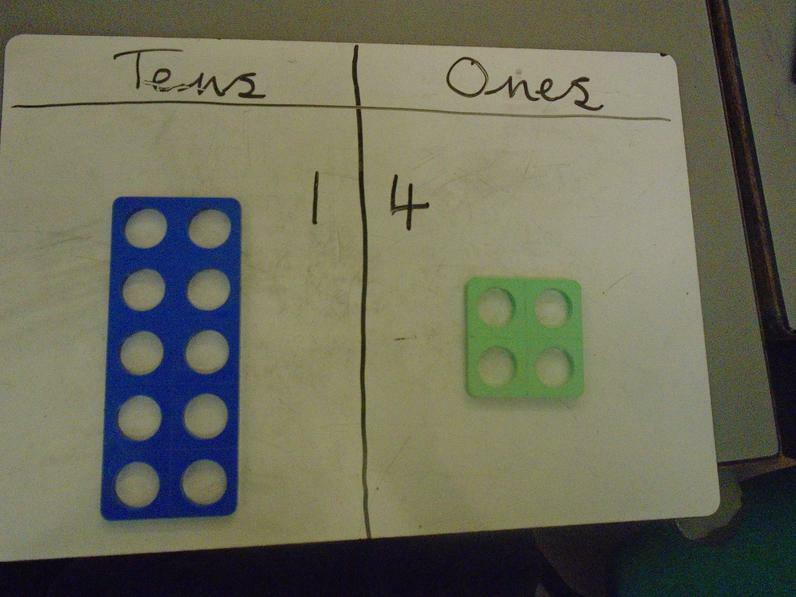 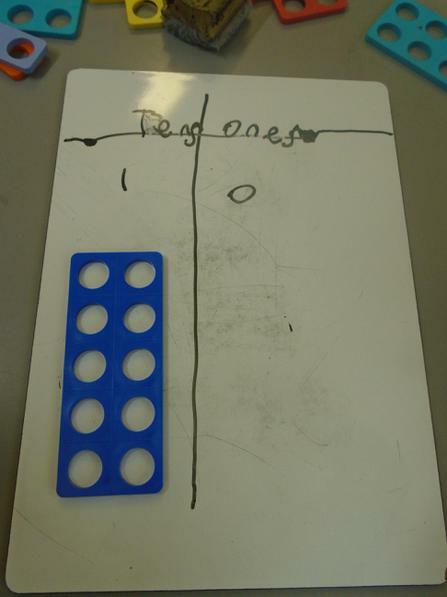 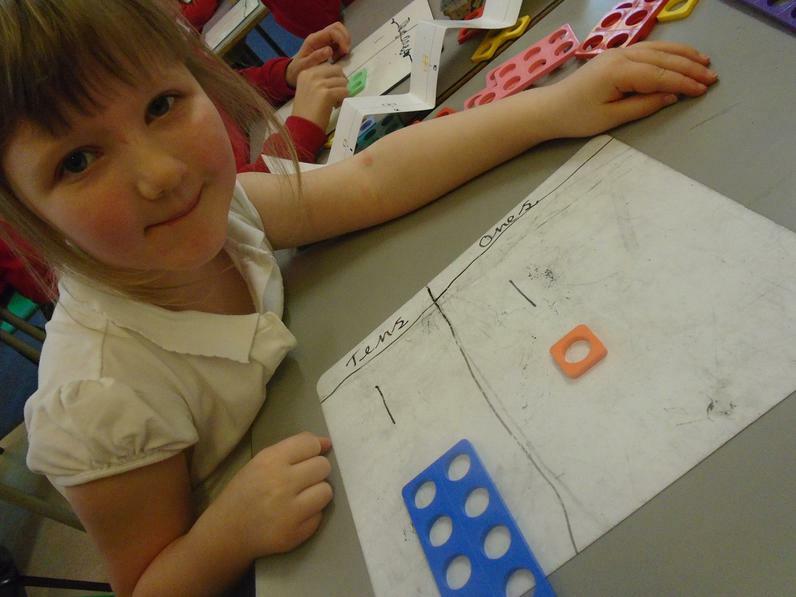 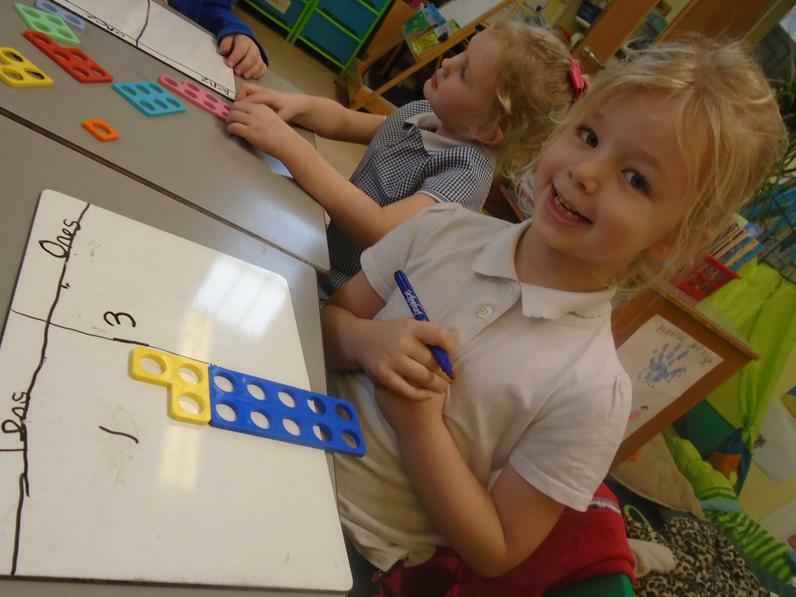 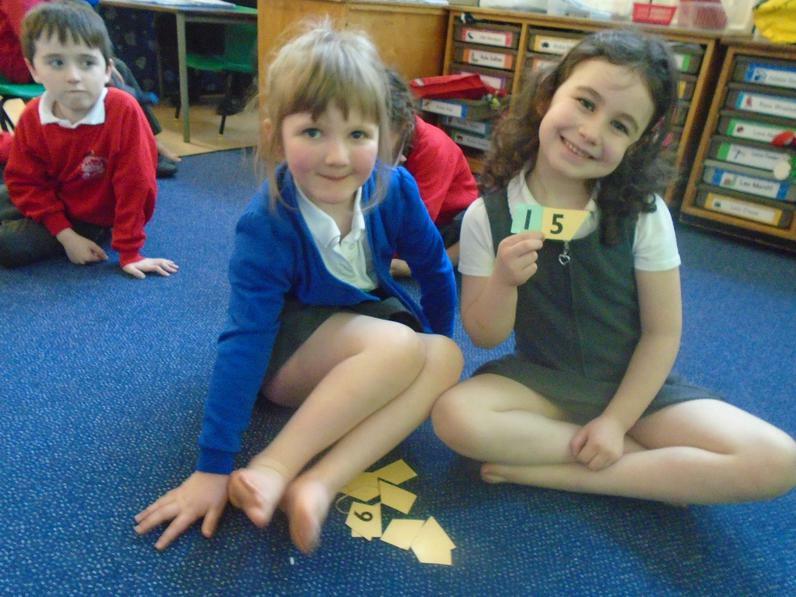 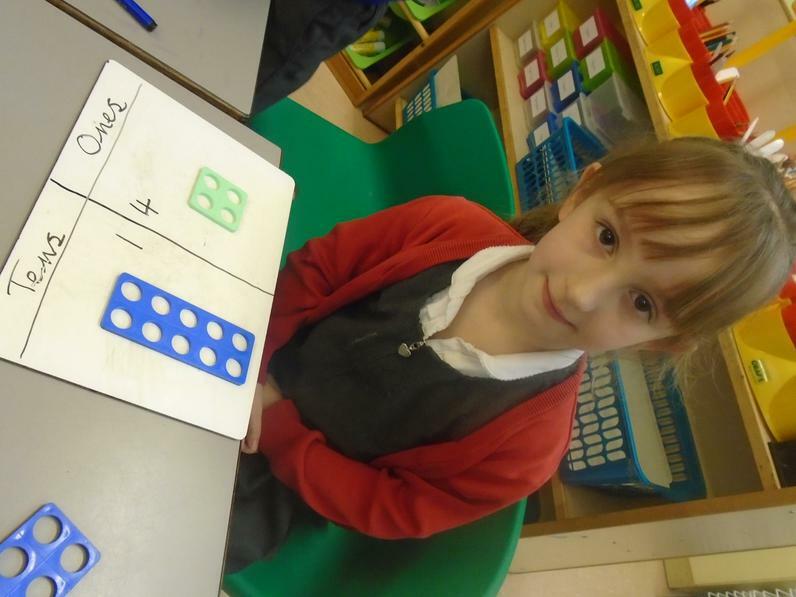 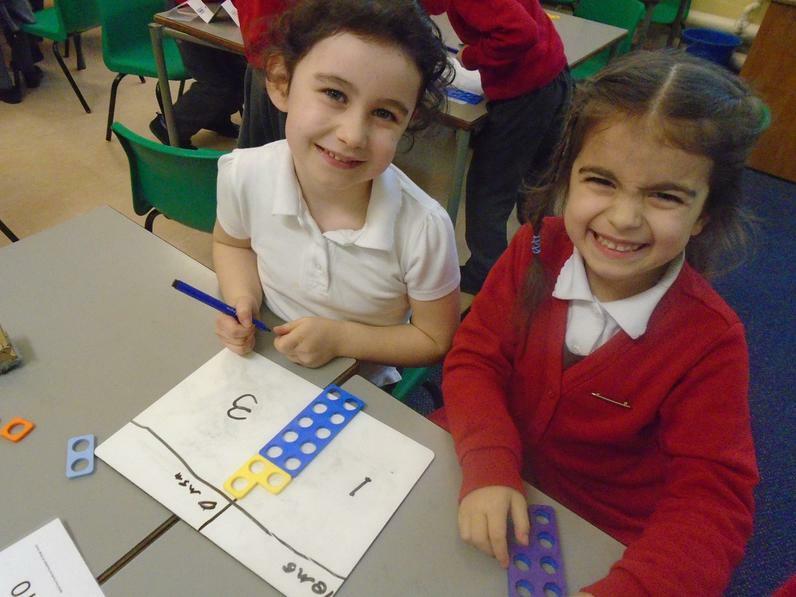 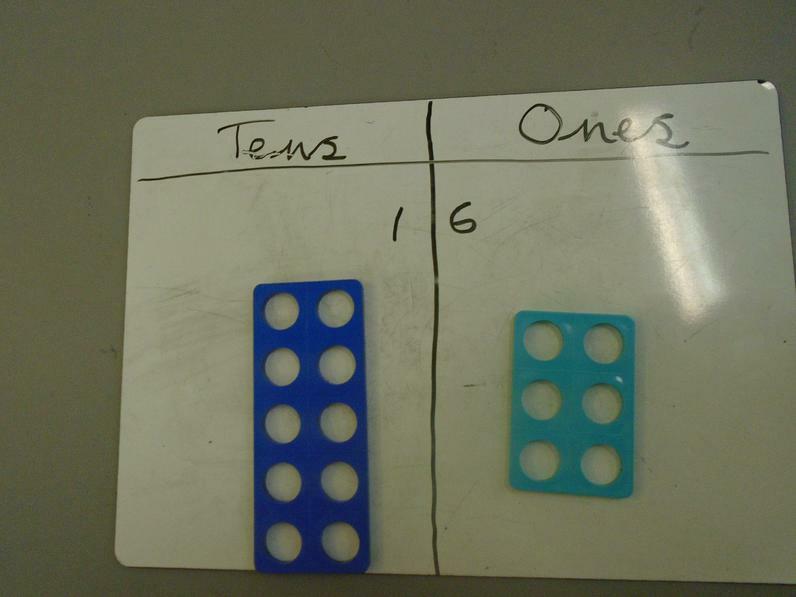 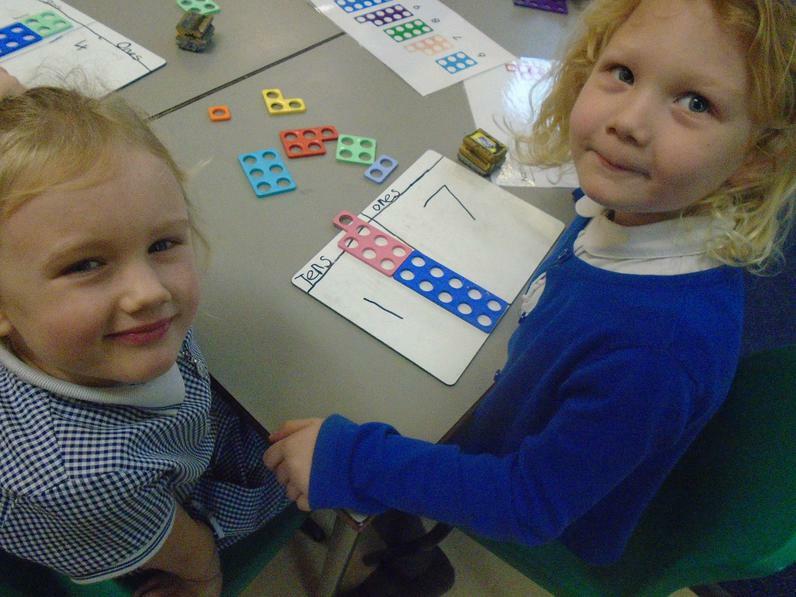 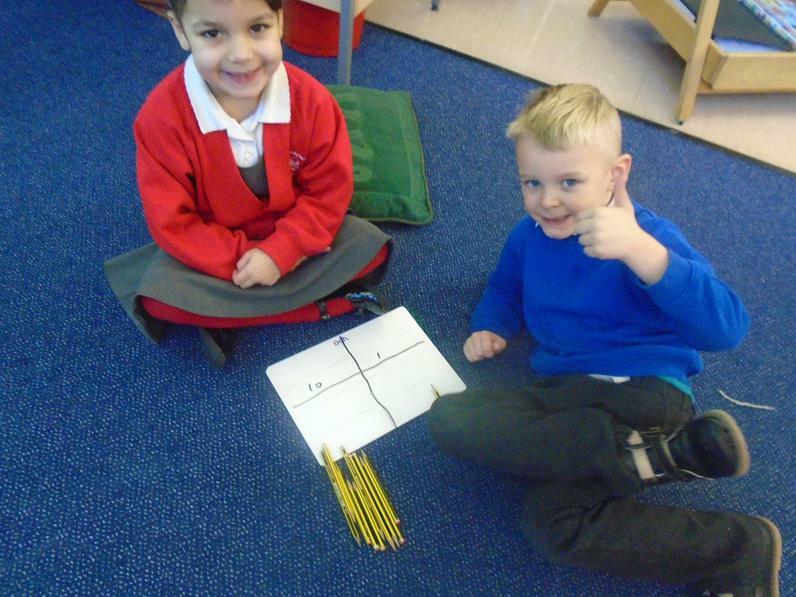 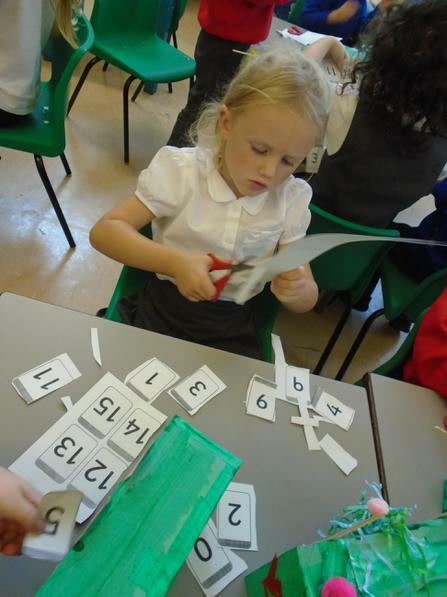 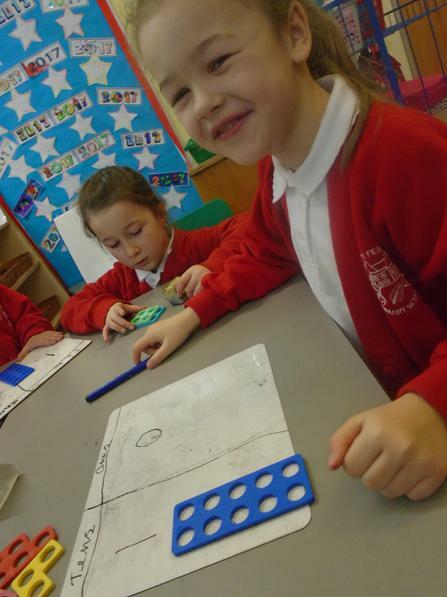 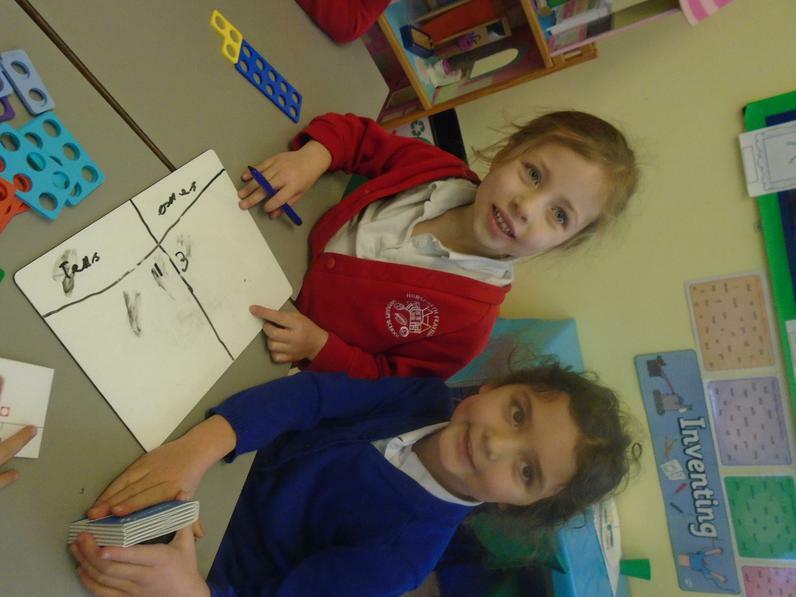 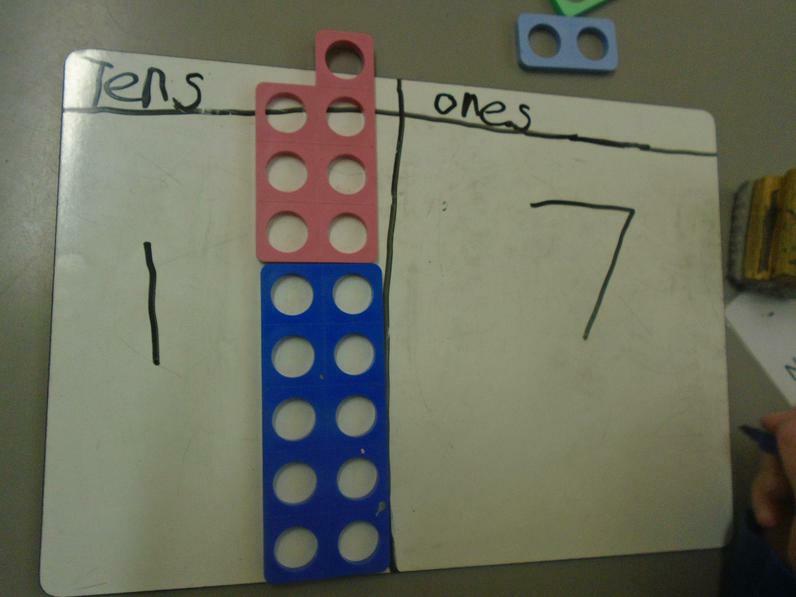 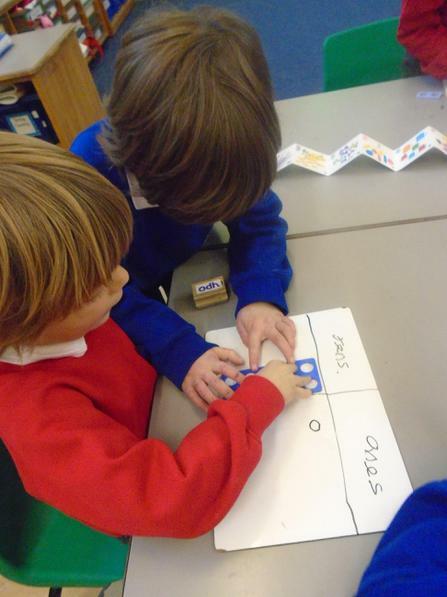 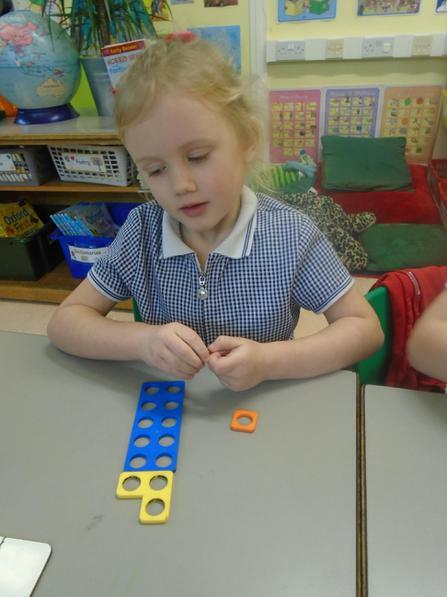 Using numicon to represent teen numbers. 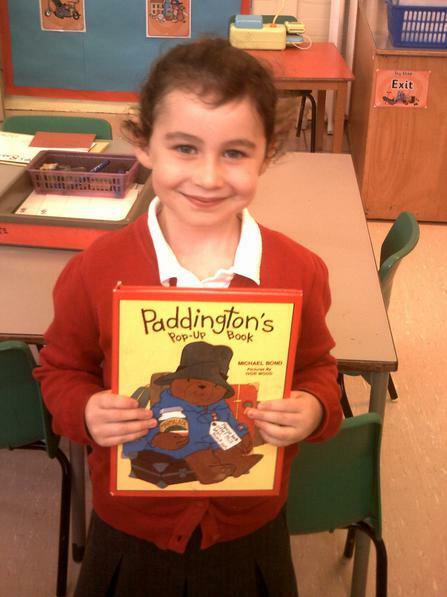 Our author of the half term is Francesca Simon. 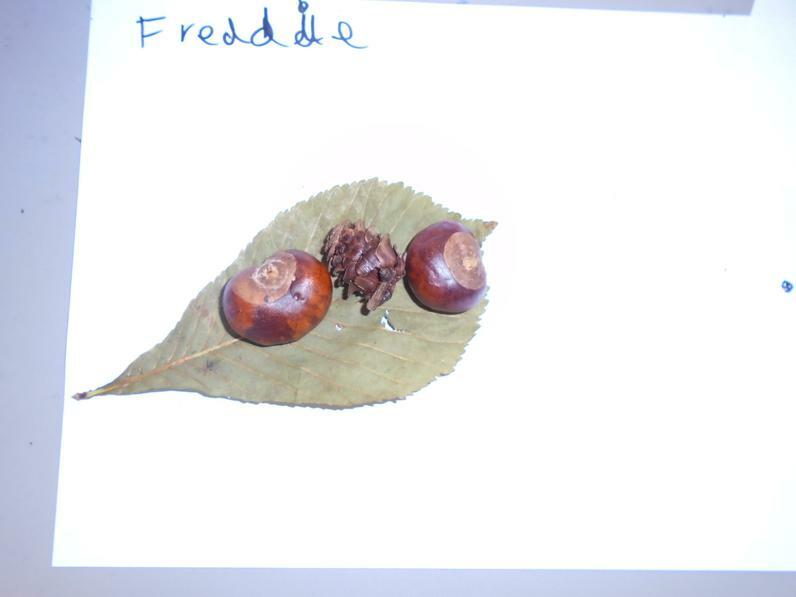 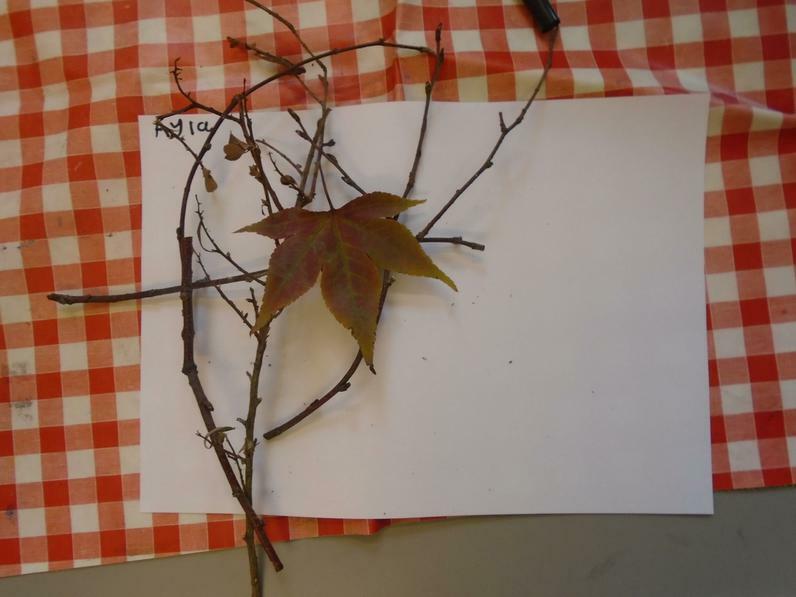 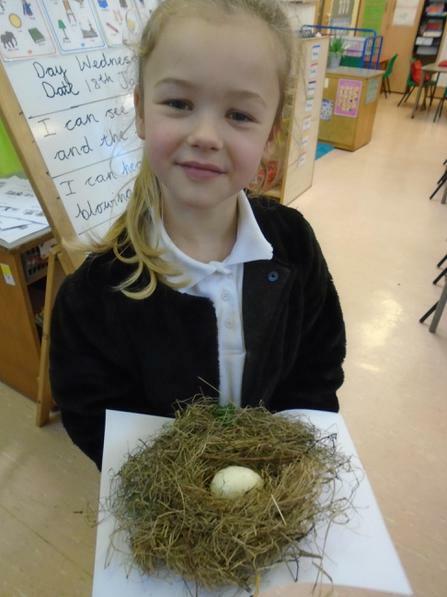 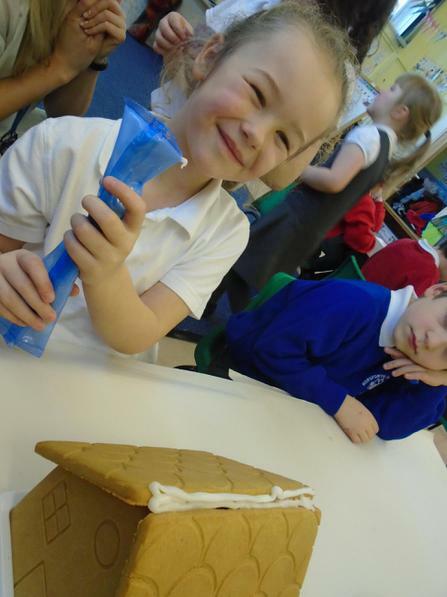 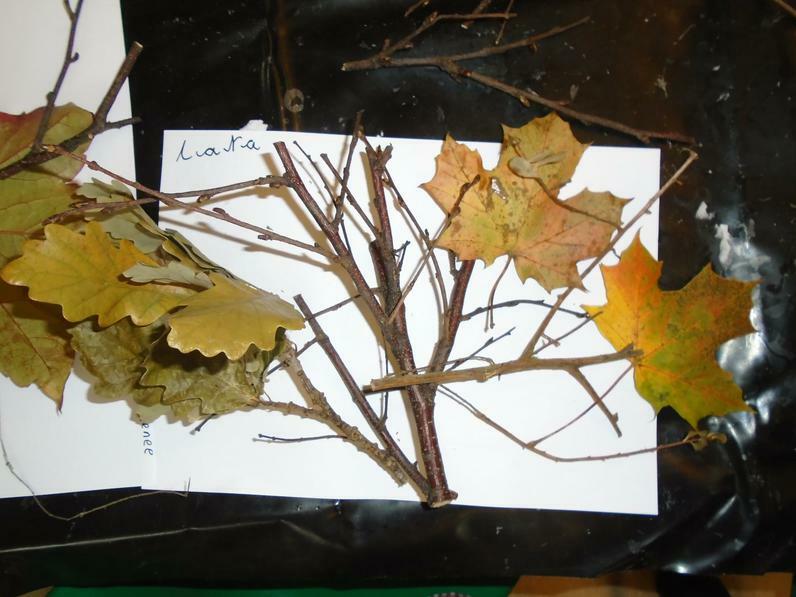 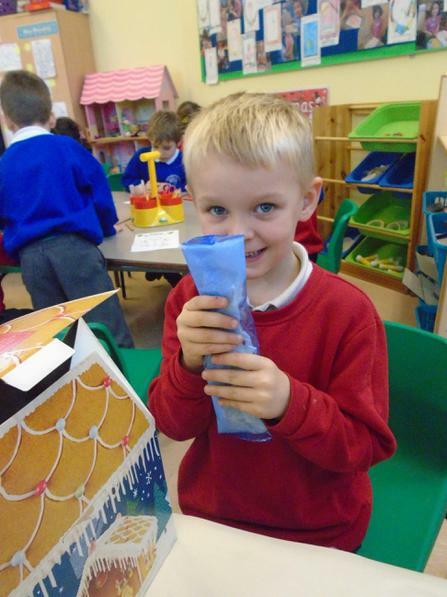 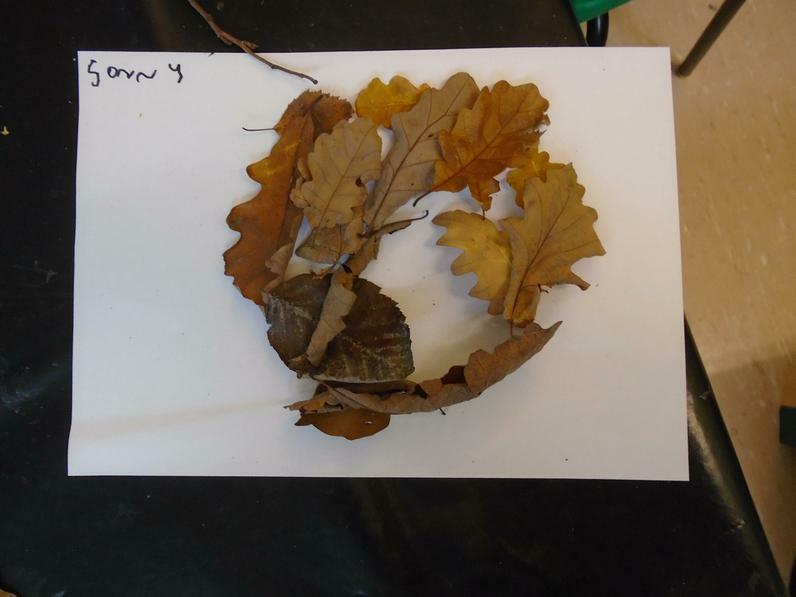 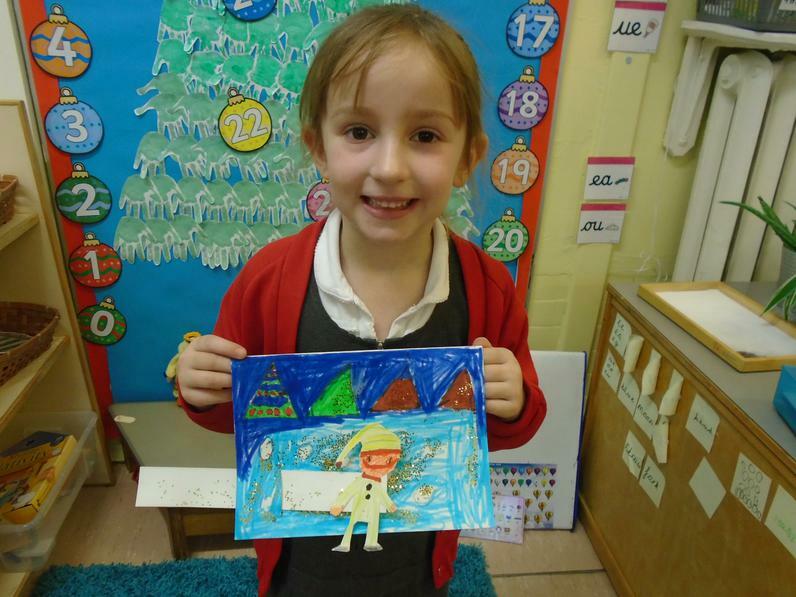 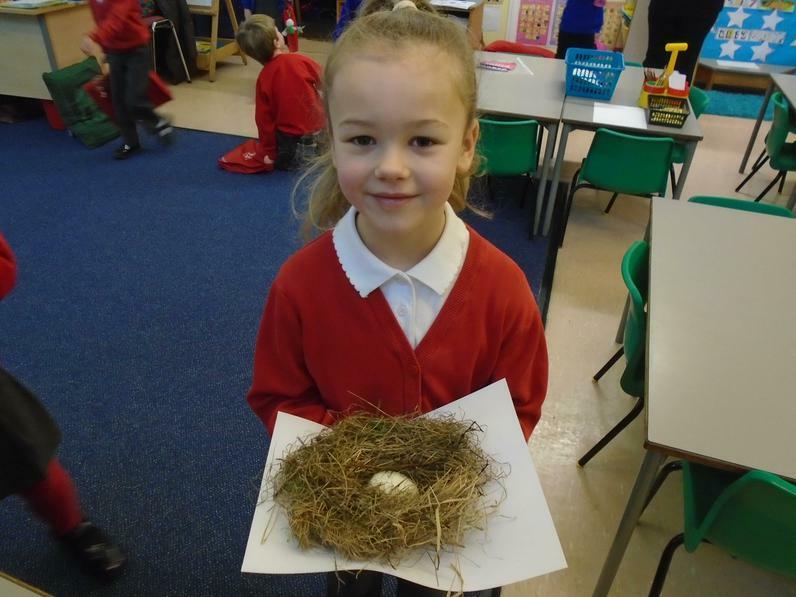 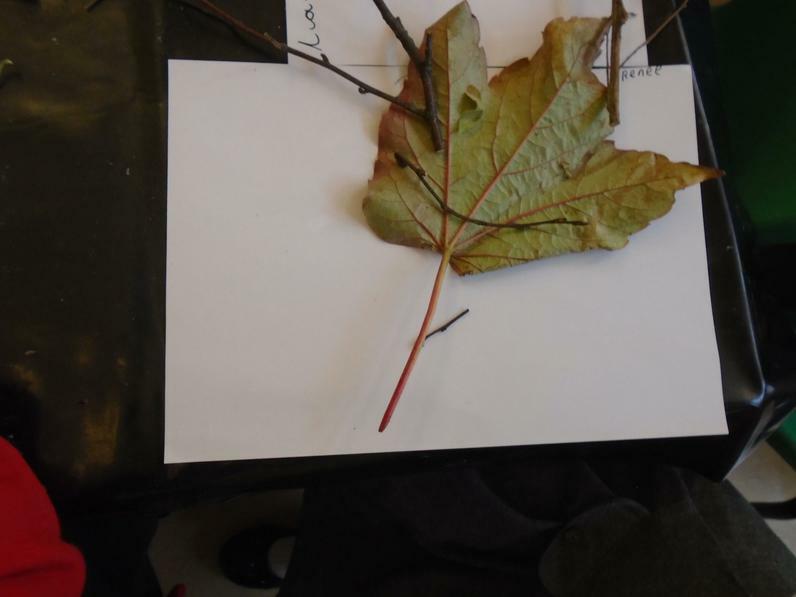 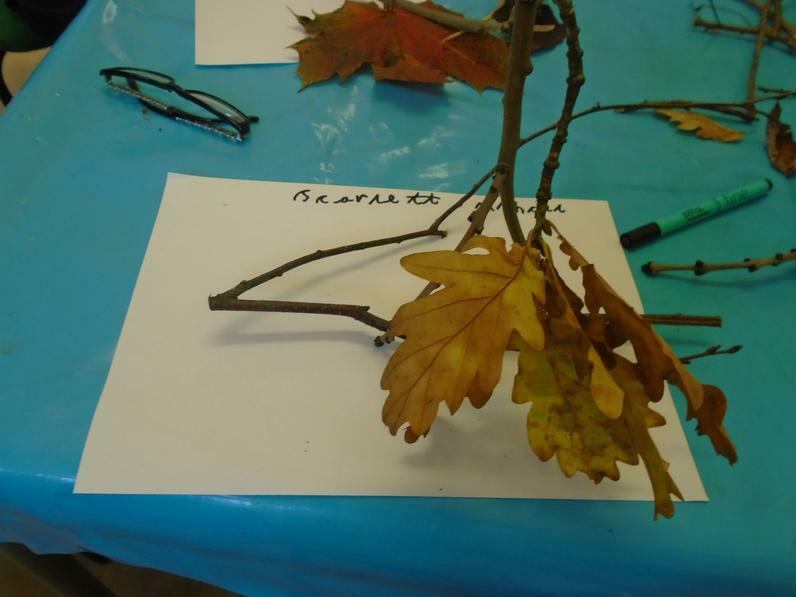 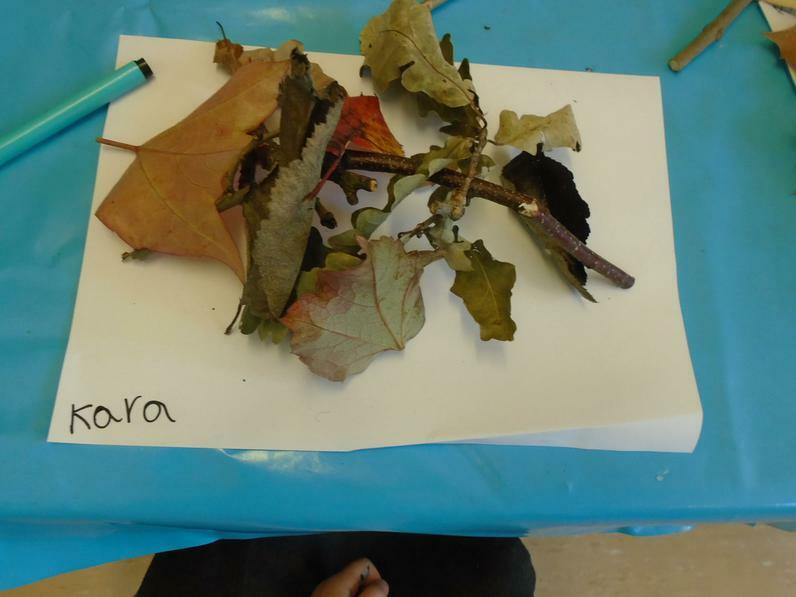 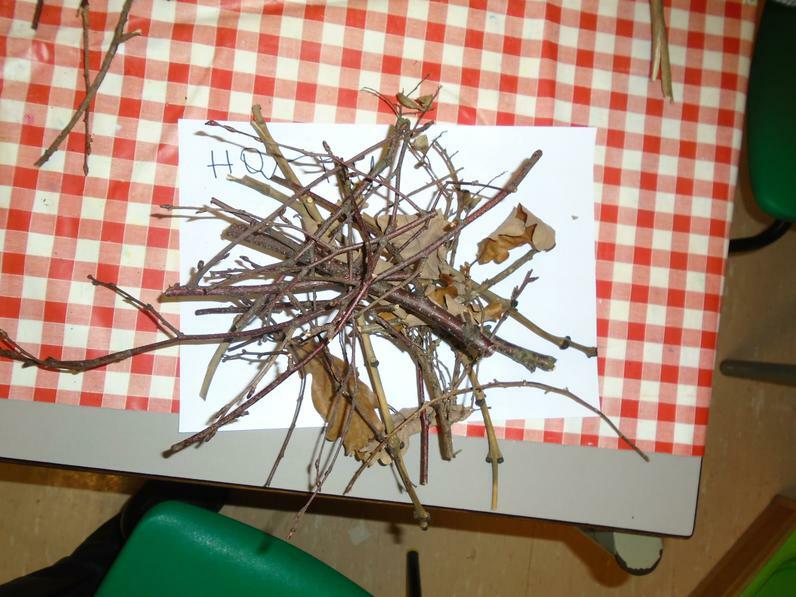 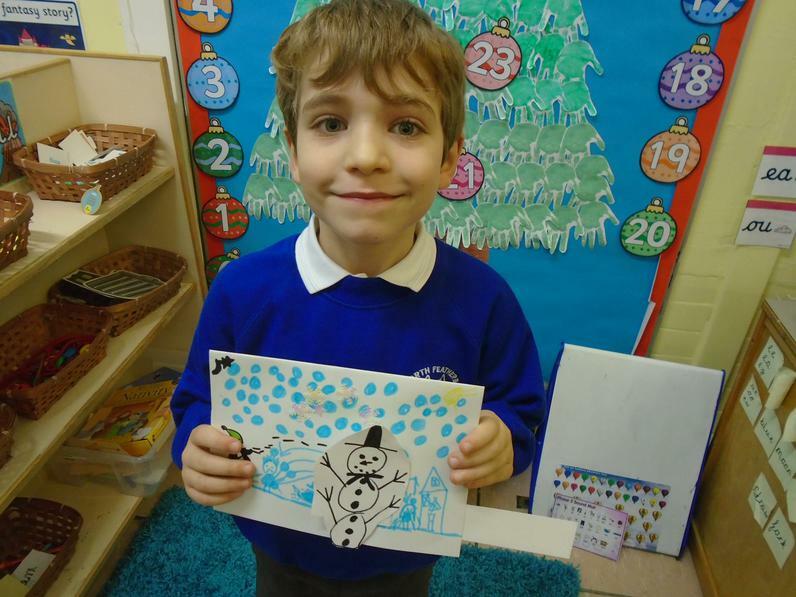 We have been learning about the season of Winter. 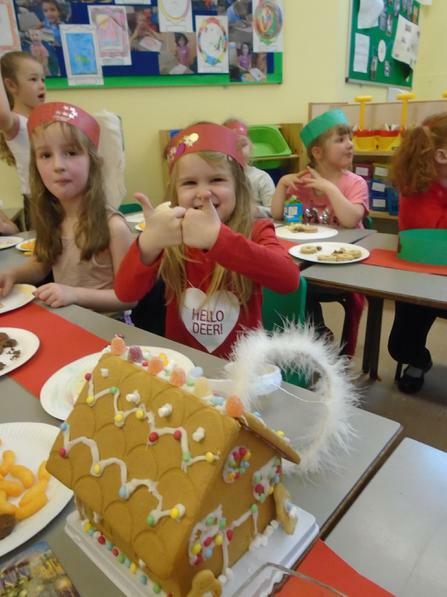 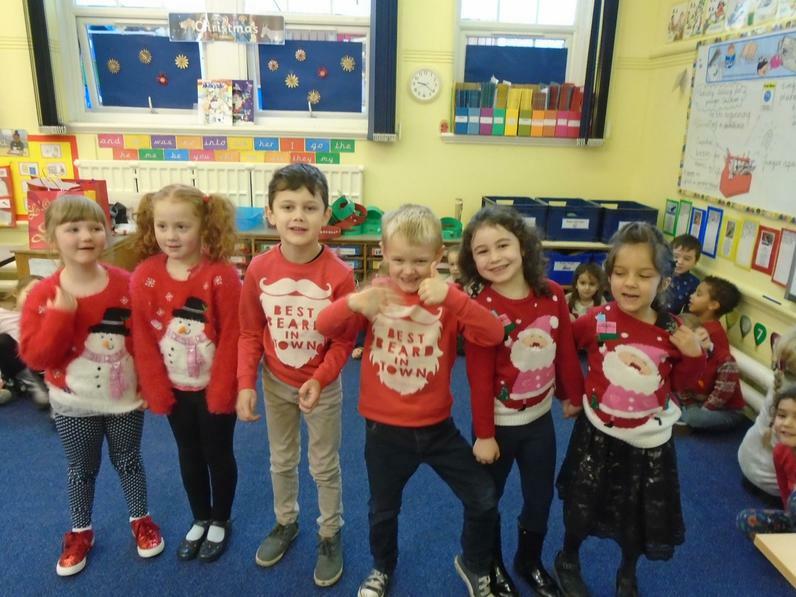 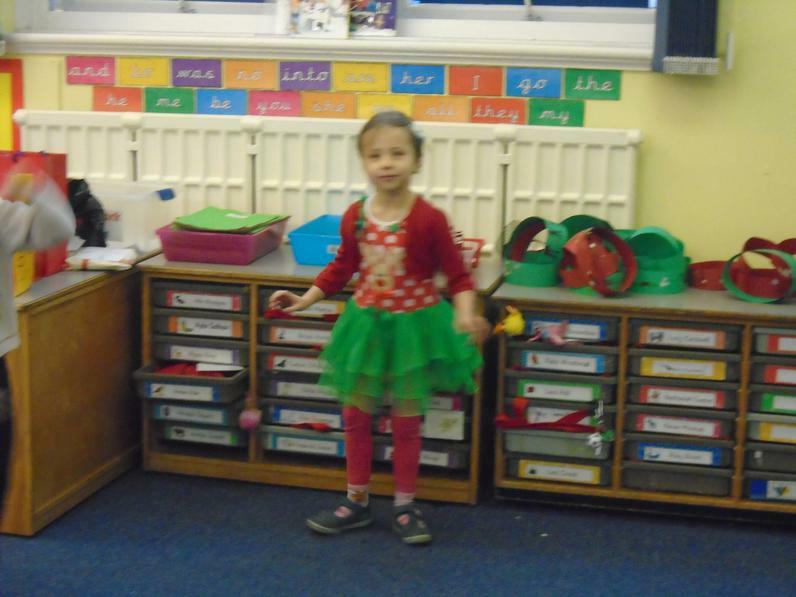 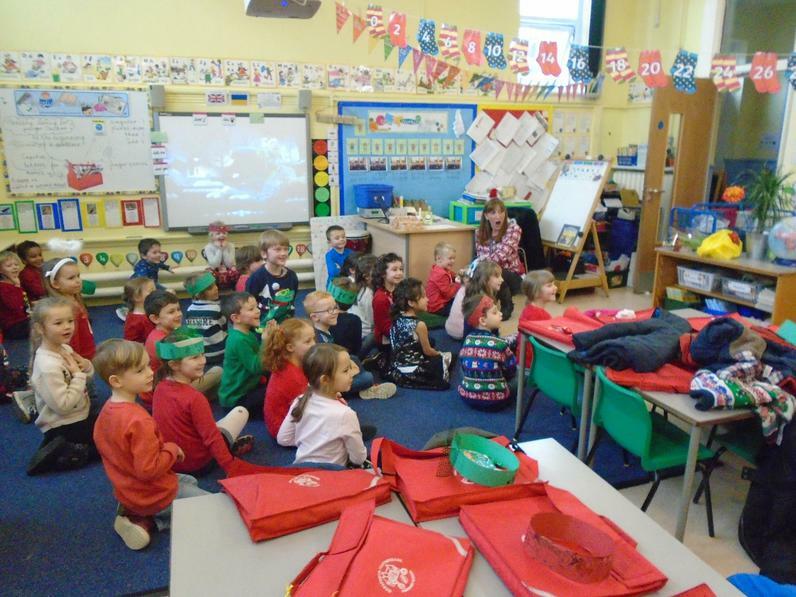 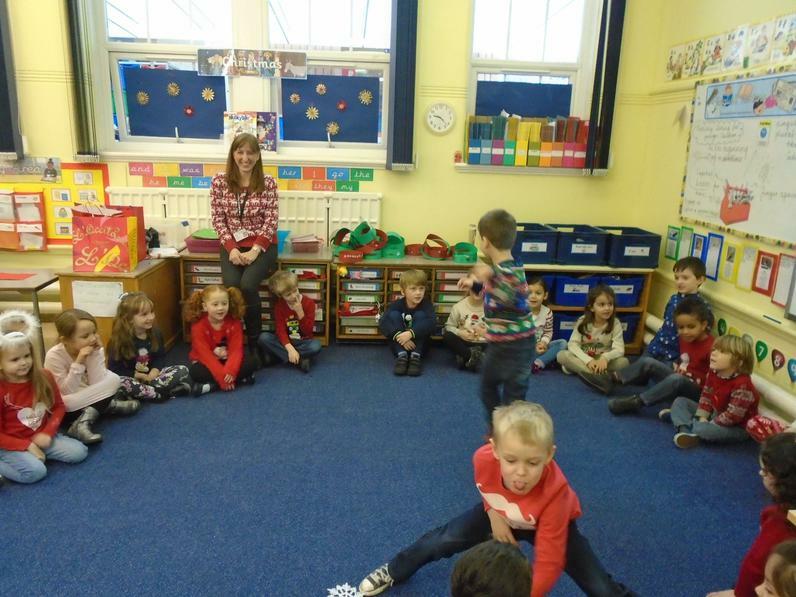 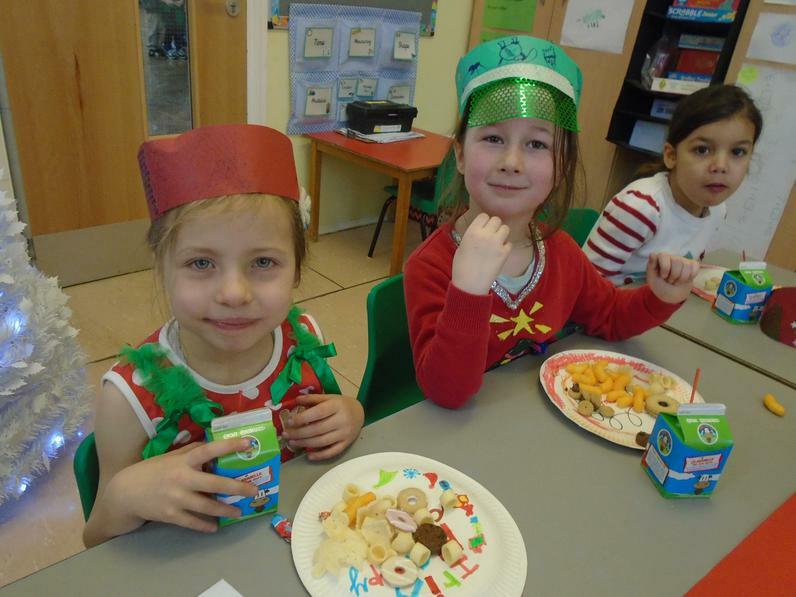 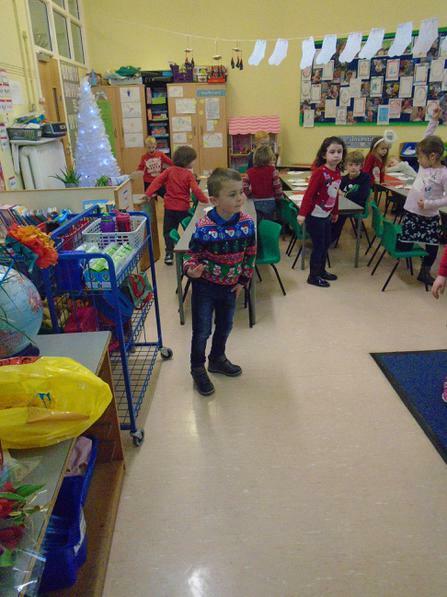 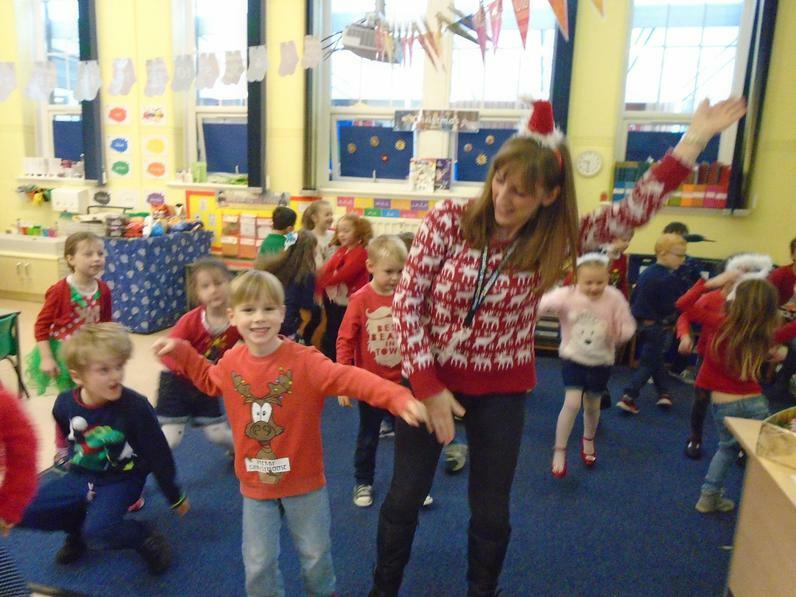 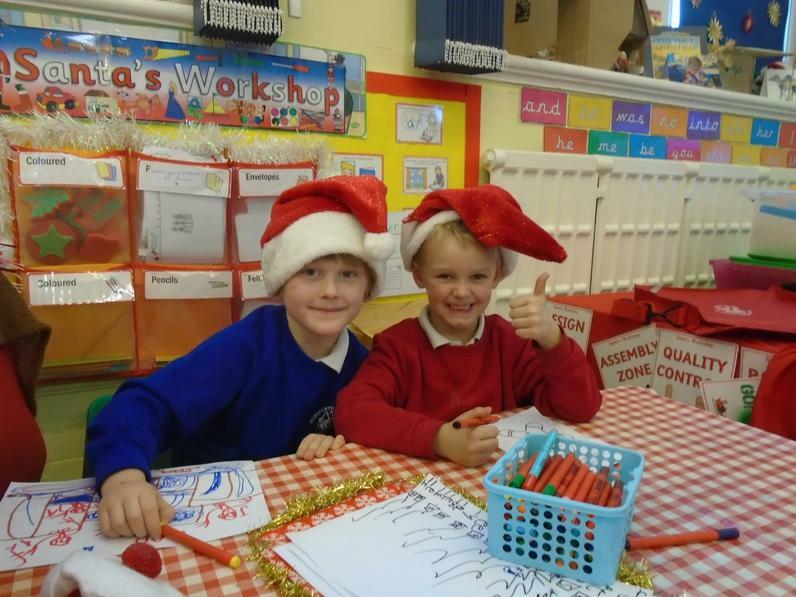 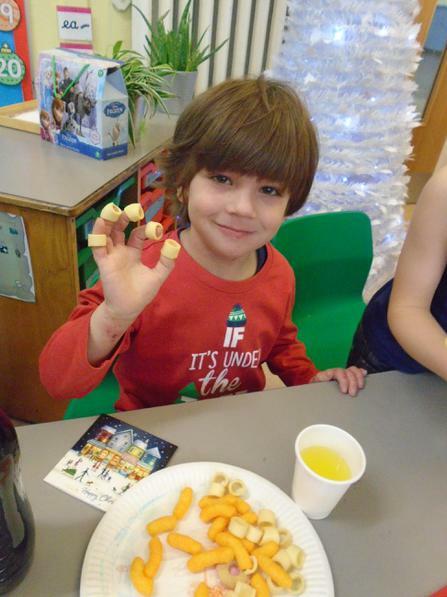 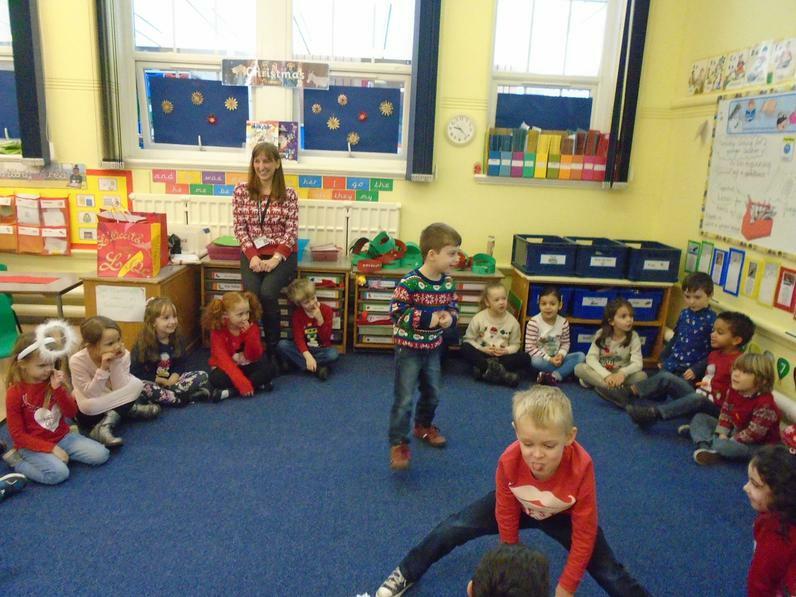 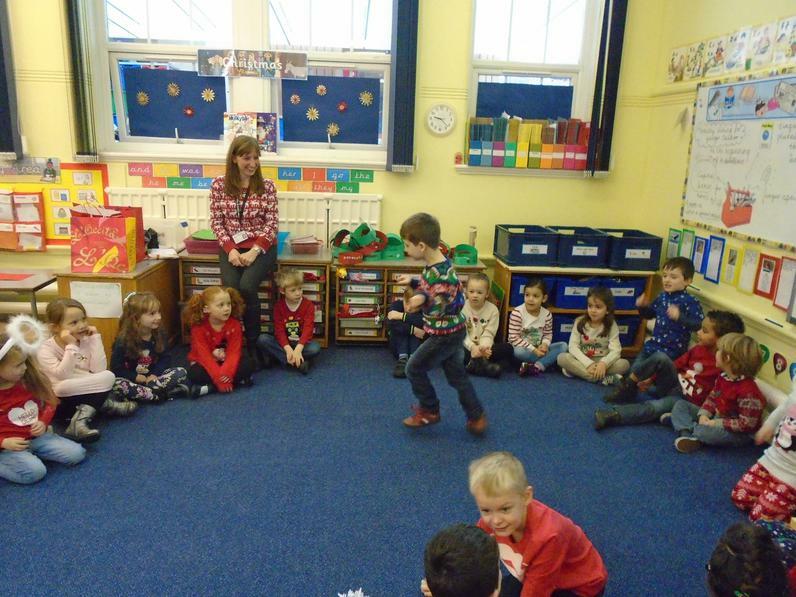 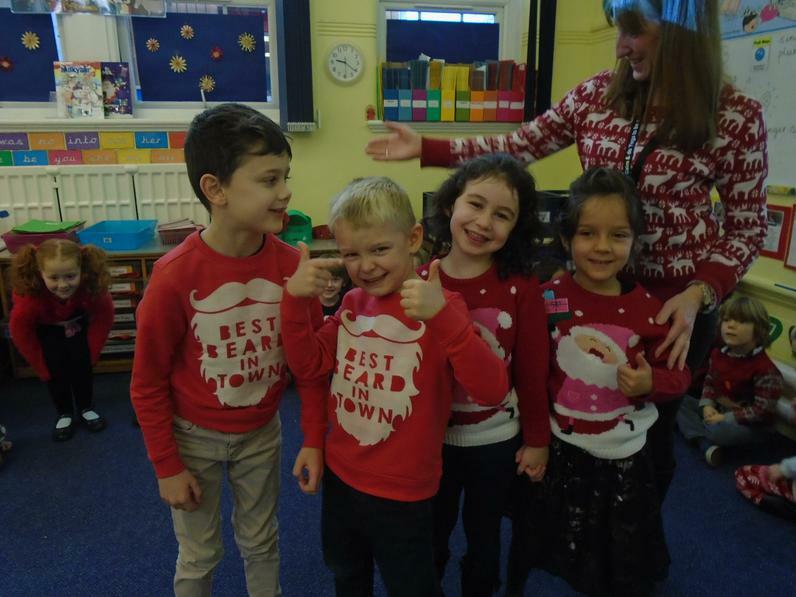 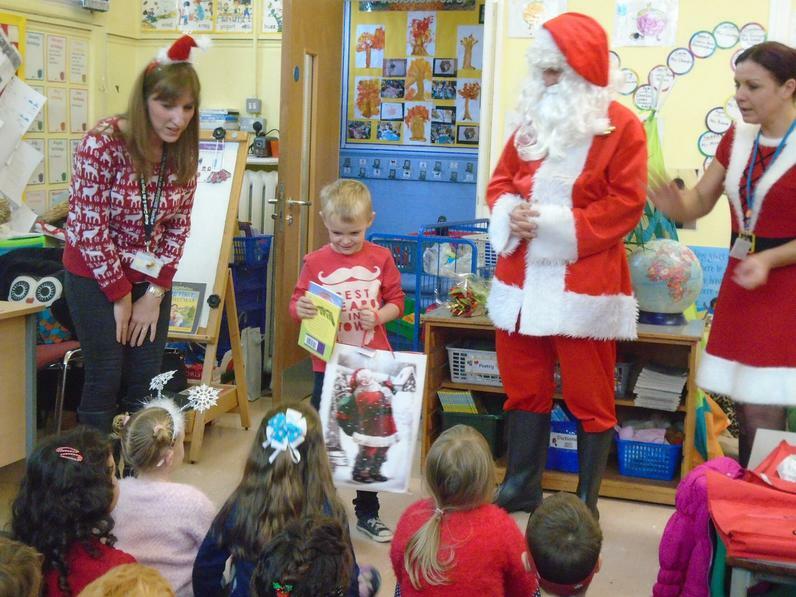 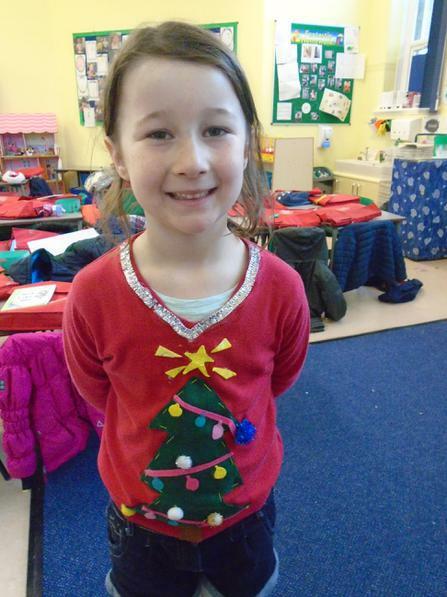 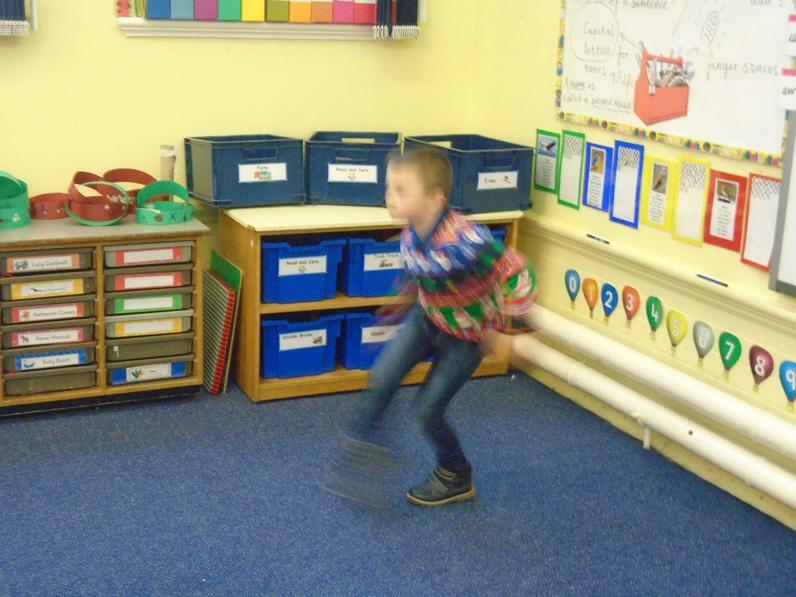 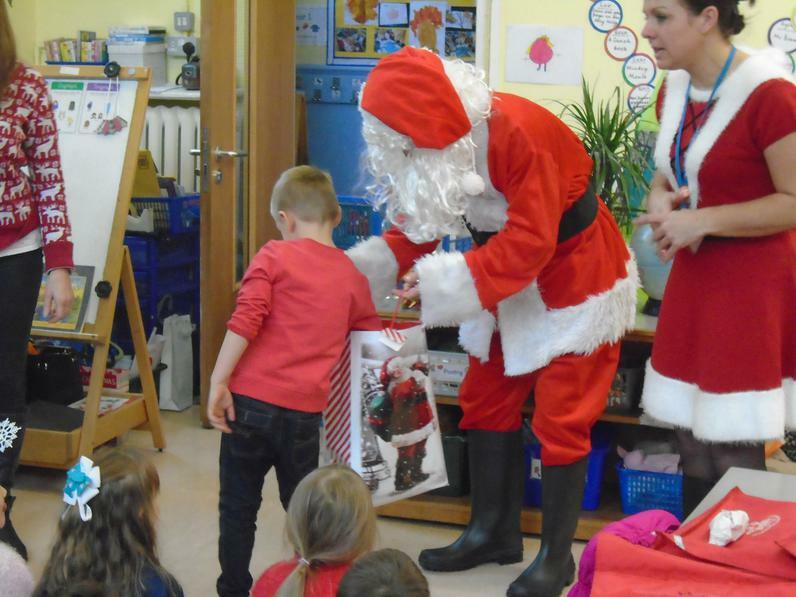 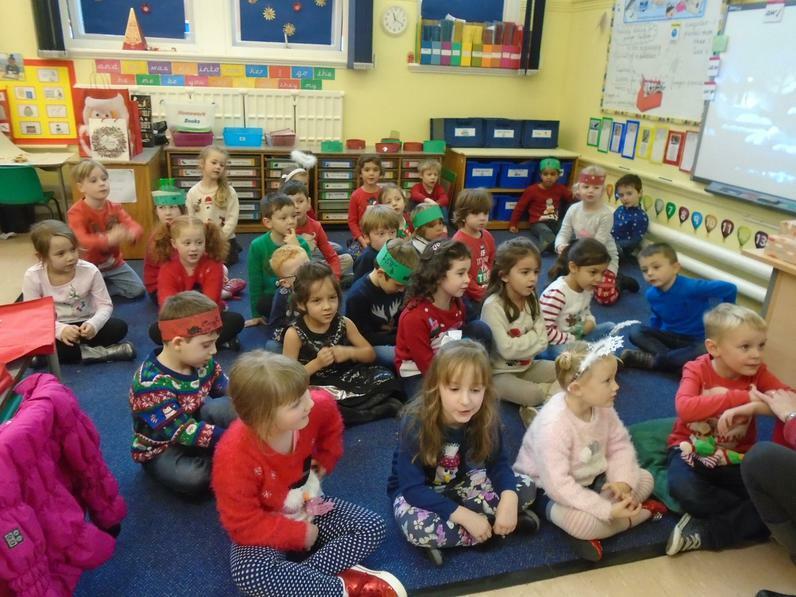 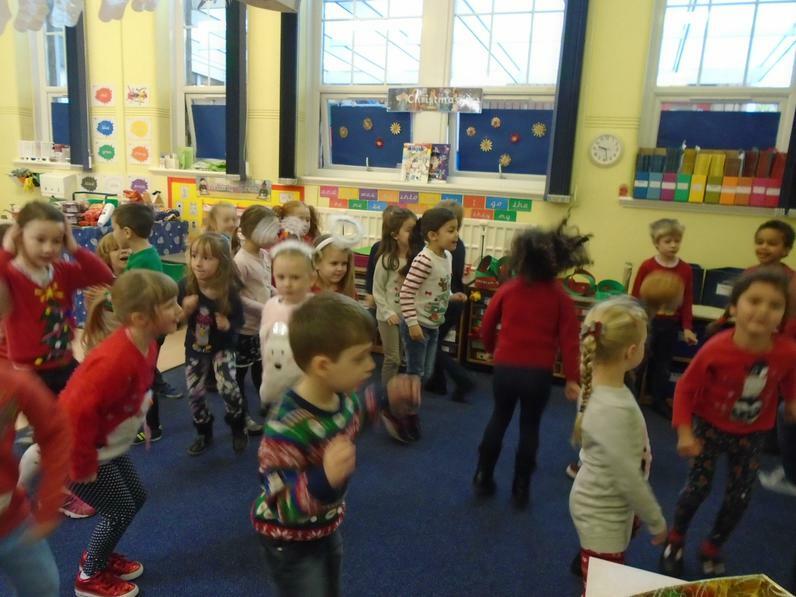 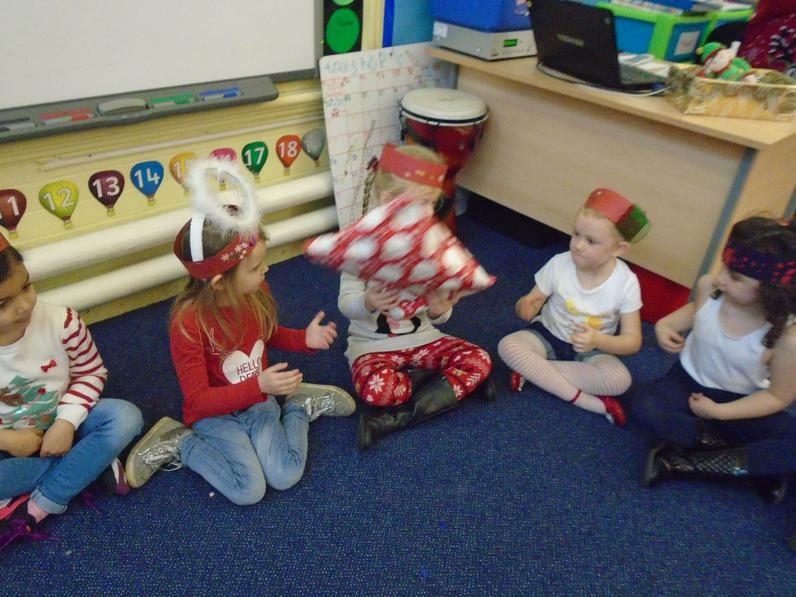 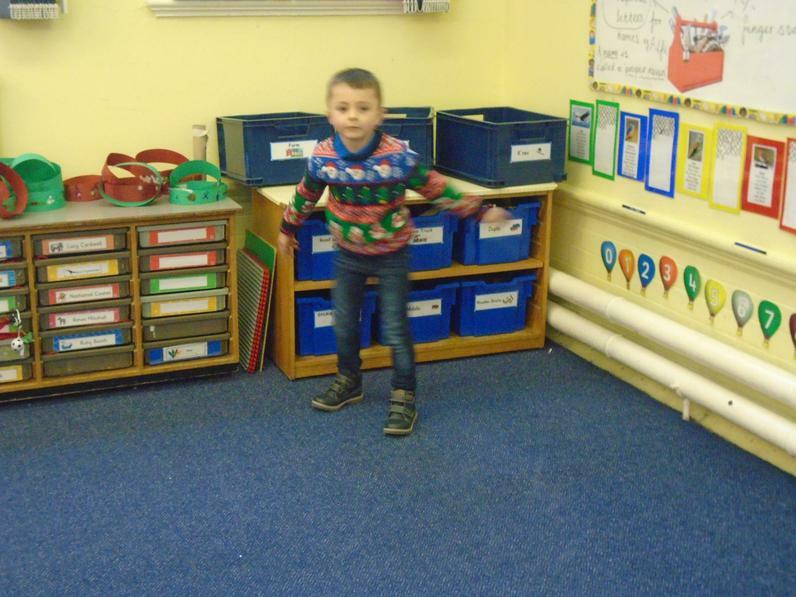 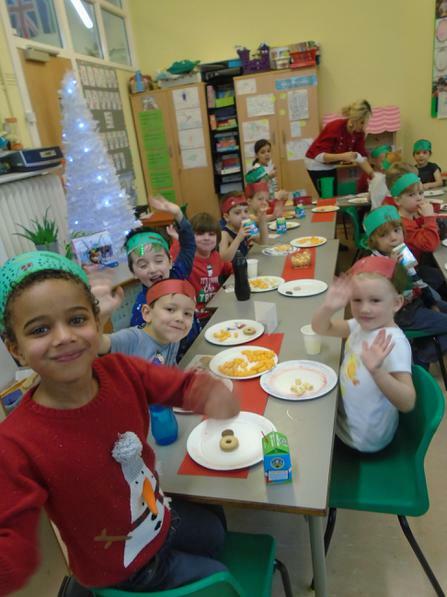 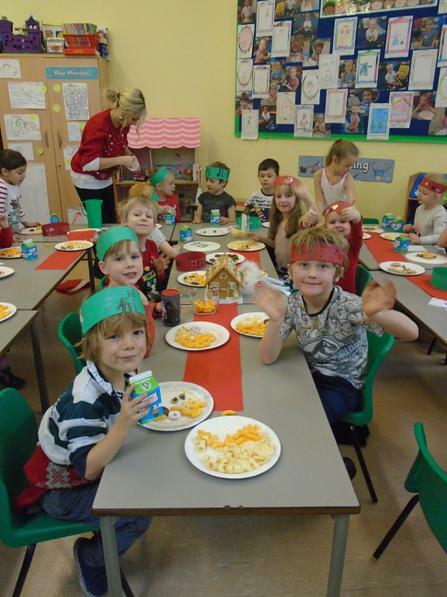 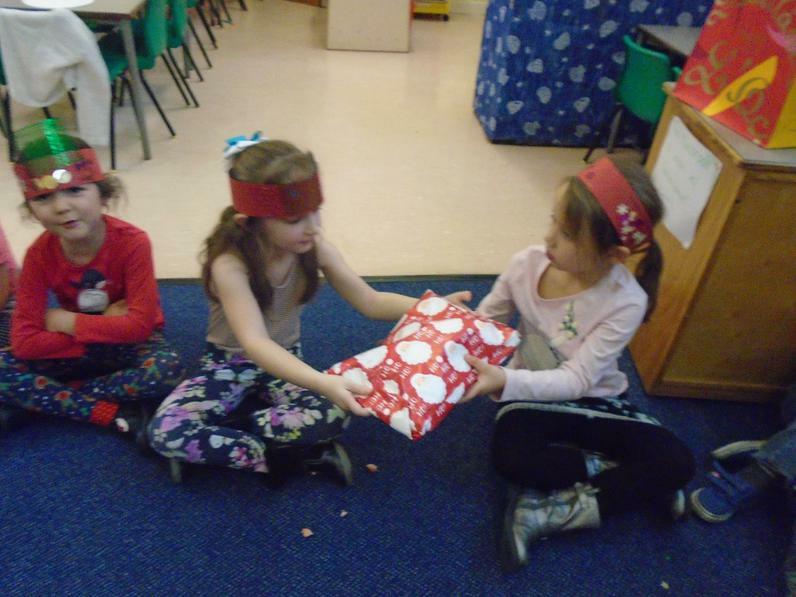 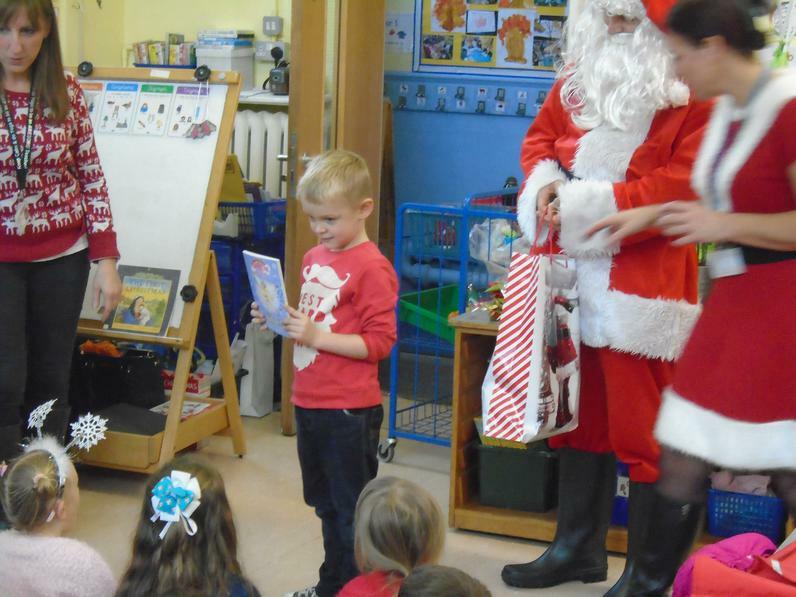 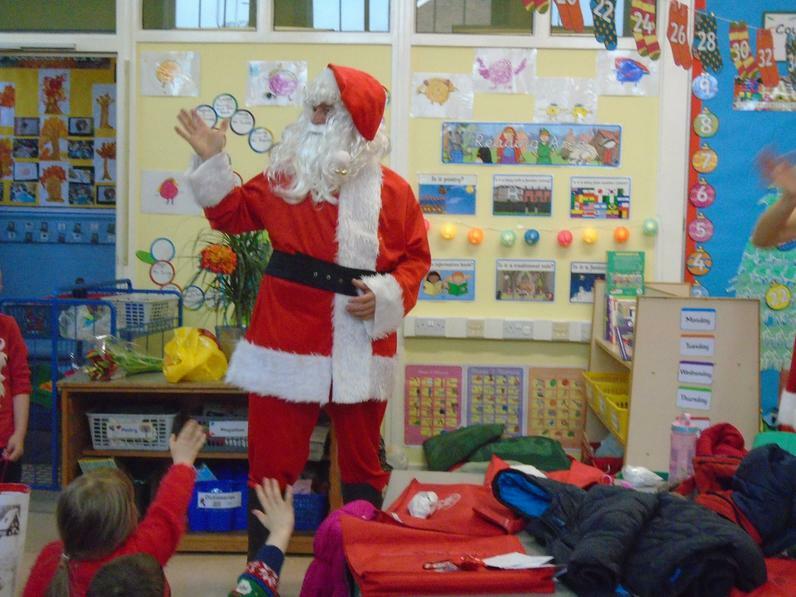 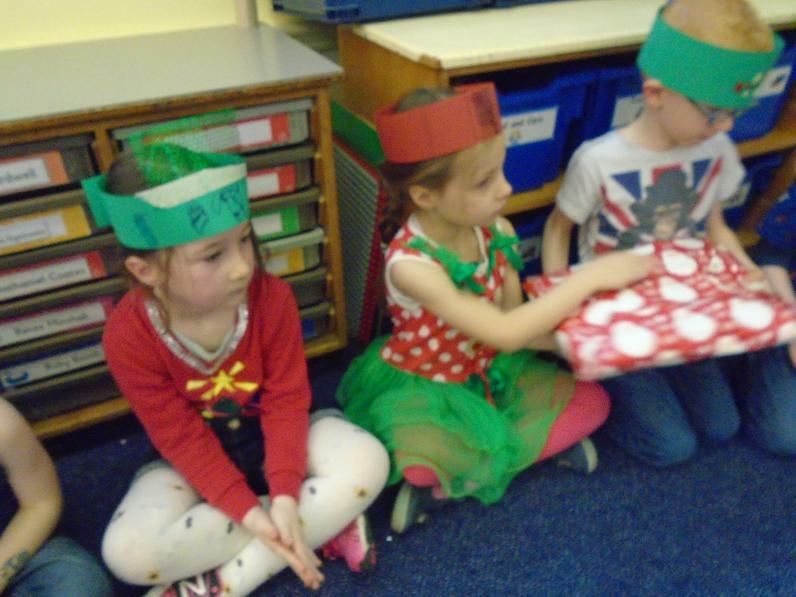 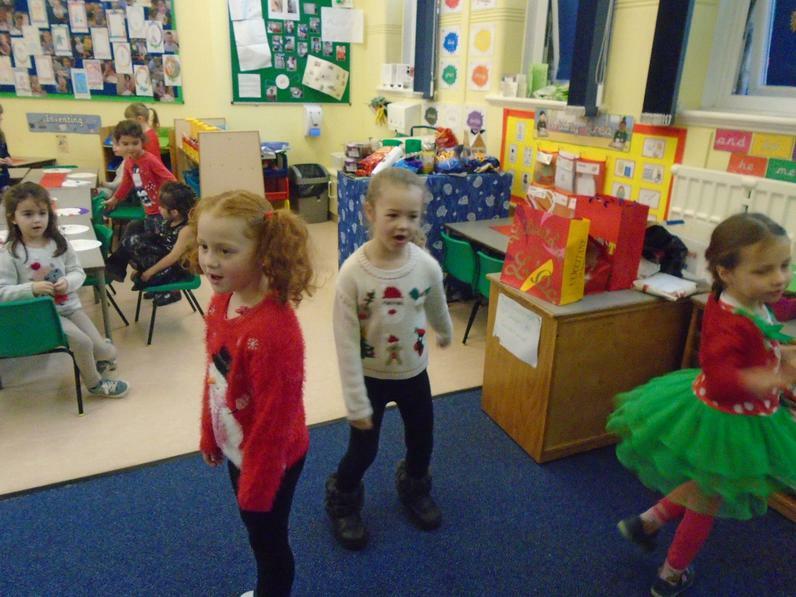 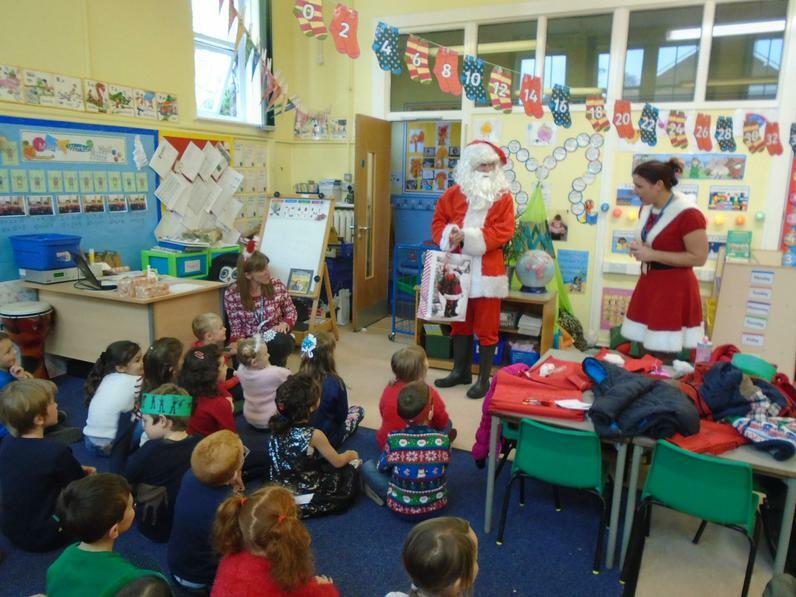 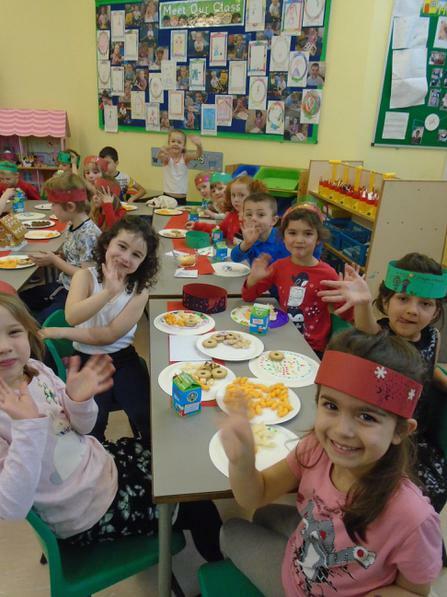 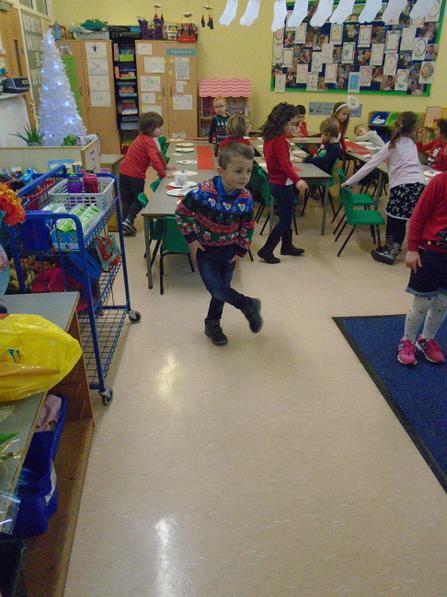 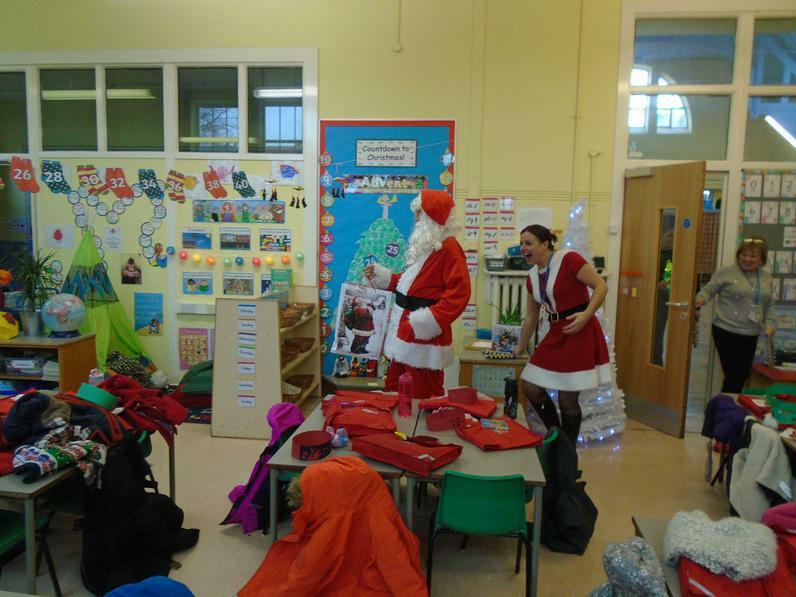 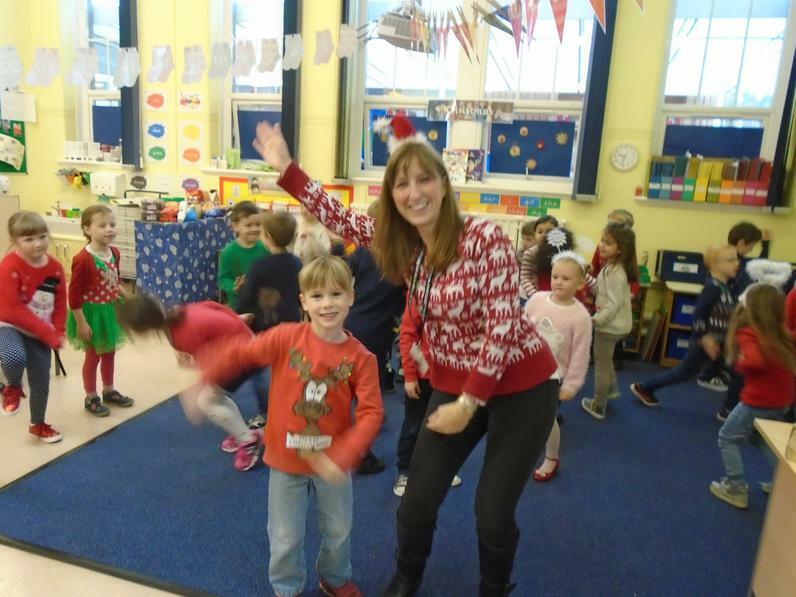 We had lots of fun at our Christmas party and we even had a special visitor. 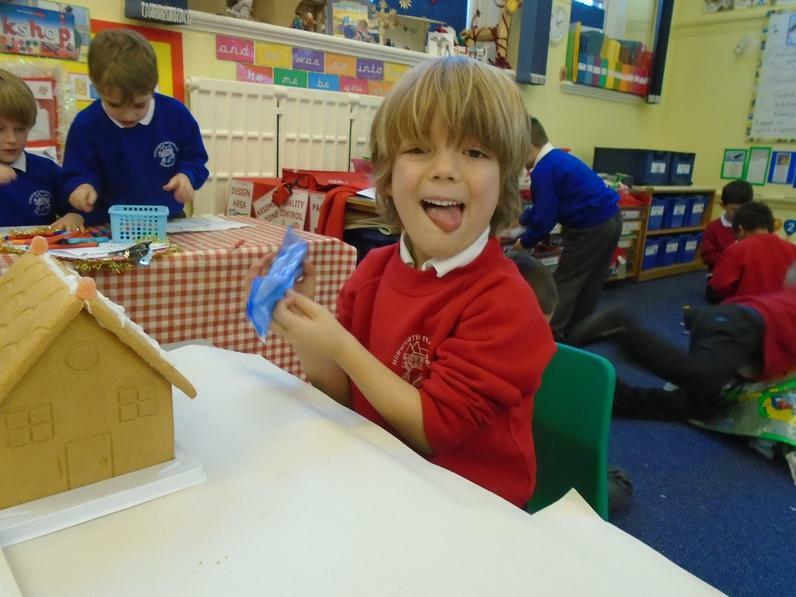 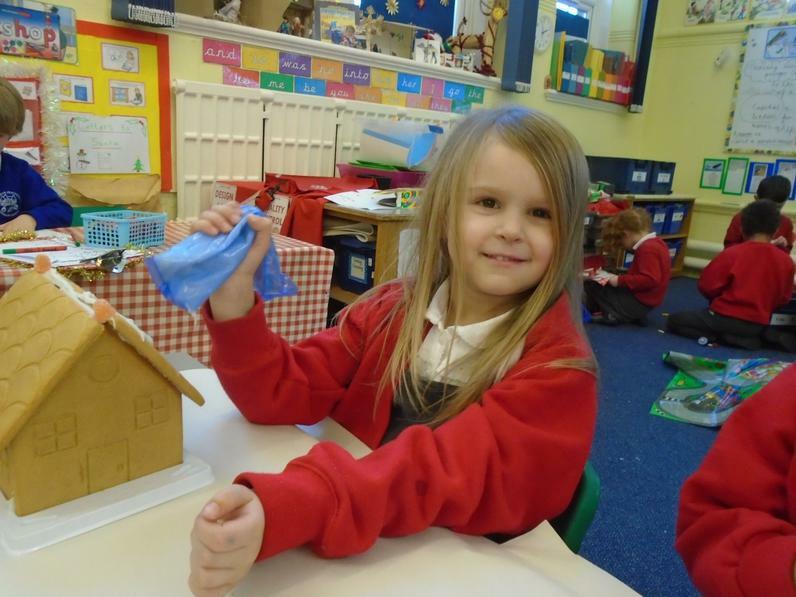 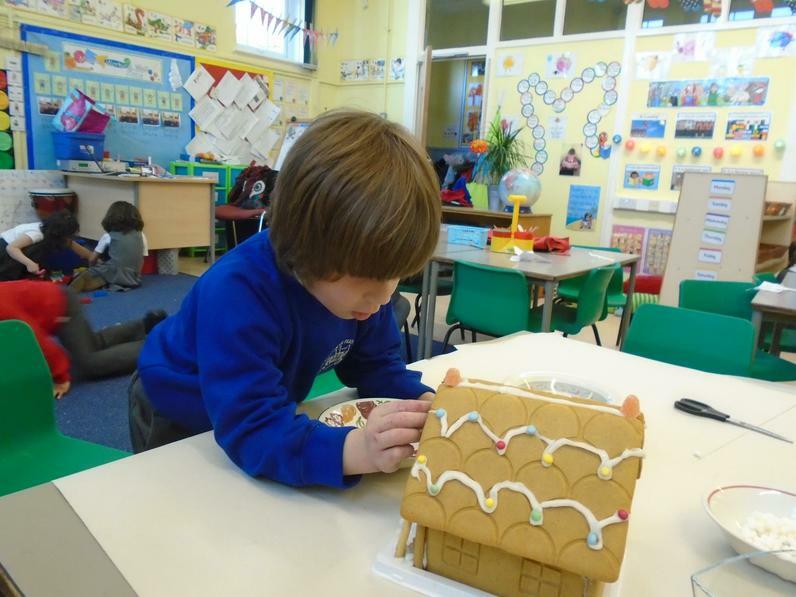 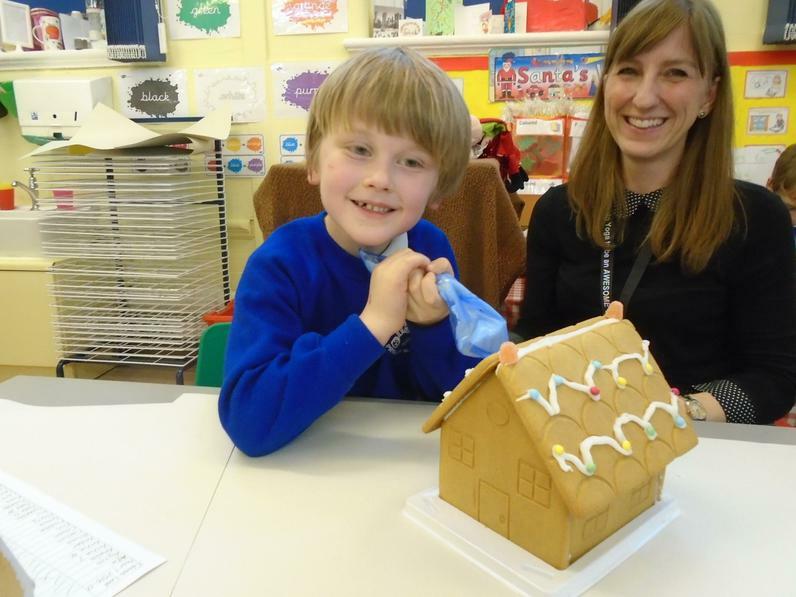 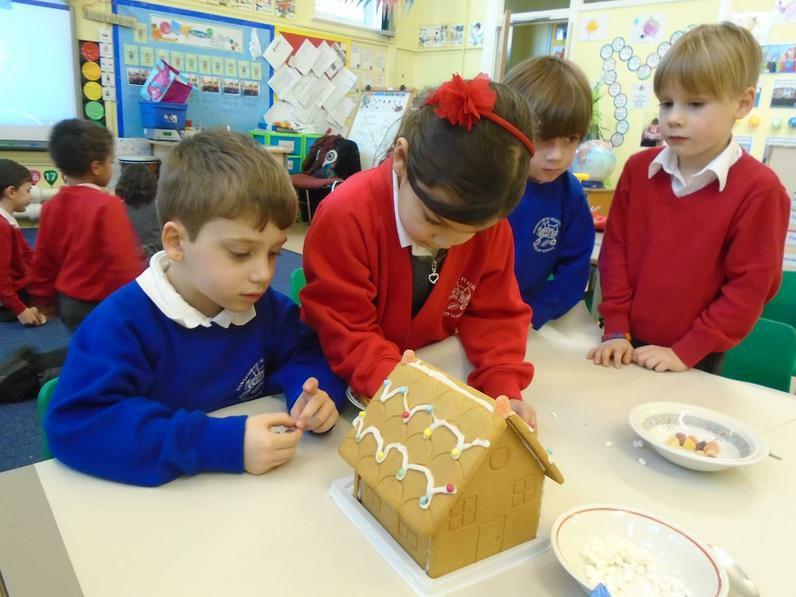 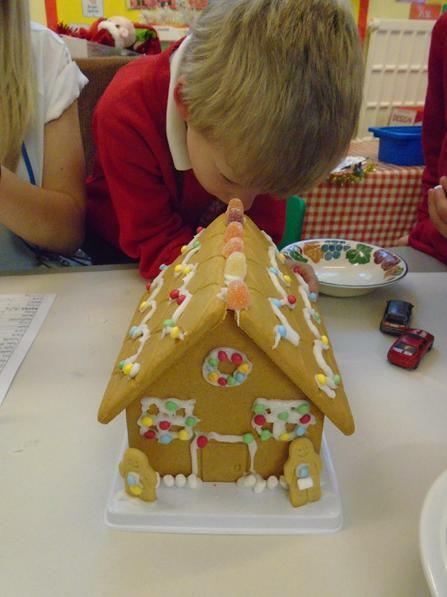 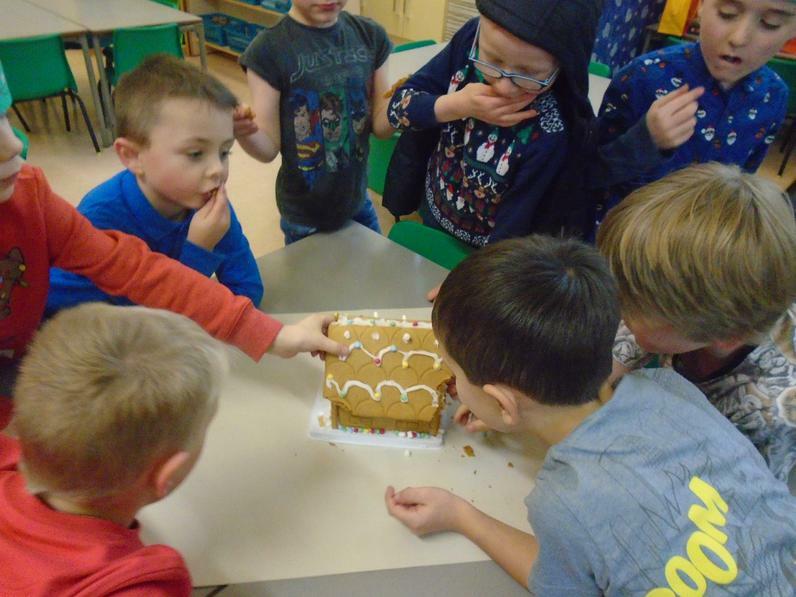 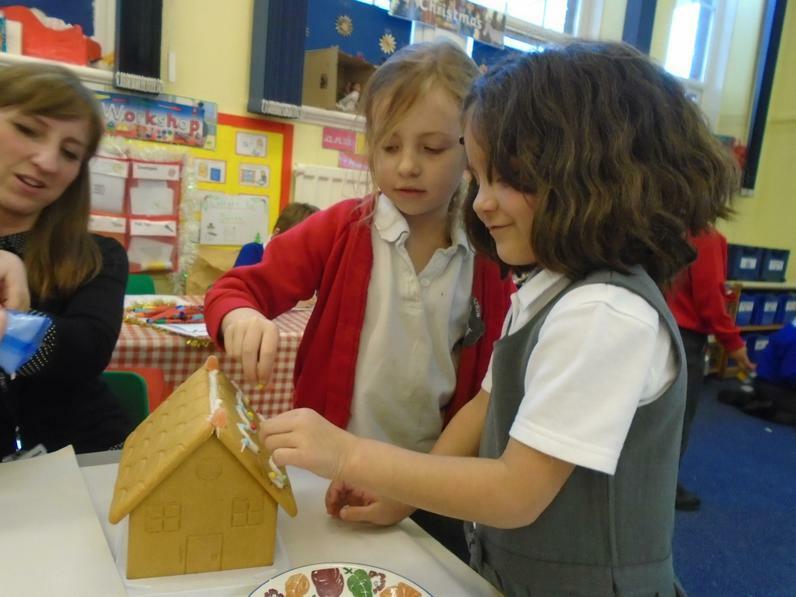 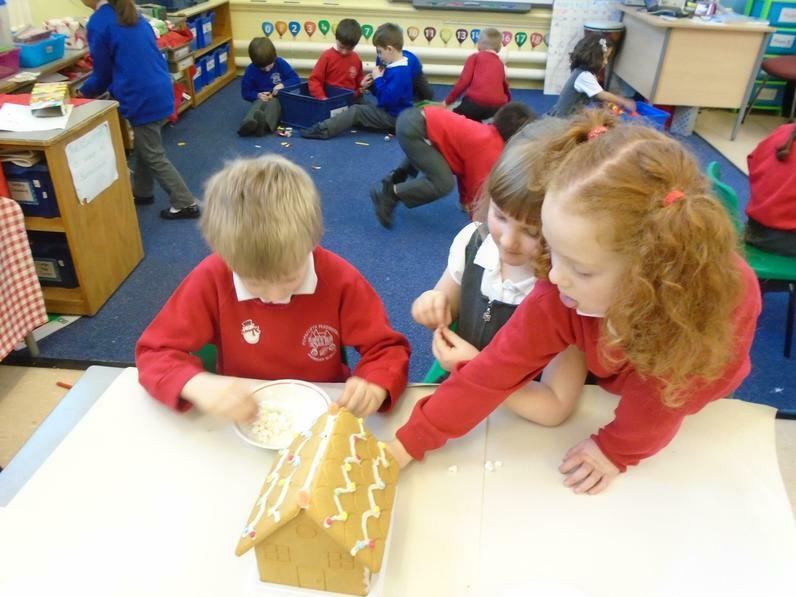 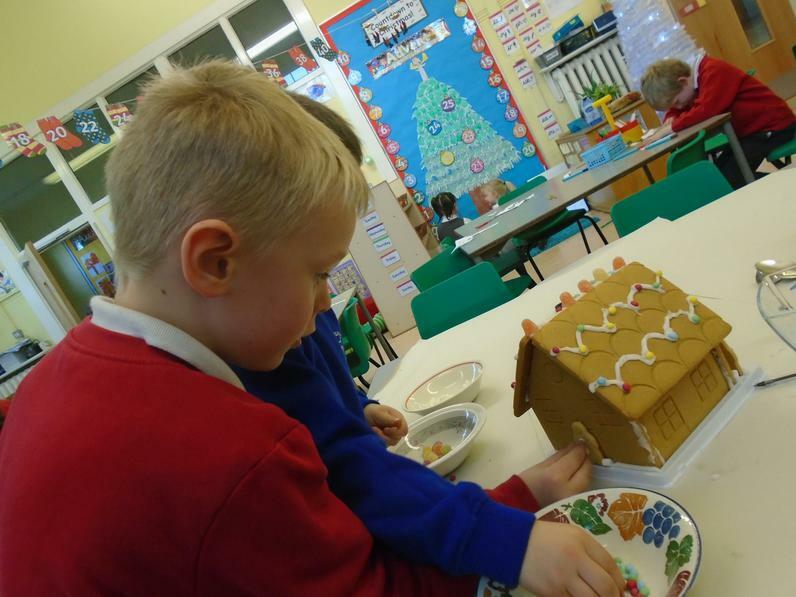 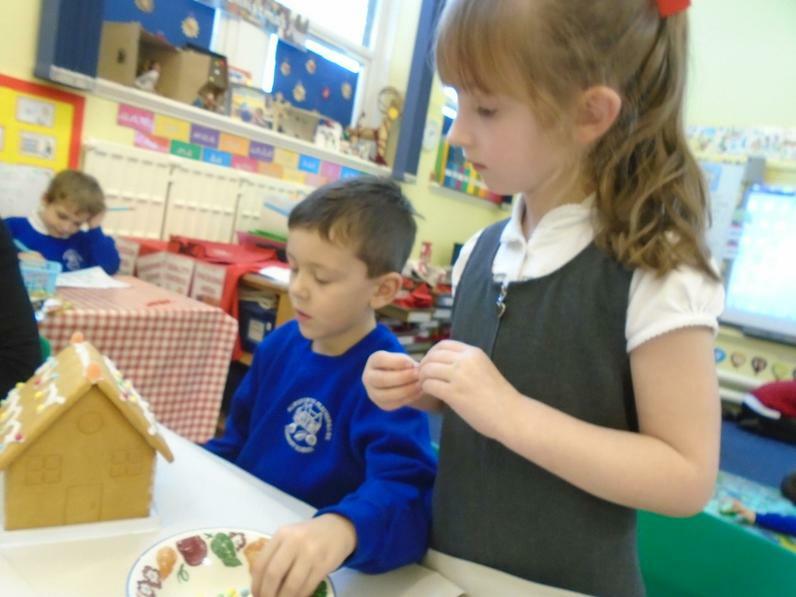 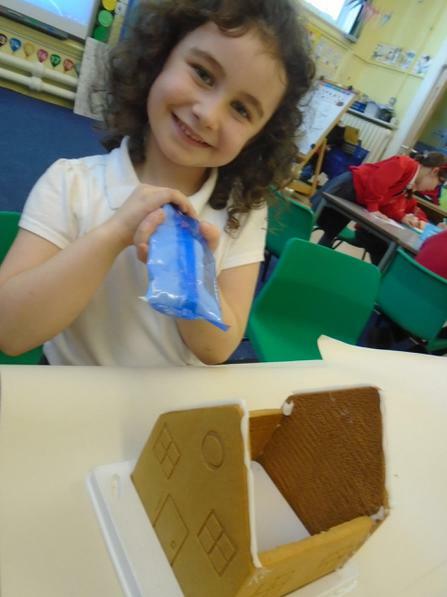 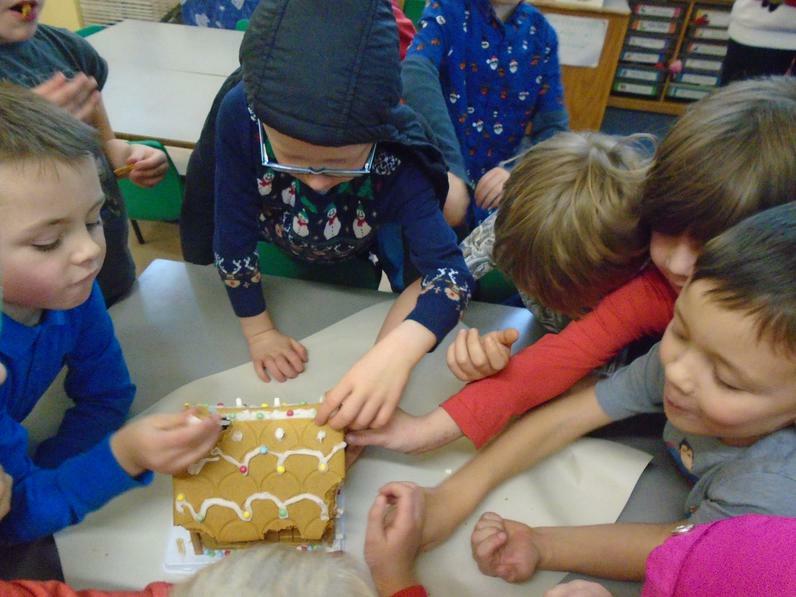 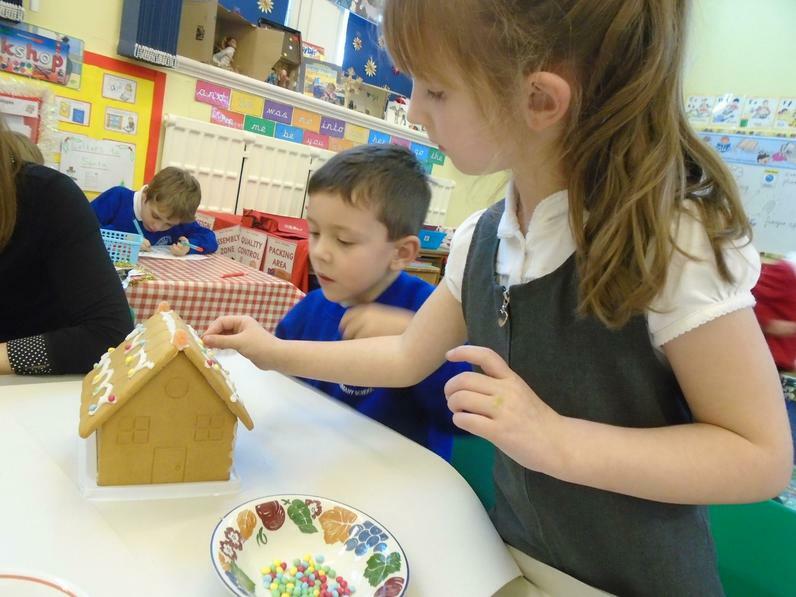 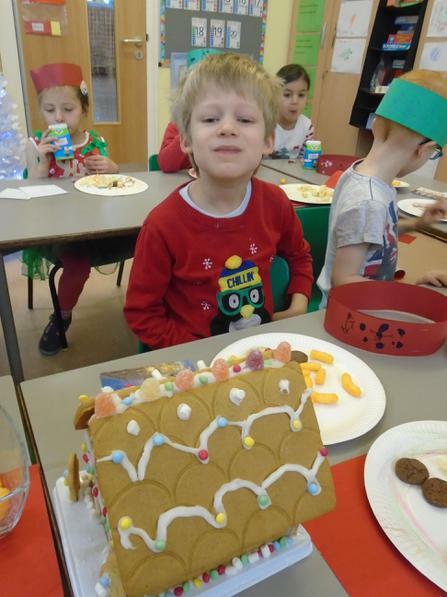 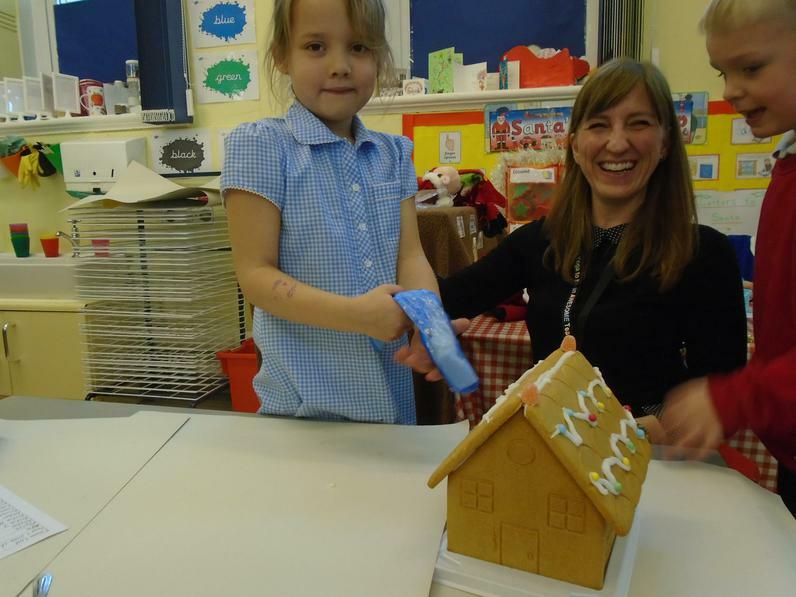 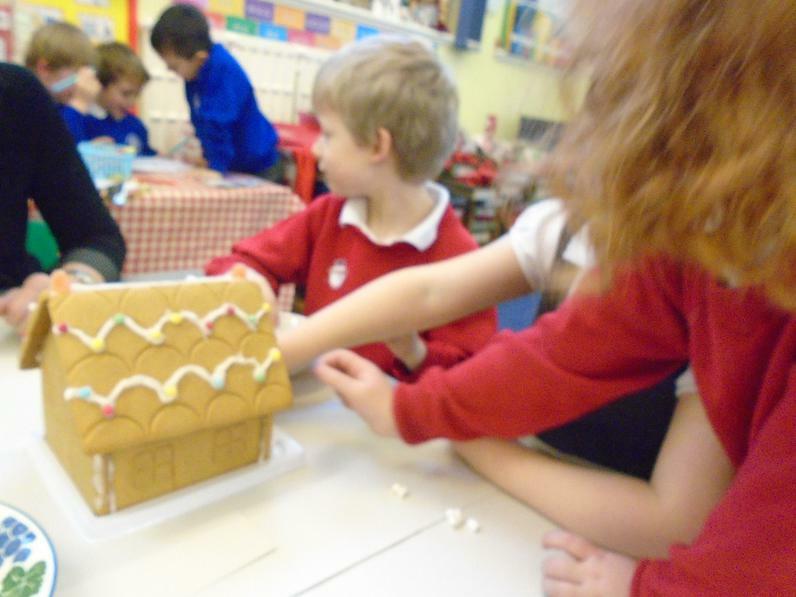 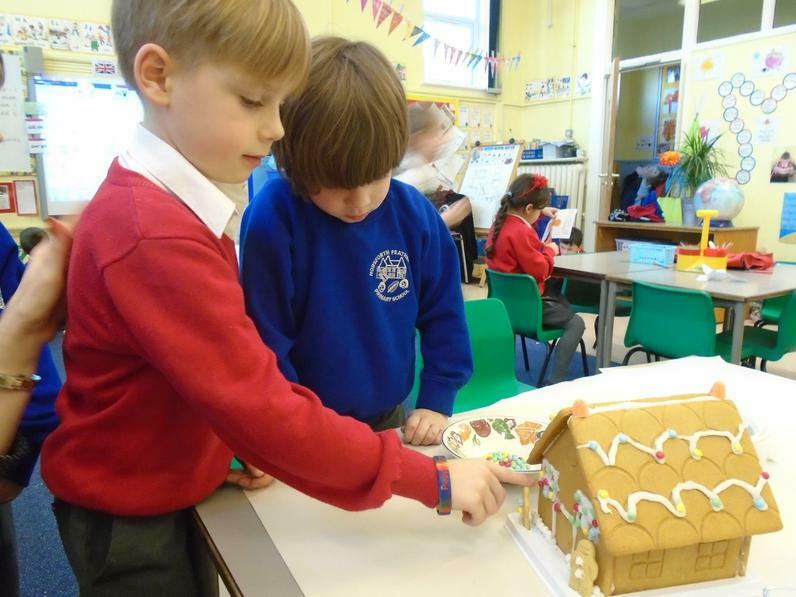 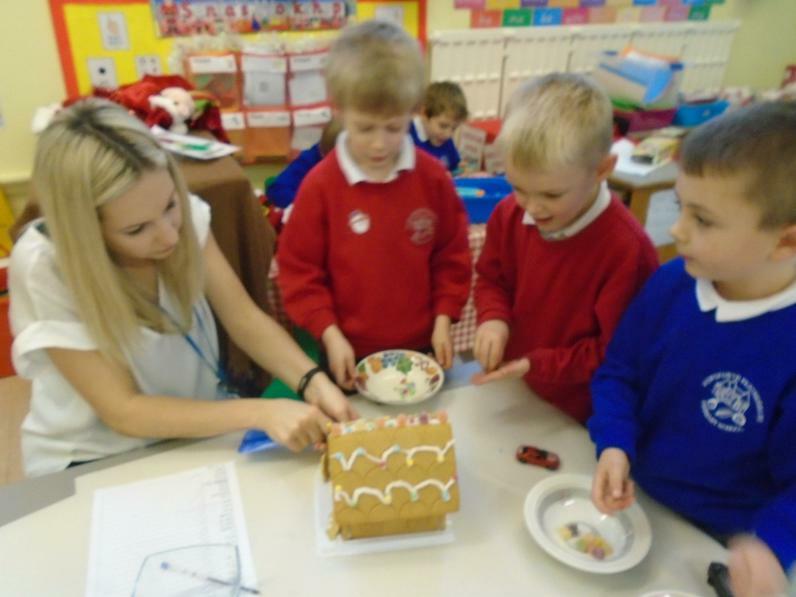 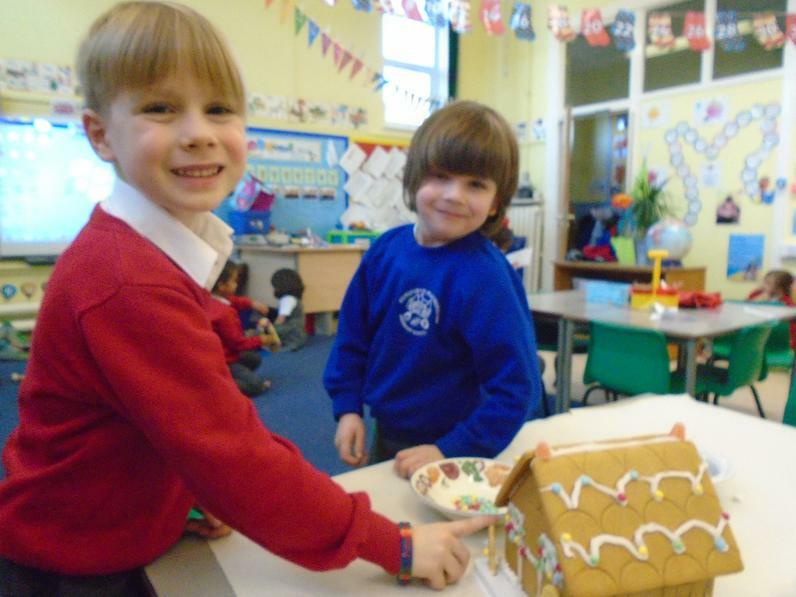 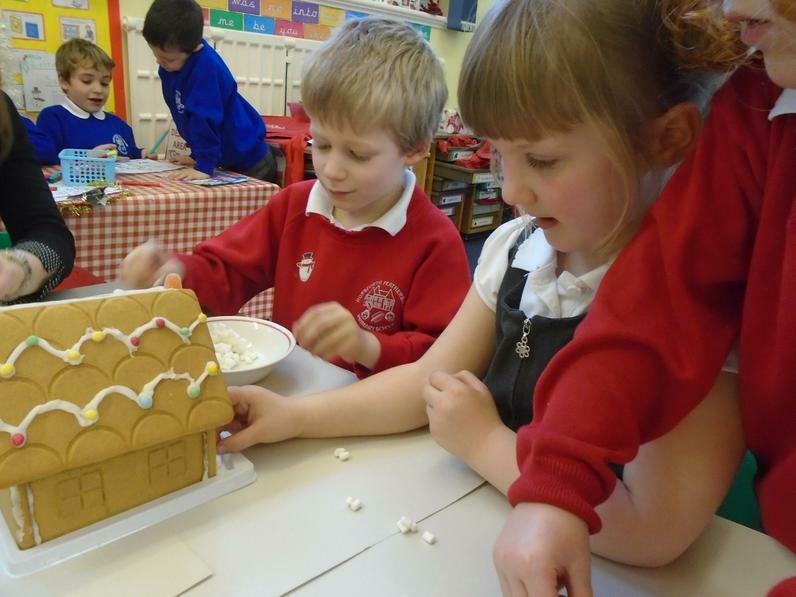 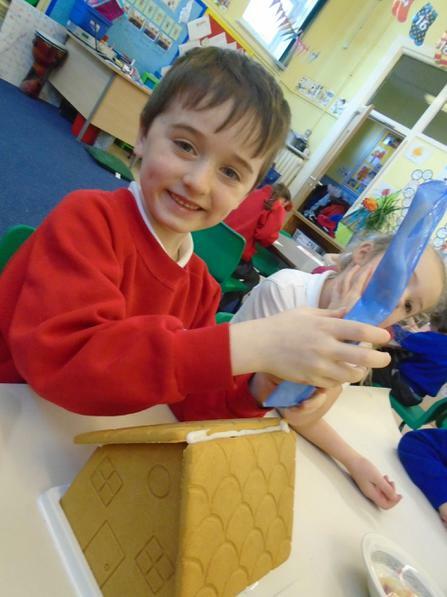 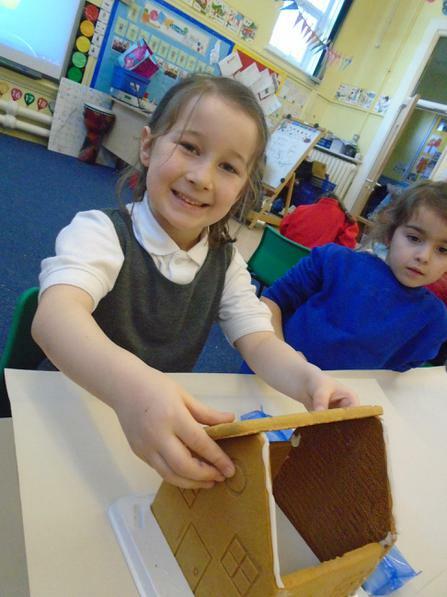 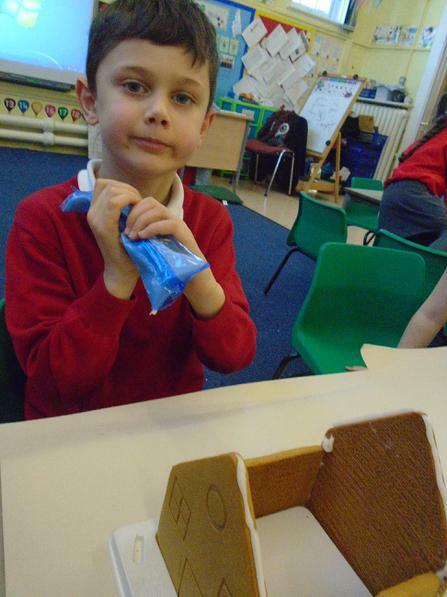 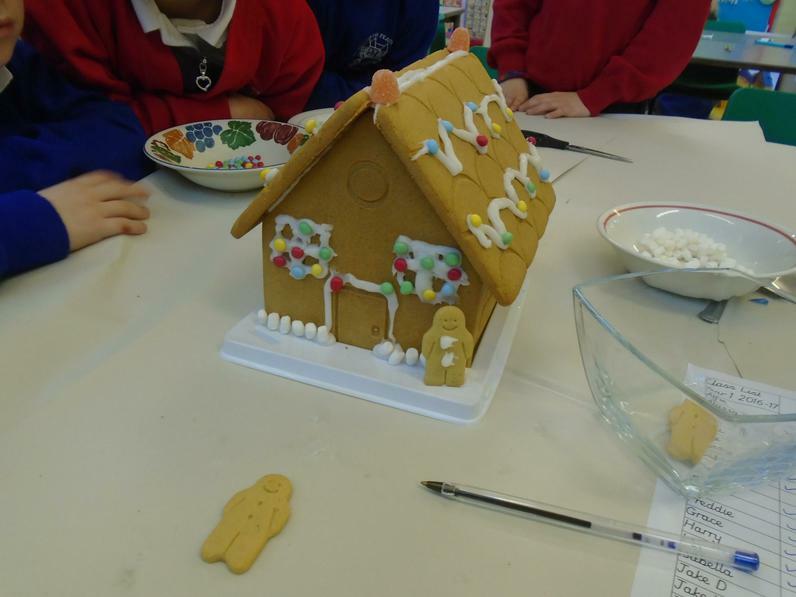 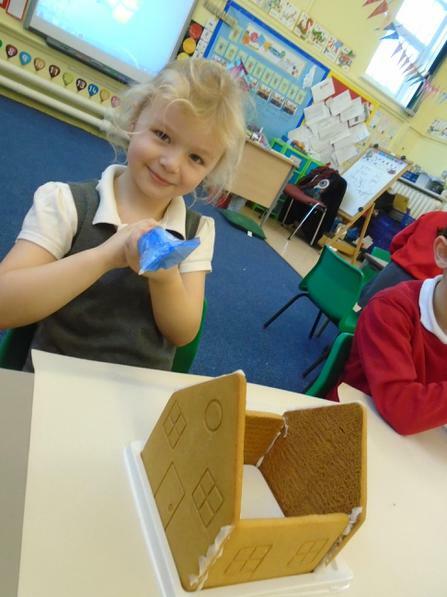 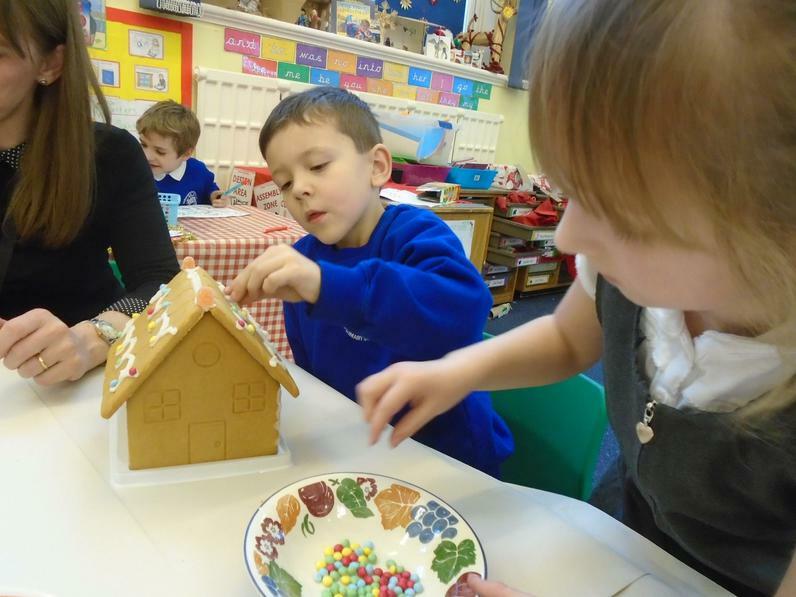 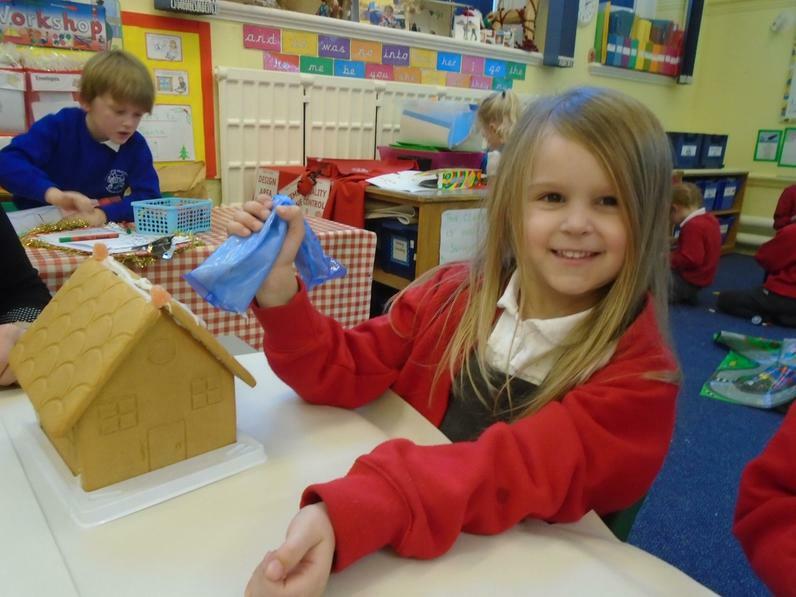 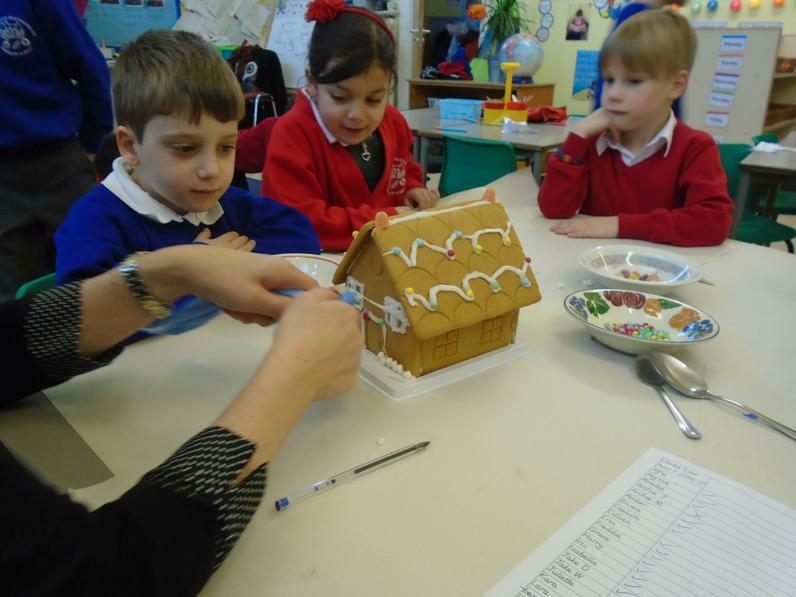 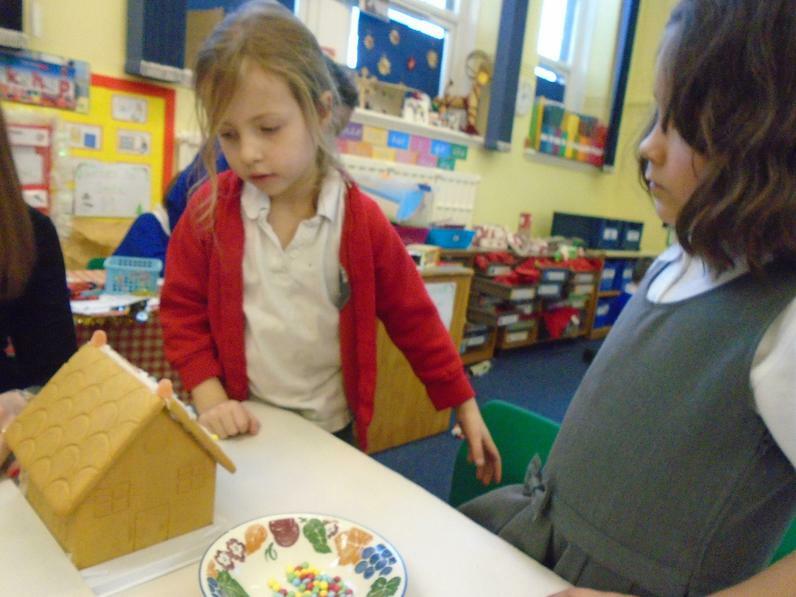 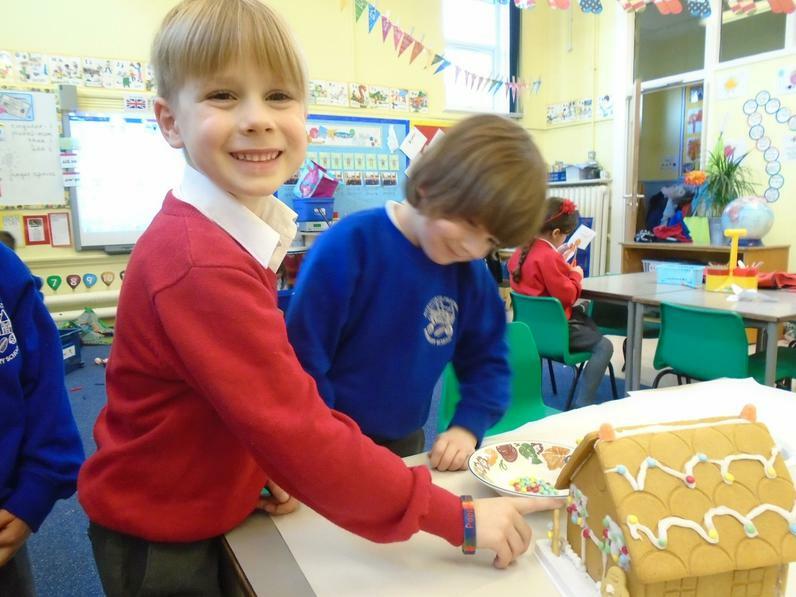 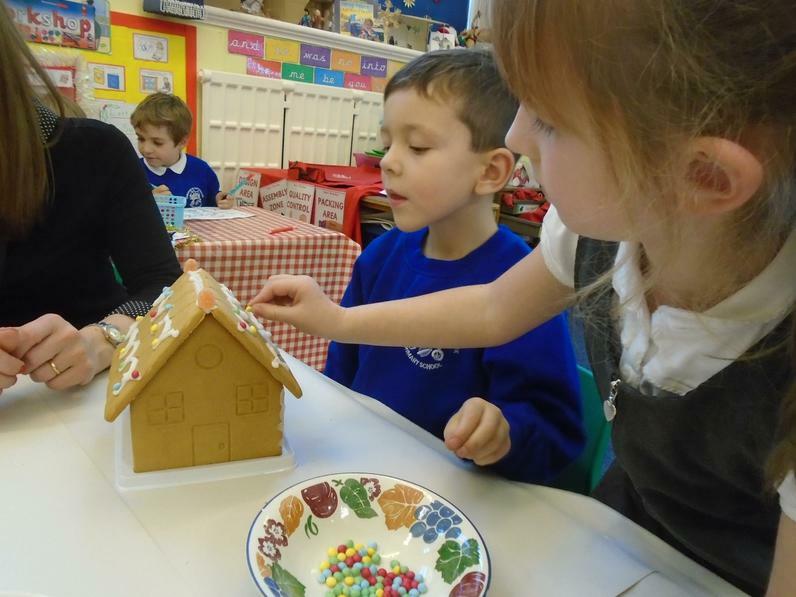 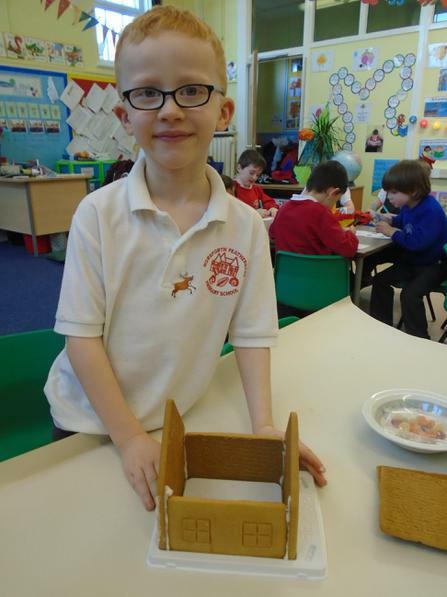 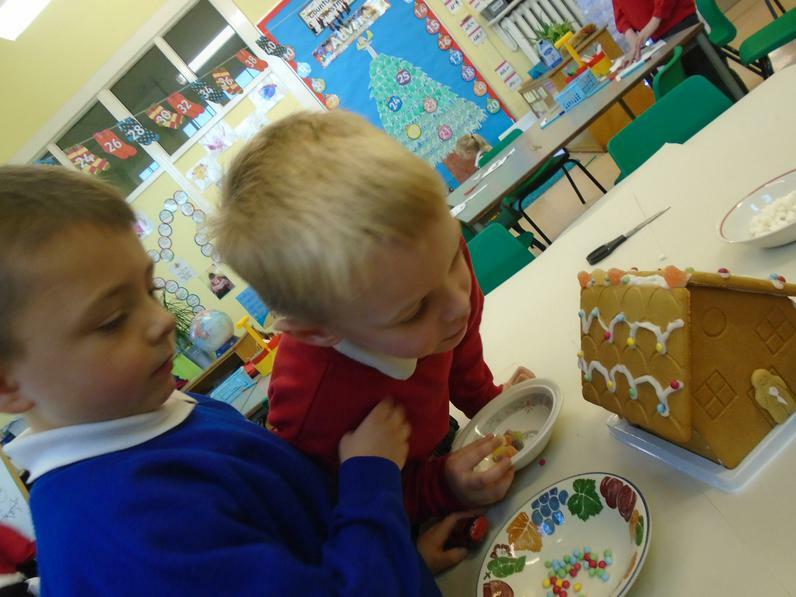 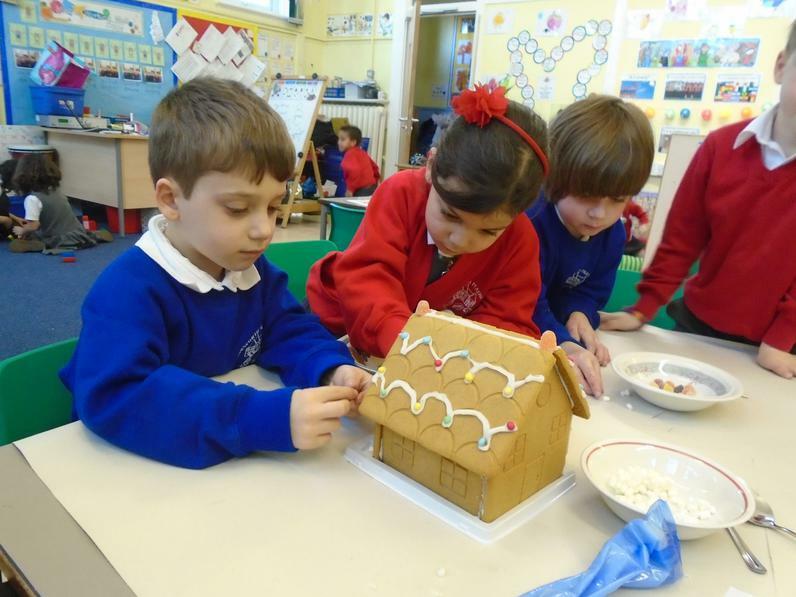 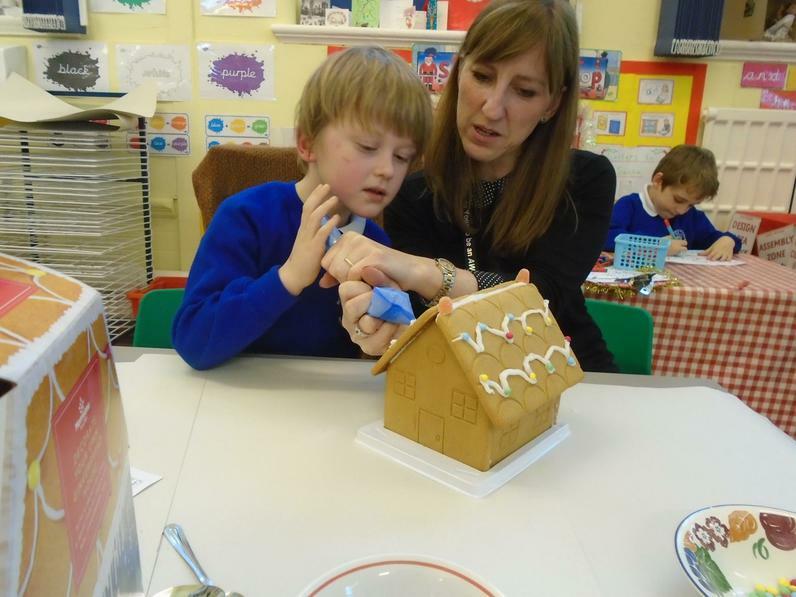 We all helped to make a gingerbread house. 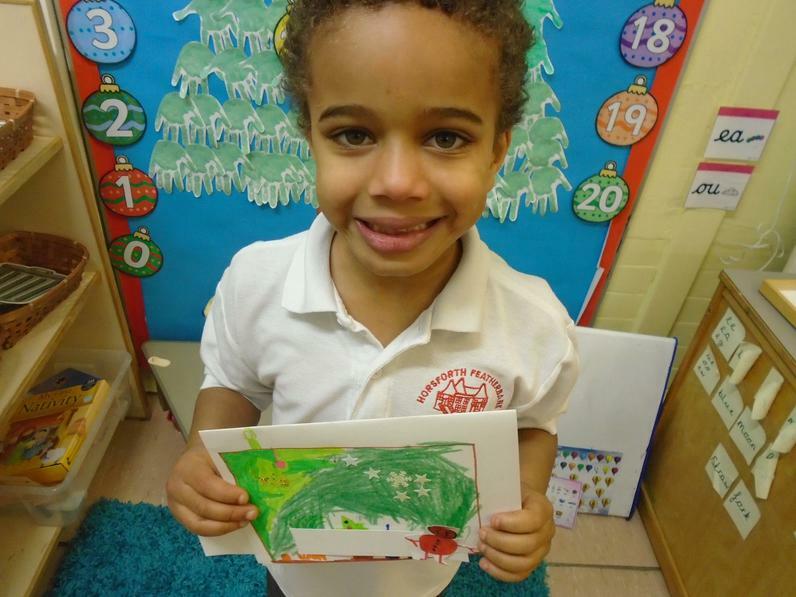 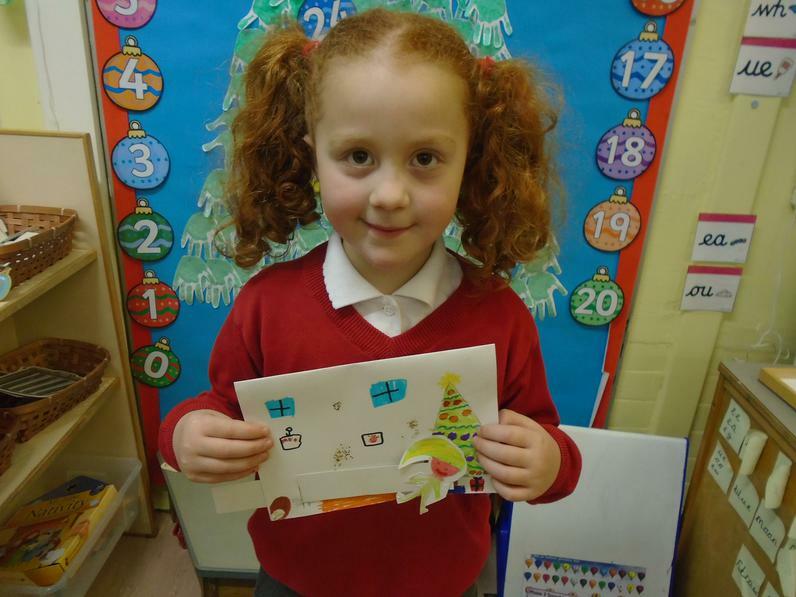 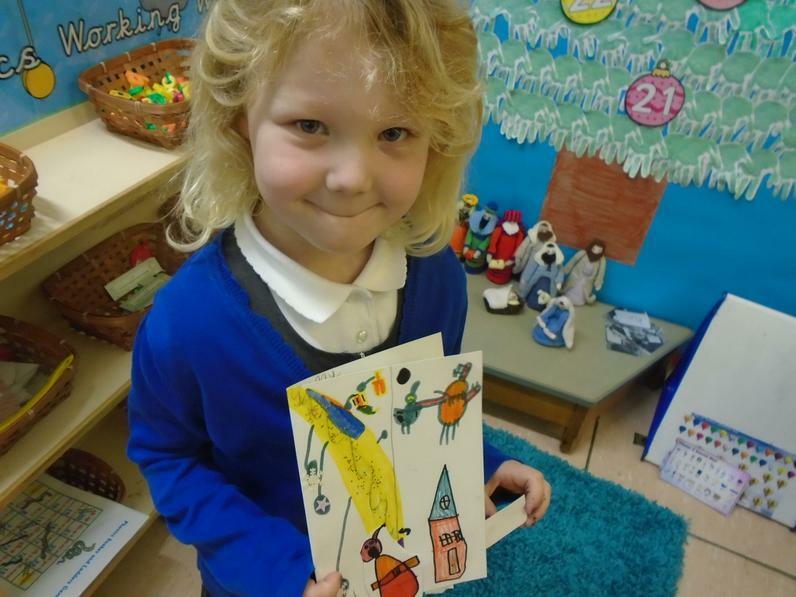 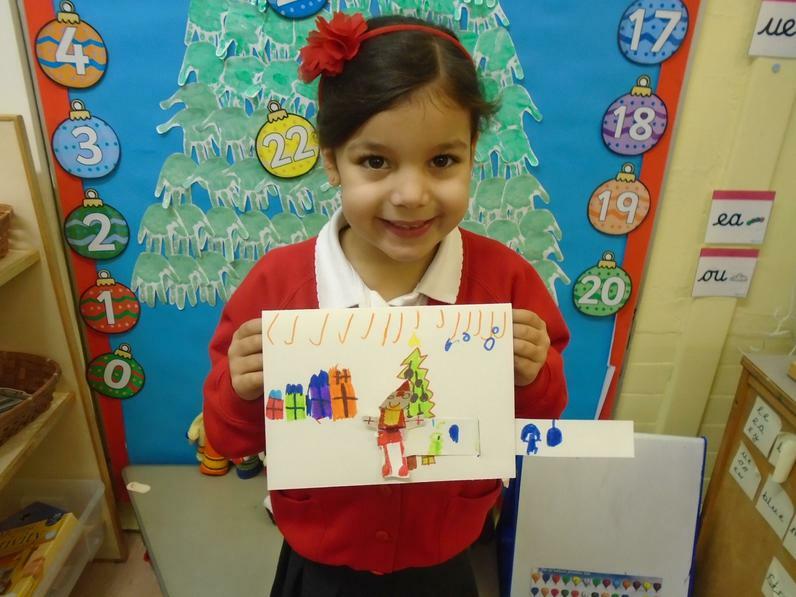 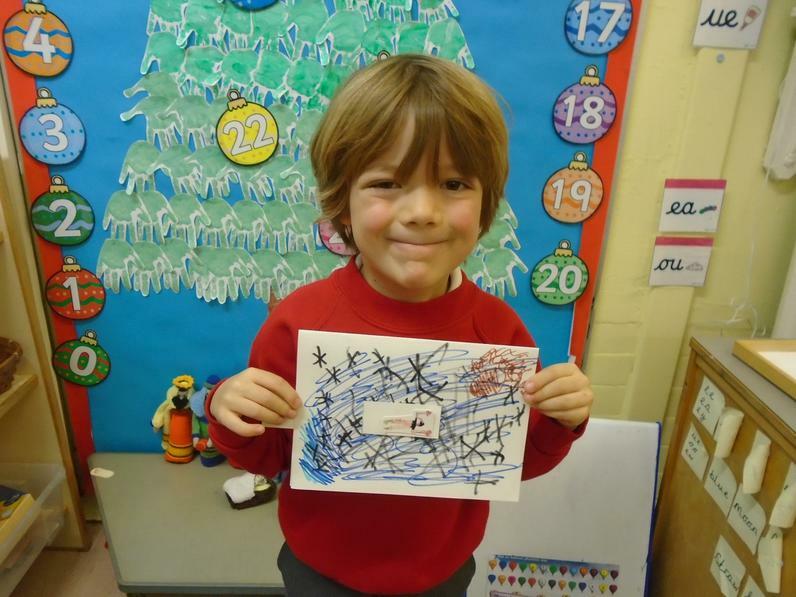 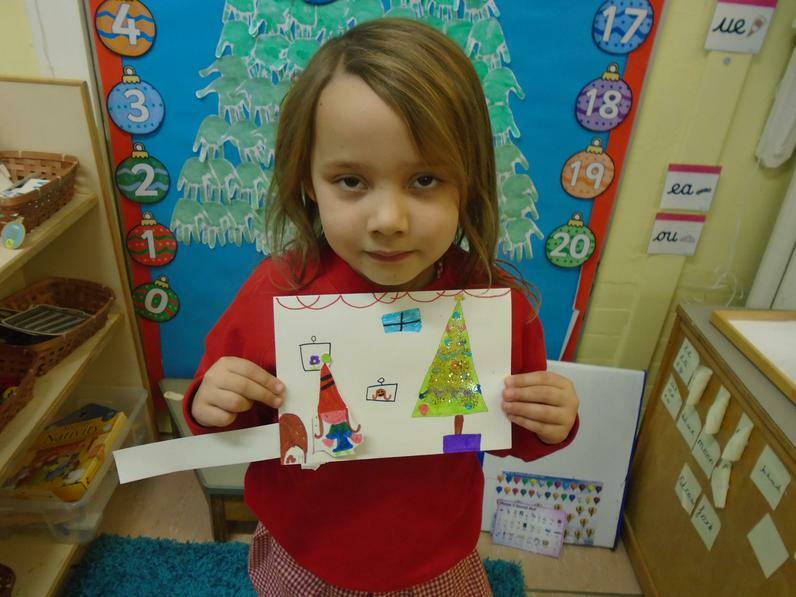 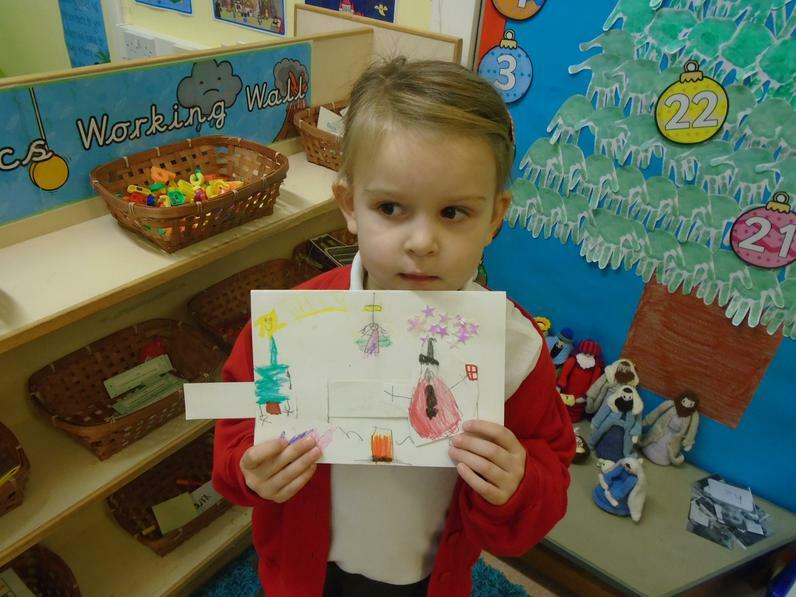 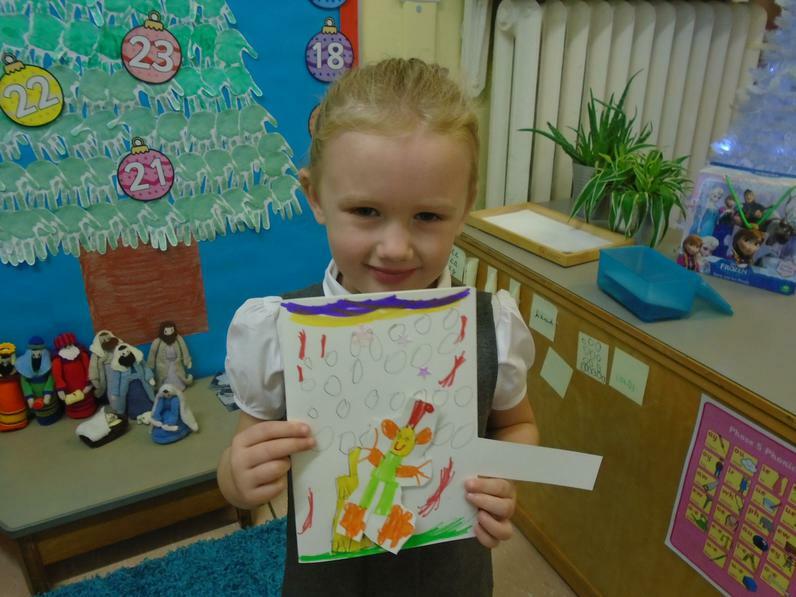 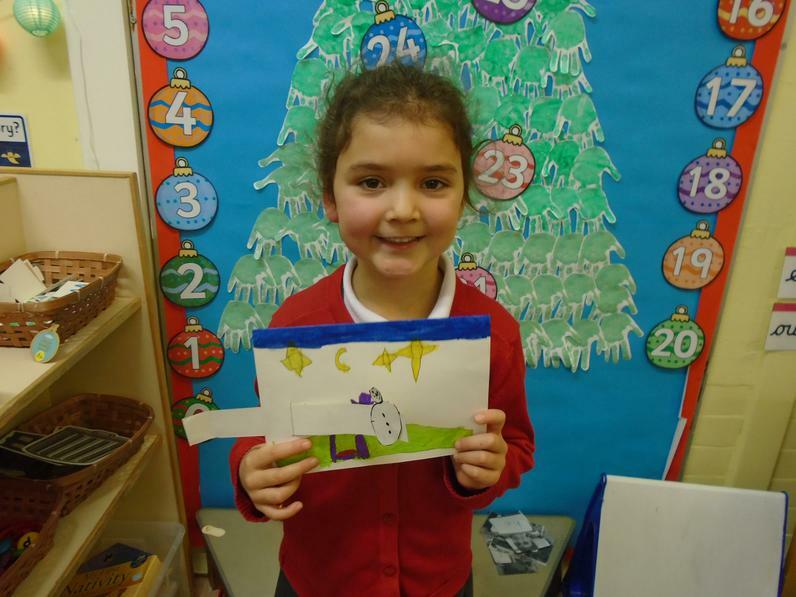 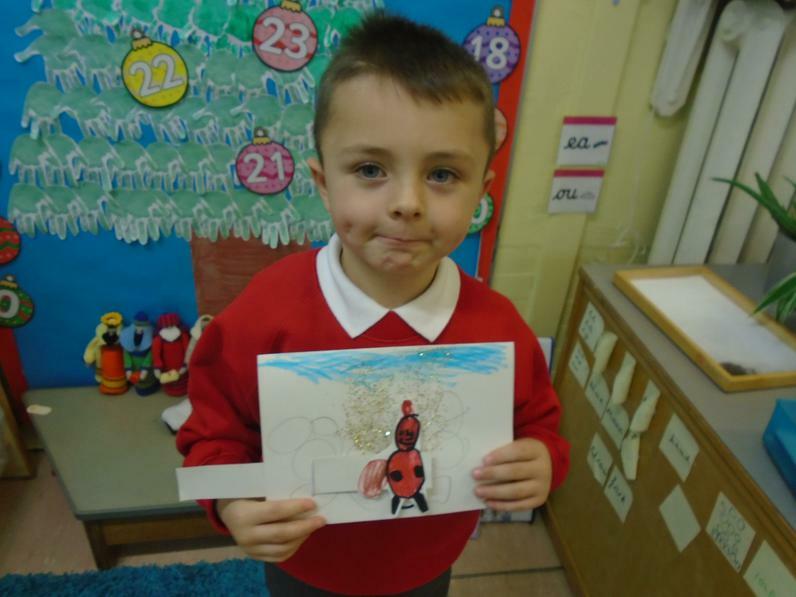 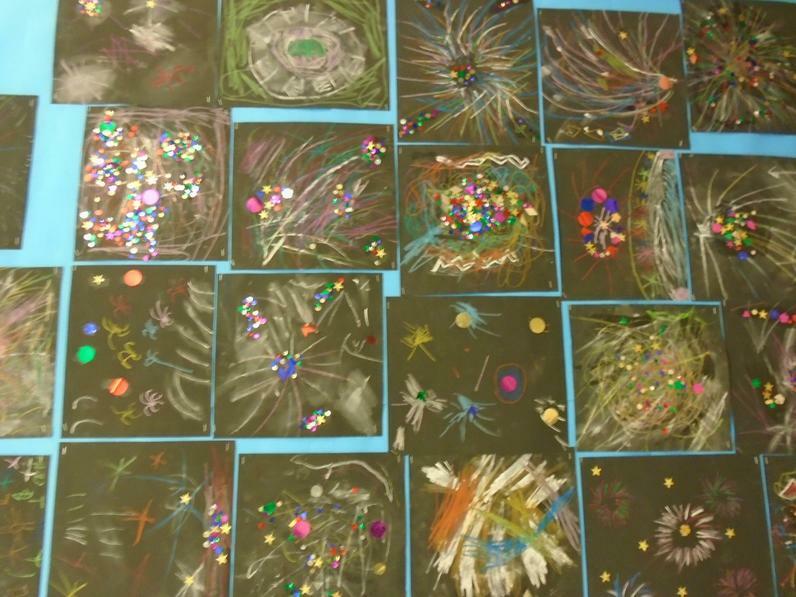 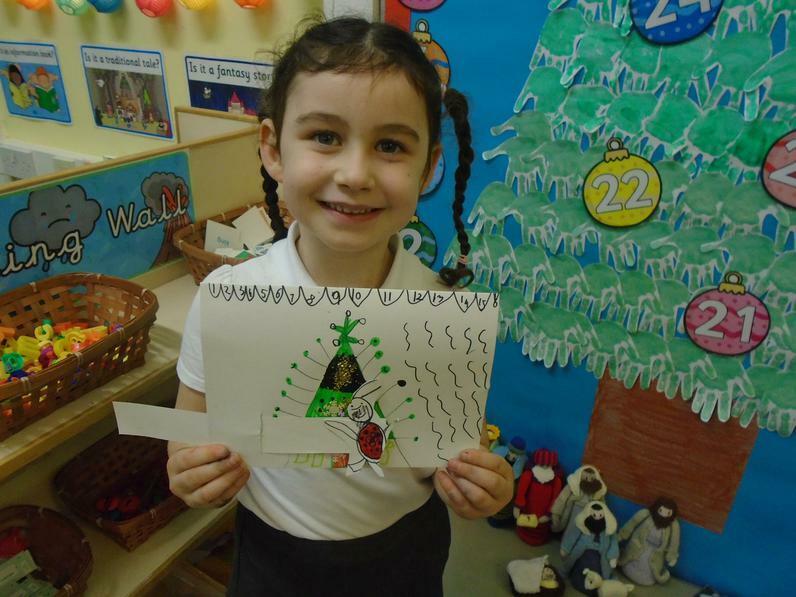 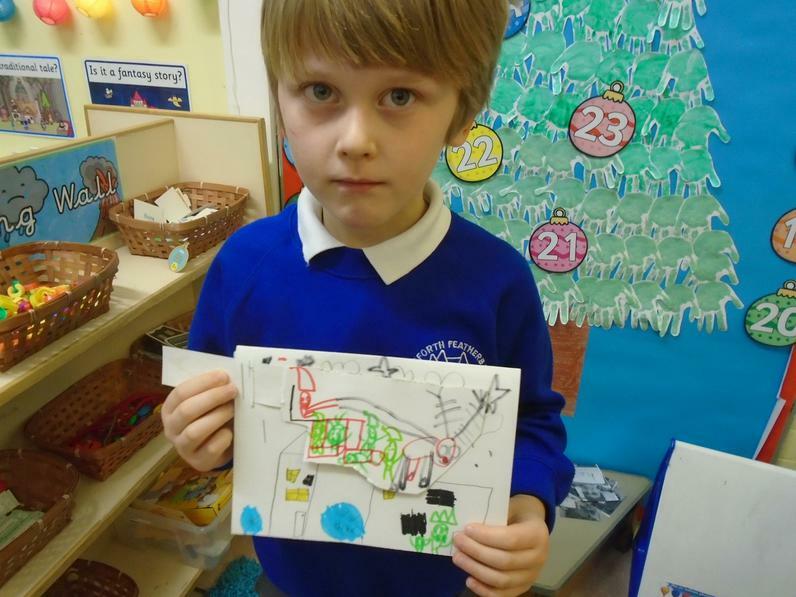 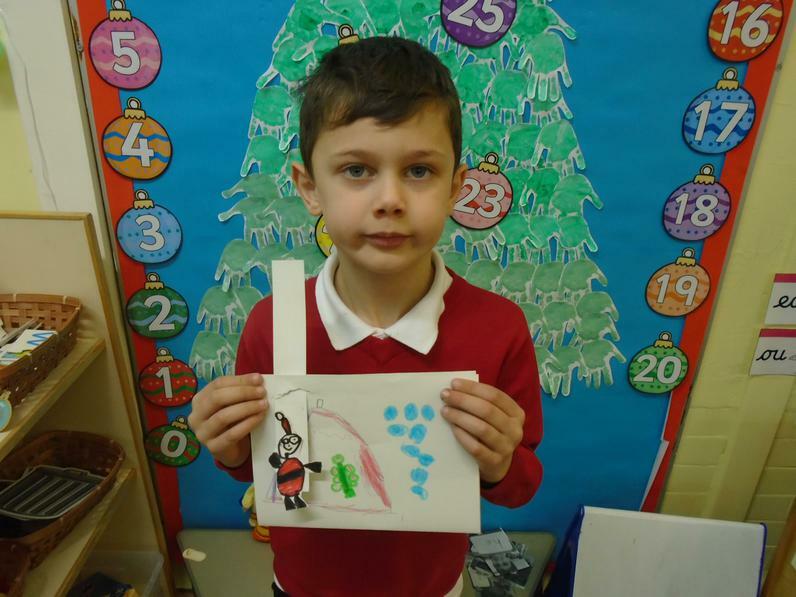 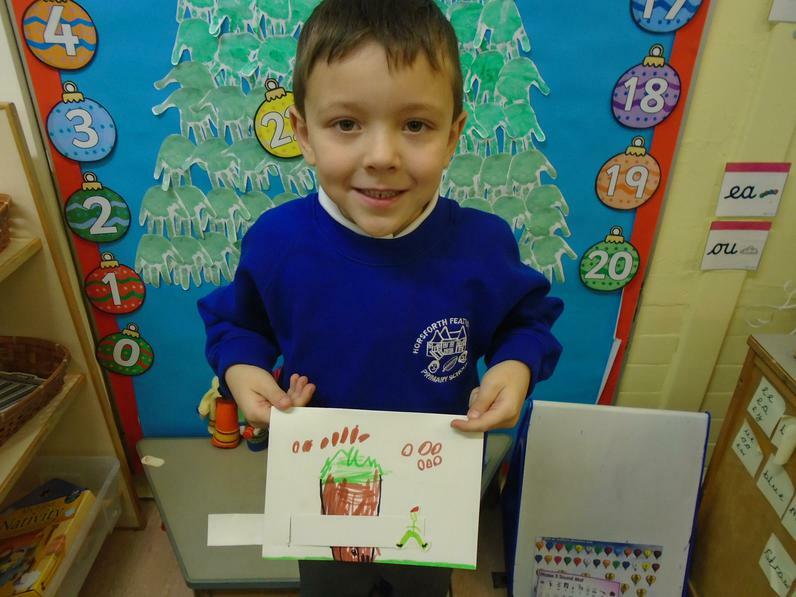 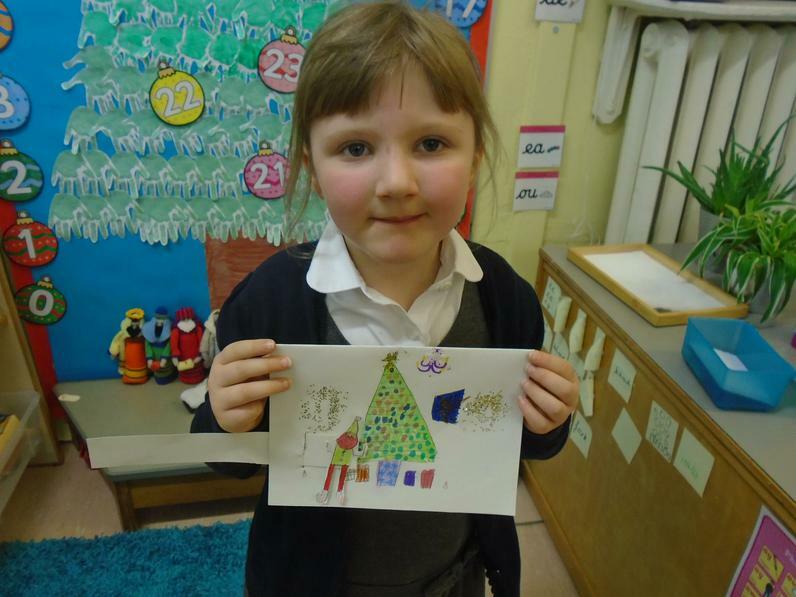 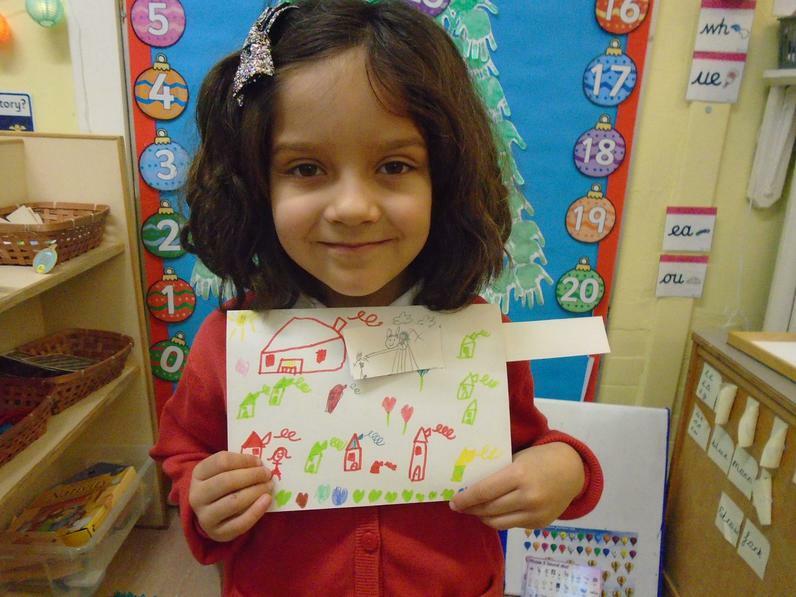 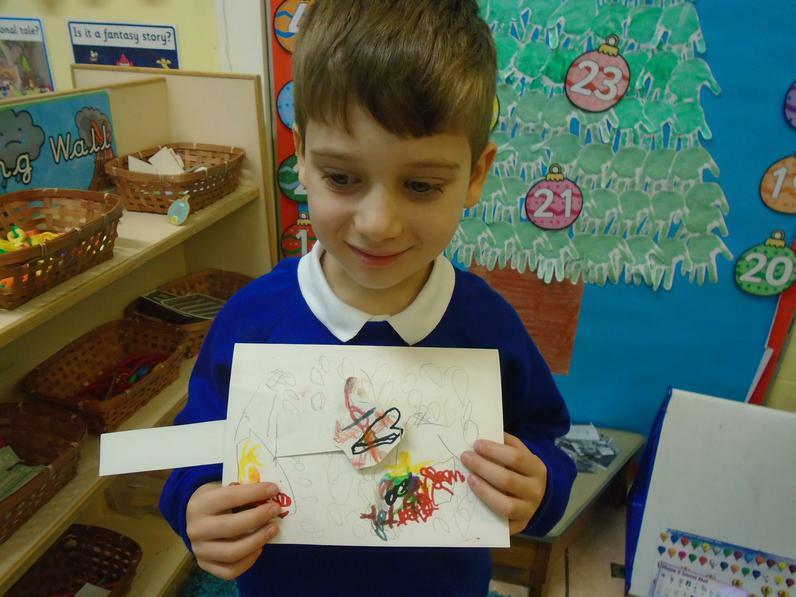 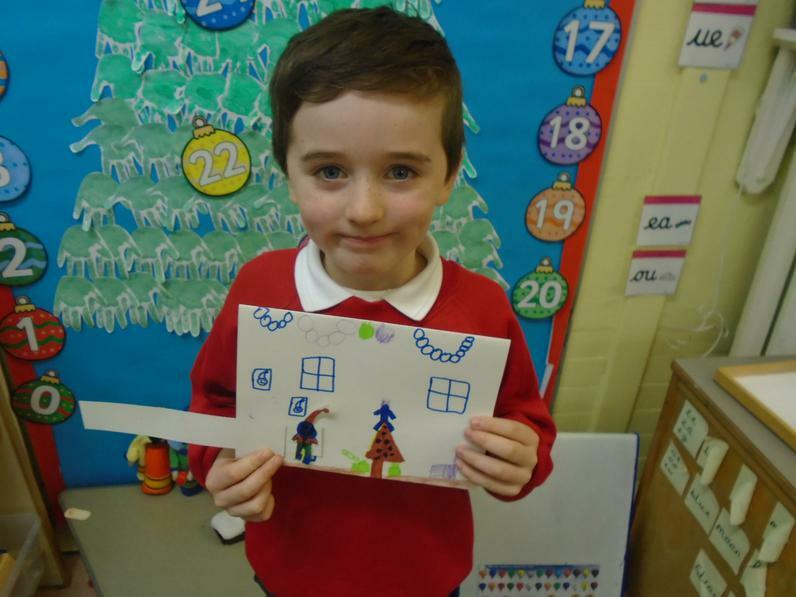 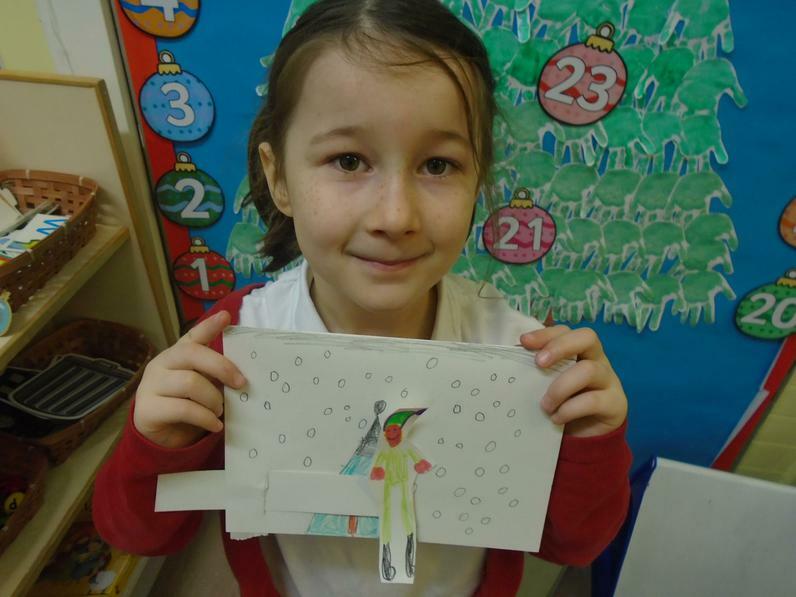 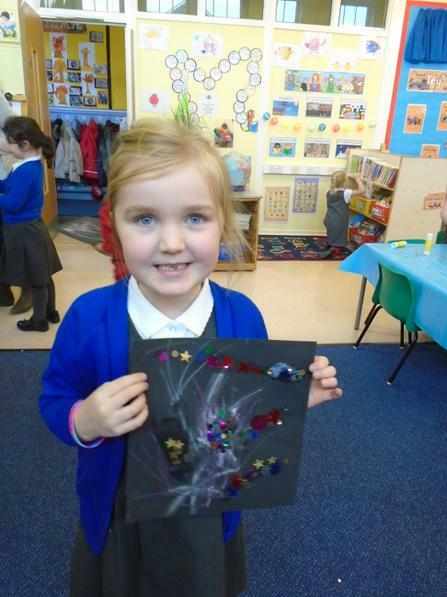 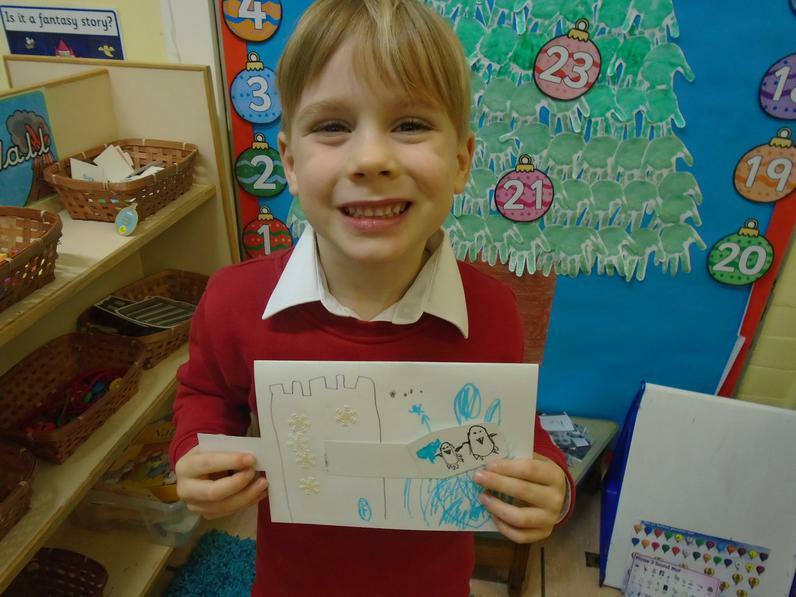 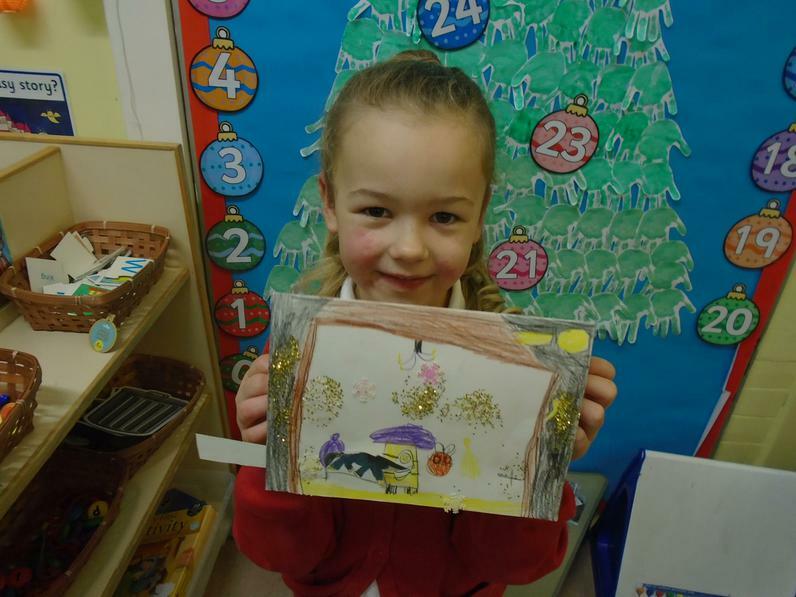 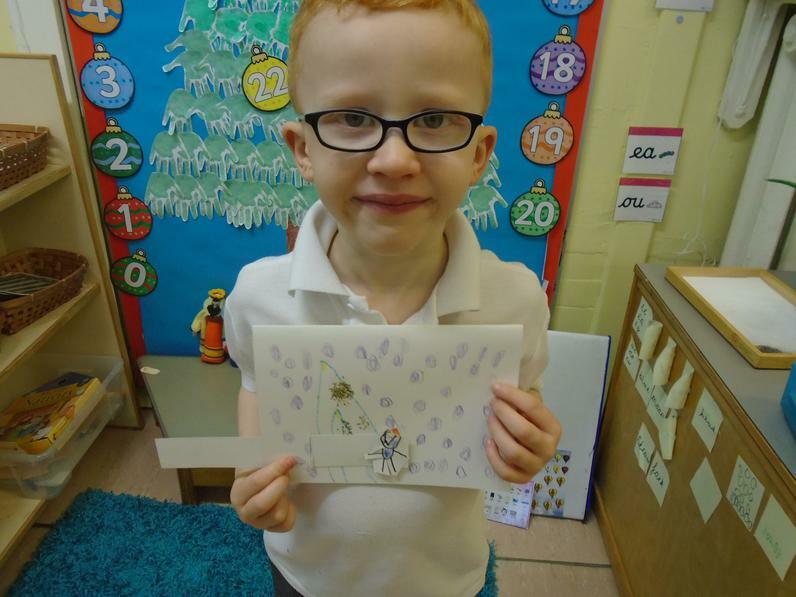 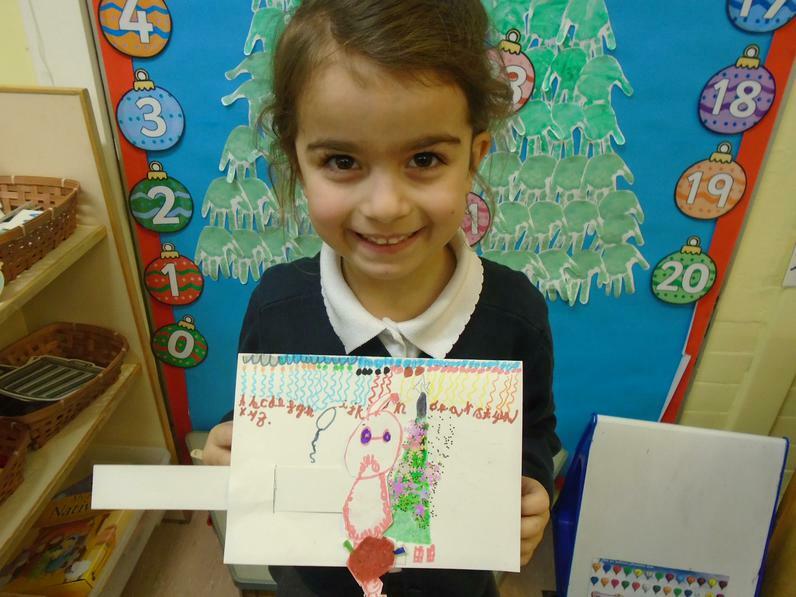 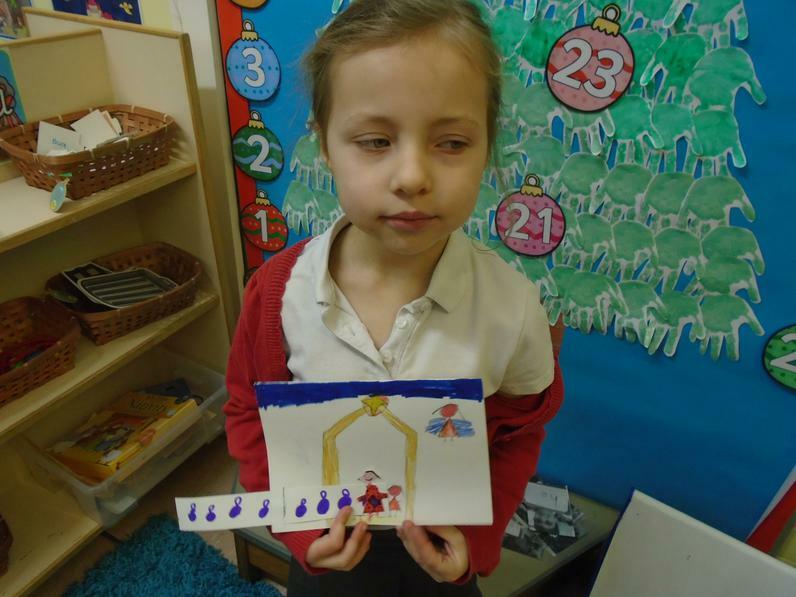 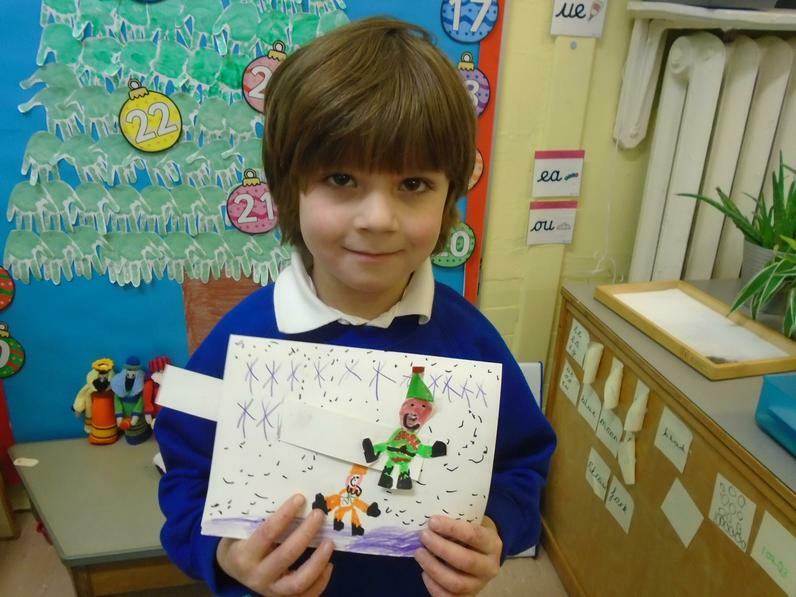 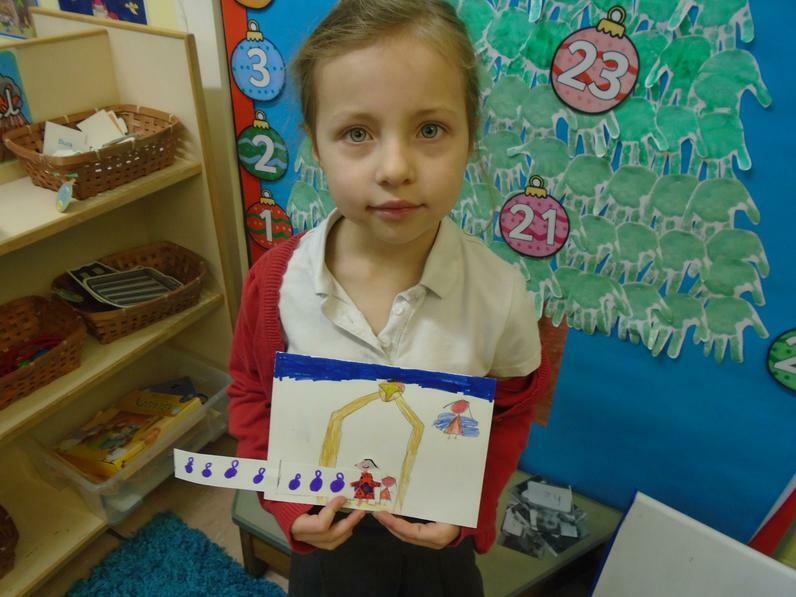 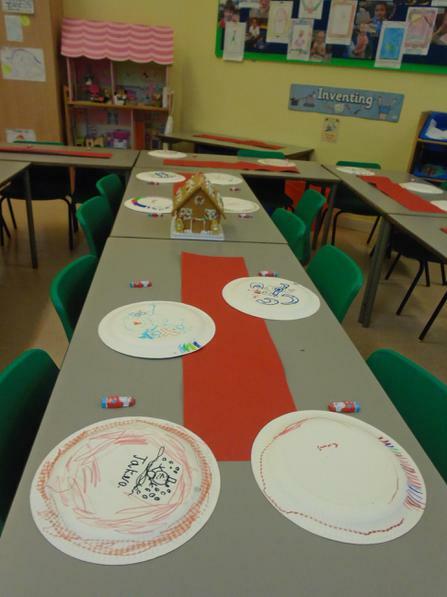 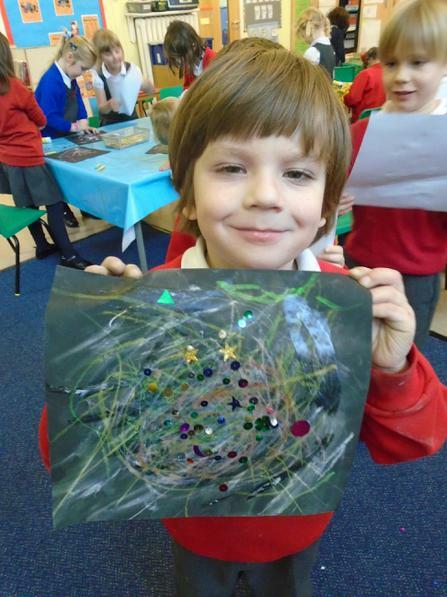 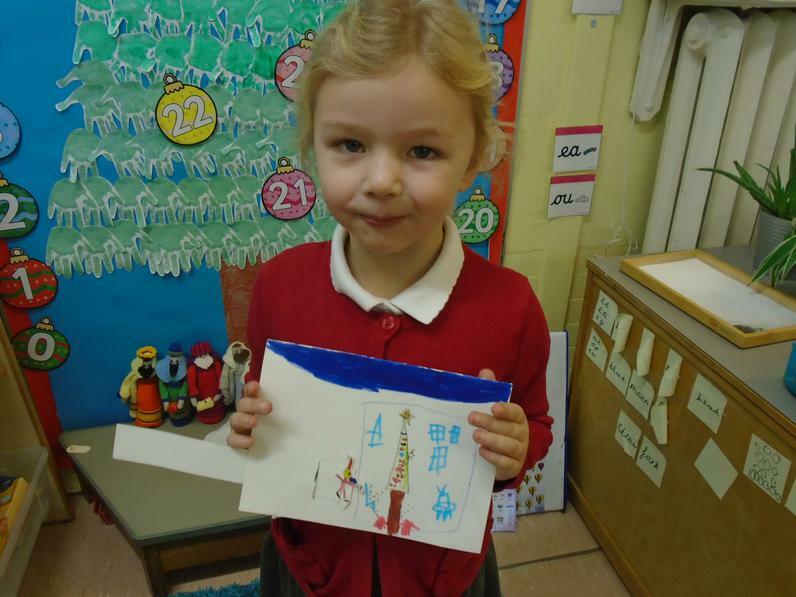 We created some fabulous moving Xmas cards as part of our Design technology project. 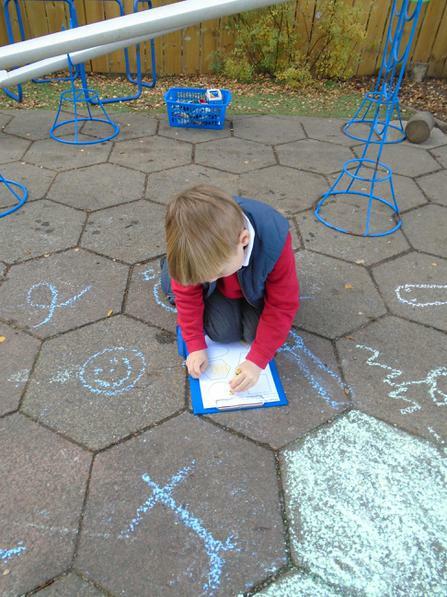 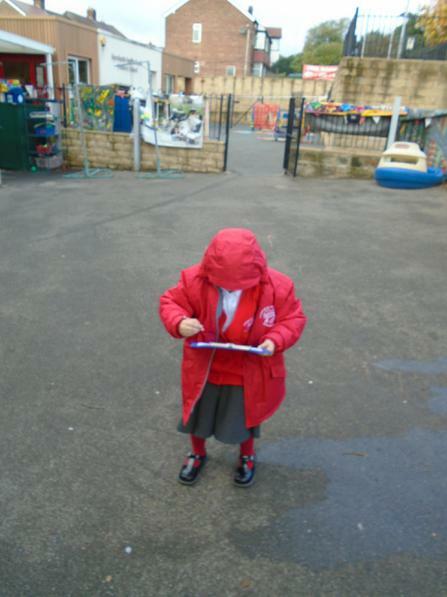 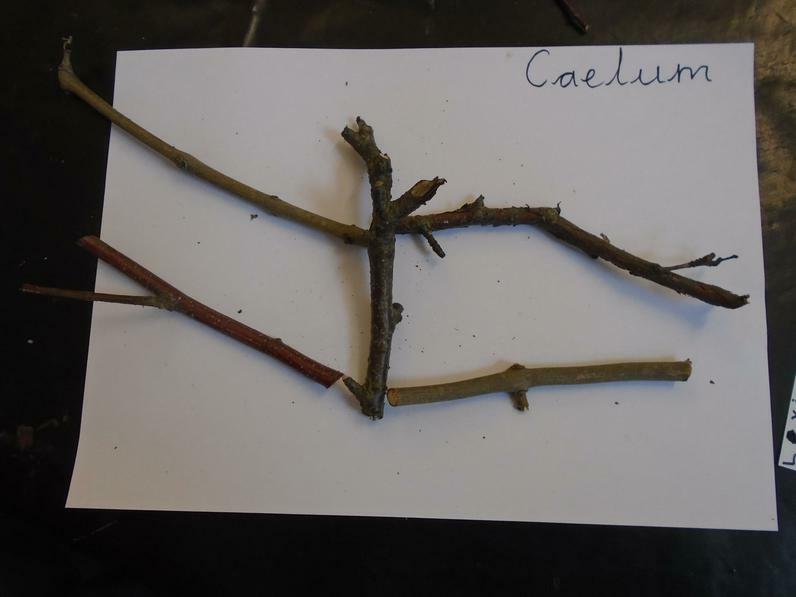 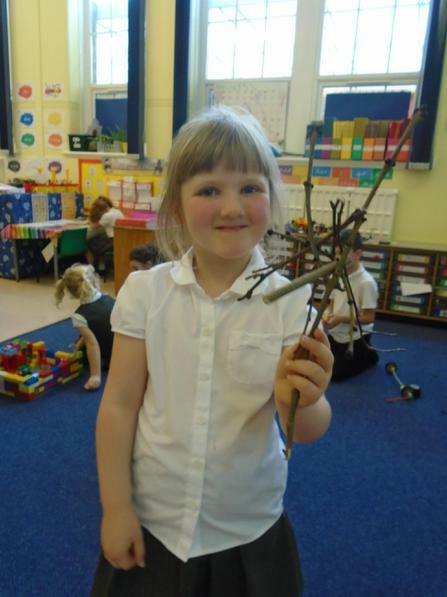 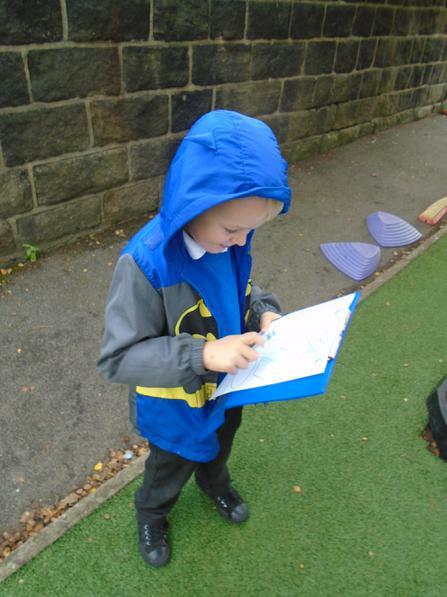 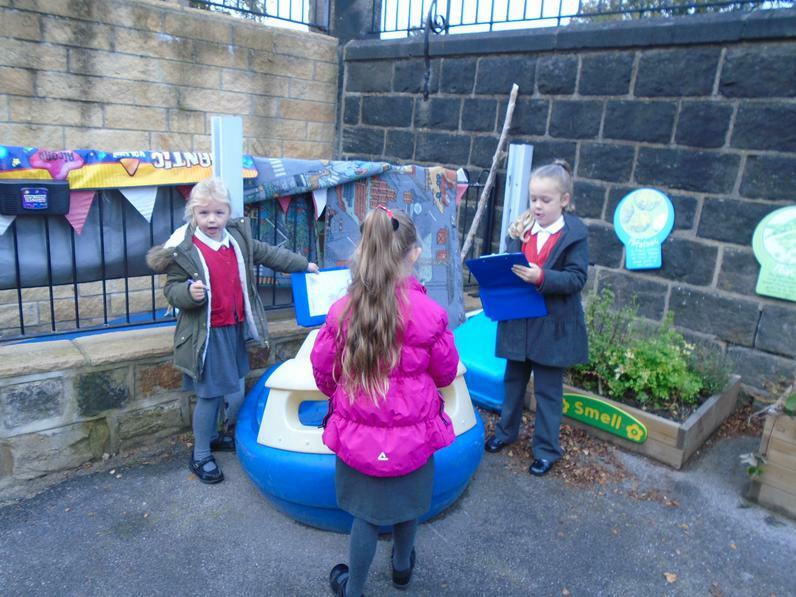 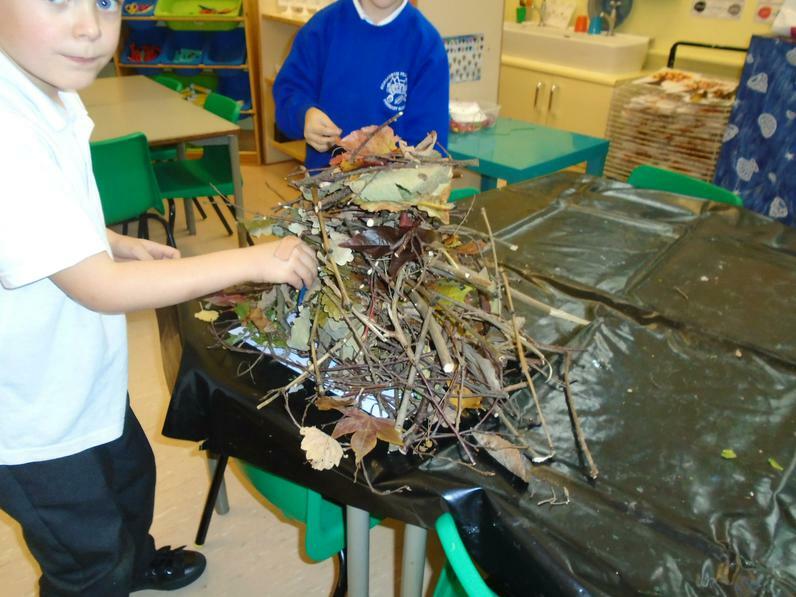 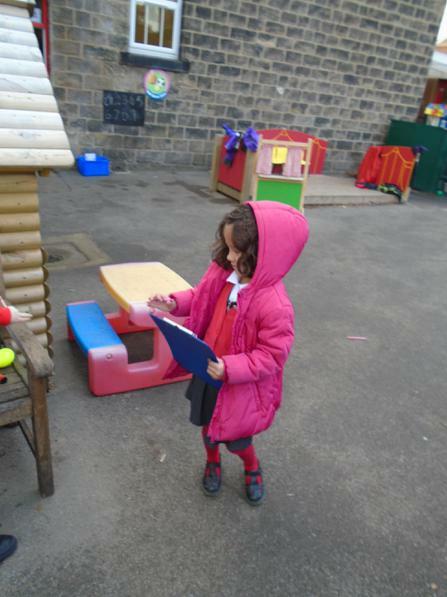 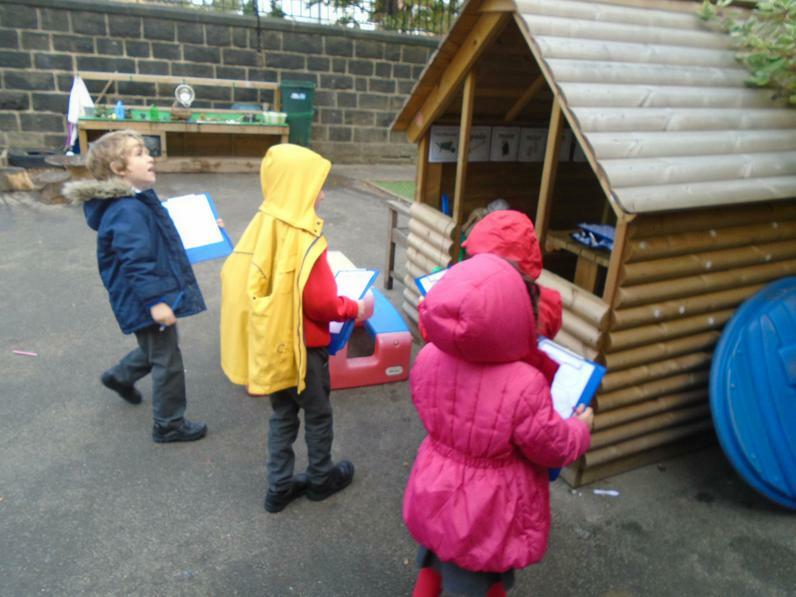 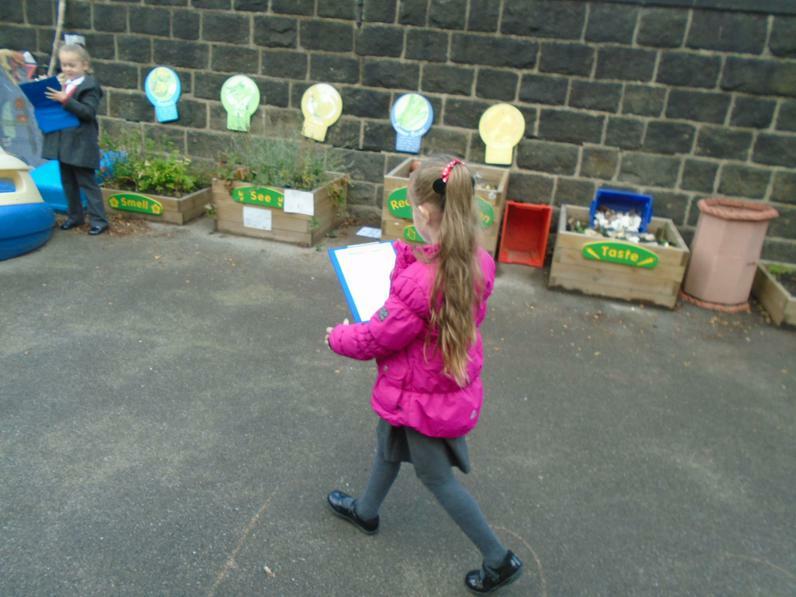 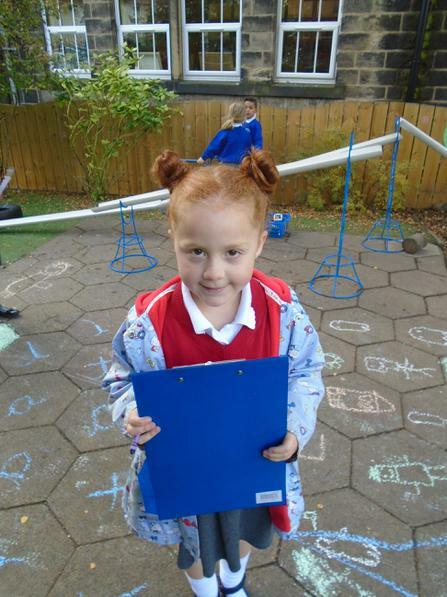 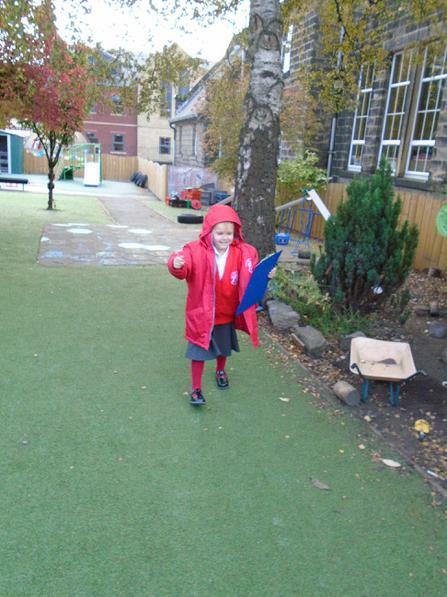 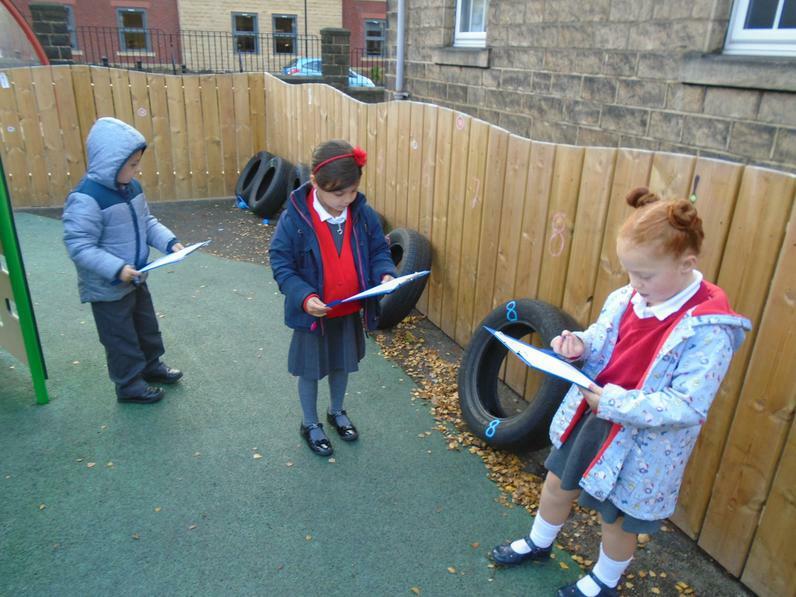 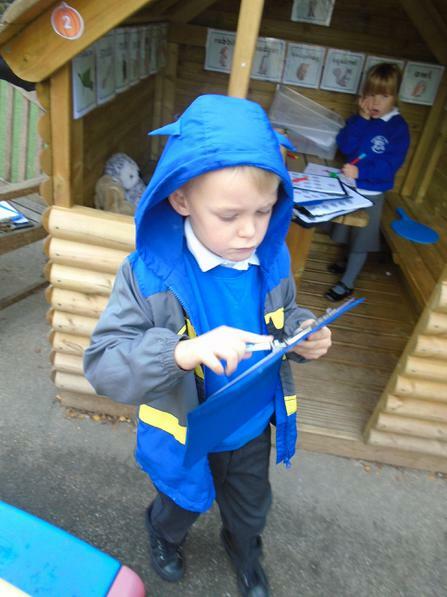 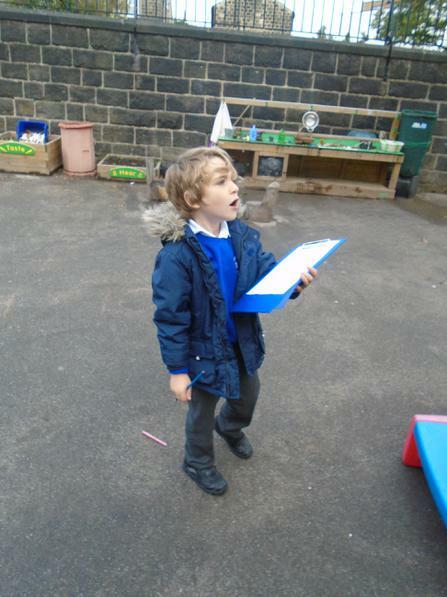 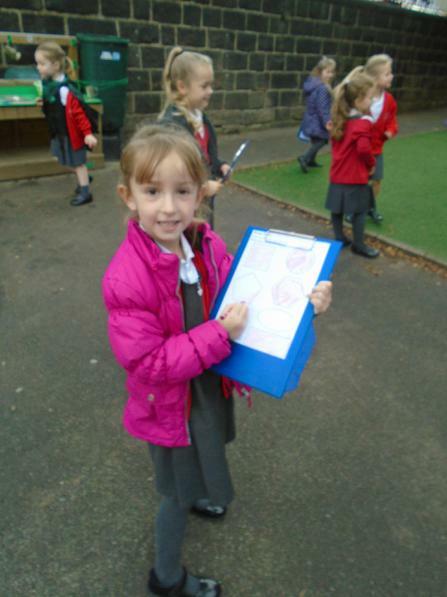 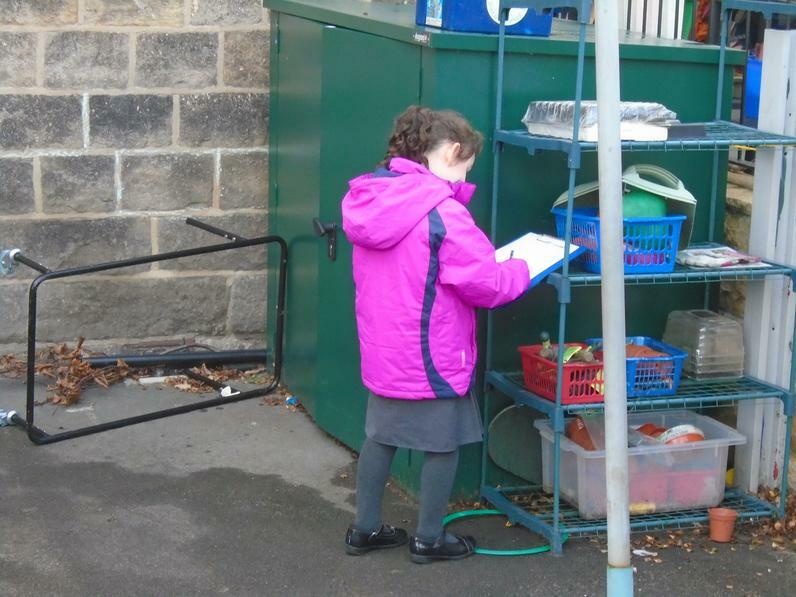 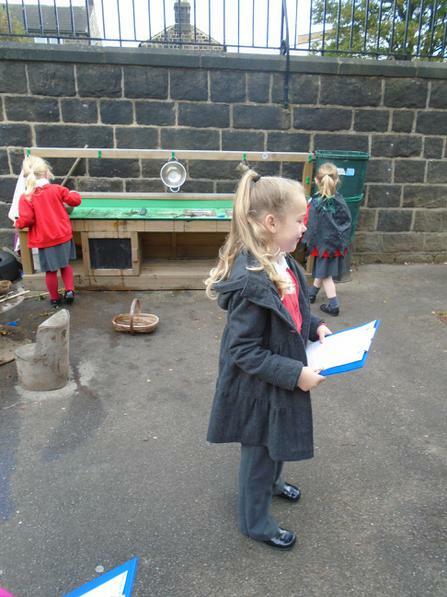 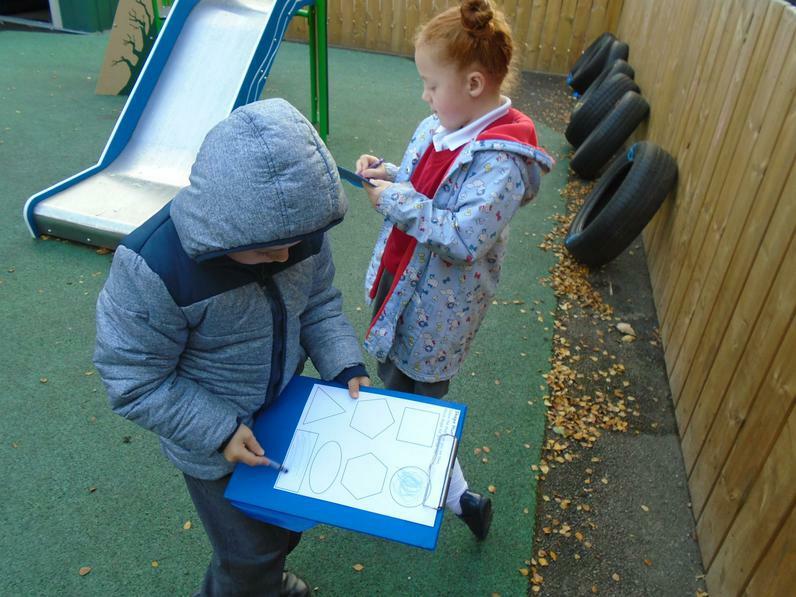 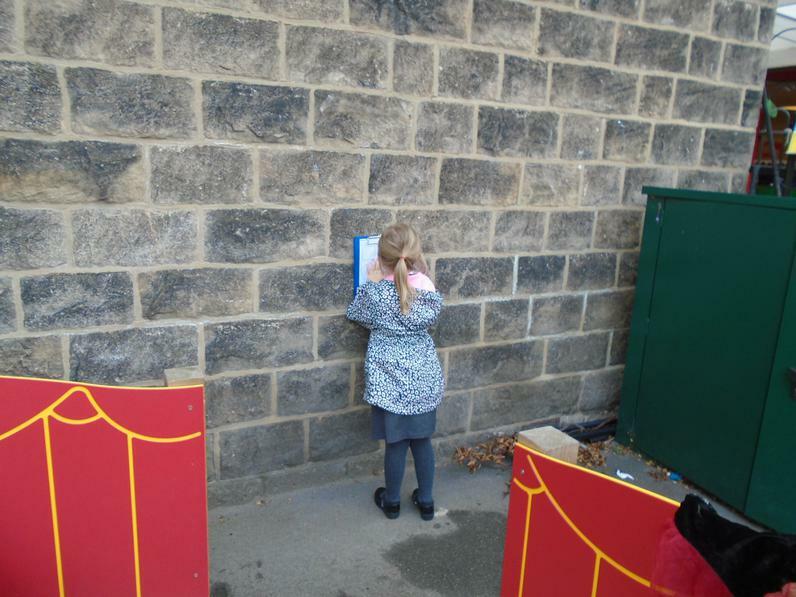 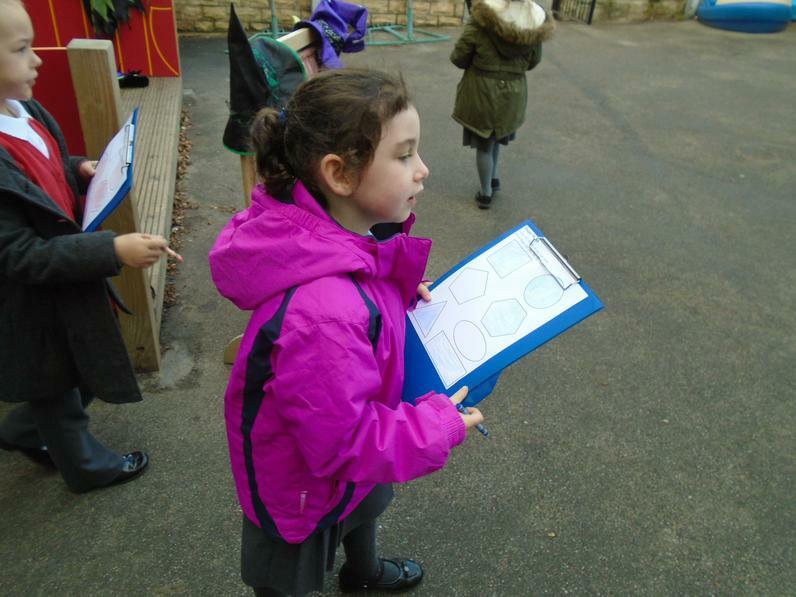 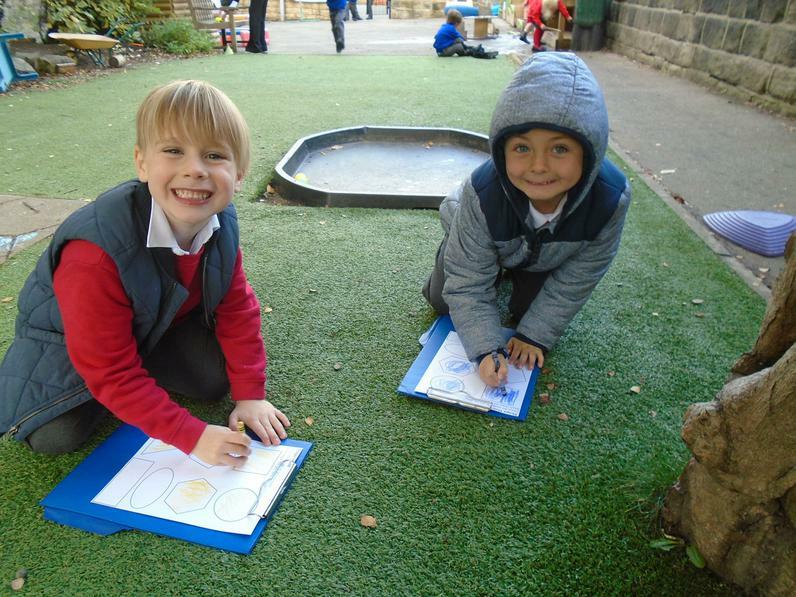 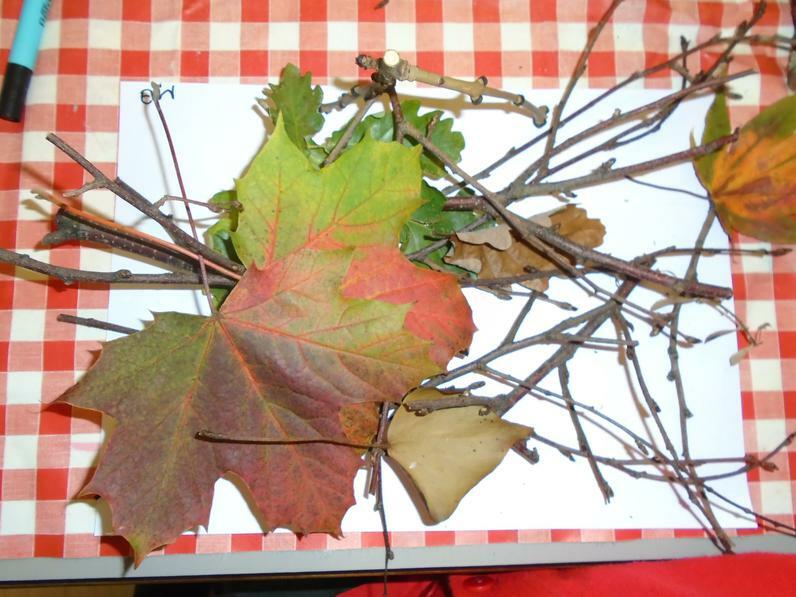 Year One enjoyed finding lots of 2D and 3D shapes in the garden. 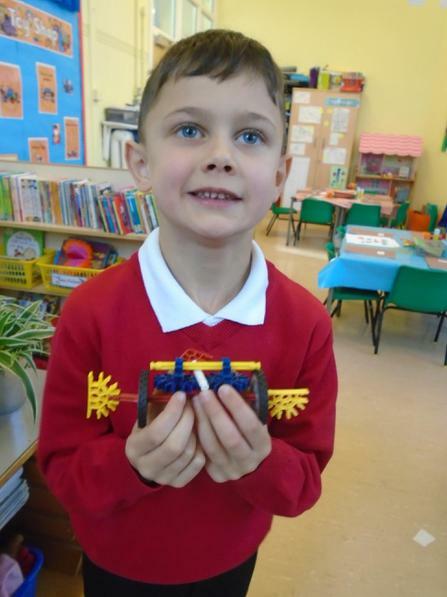 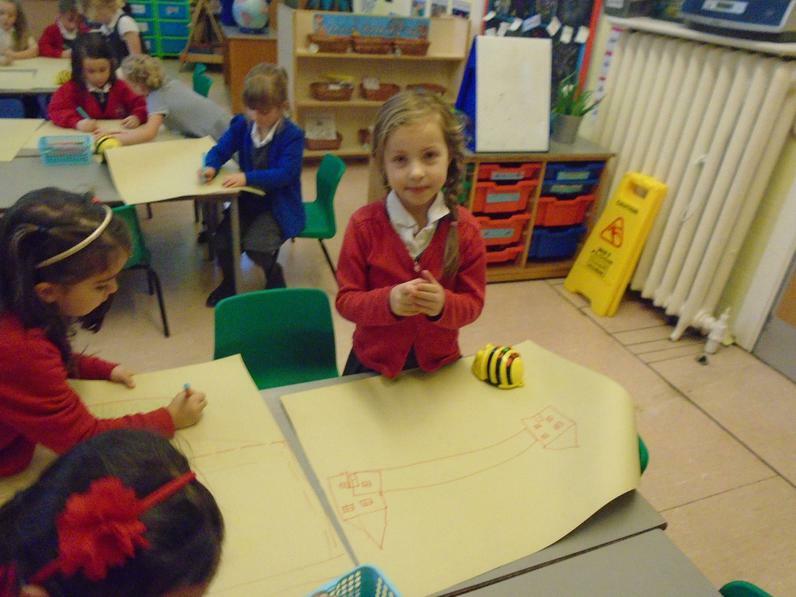 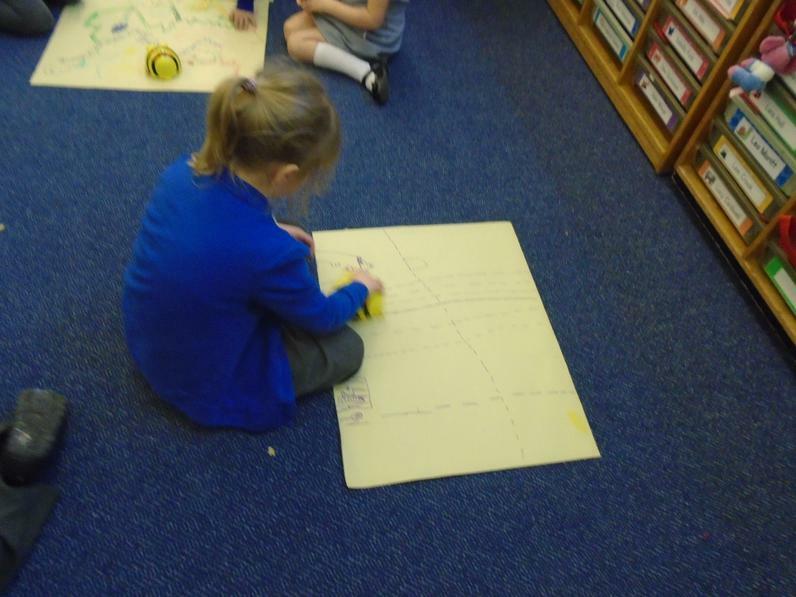 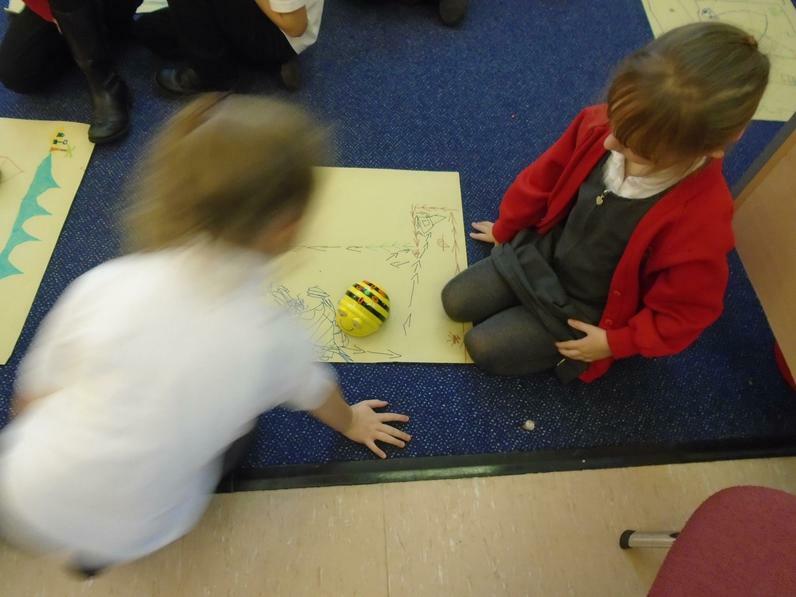 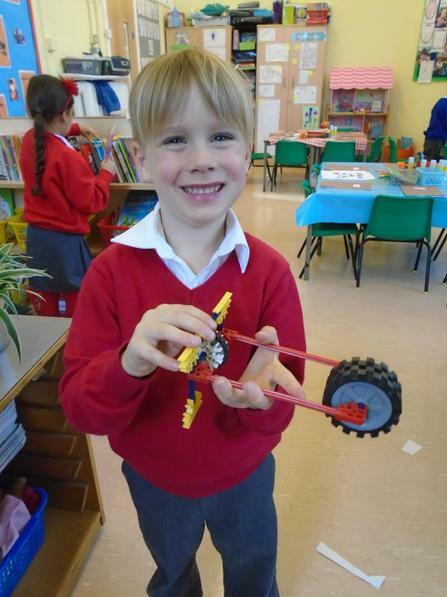 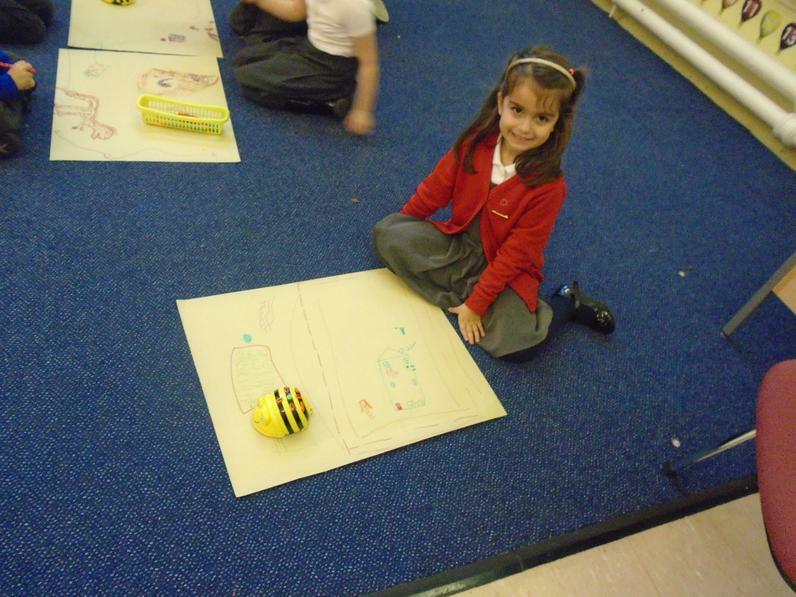 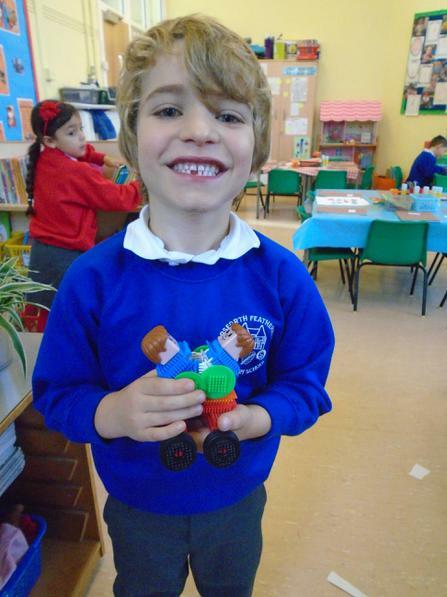 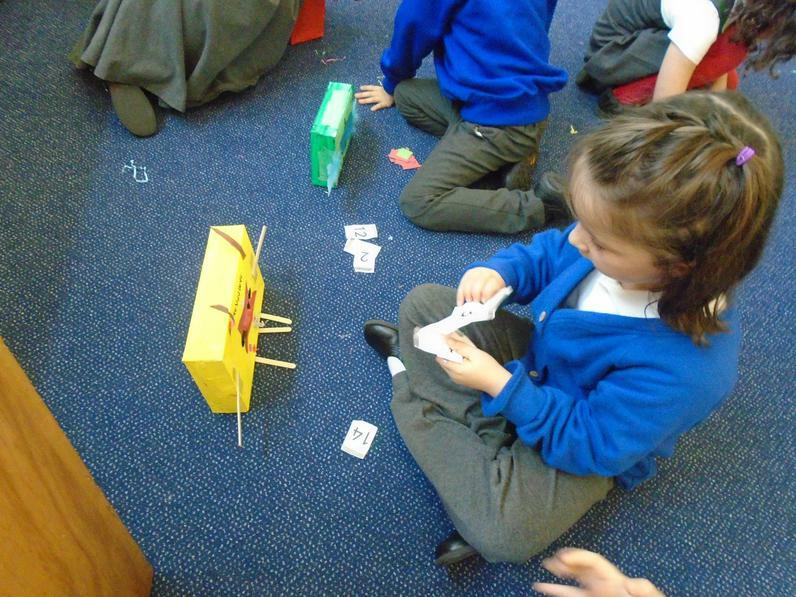 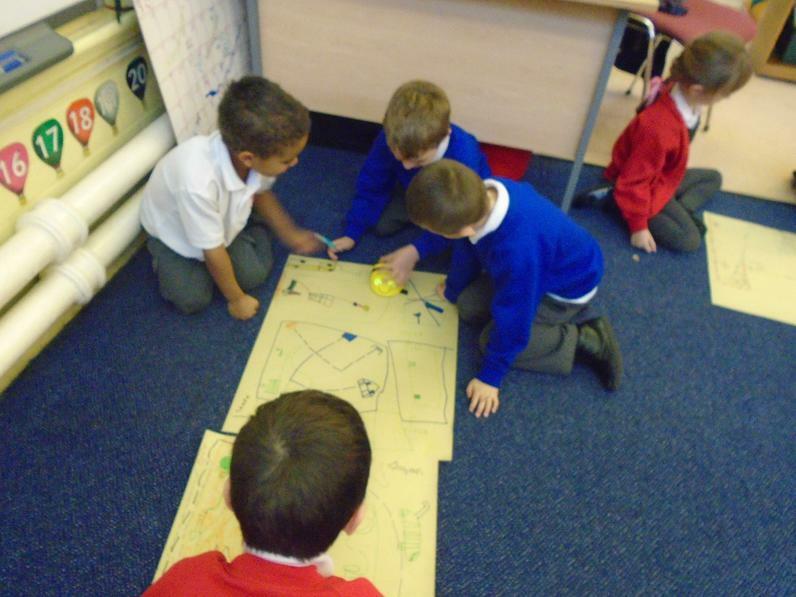 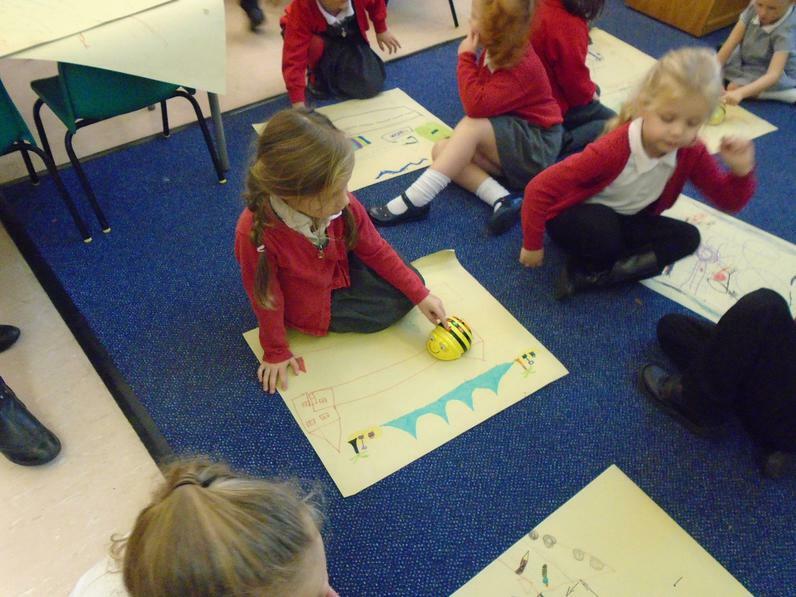 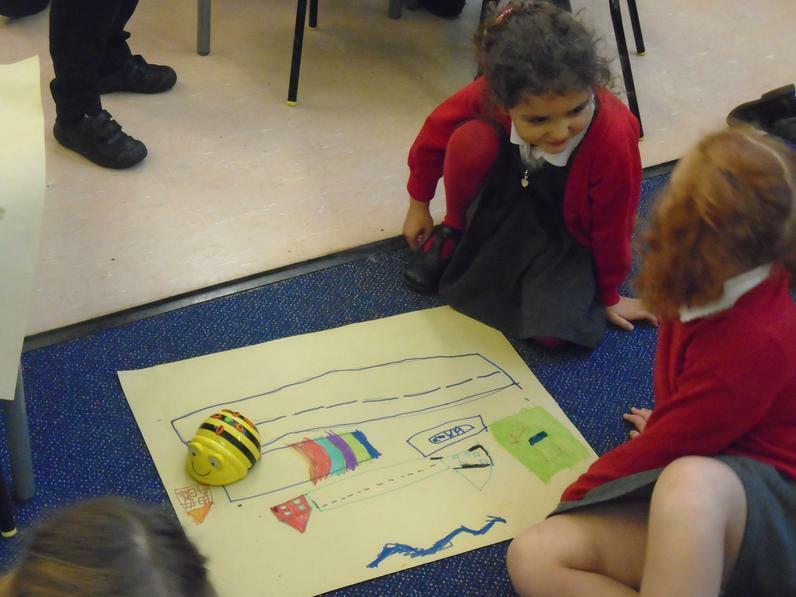 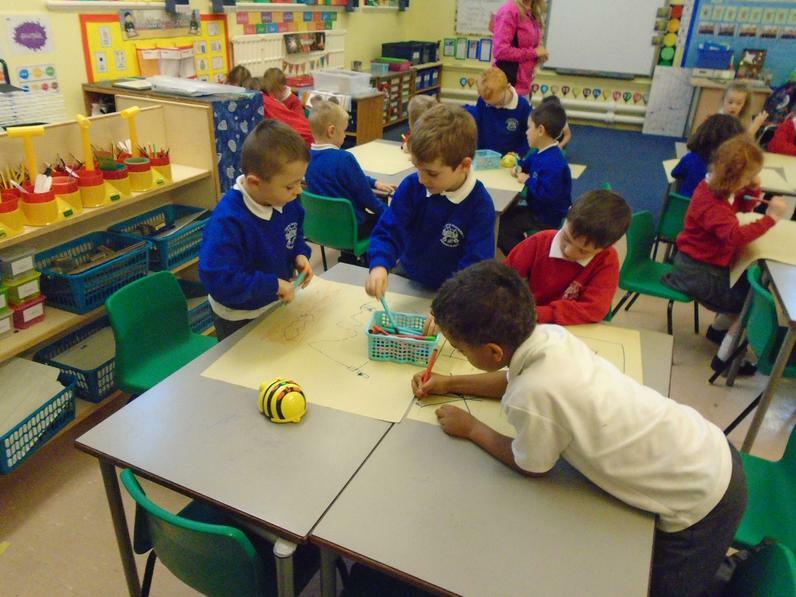 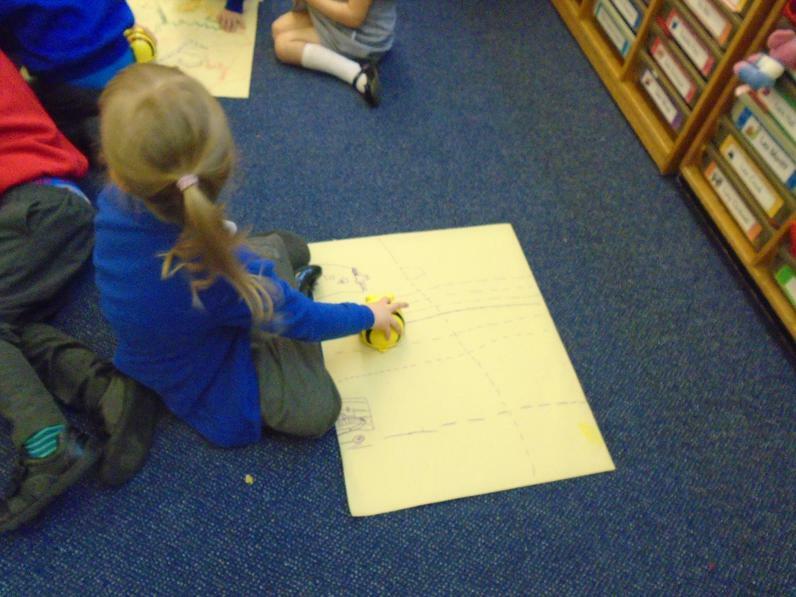 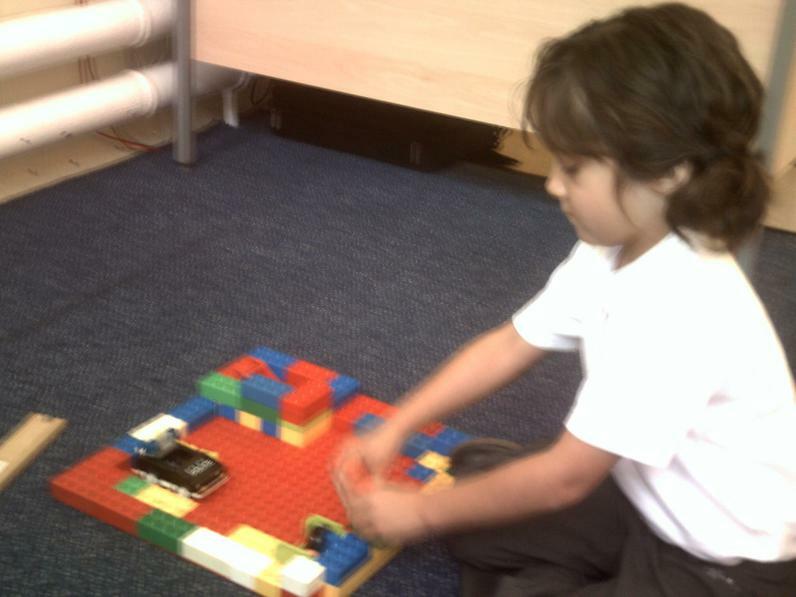 We have been programming 'beebots' in ICT lessons. 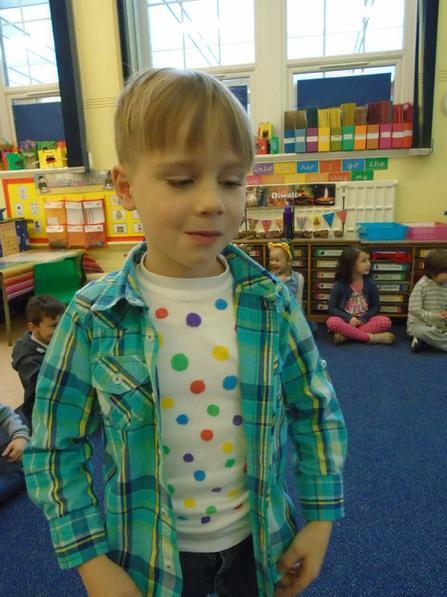 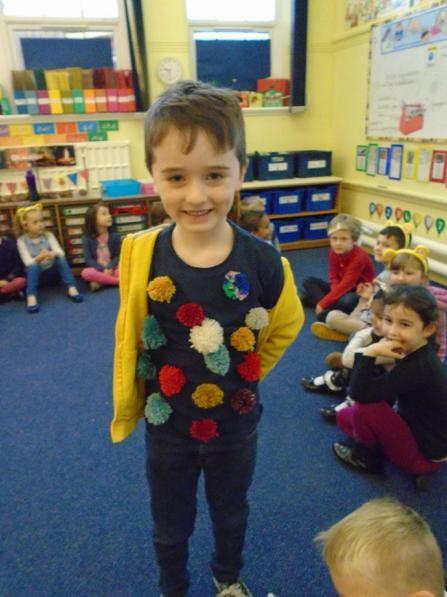 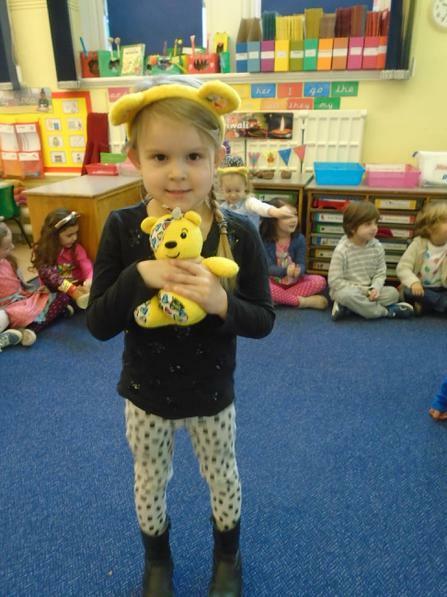 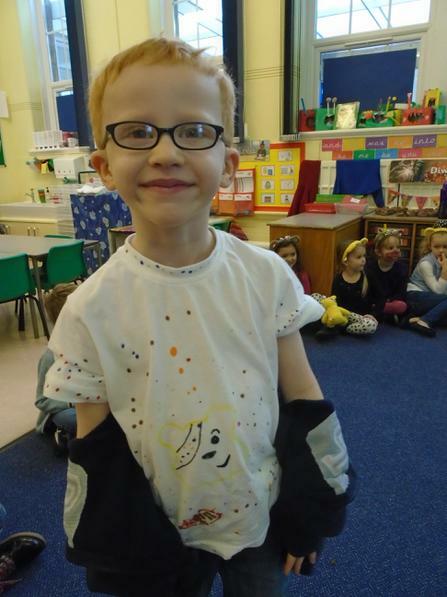 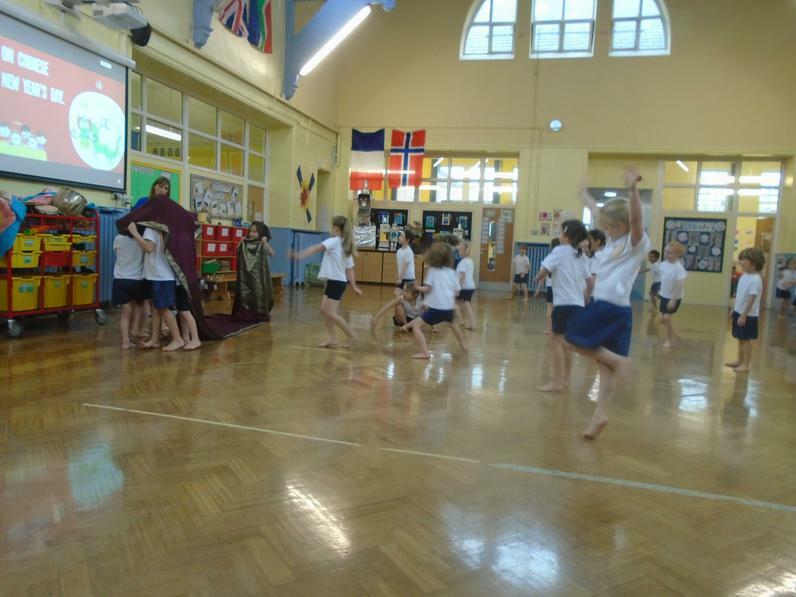 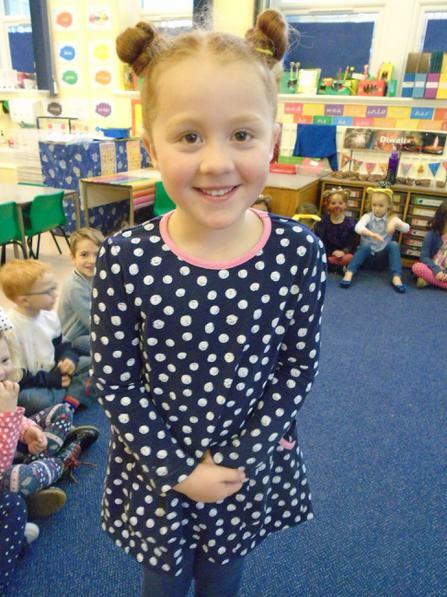 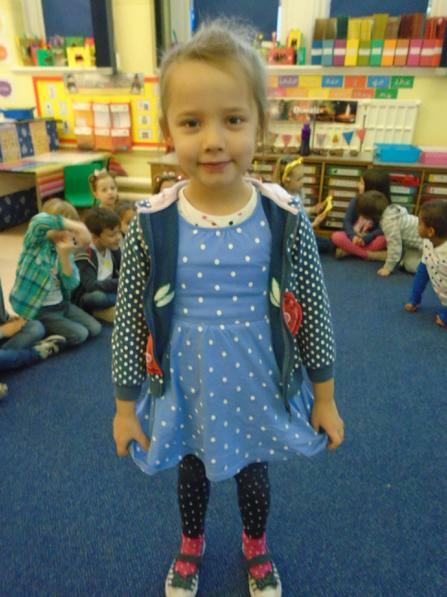 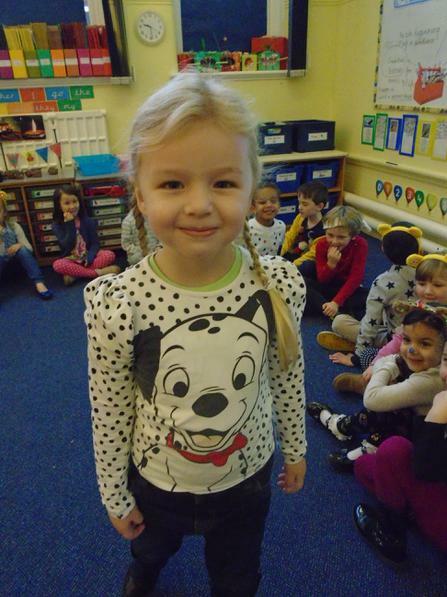 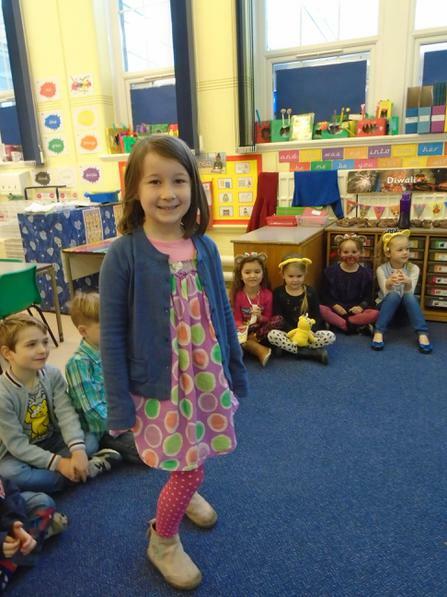 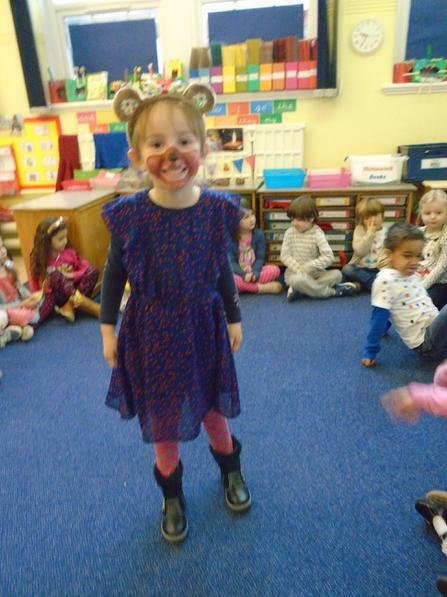 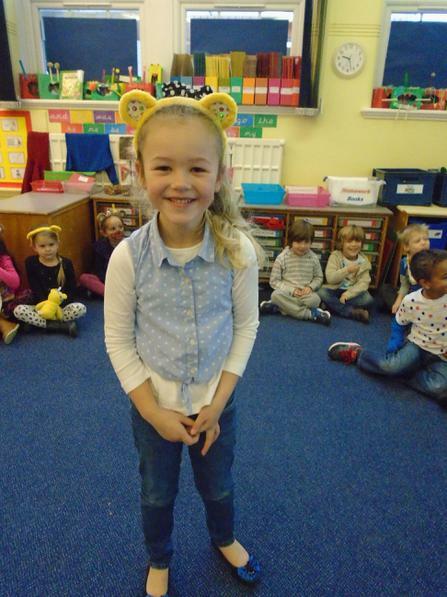 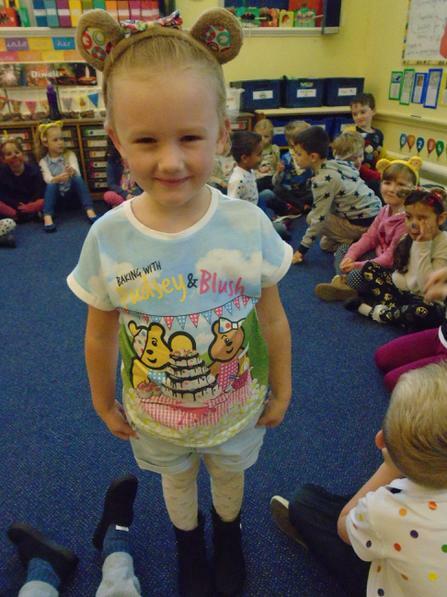 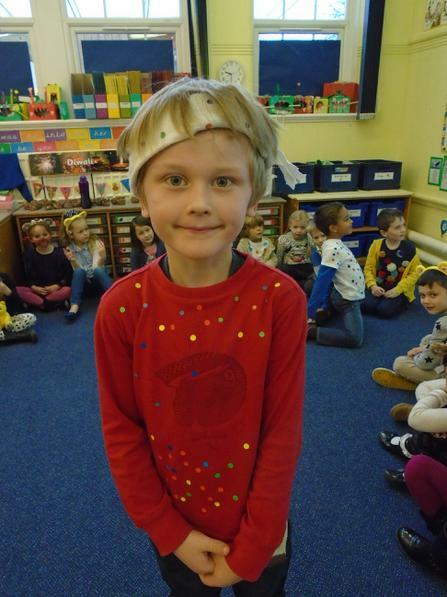 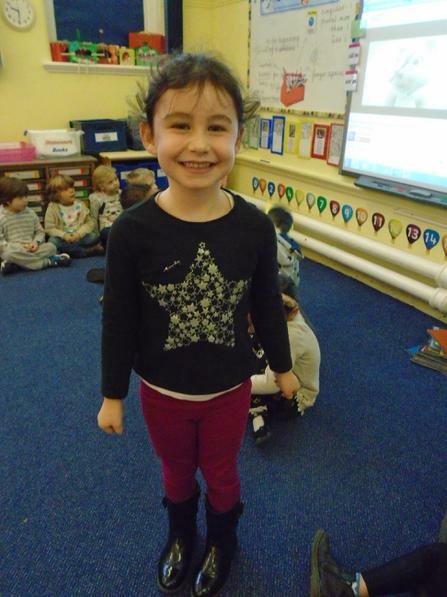 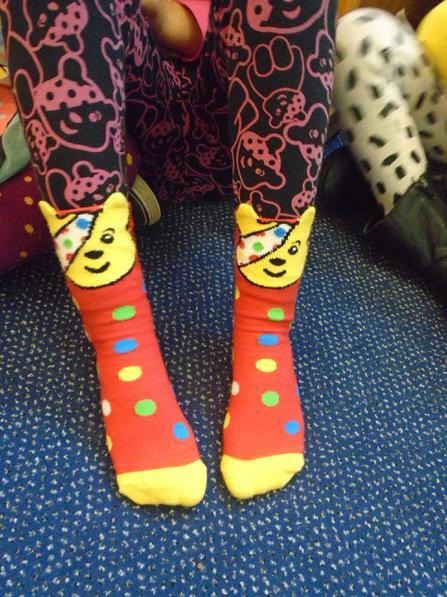 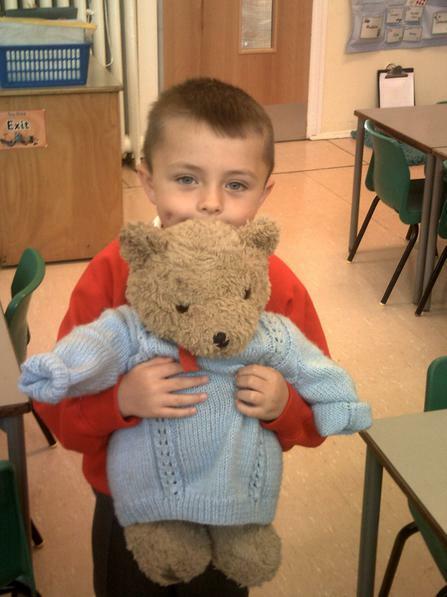 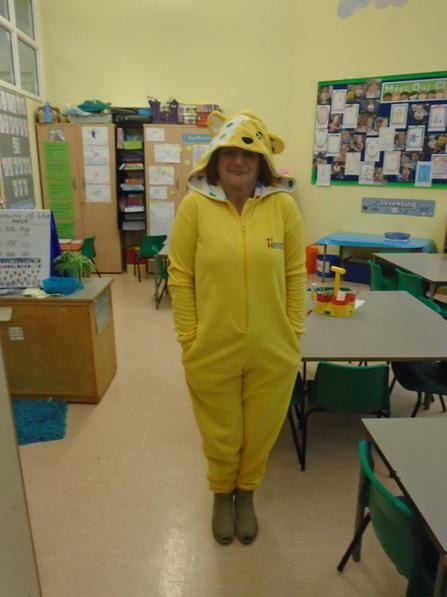 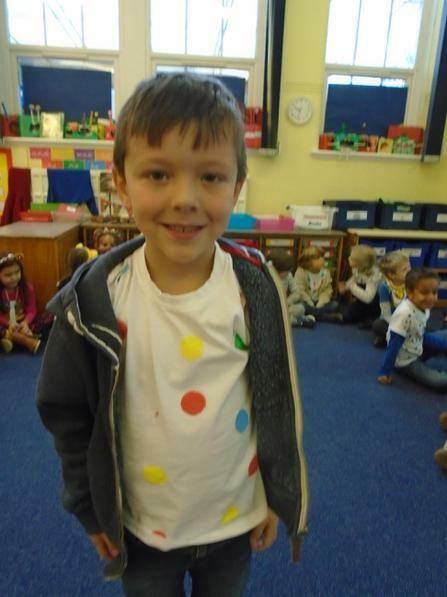 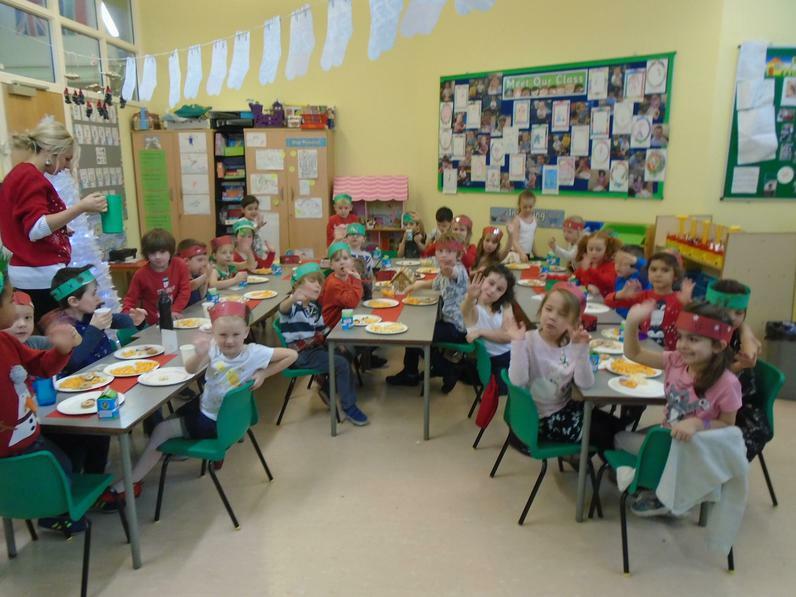 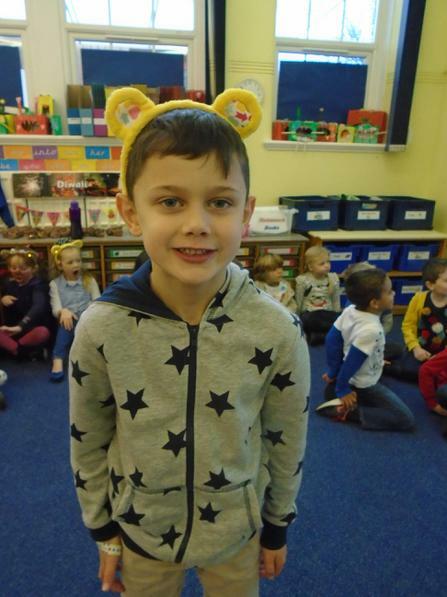 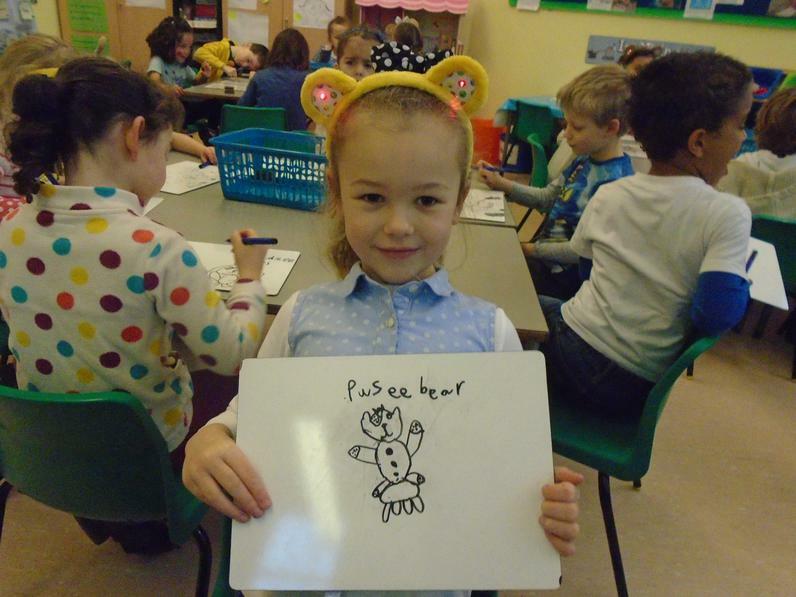 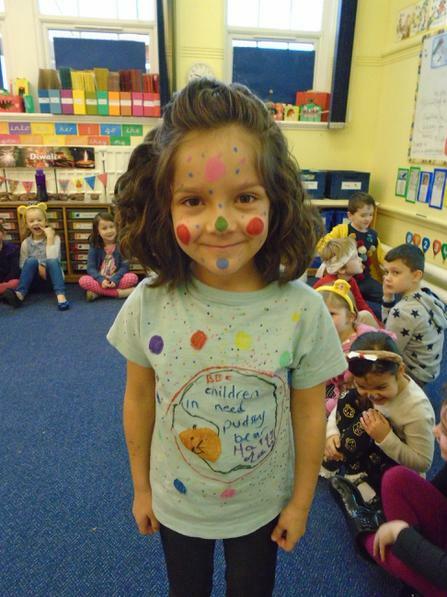 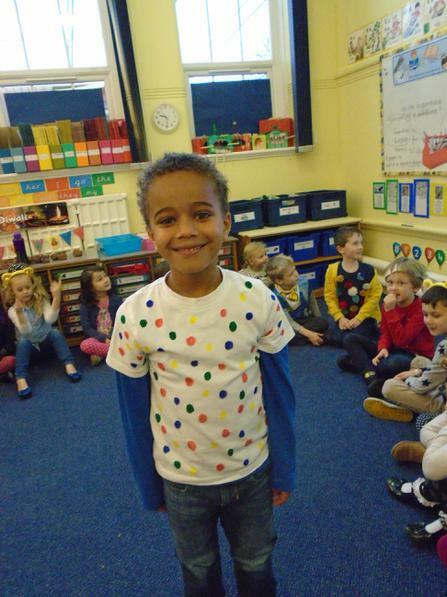 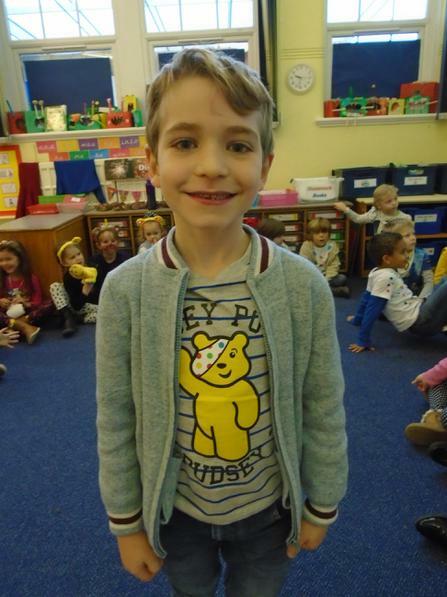 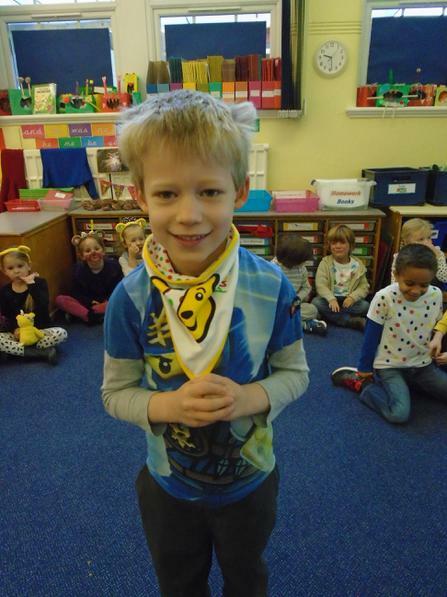 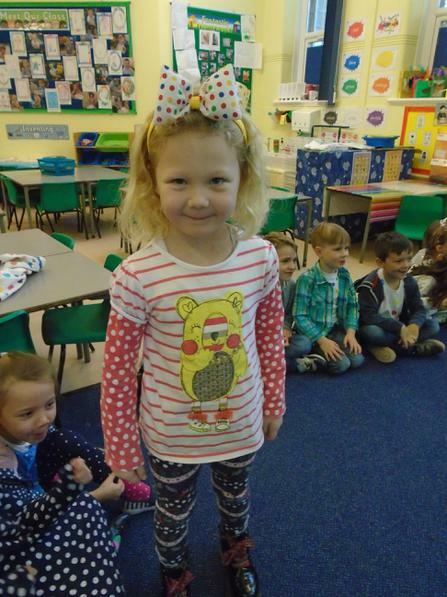 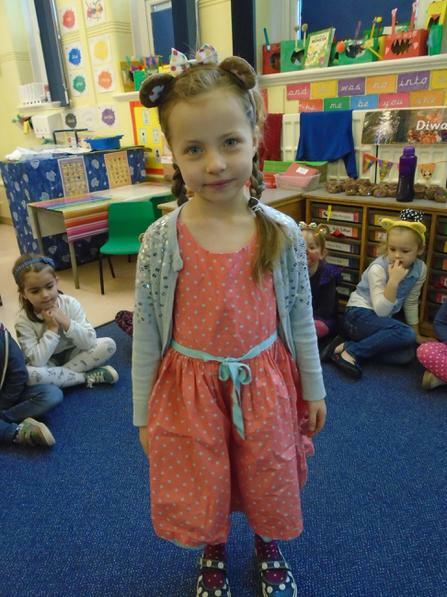 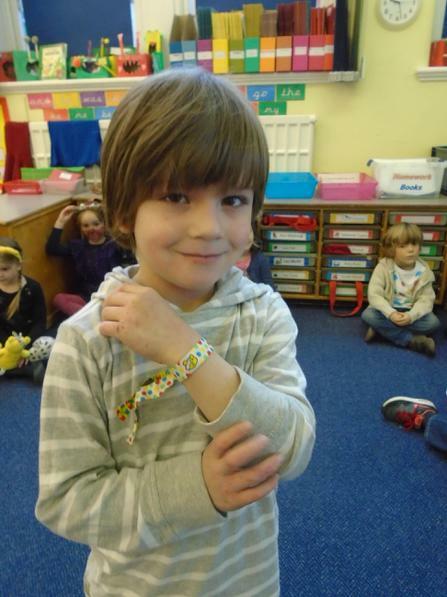 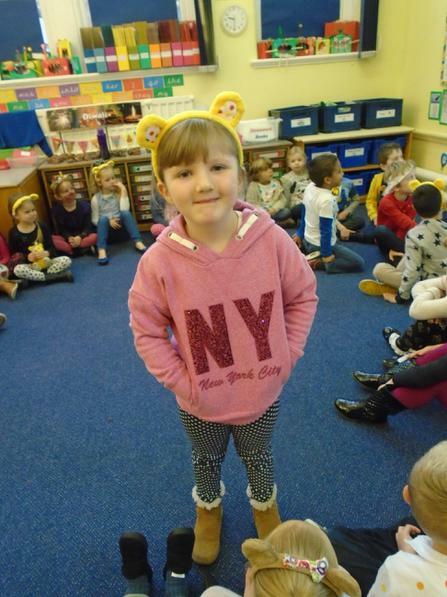 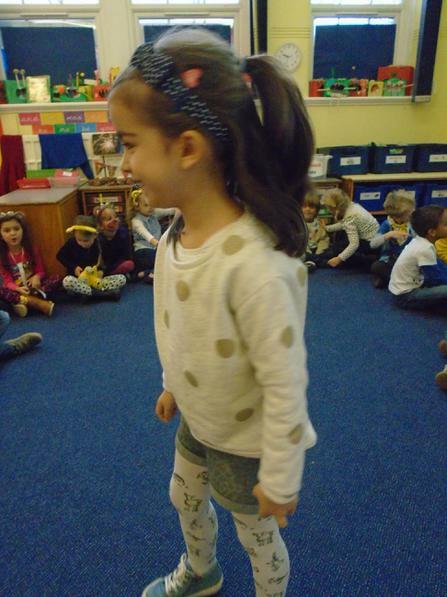 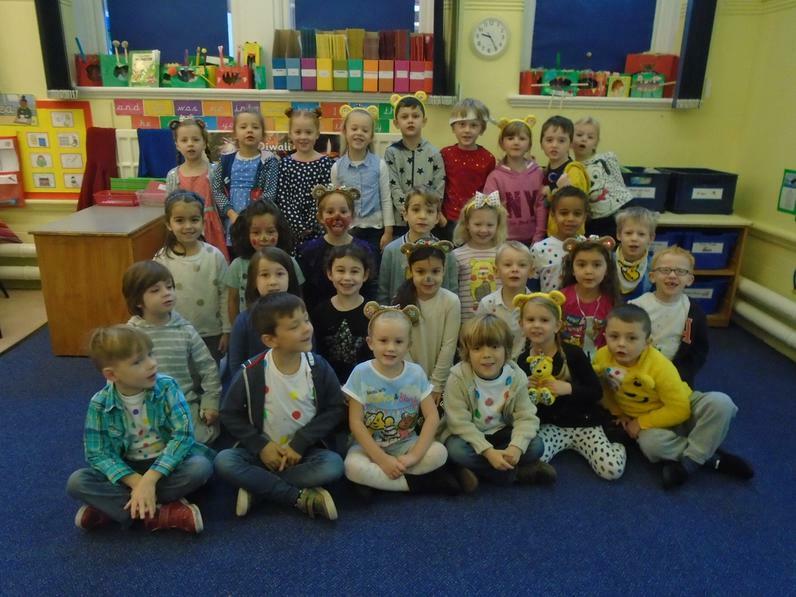 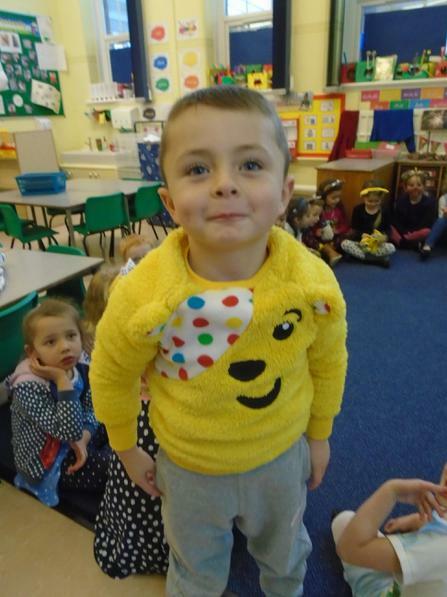 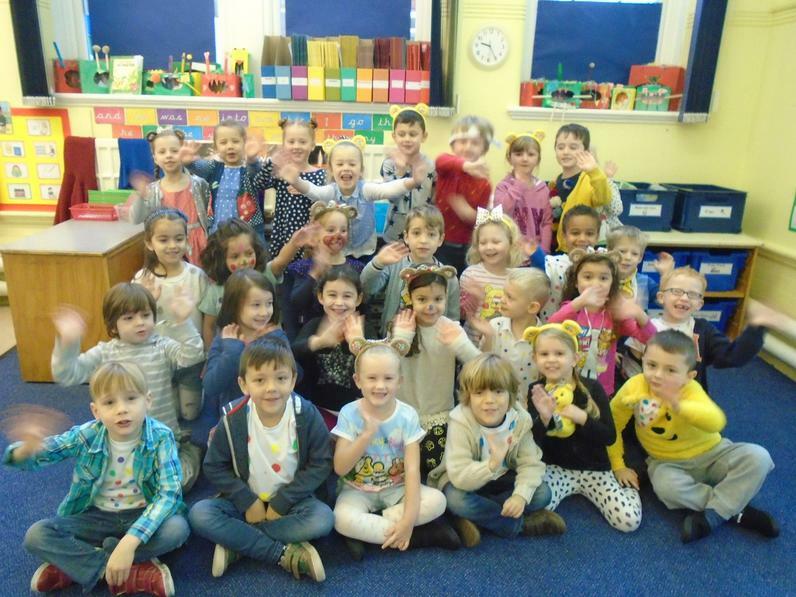 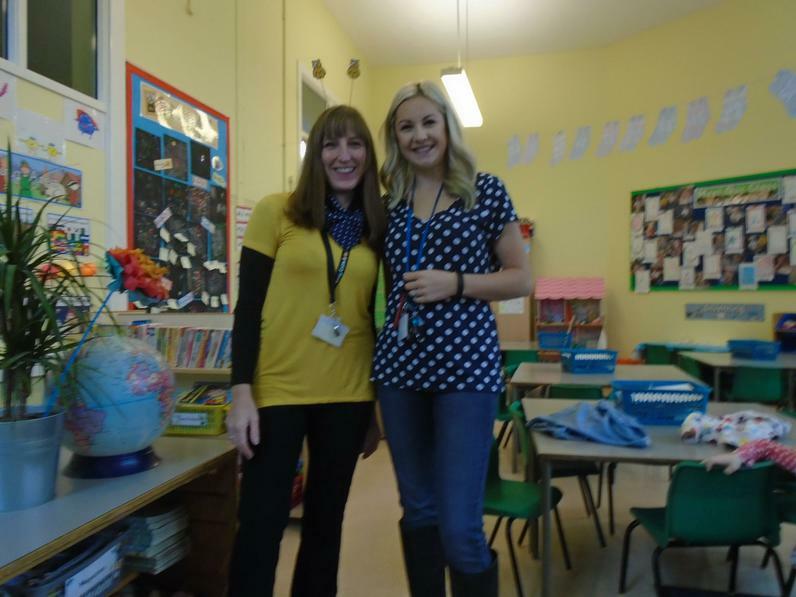 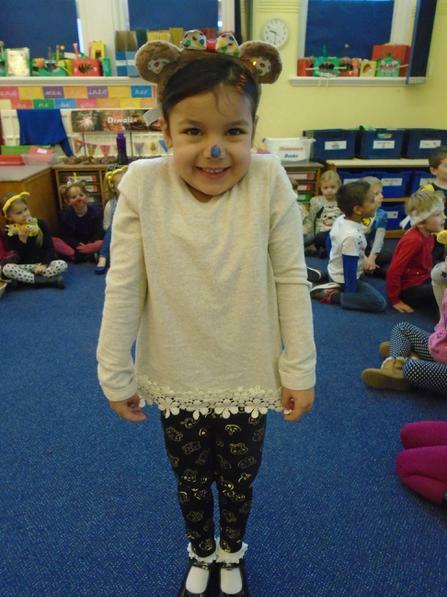 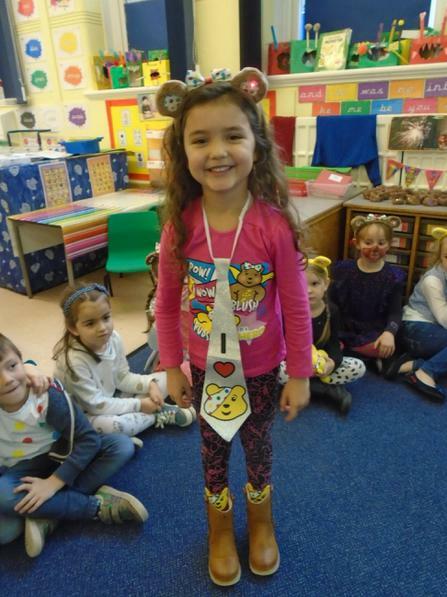 We had great fun and raised lots of money on 'Children in Need' day. 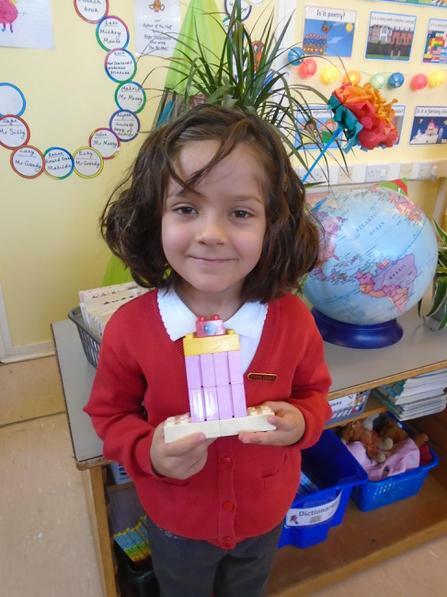 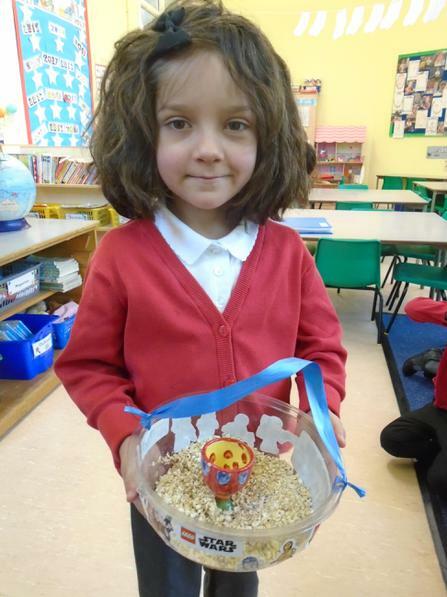 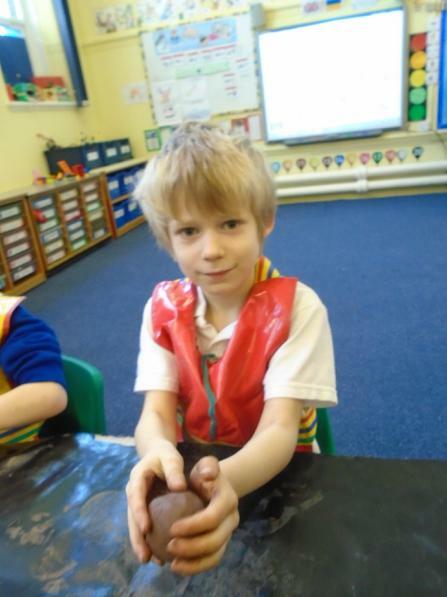 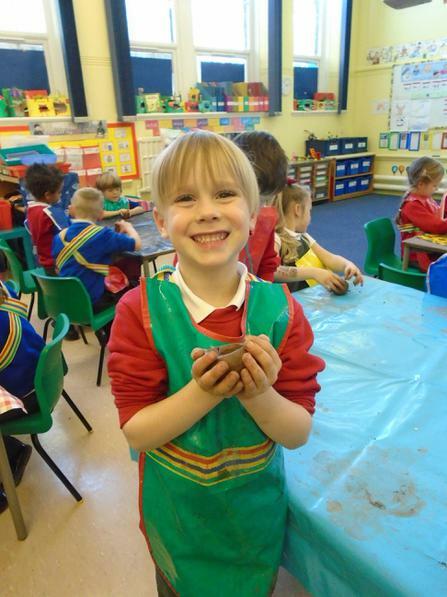 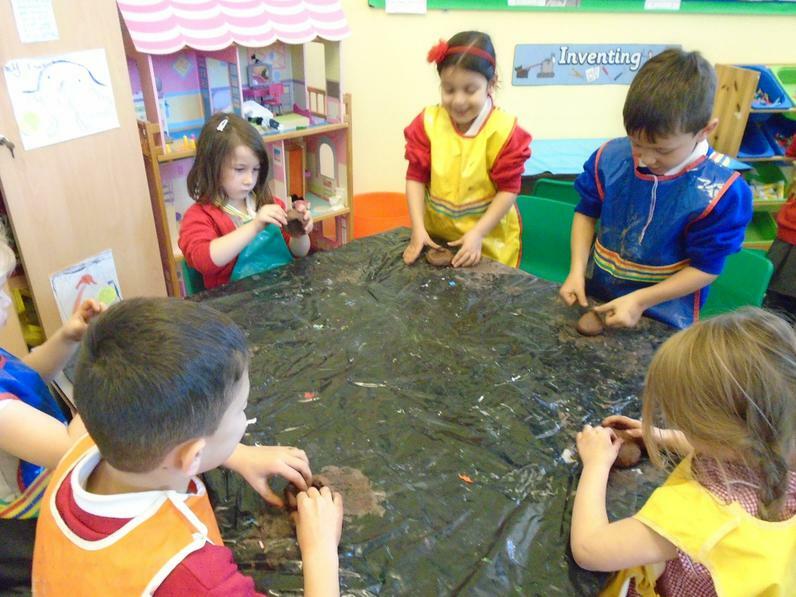 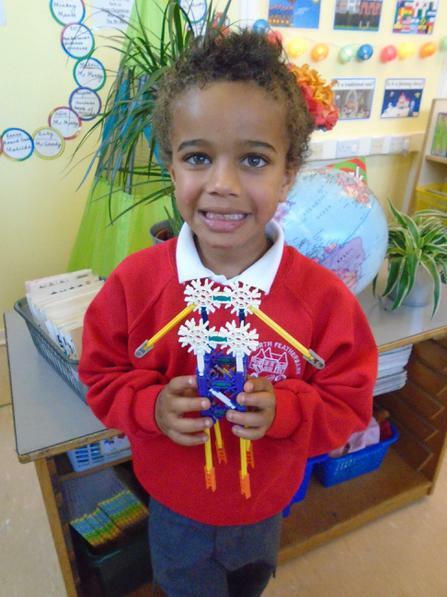 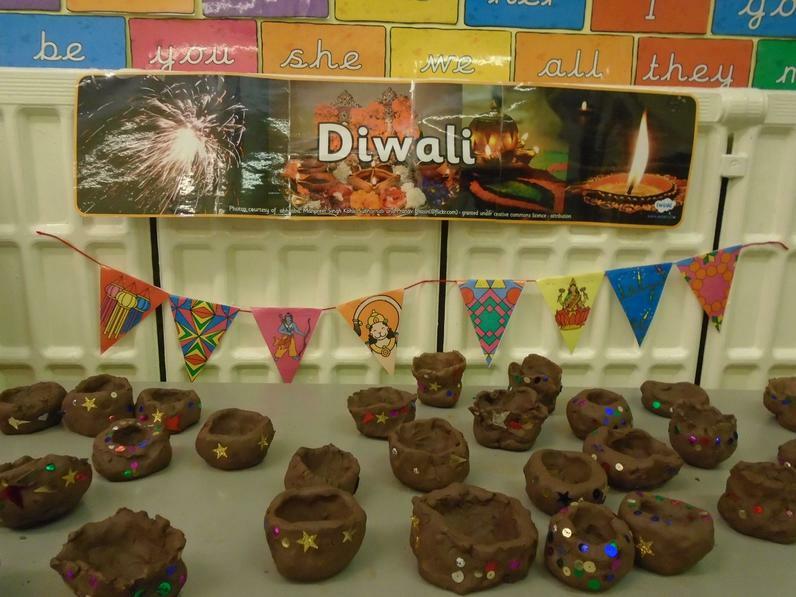 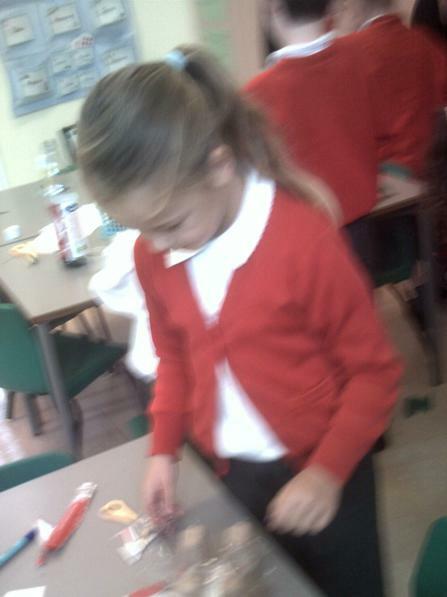 We made little clay Diva lamps when we learnt about the festival of Diwali. 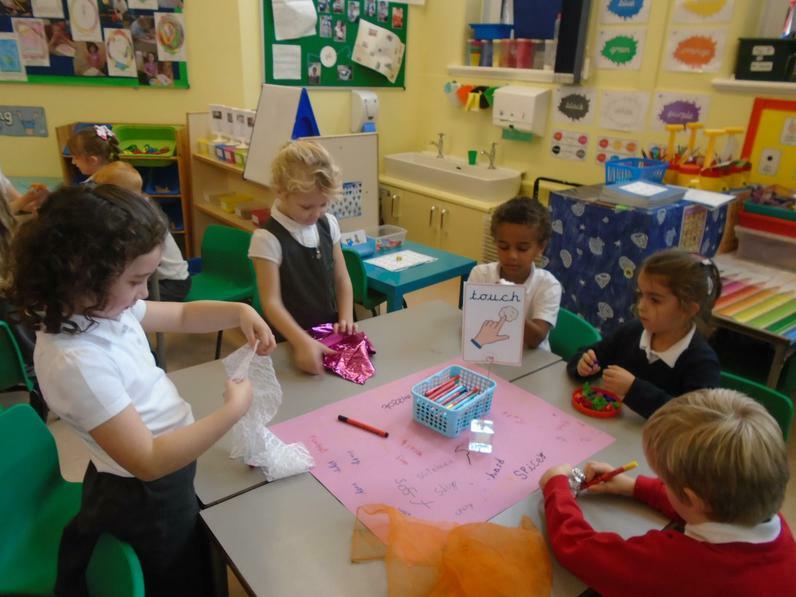 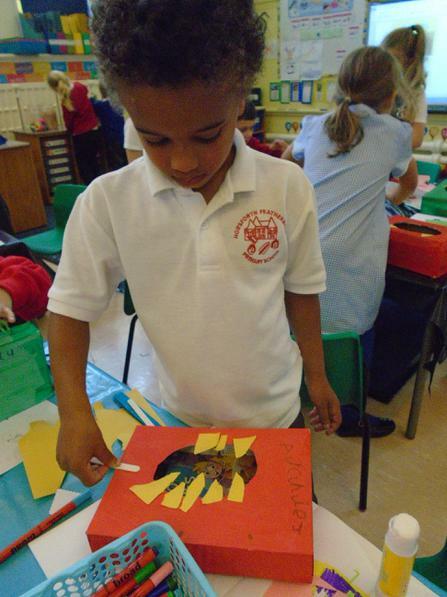 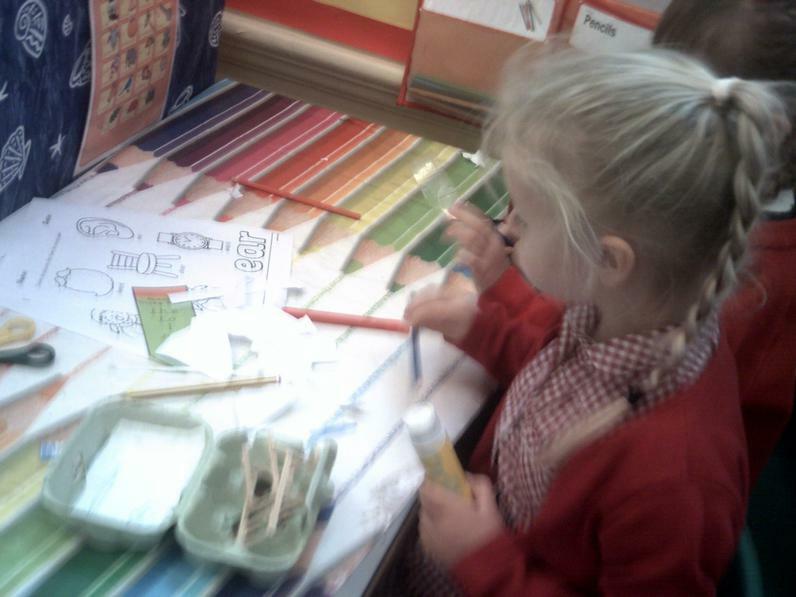 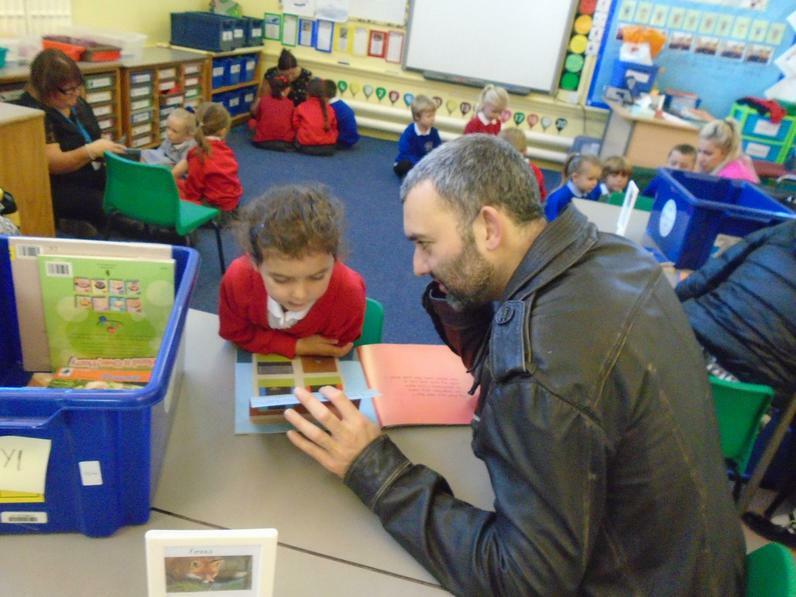 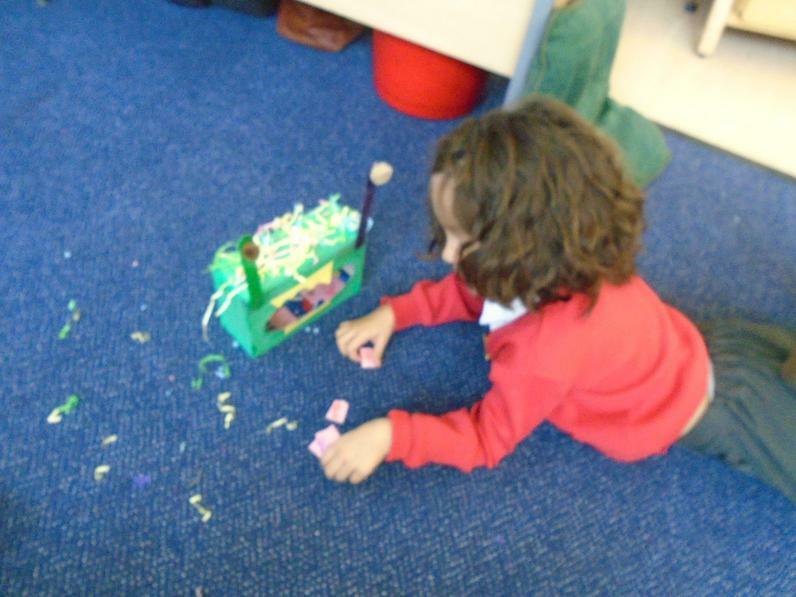 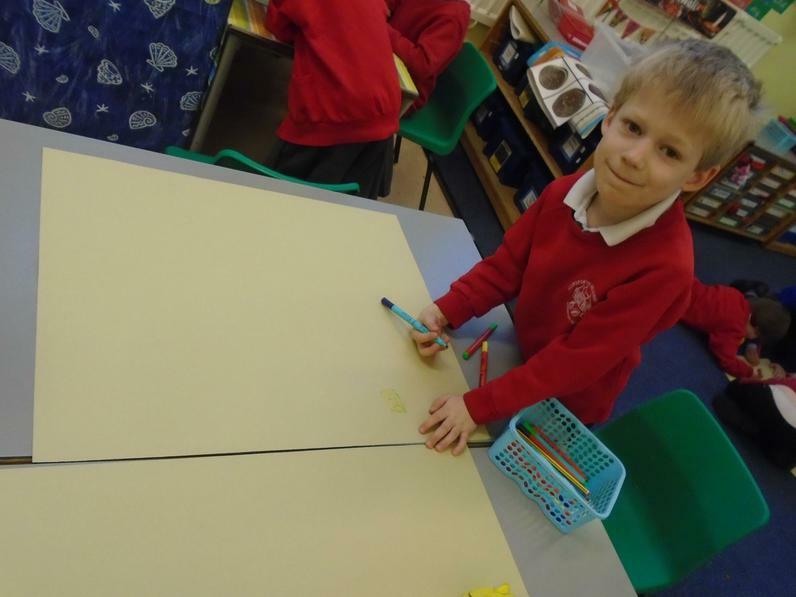 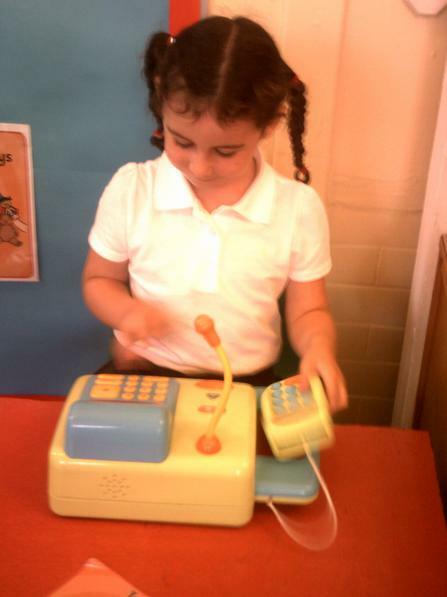 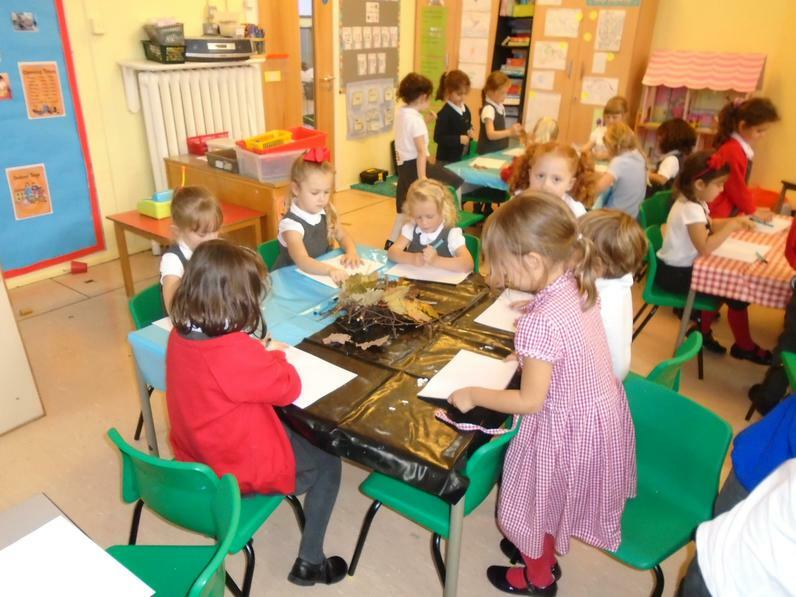 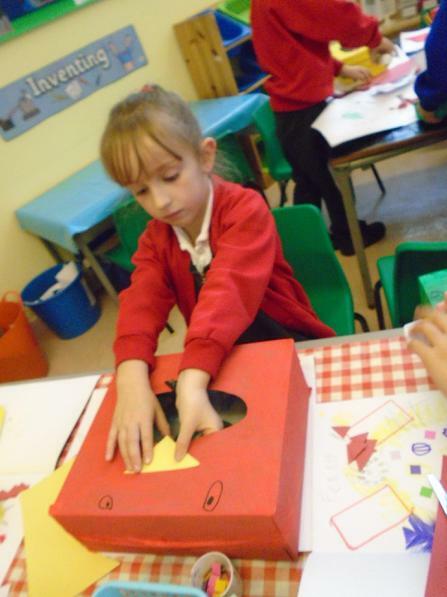 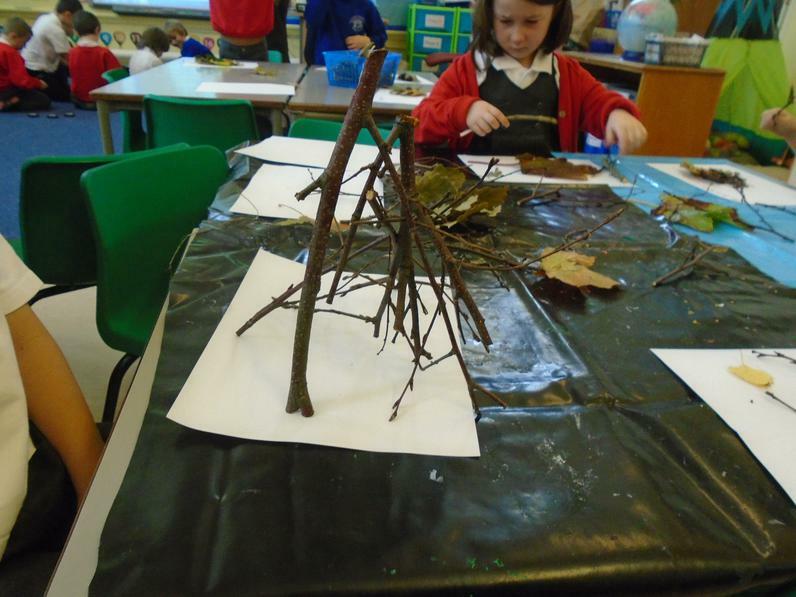 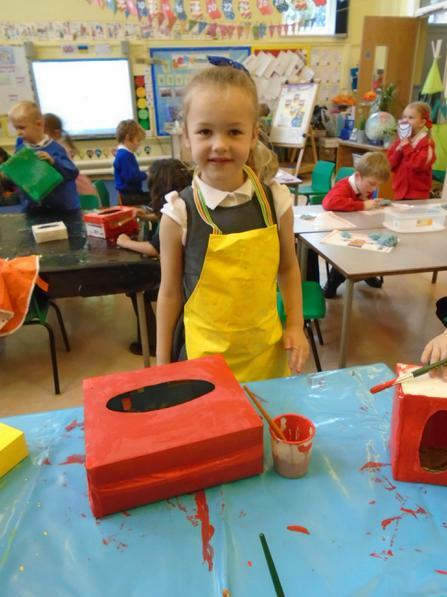 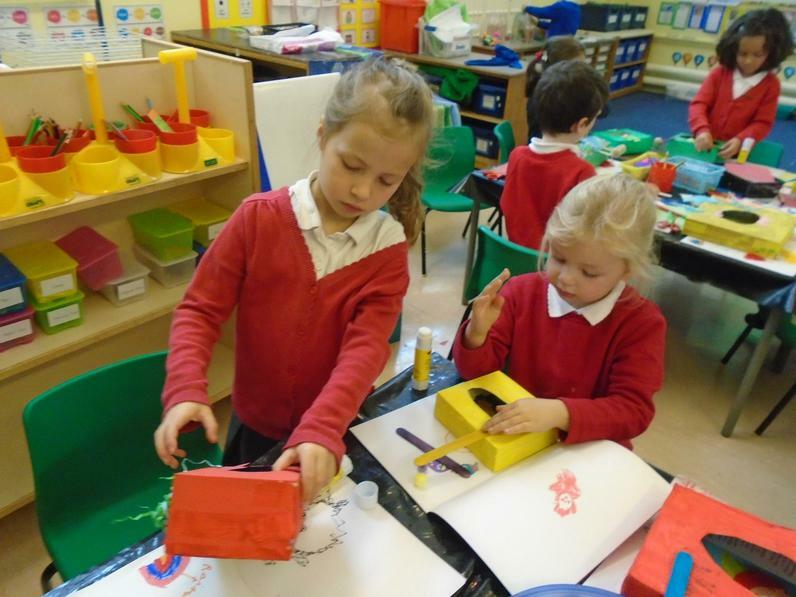 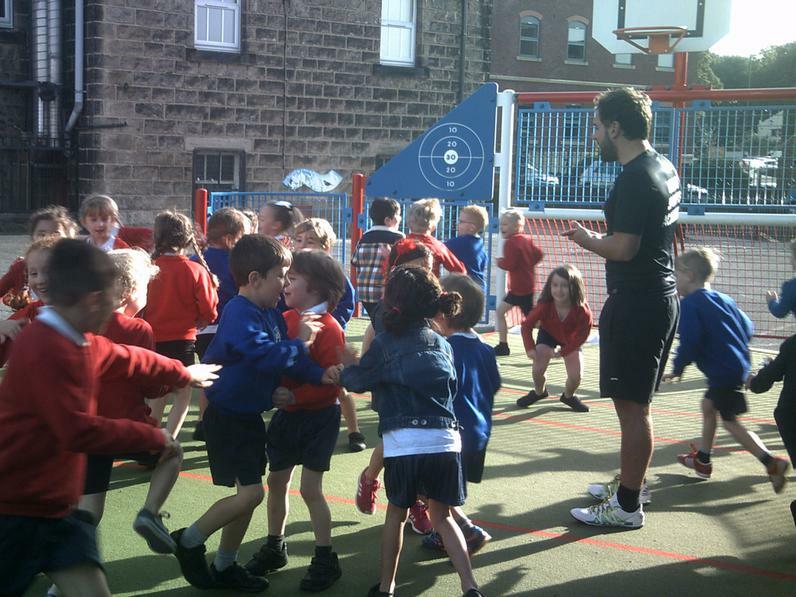 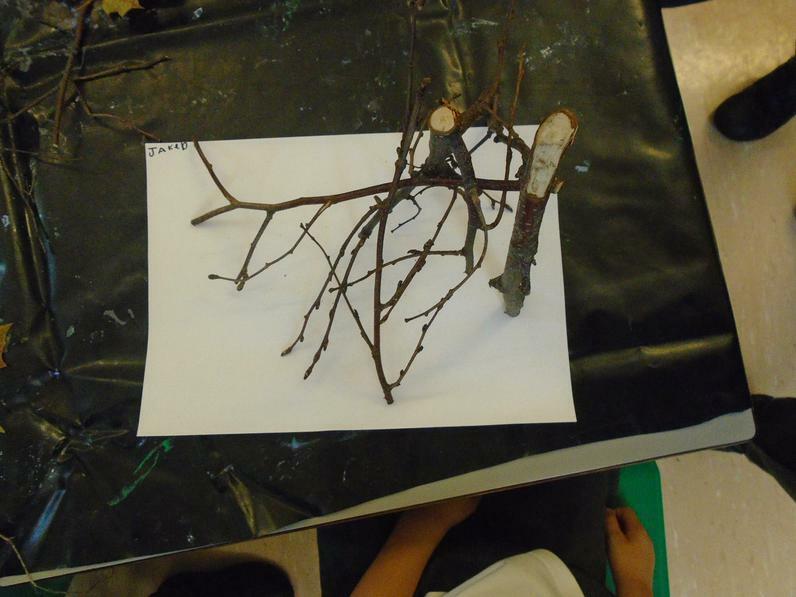 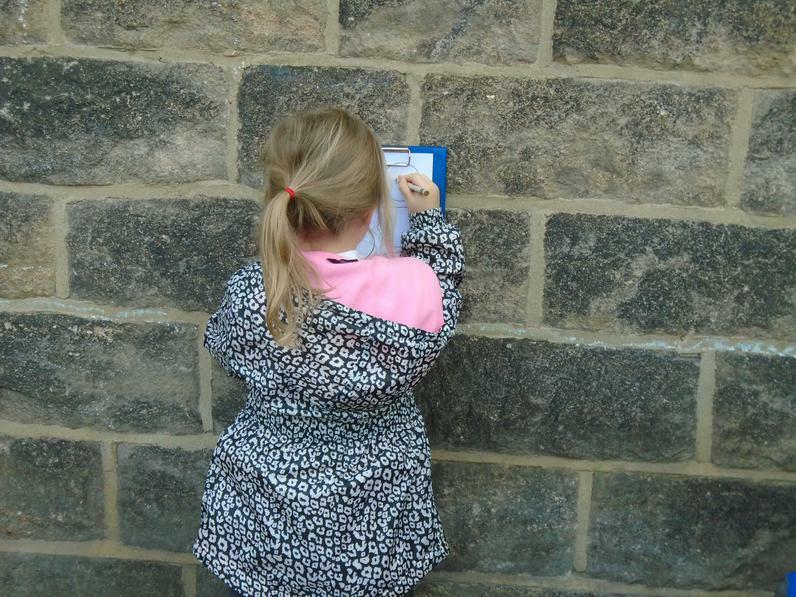 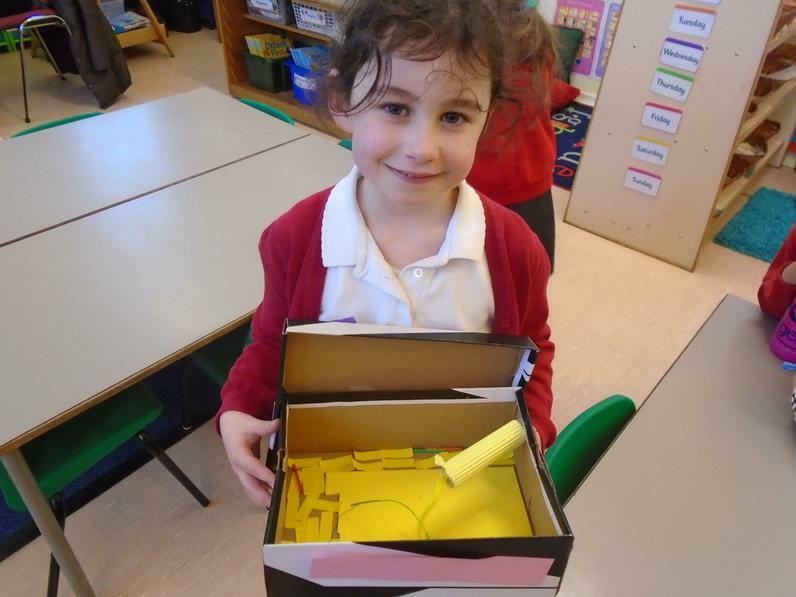 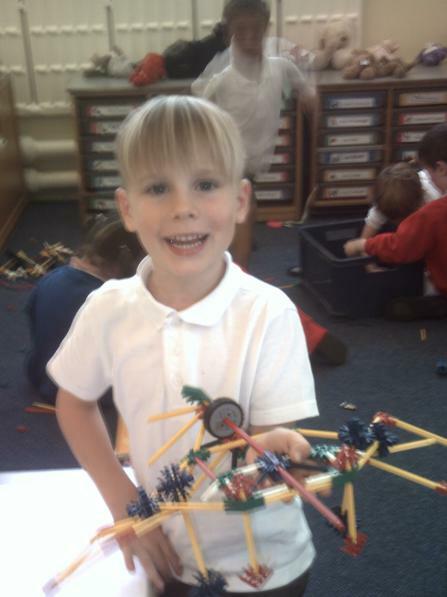 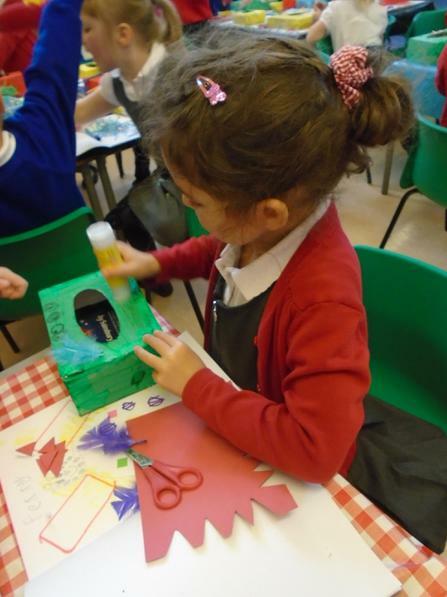 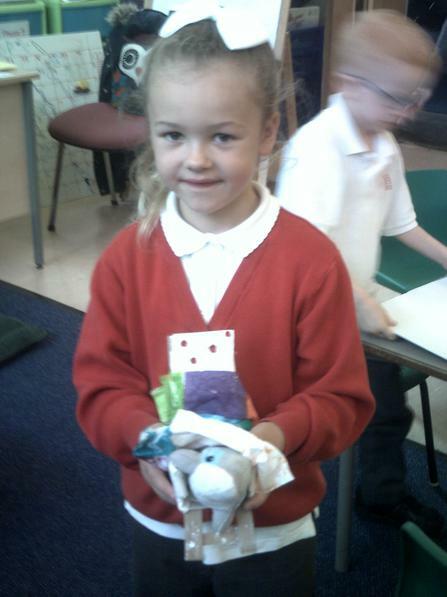 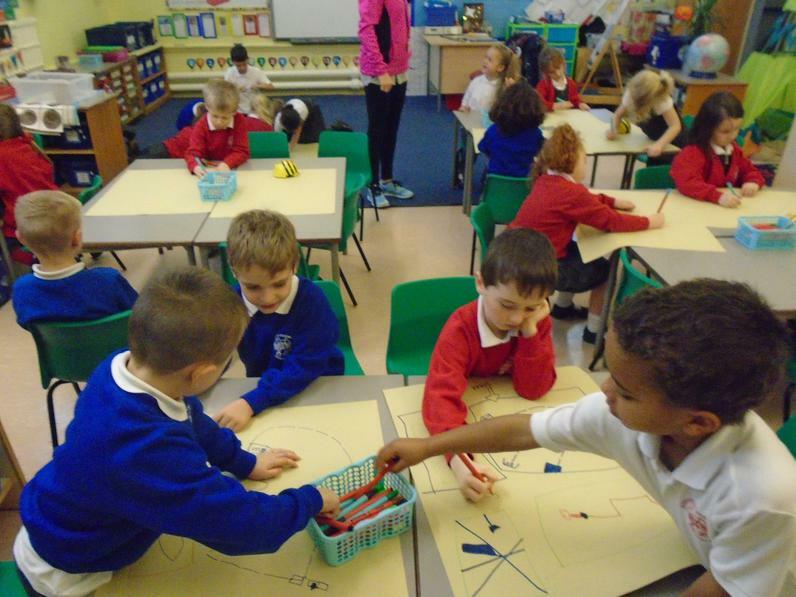 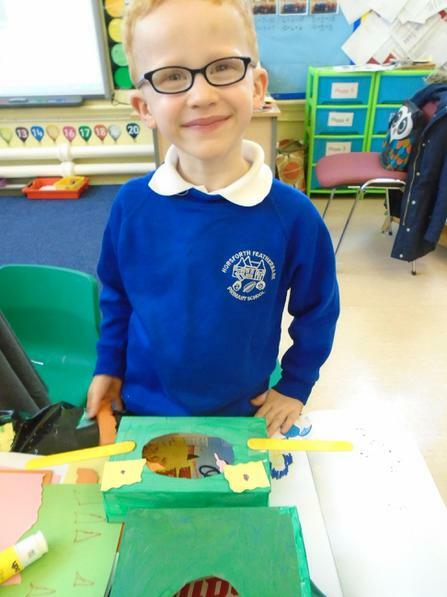 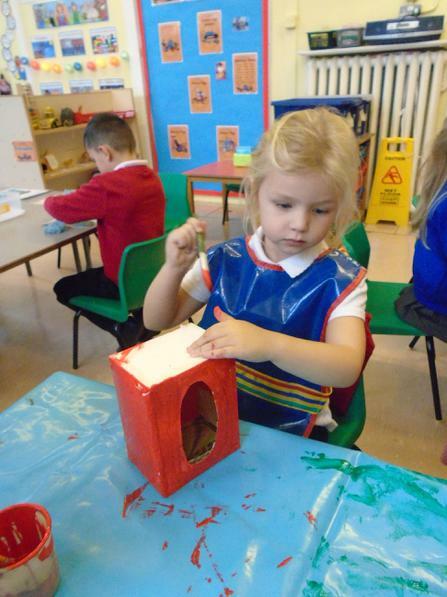 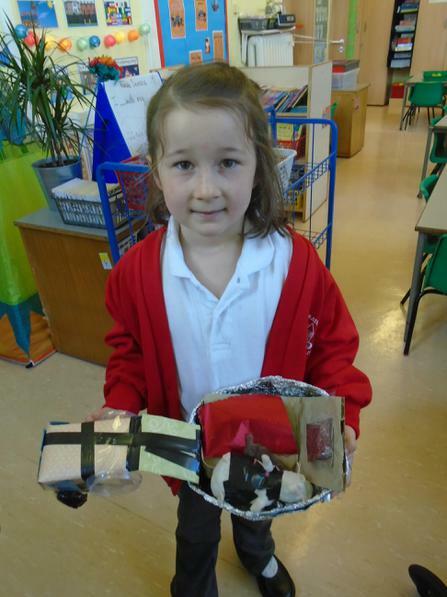 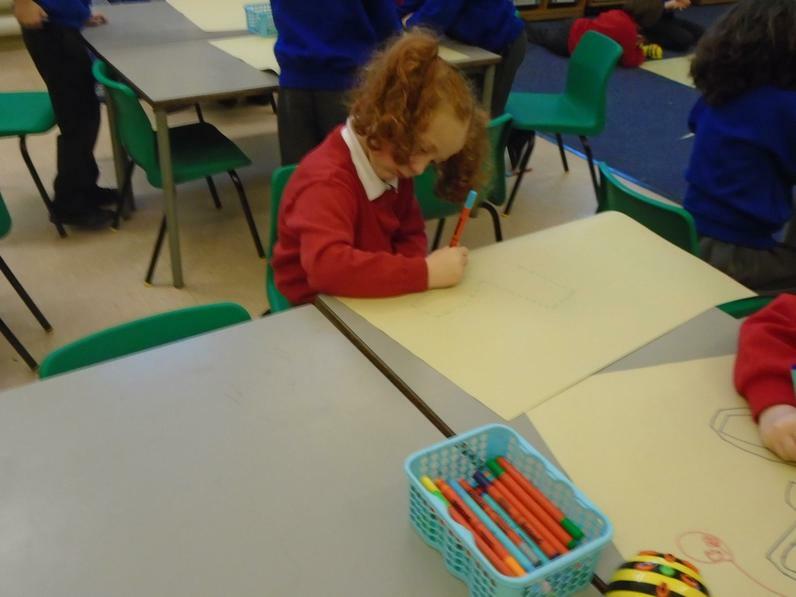 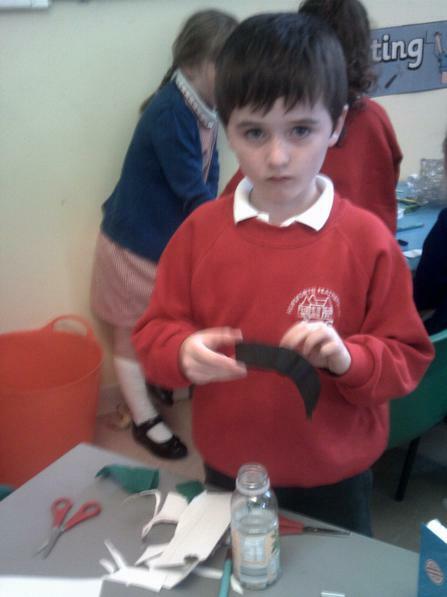 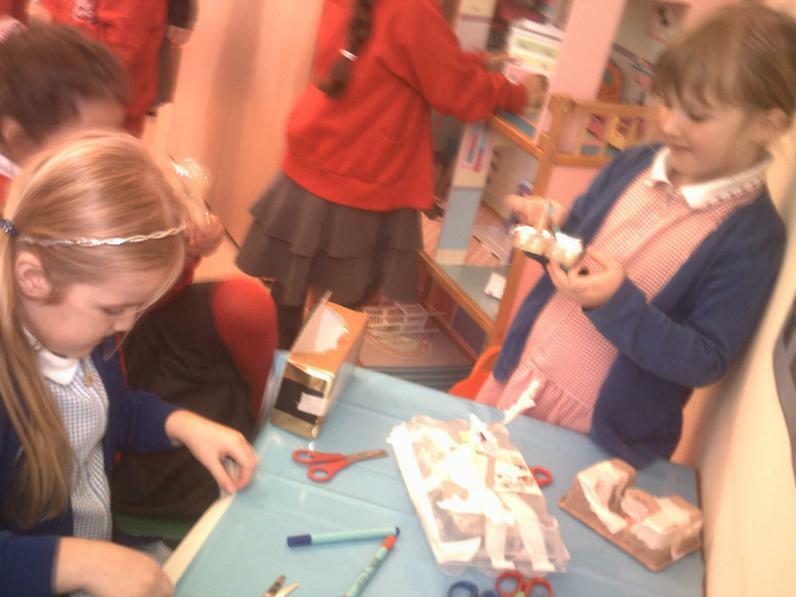 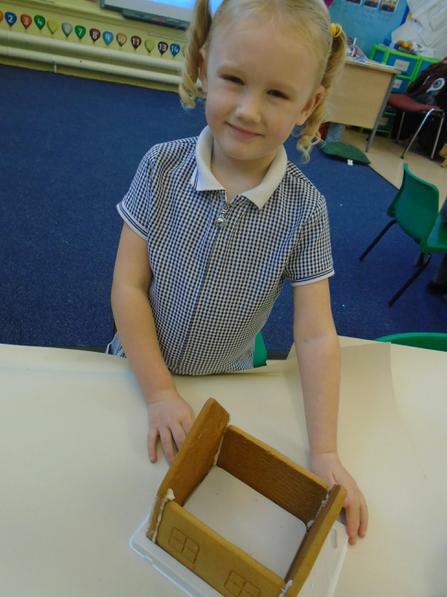 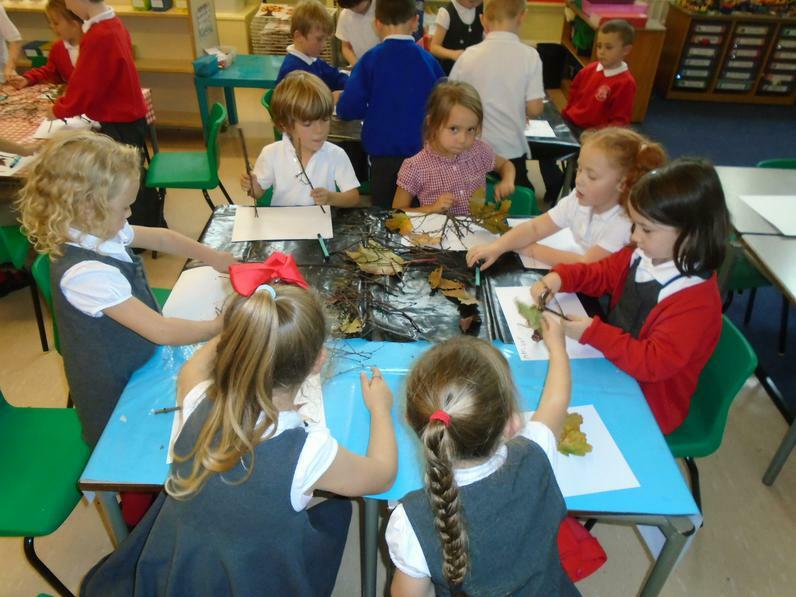 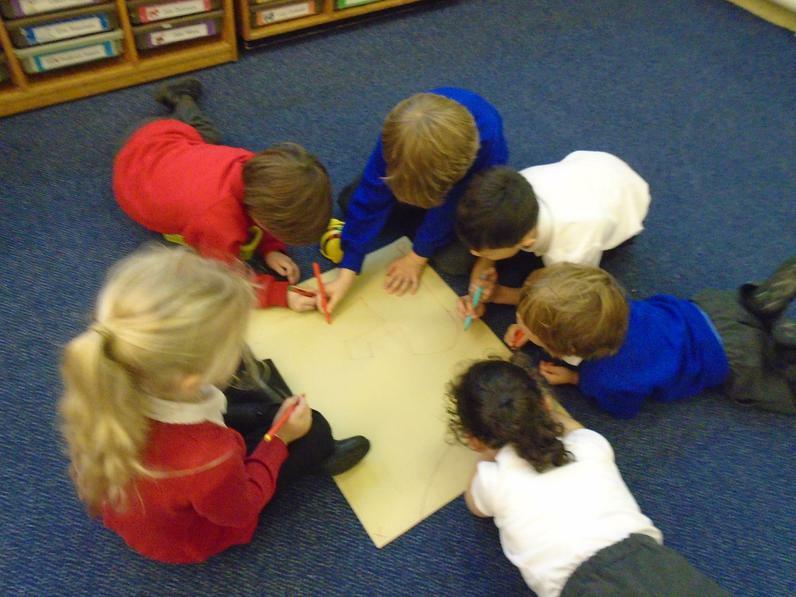 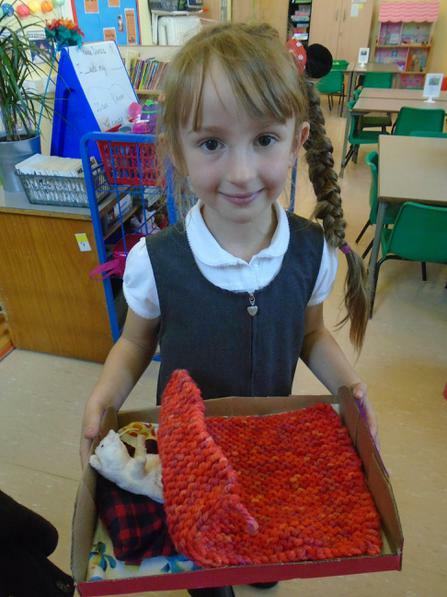 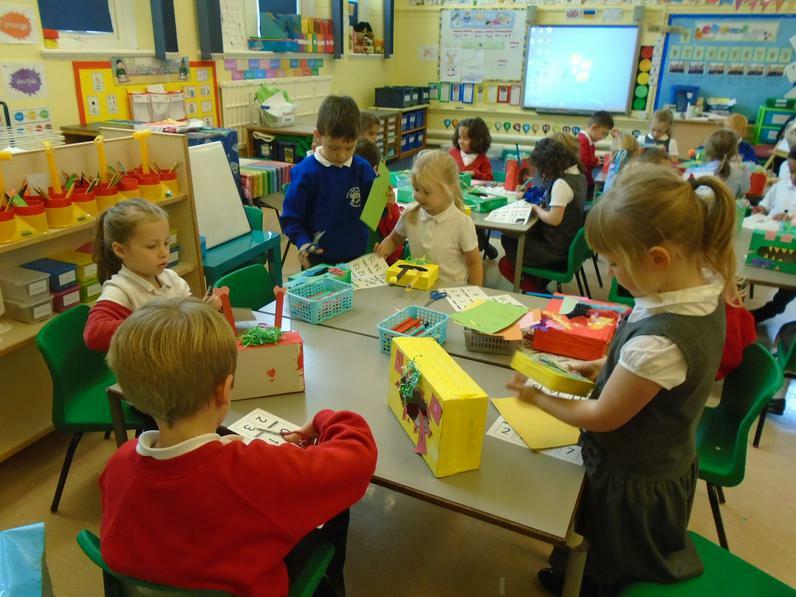 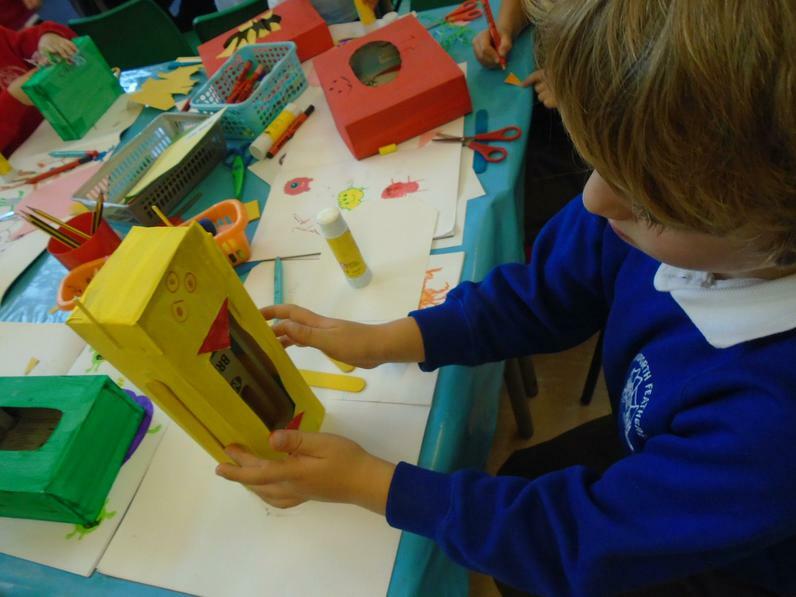 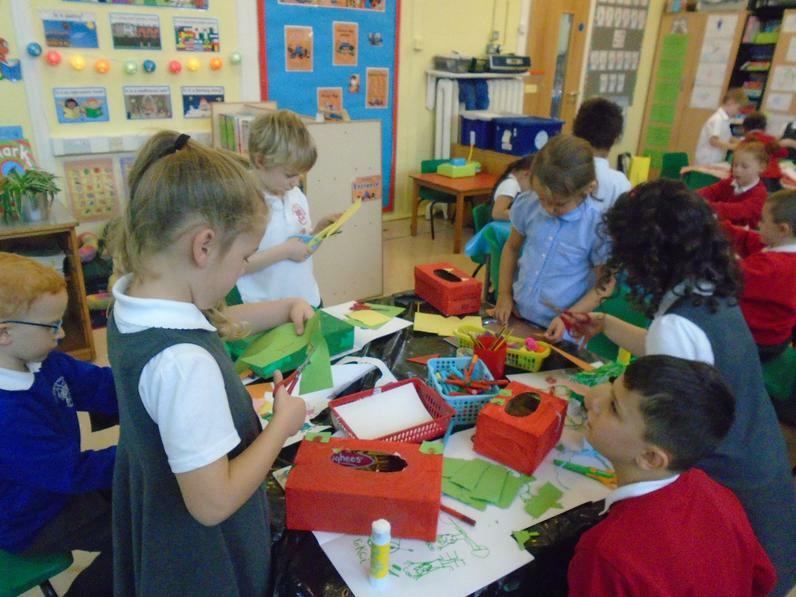 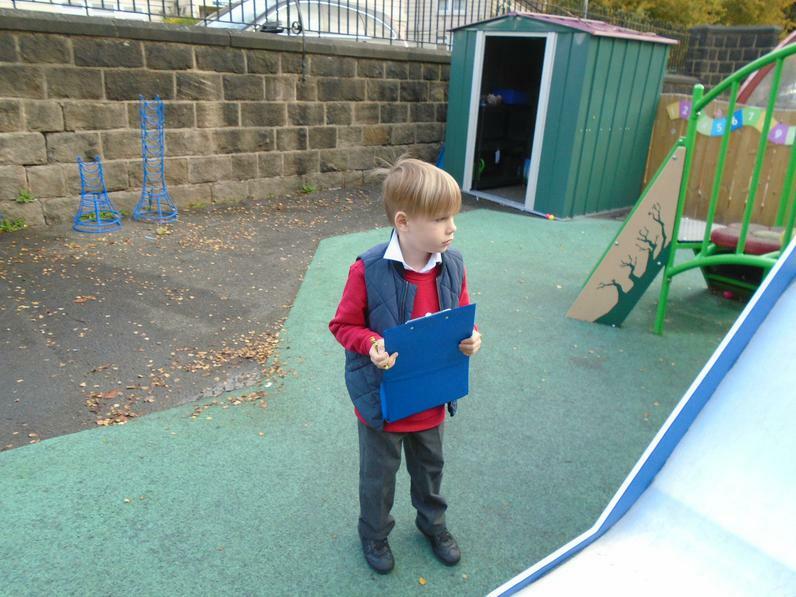 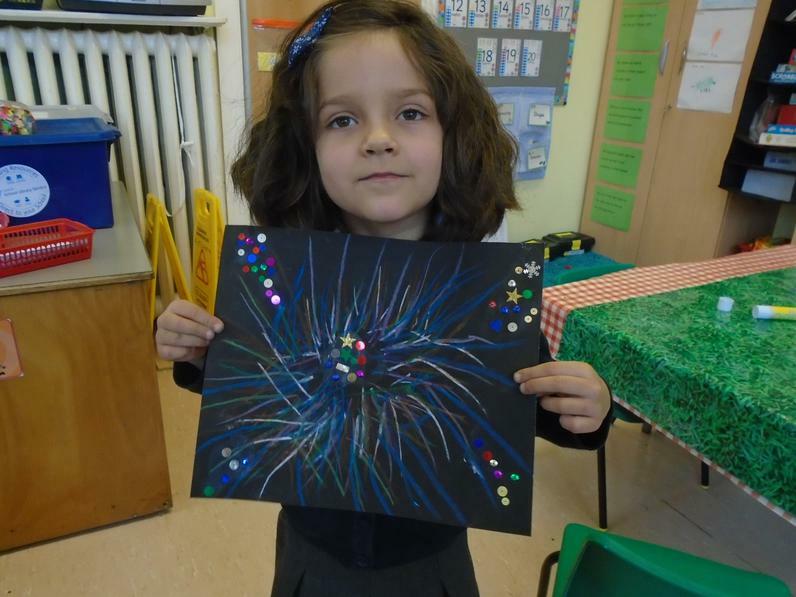 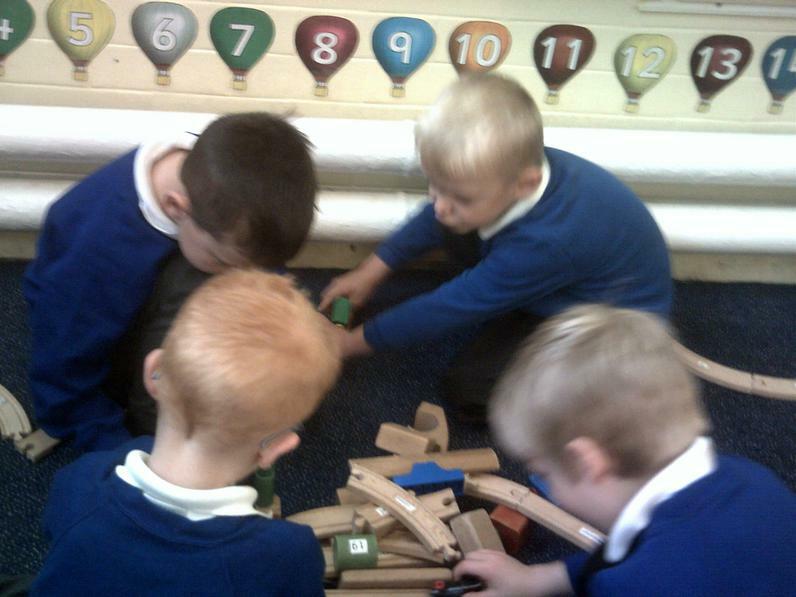 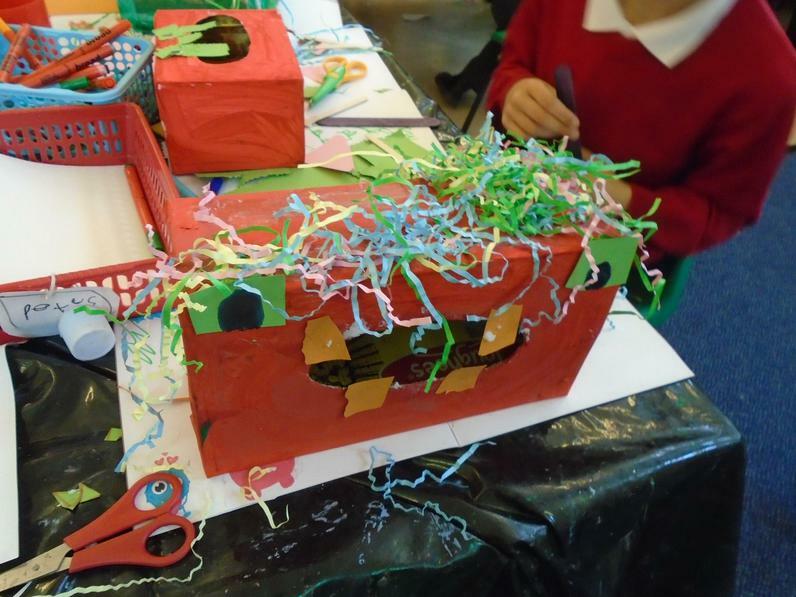 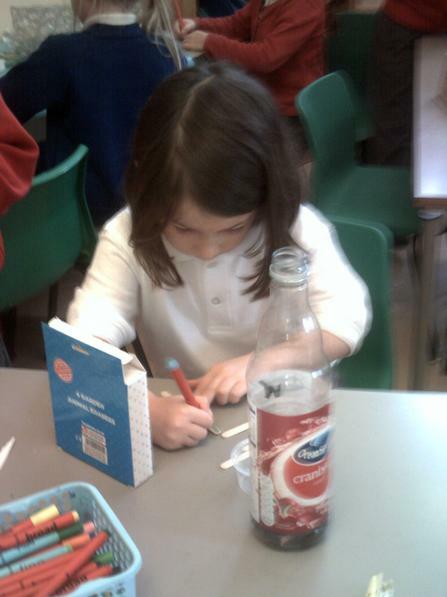 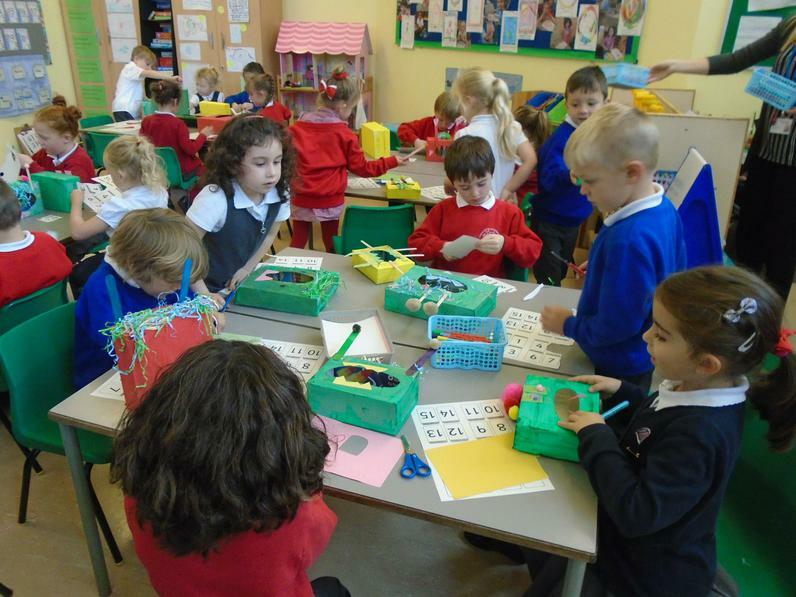 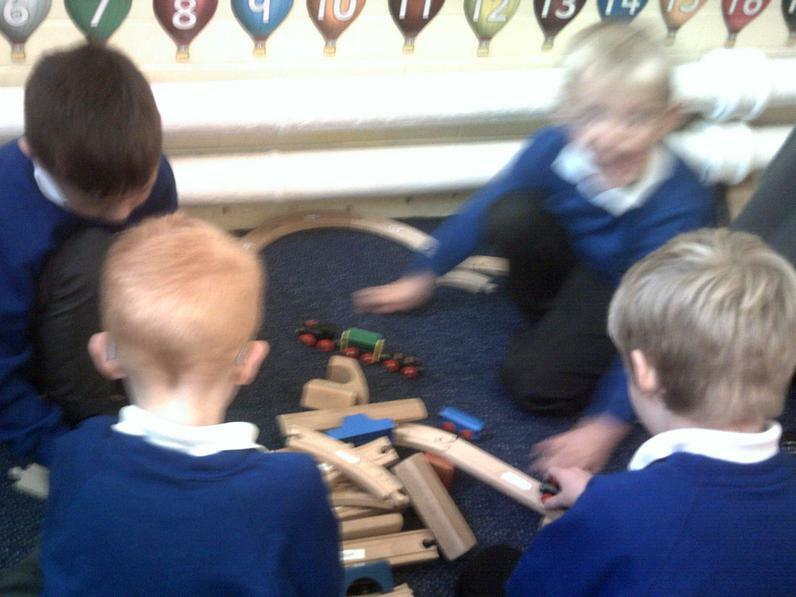 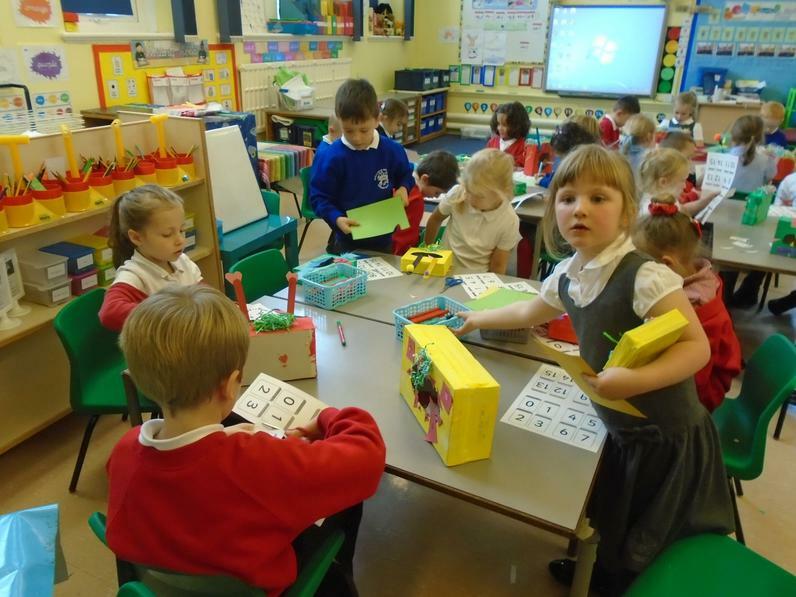 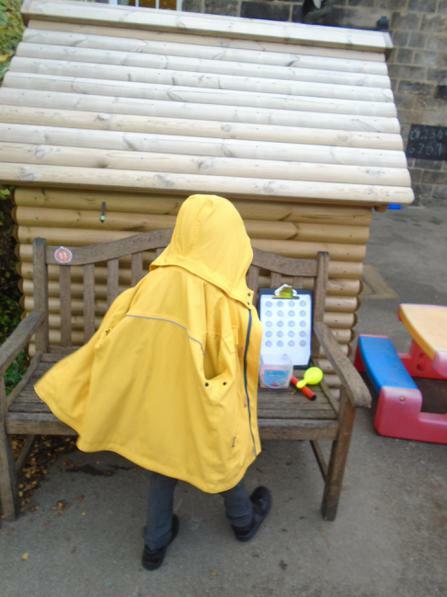 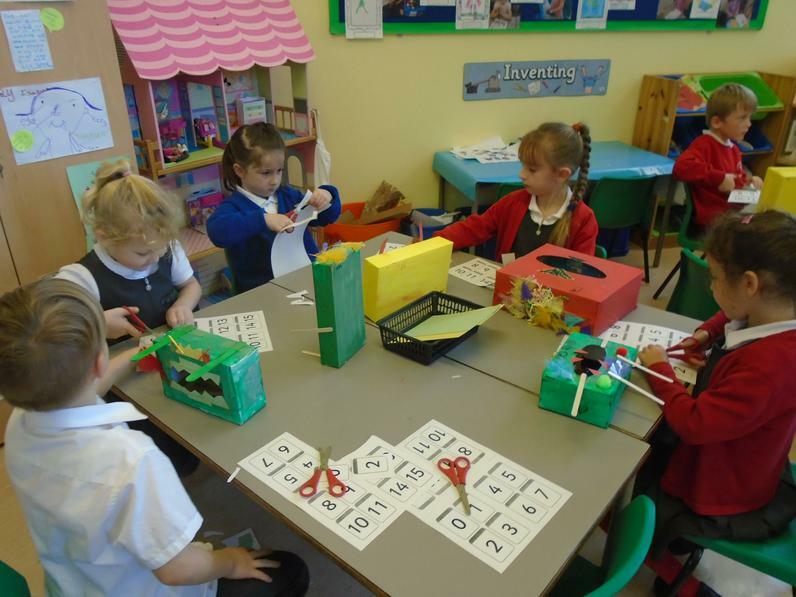 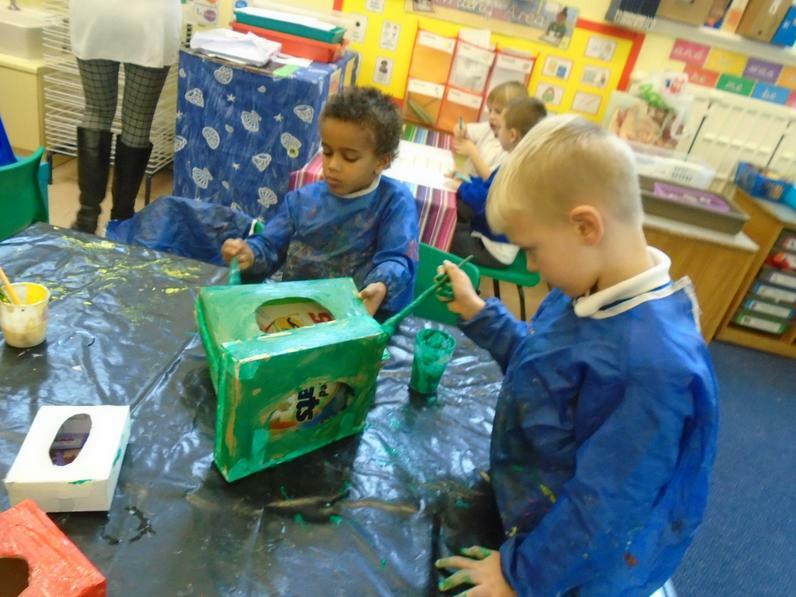 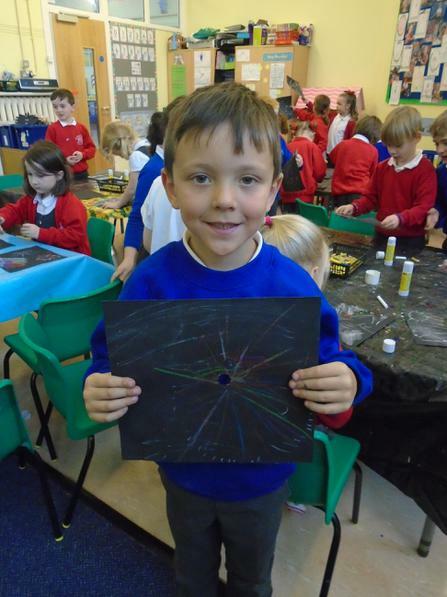 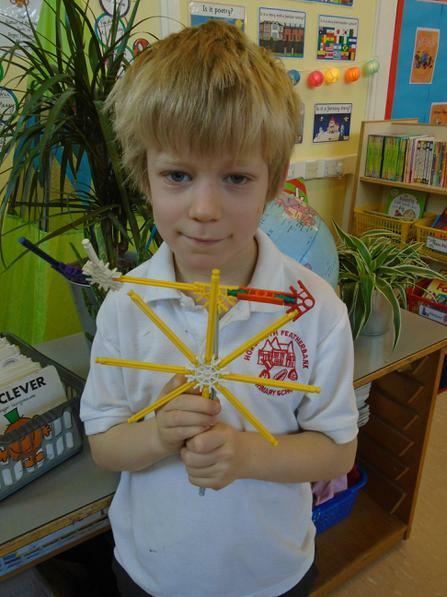 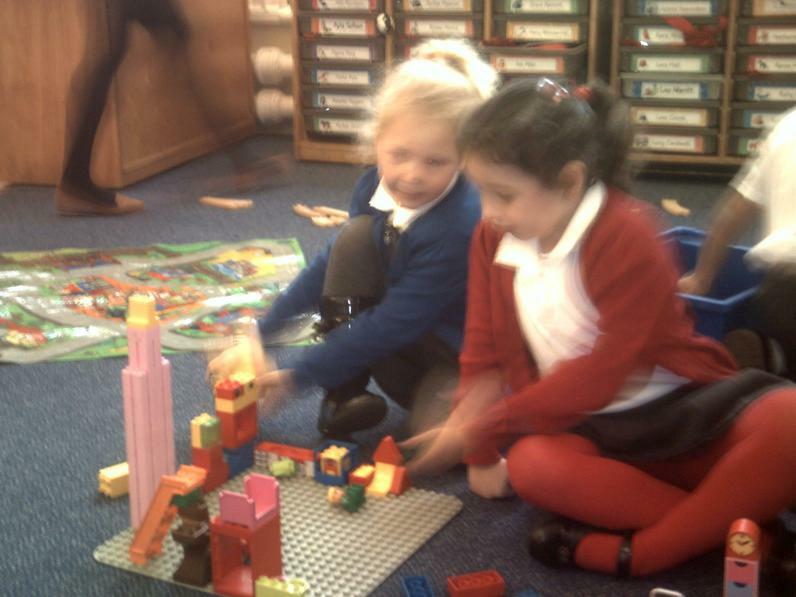 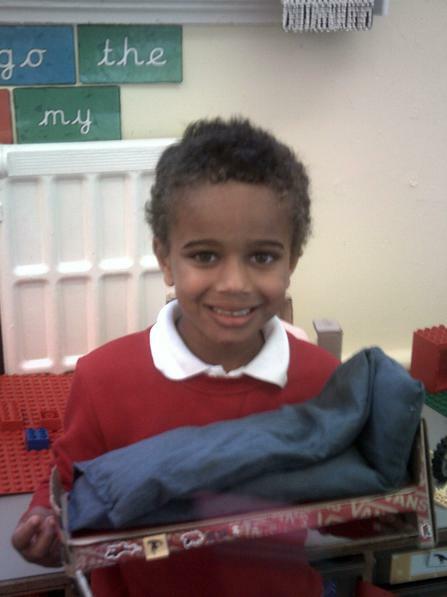 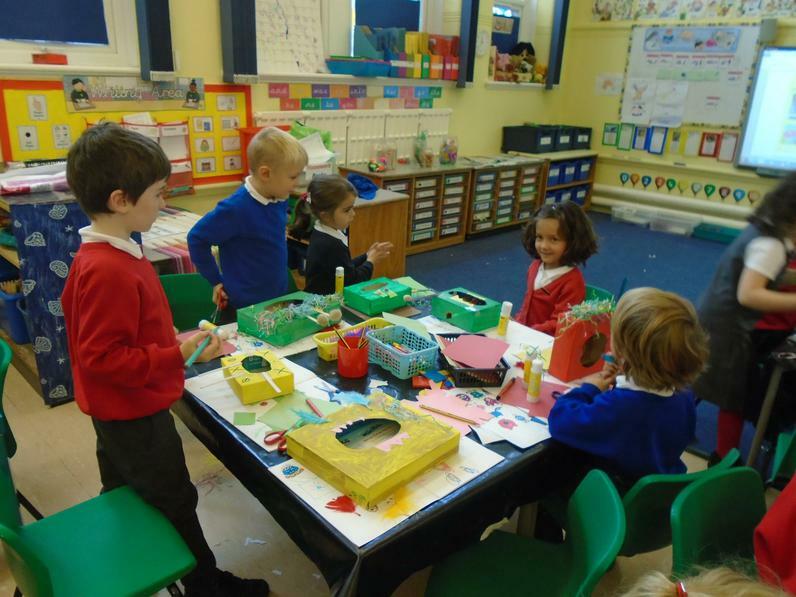 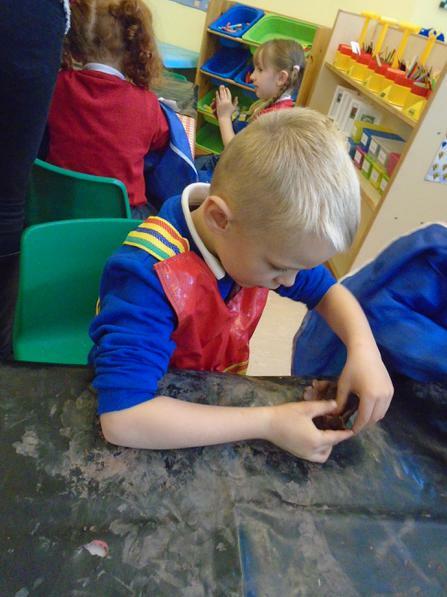 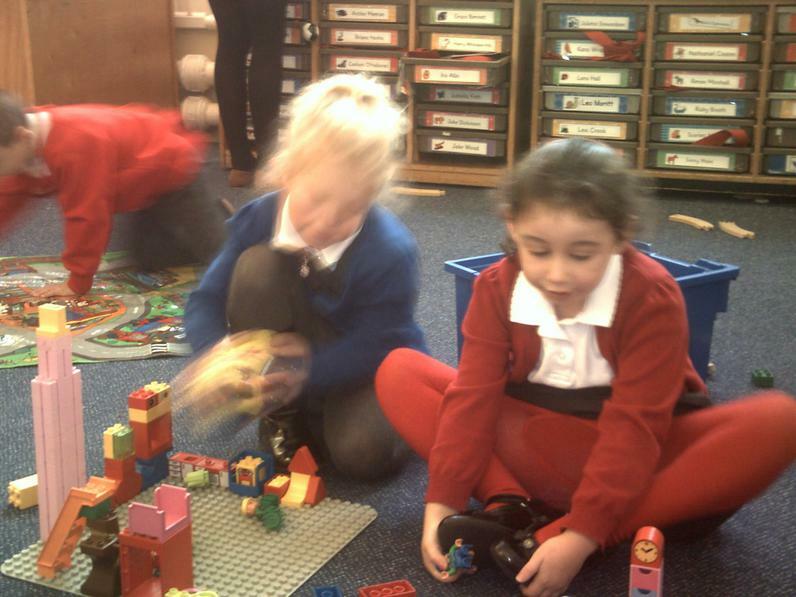 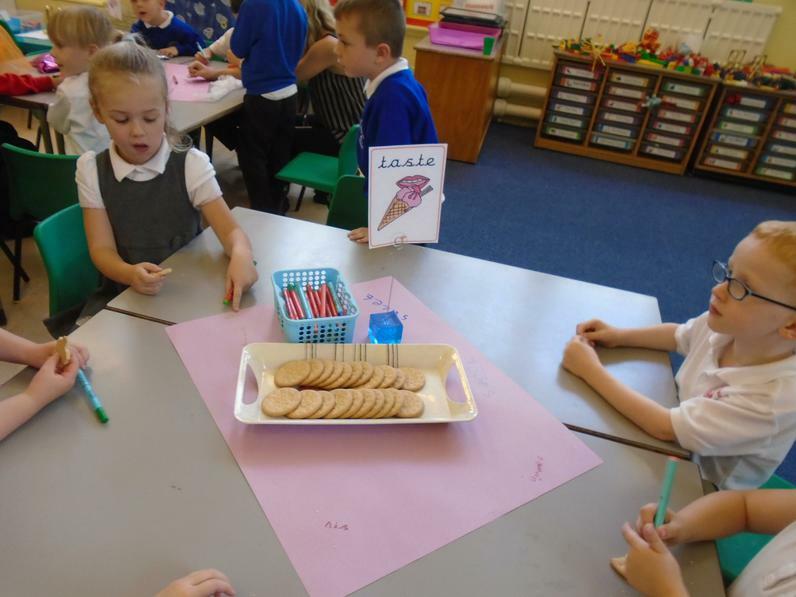 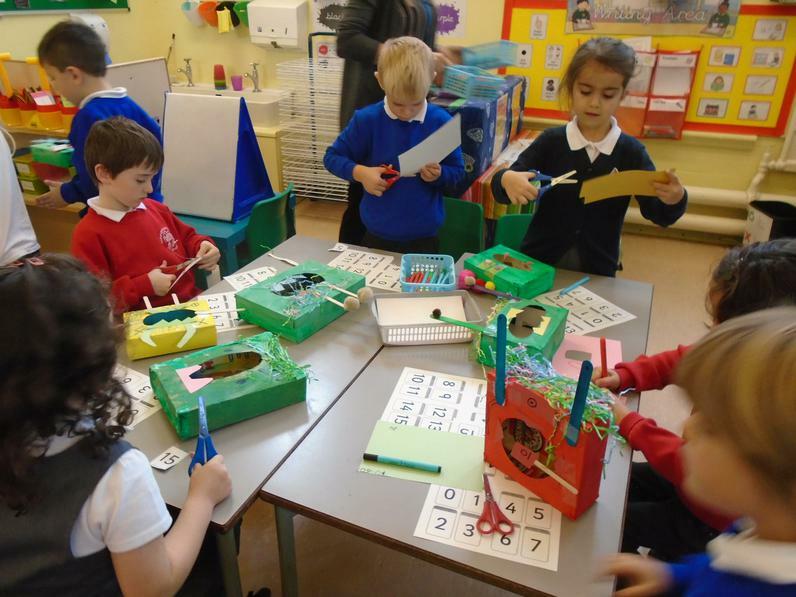 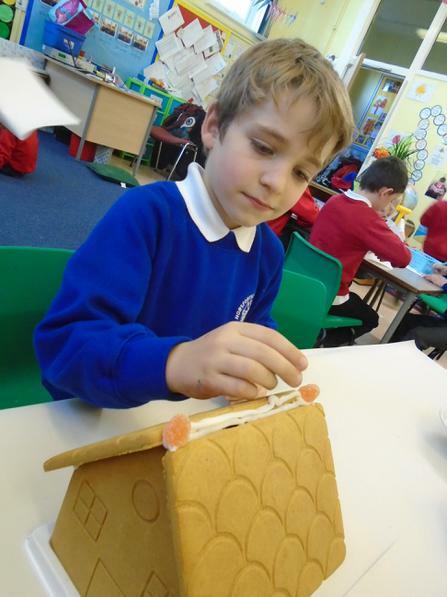 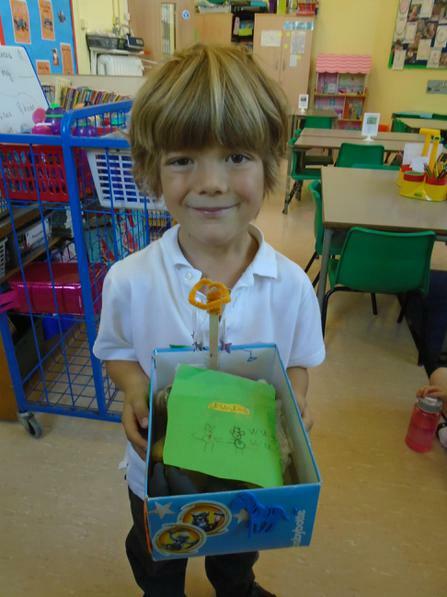 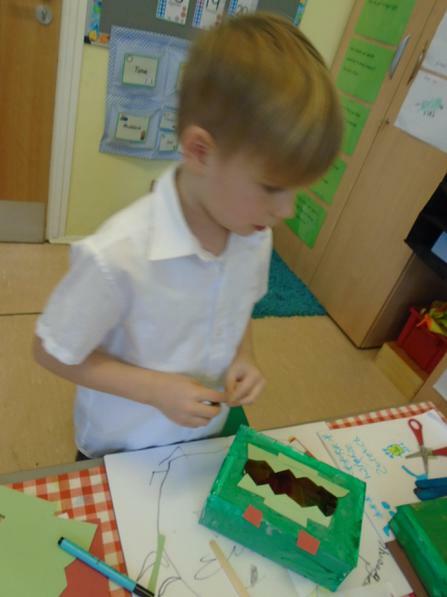 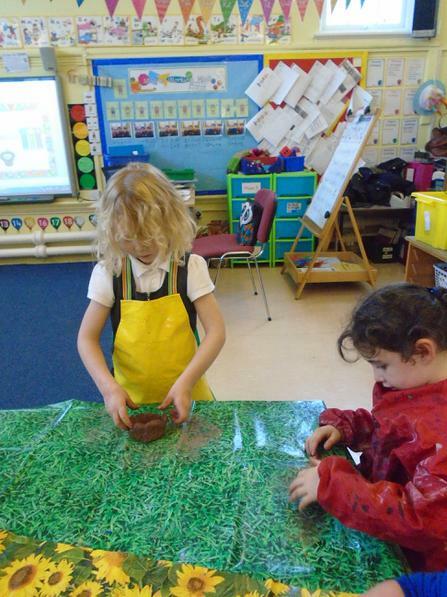 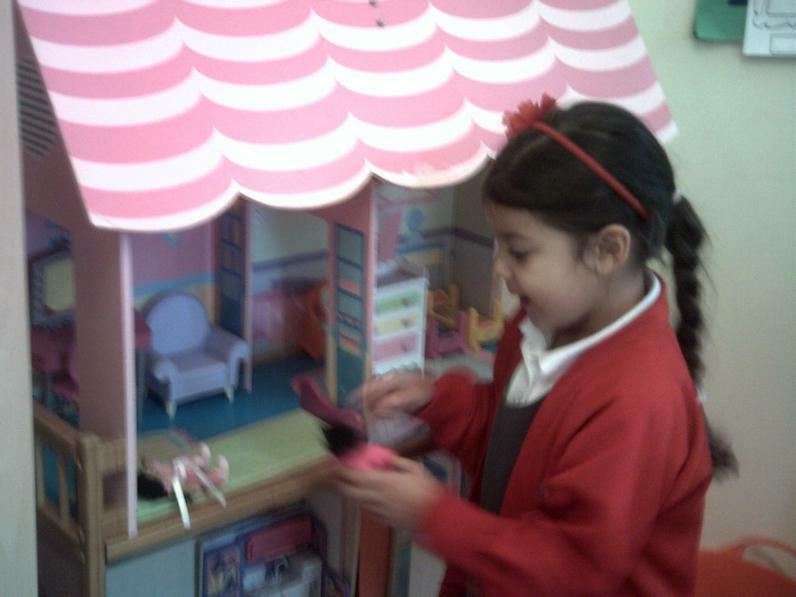 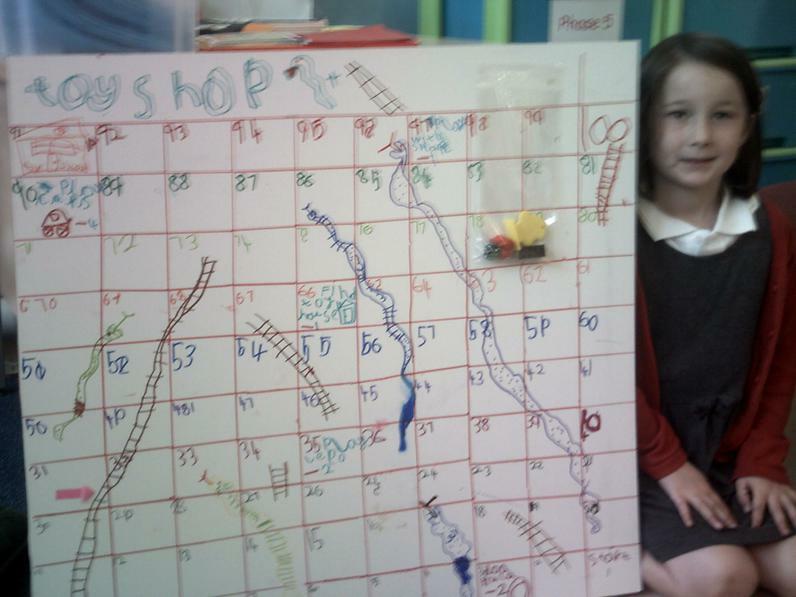 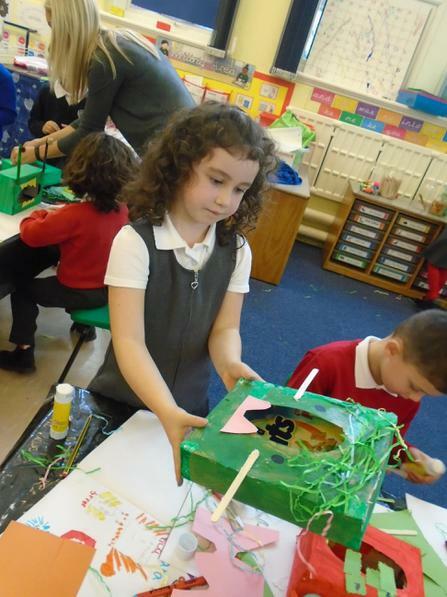 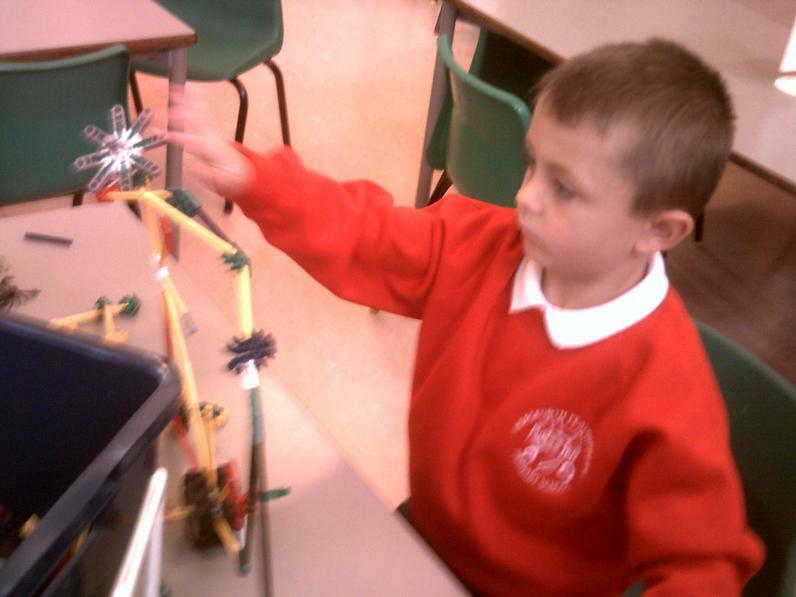 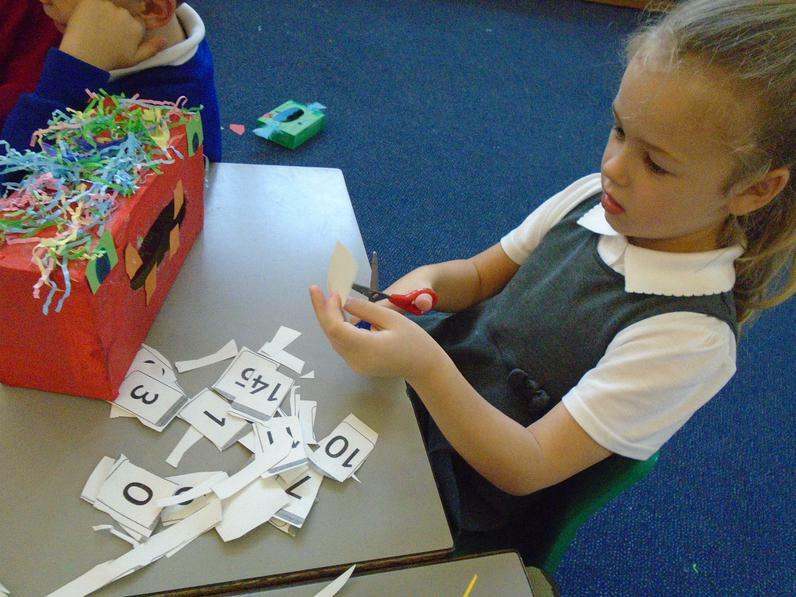 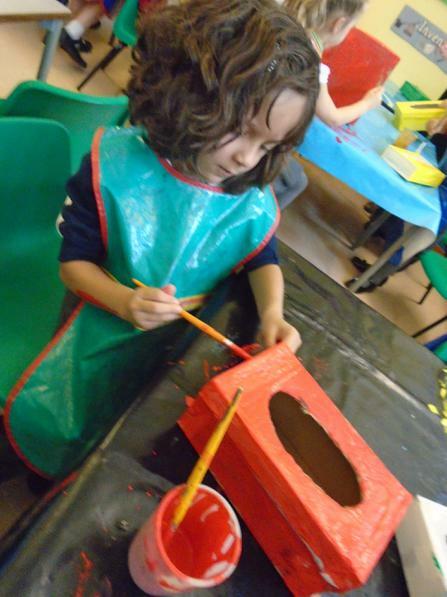 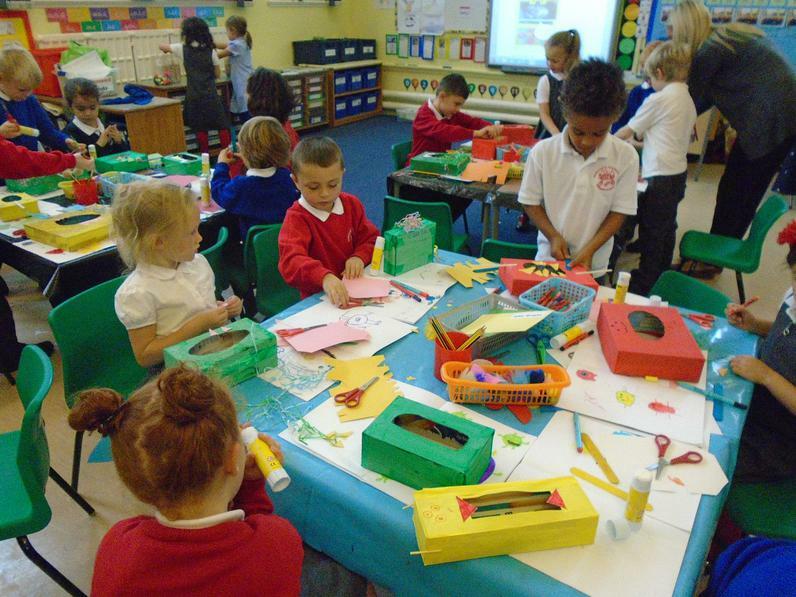 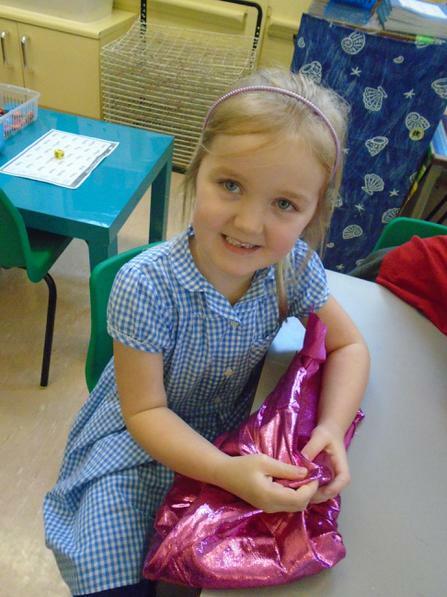 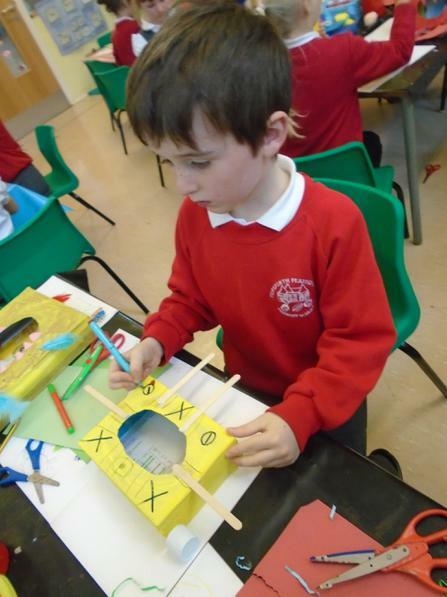 Year One were designers for the day. 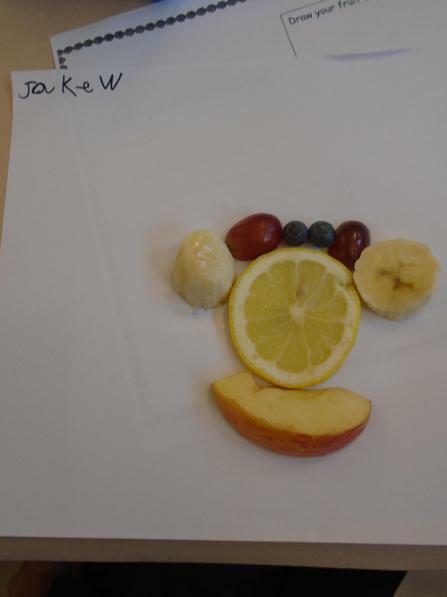 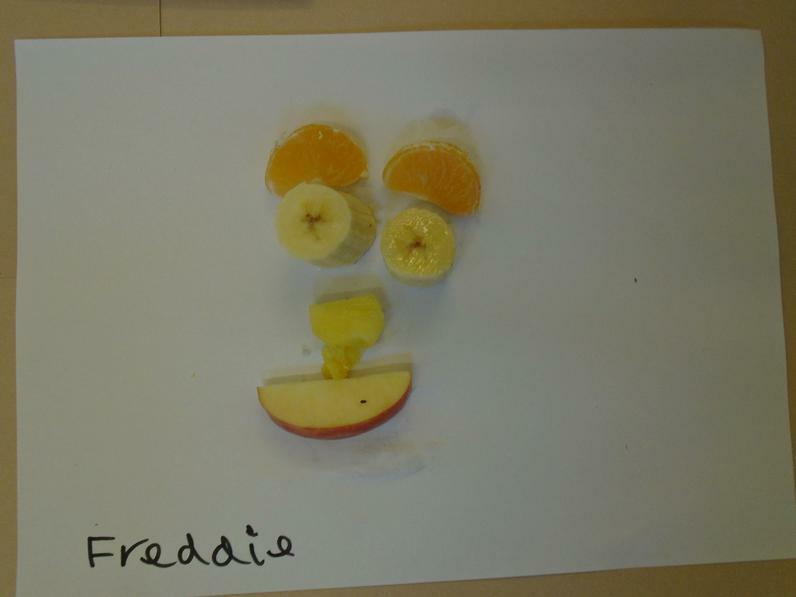 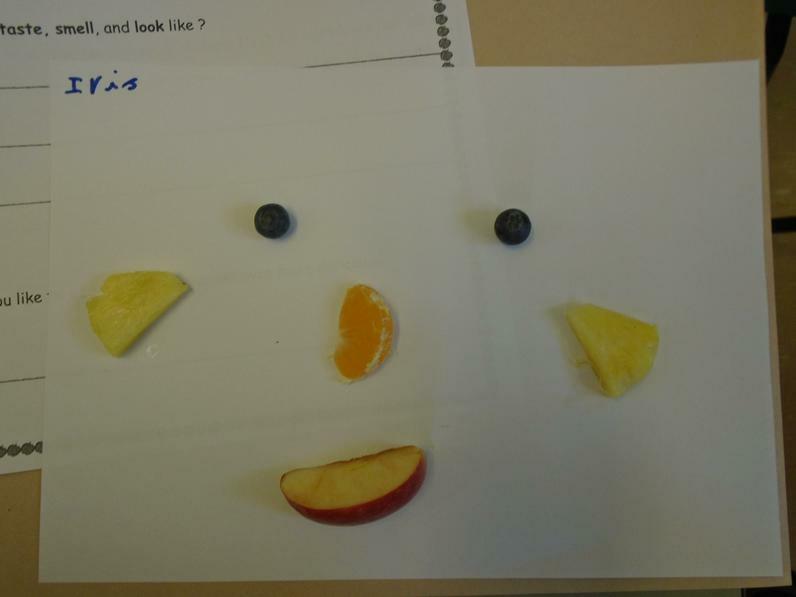 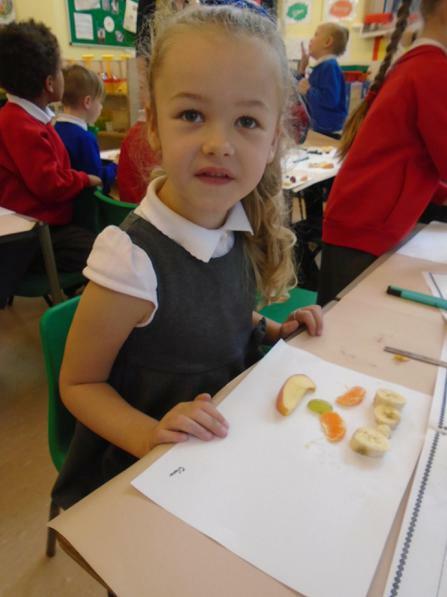 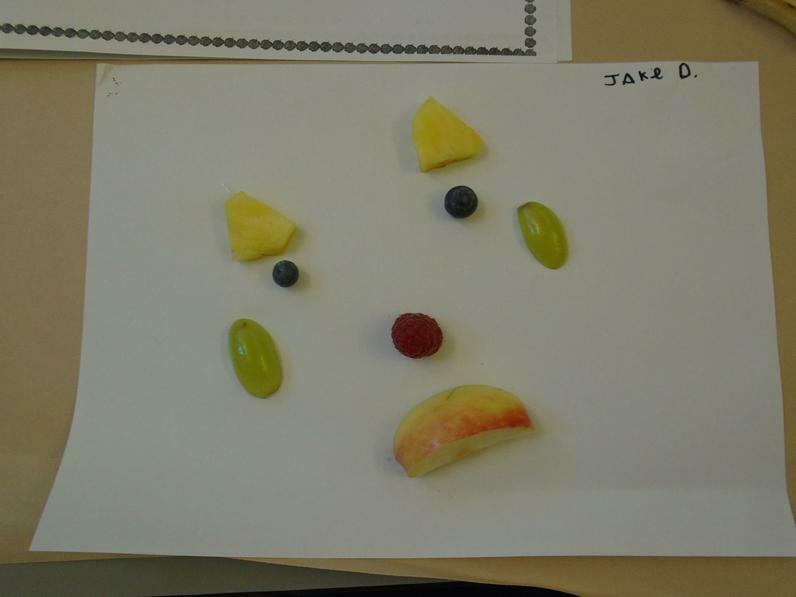 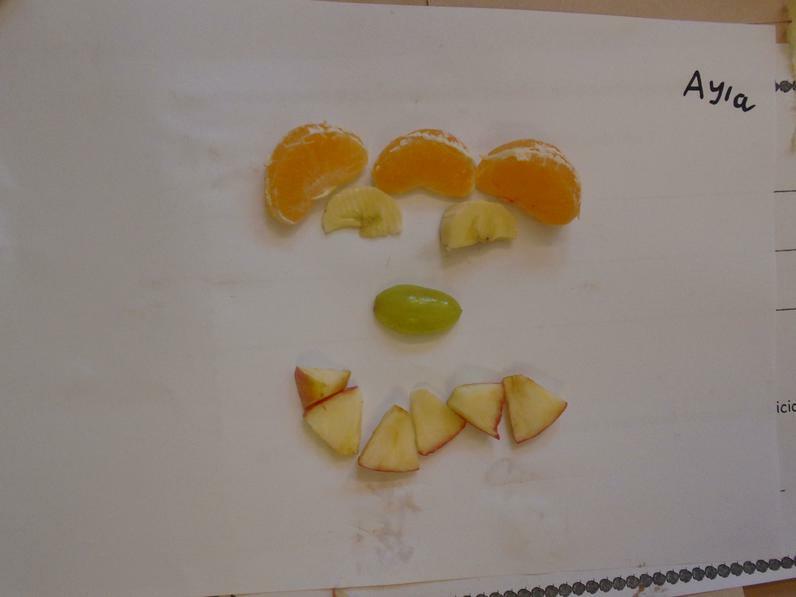 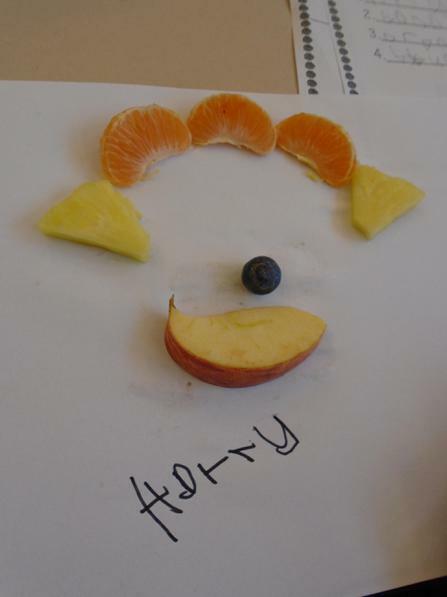 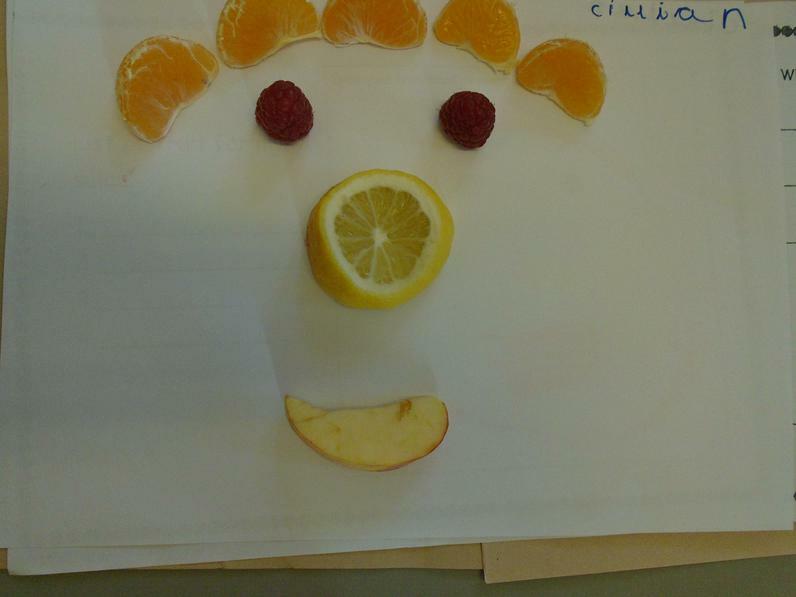 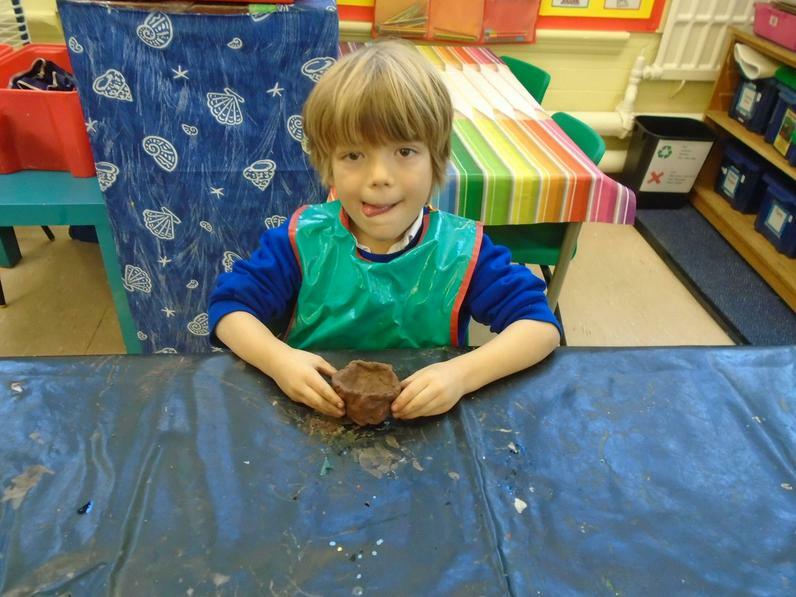 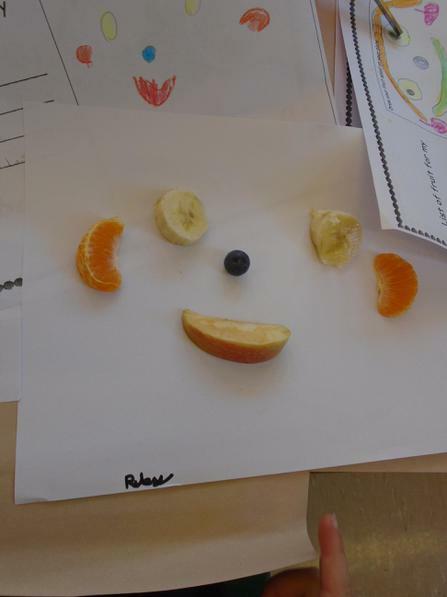 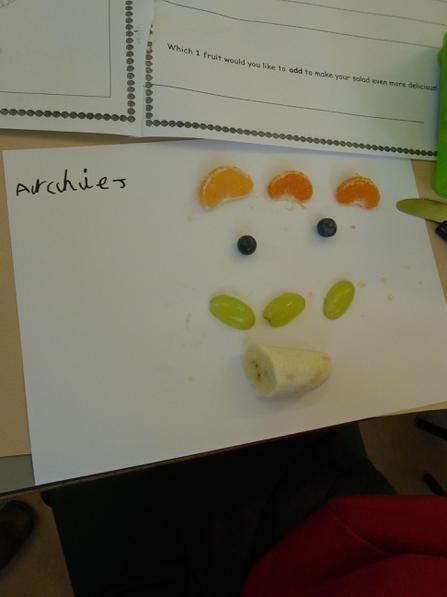 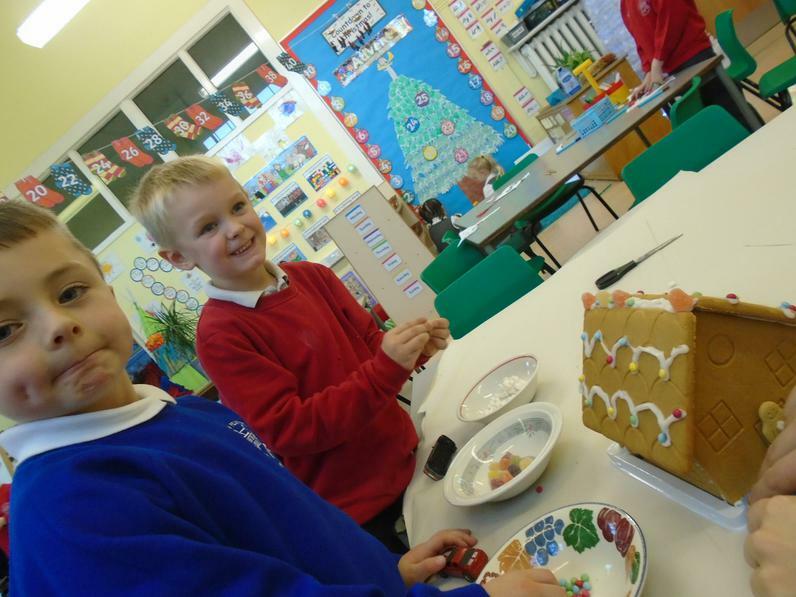 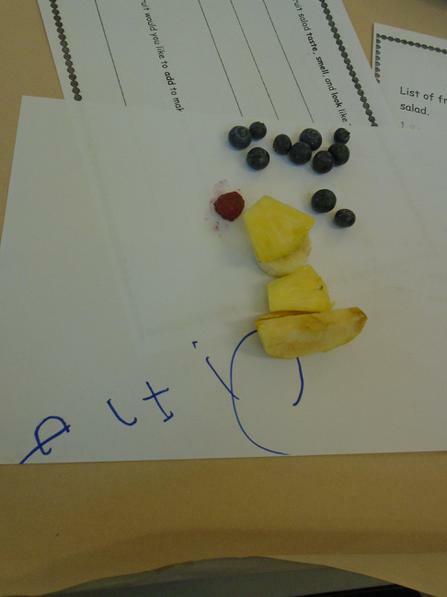 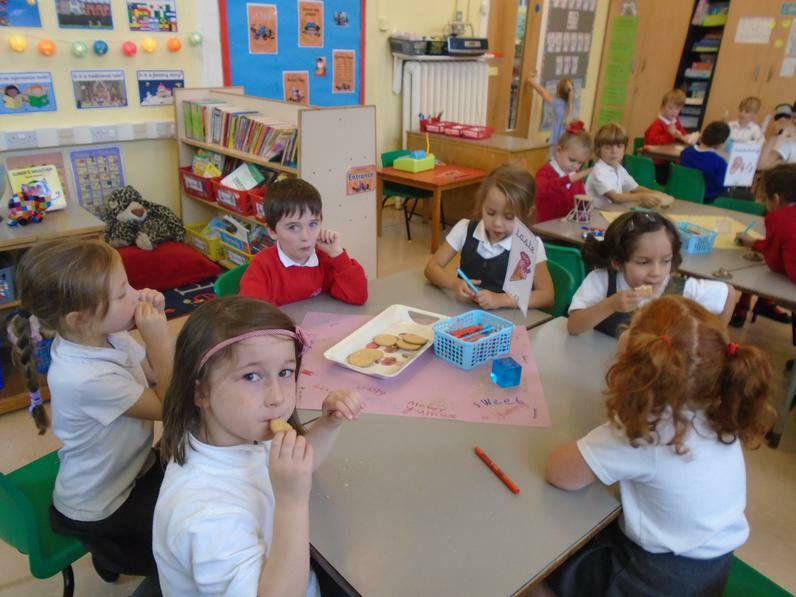 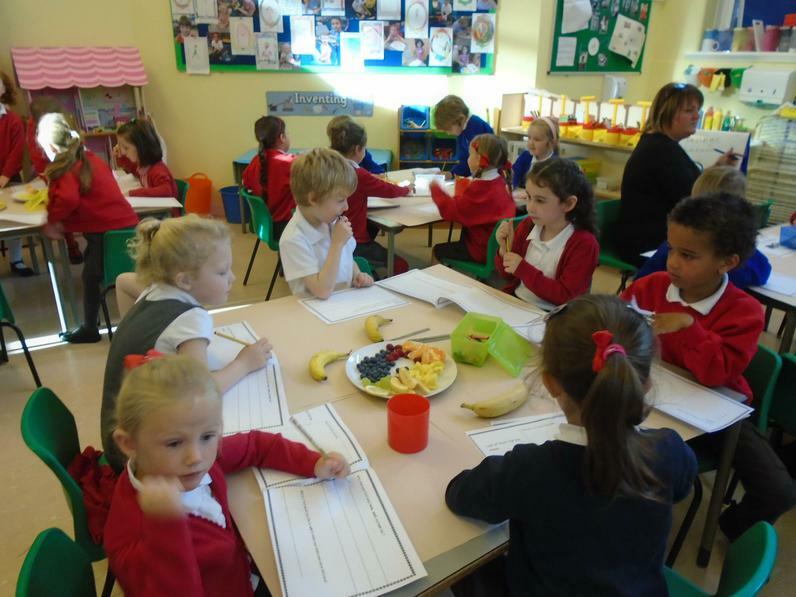 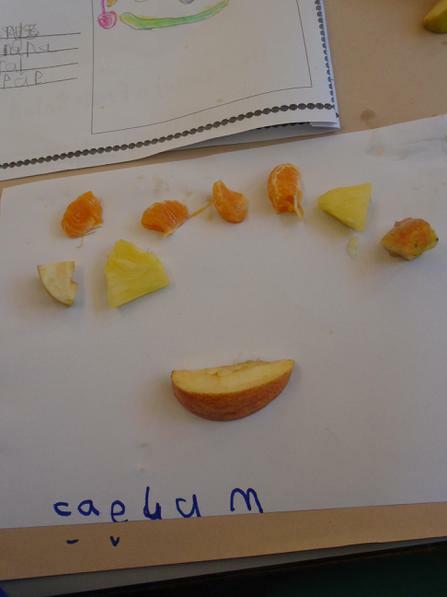 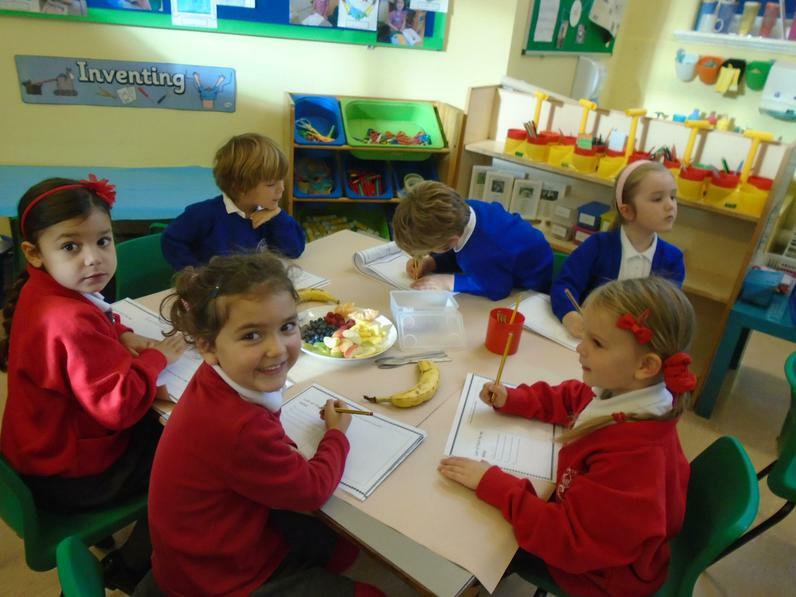 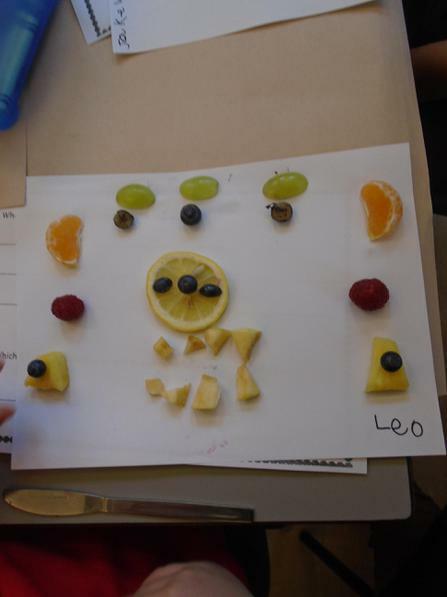 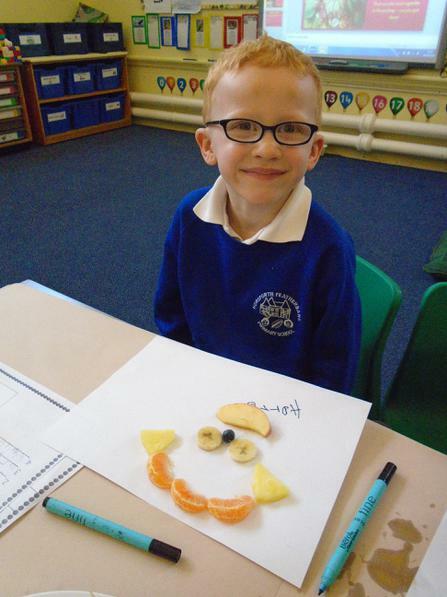 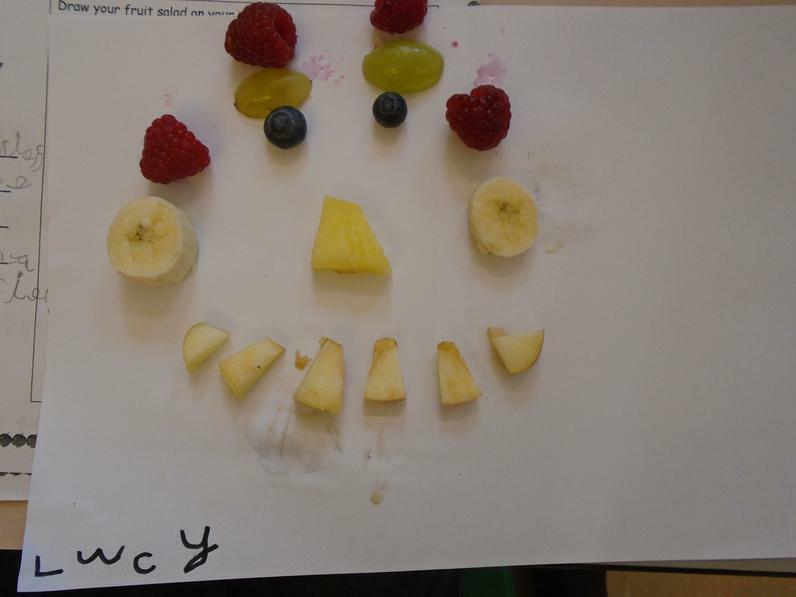 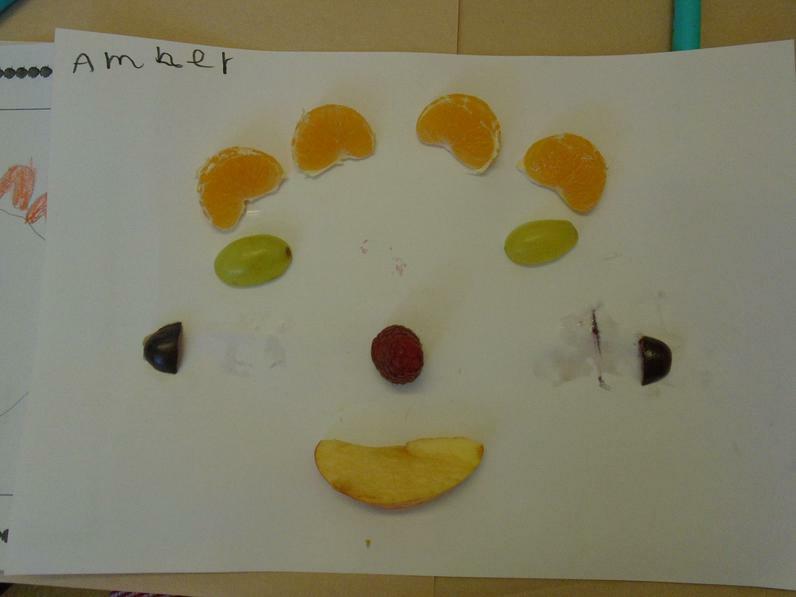 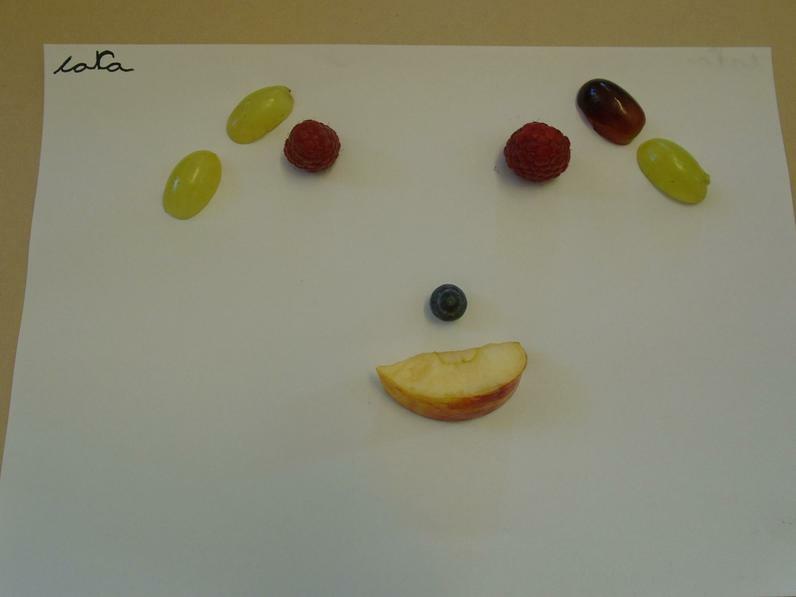 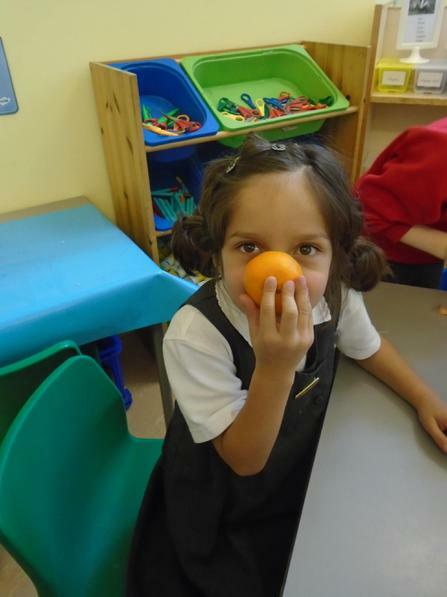 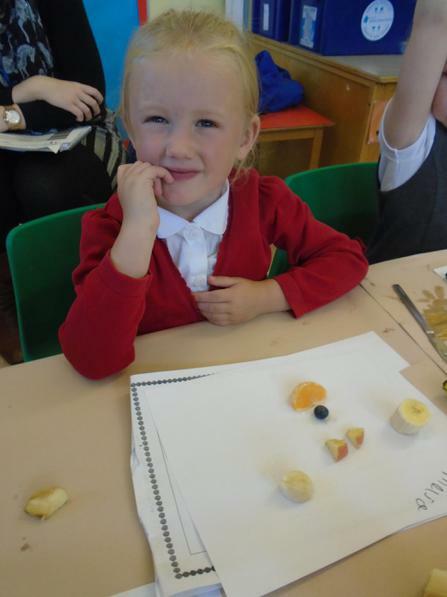 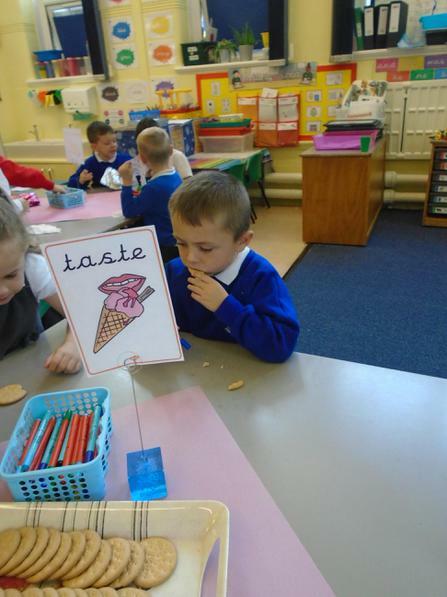 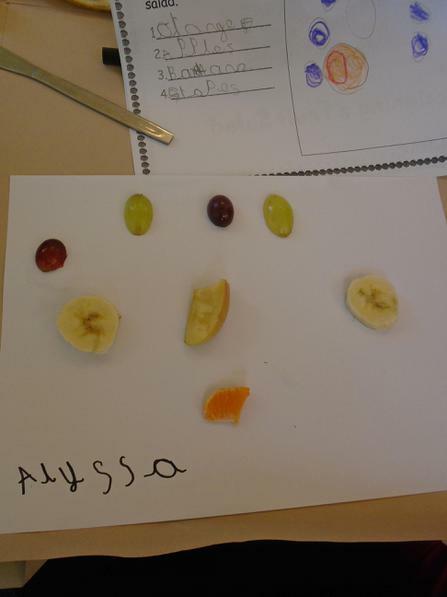 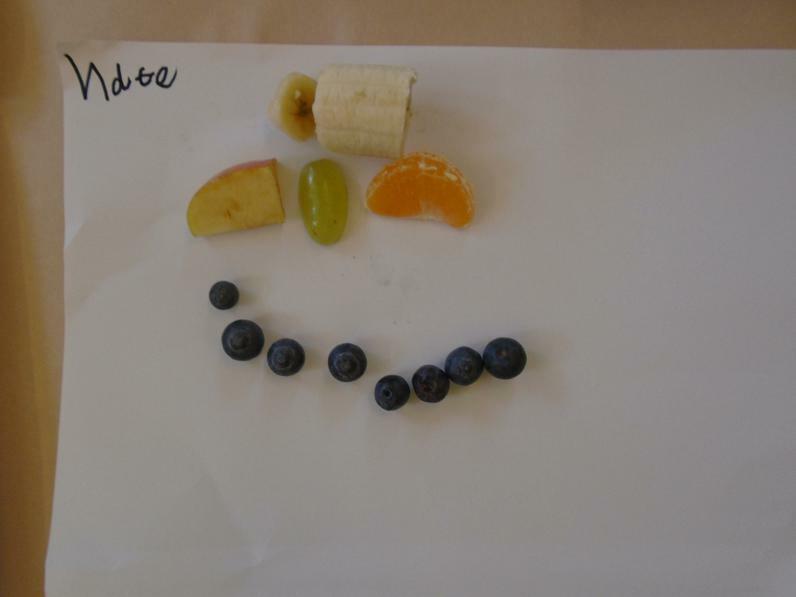 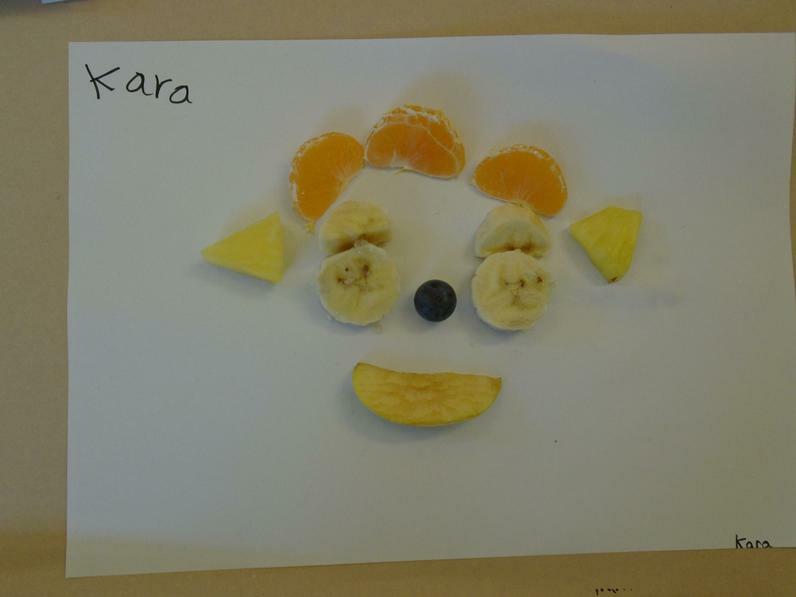 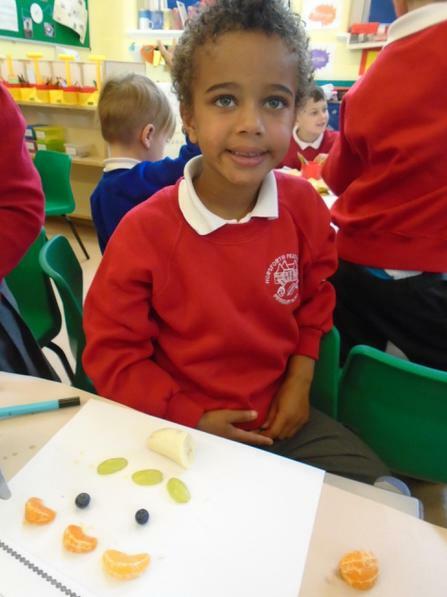 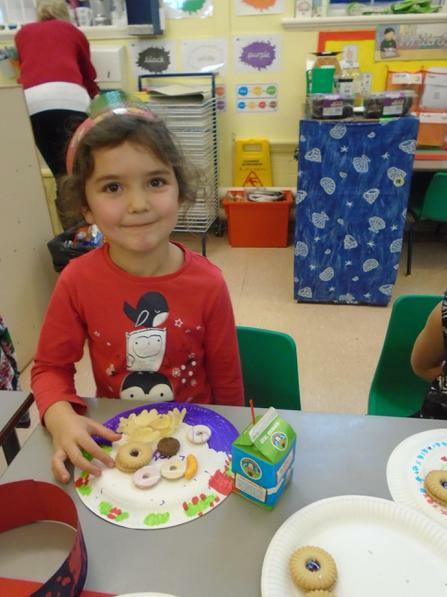 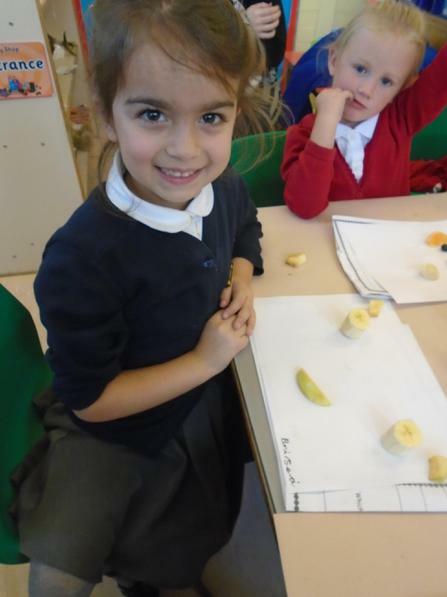 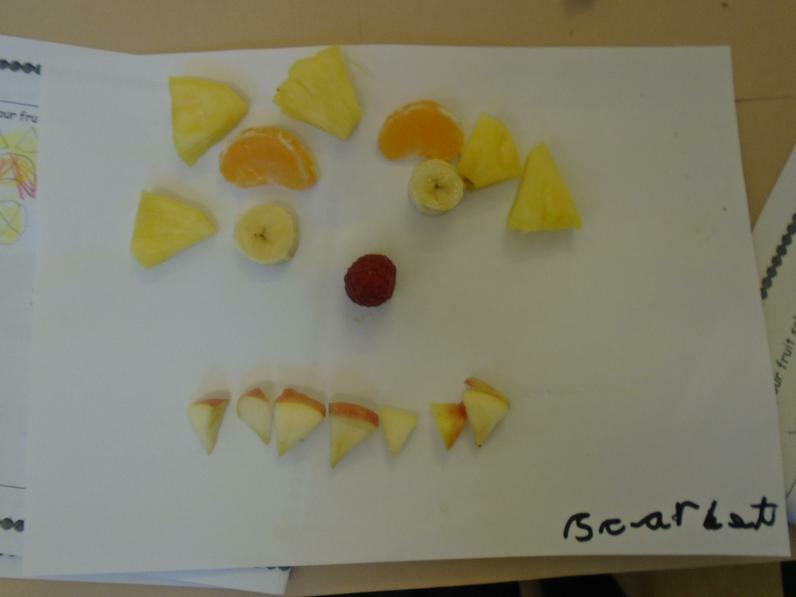 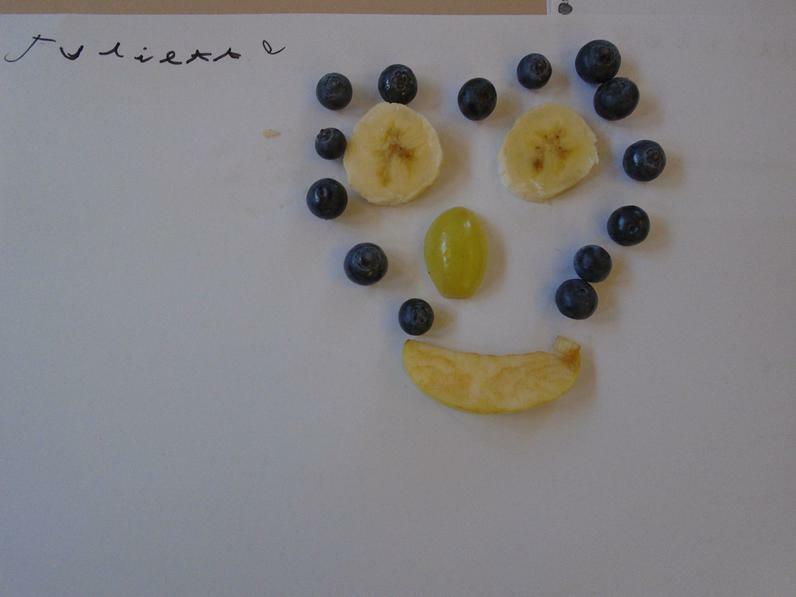 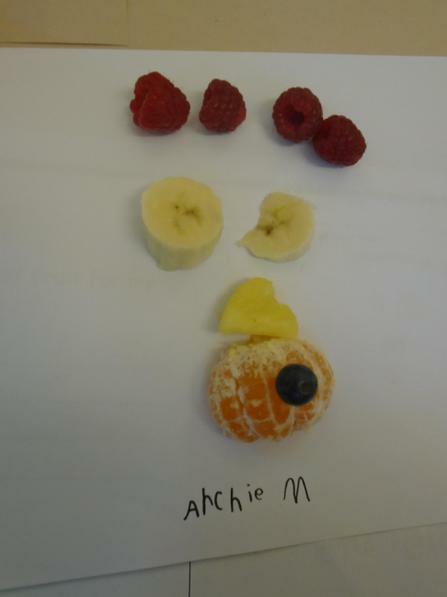 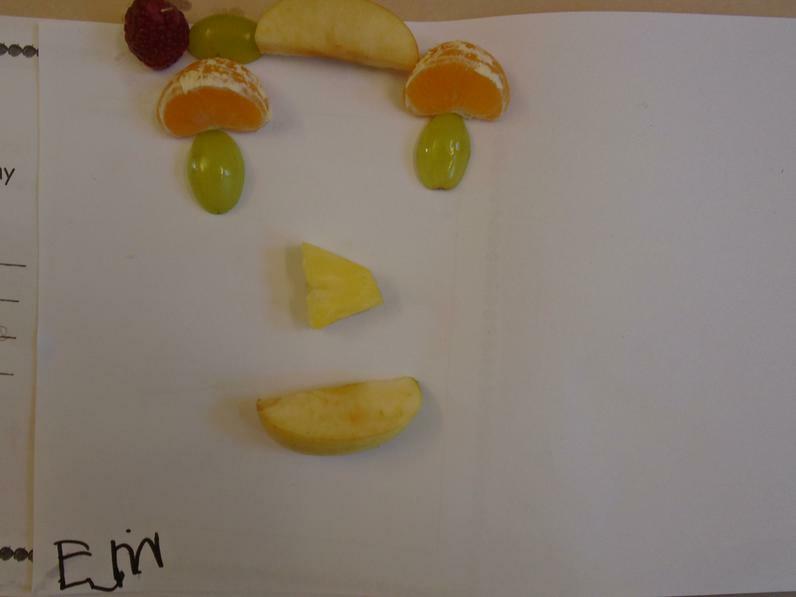 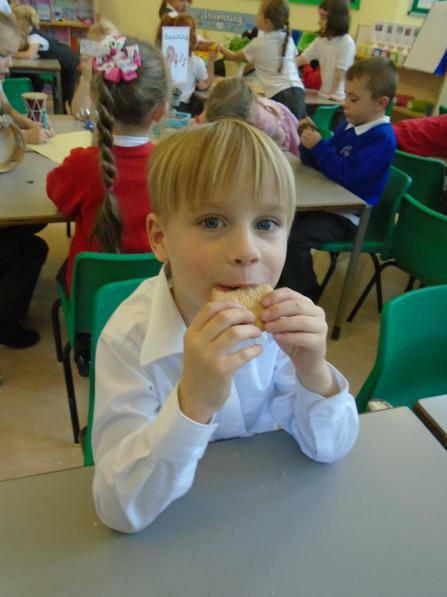 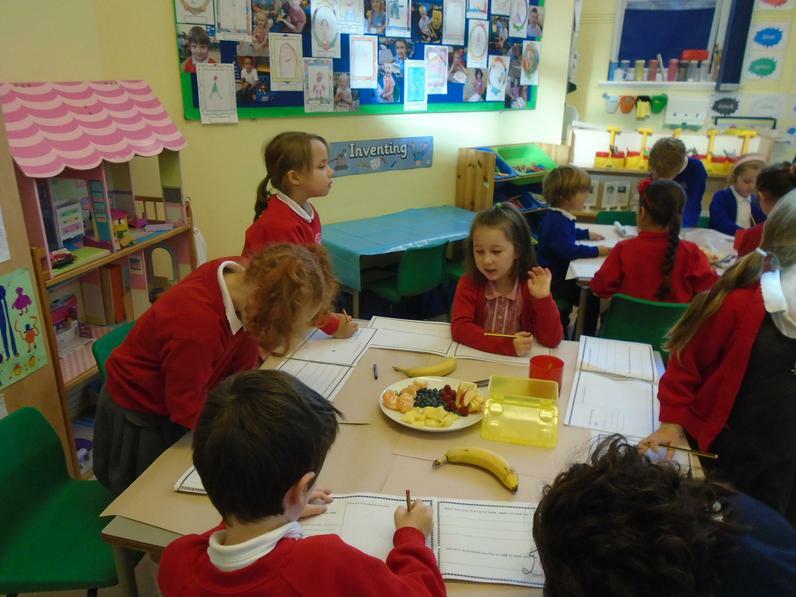 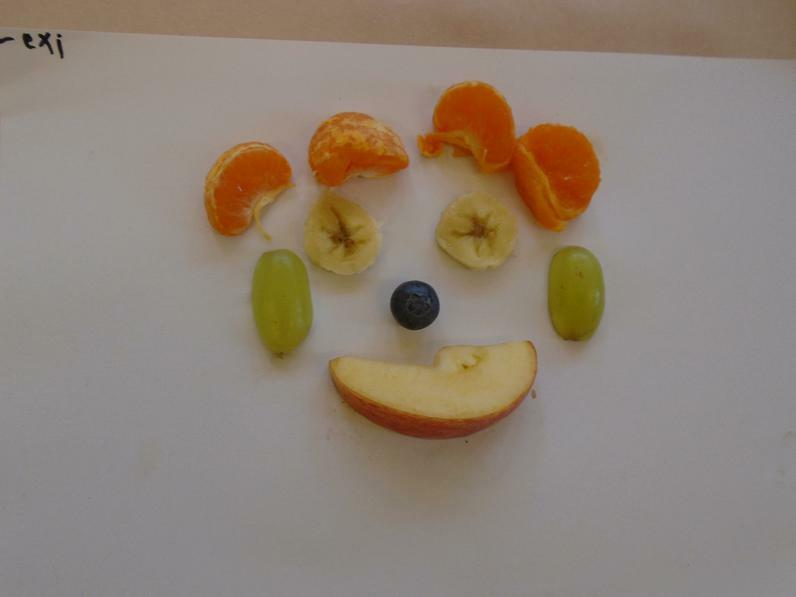 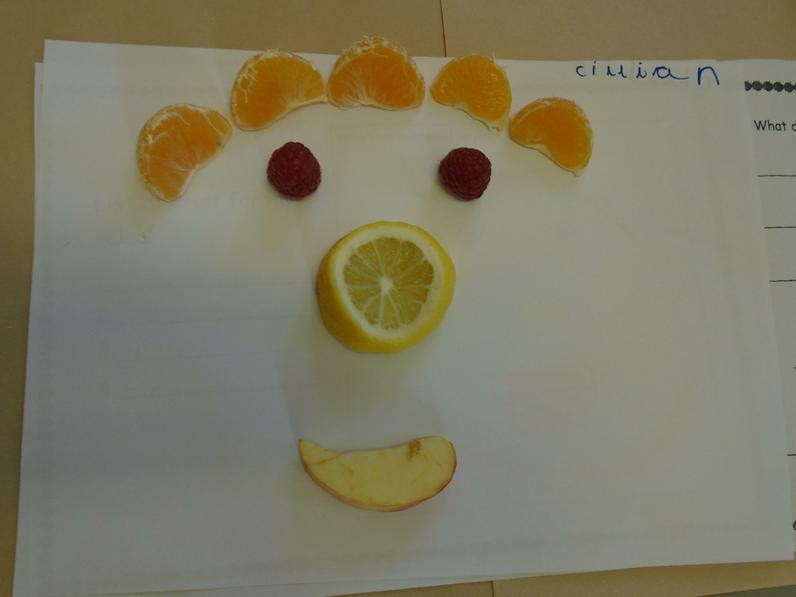 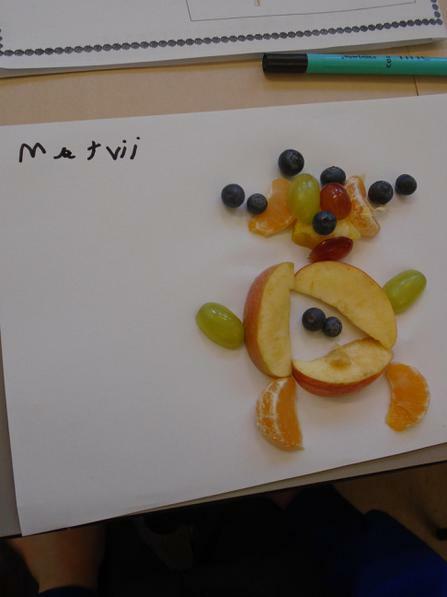 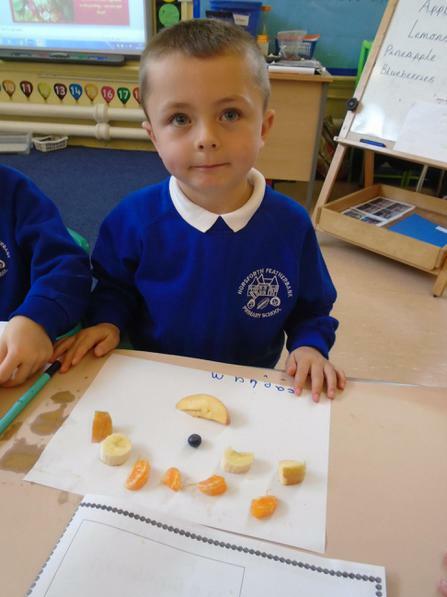 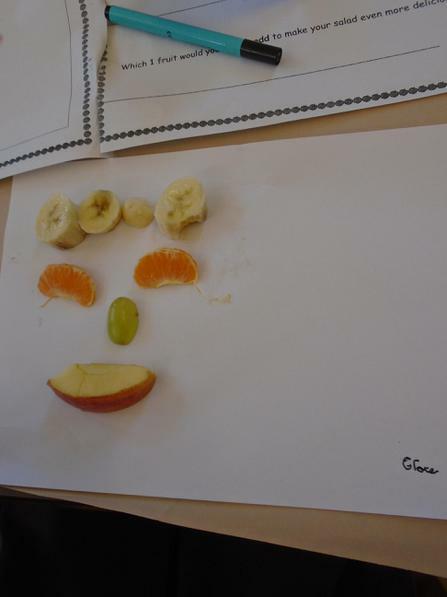 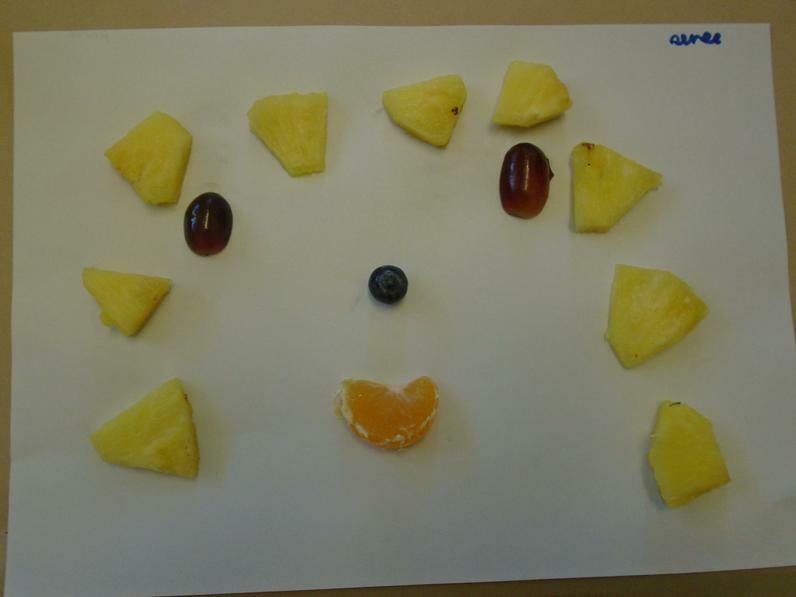 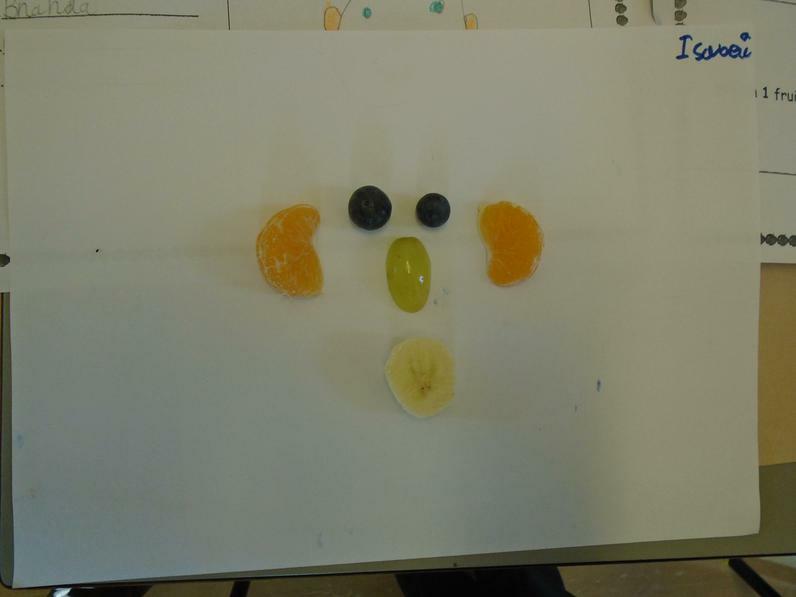 We enjoyed designing, making and eating our Fruity Faces! 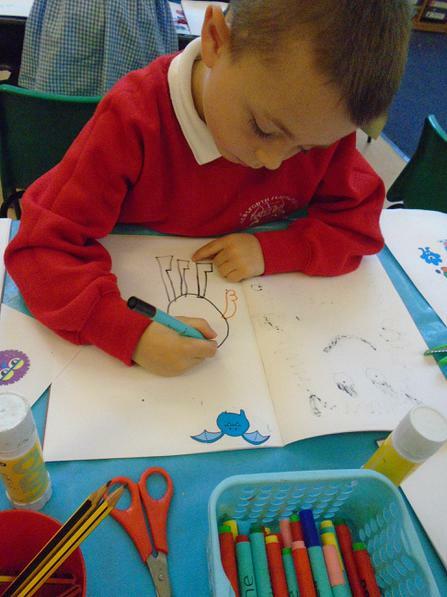 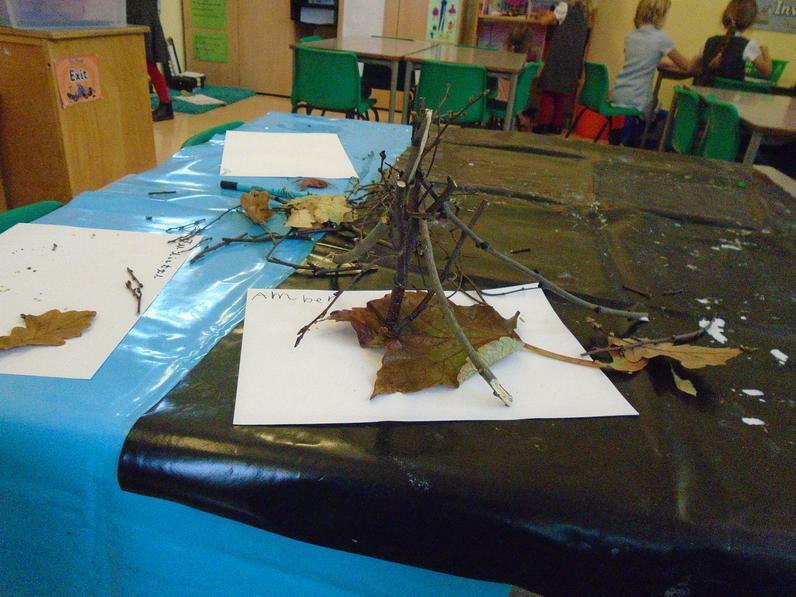 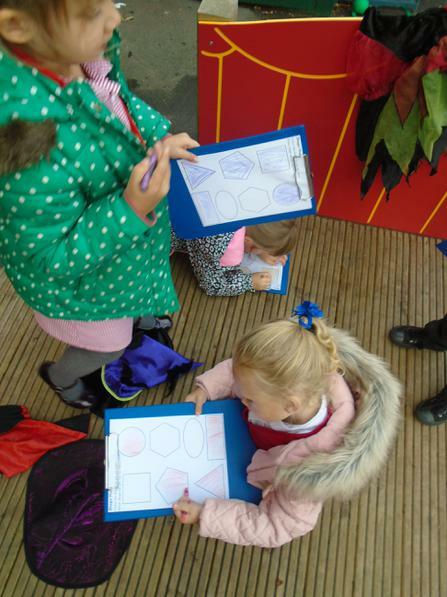 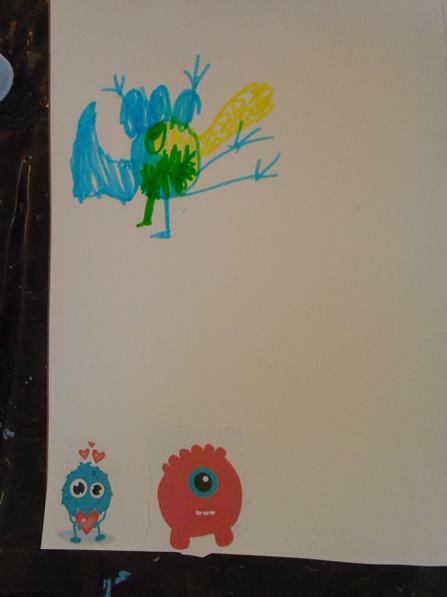 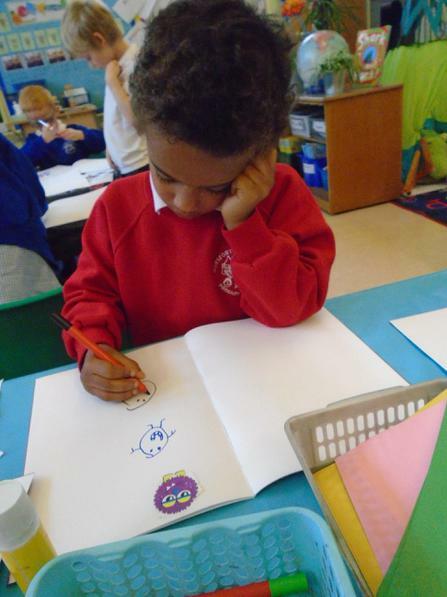 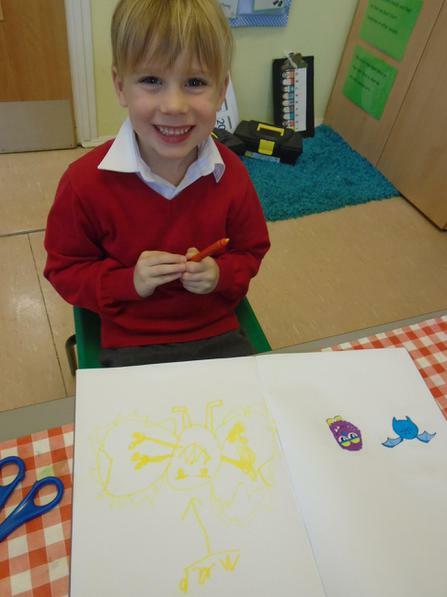 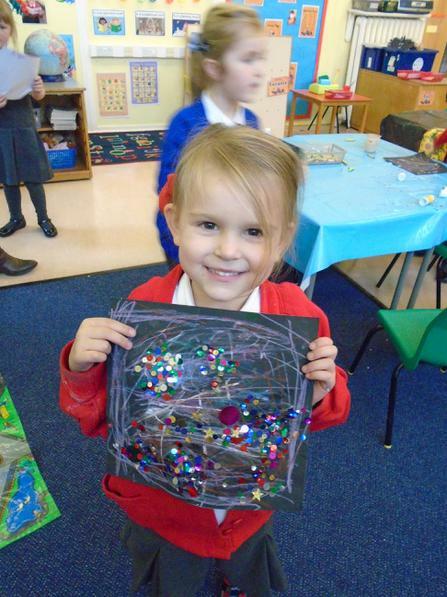 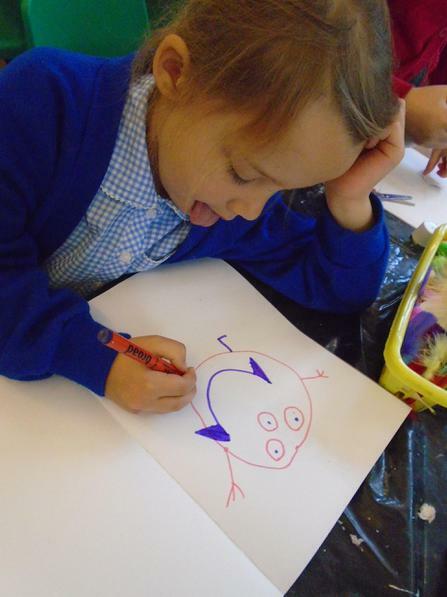 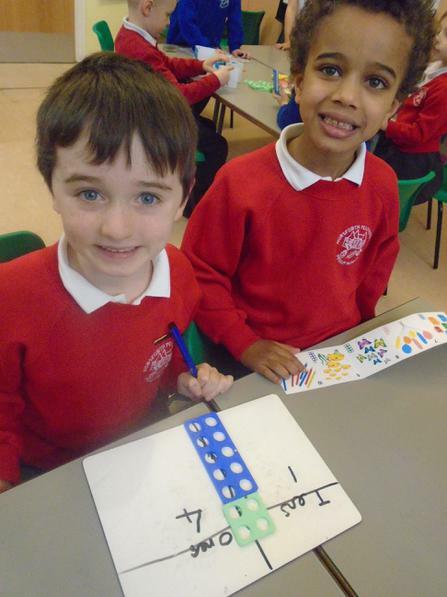 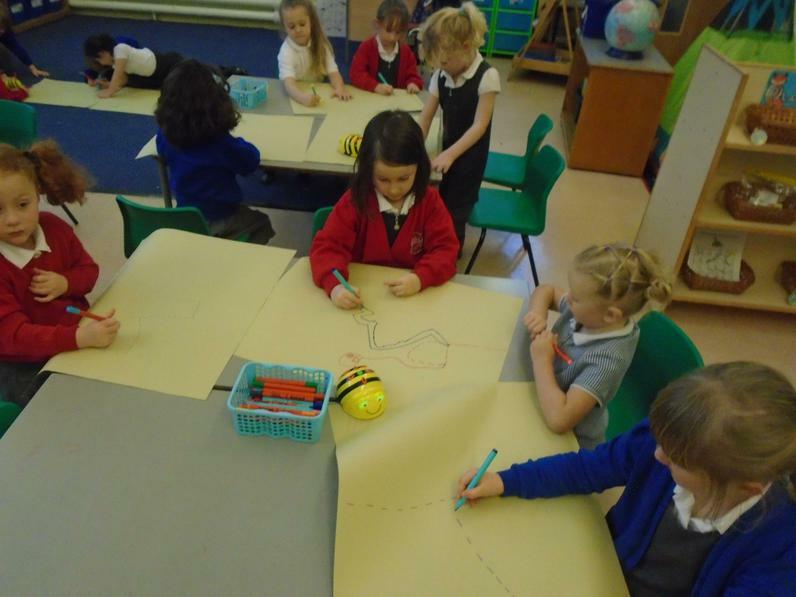 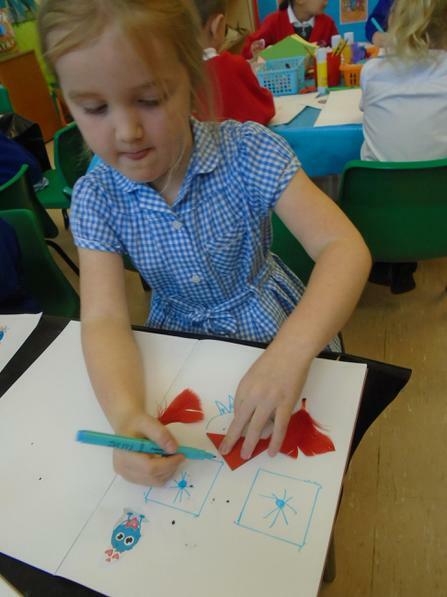 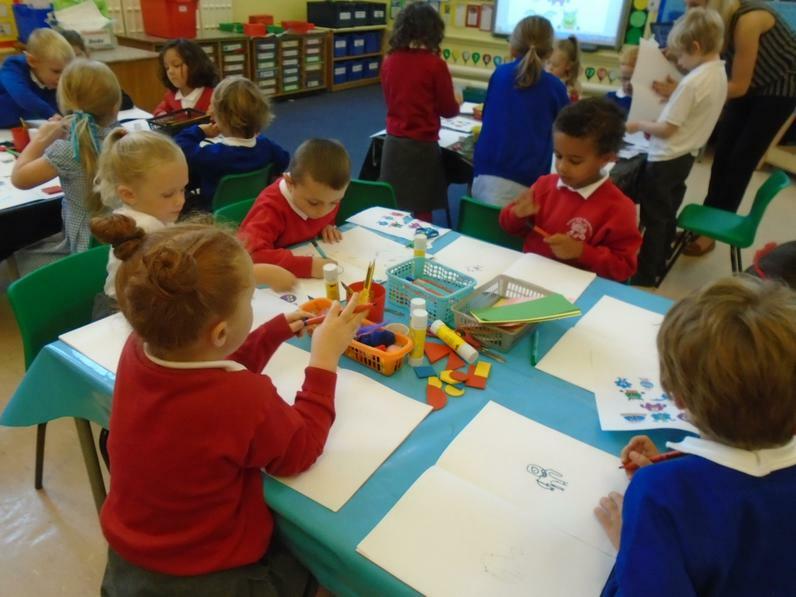 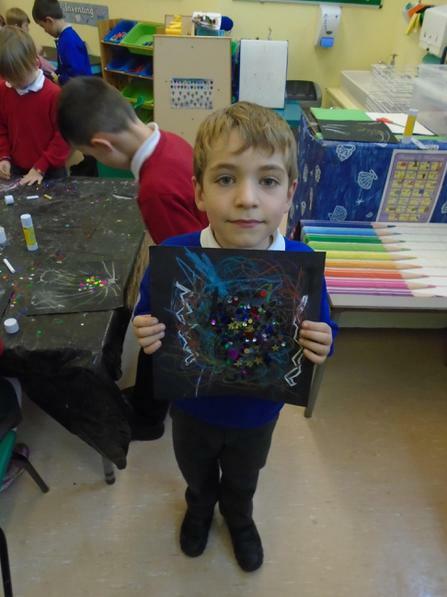 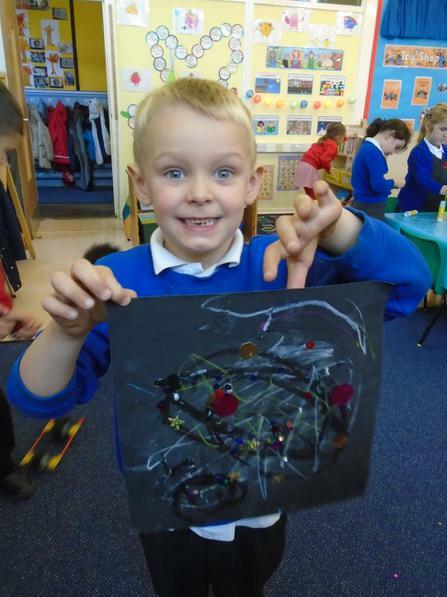 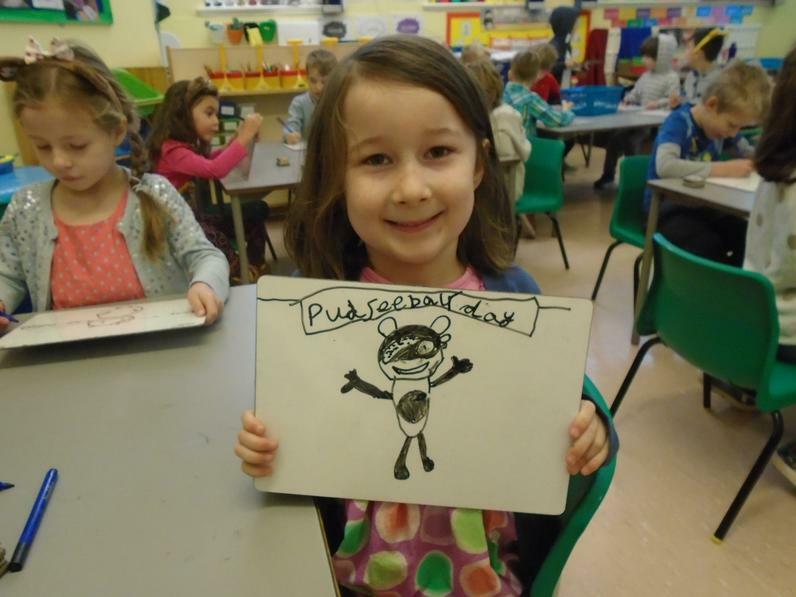 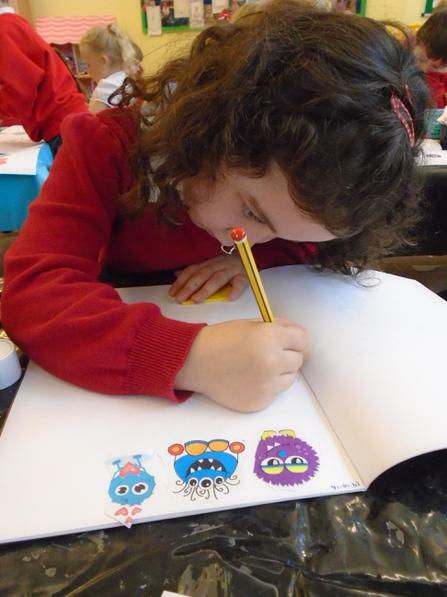 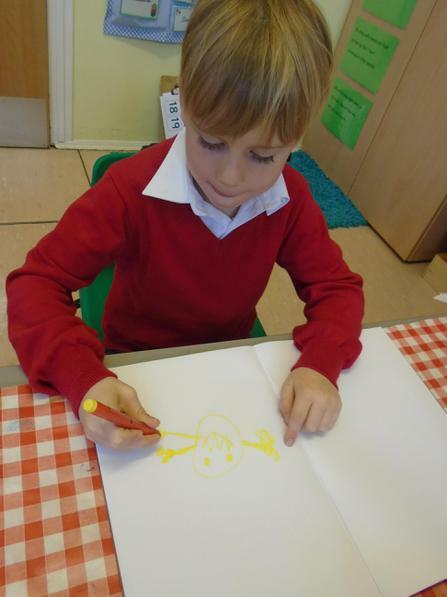 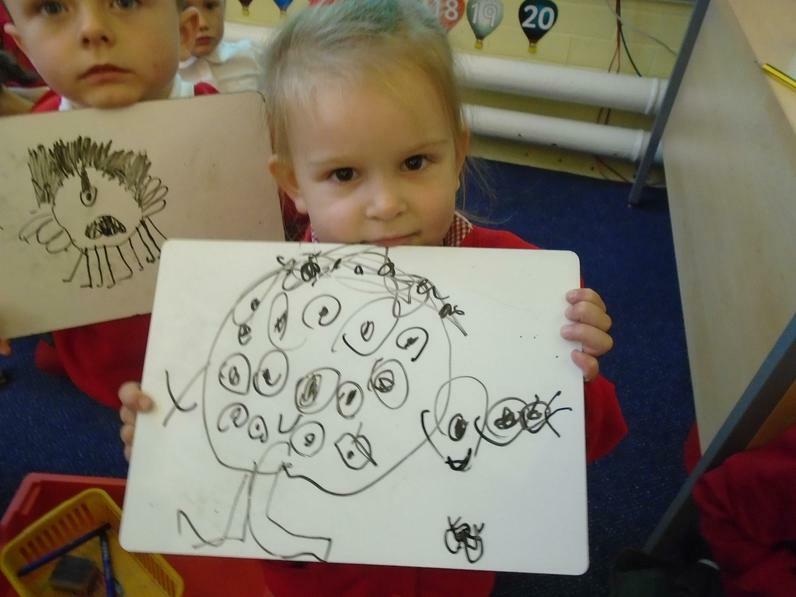 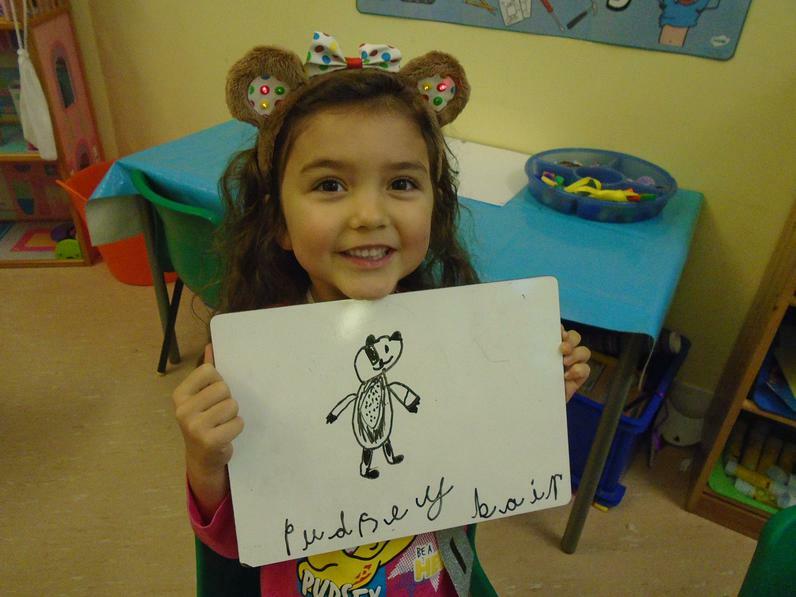 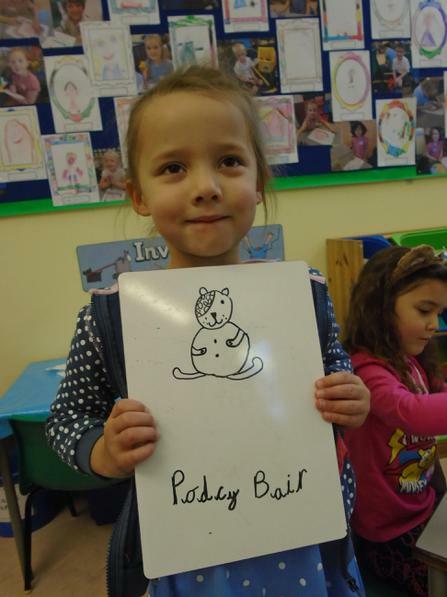 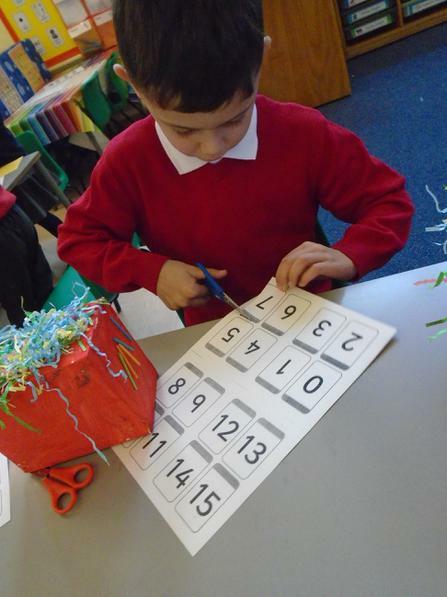 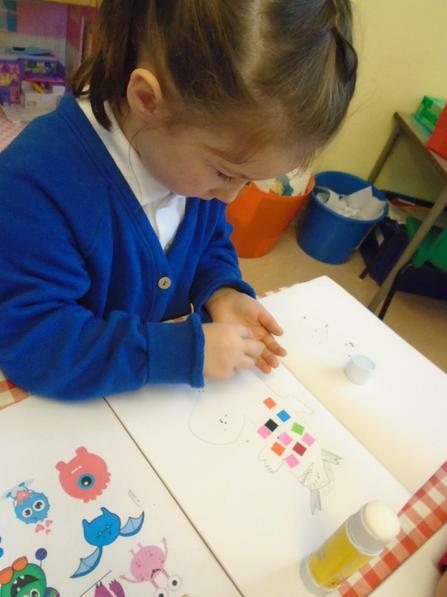 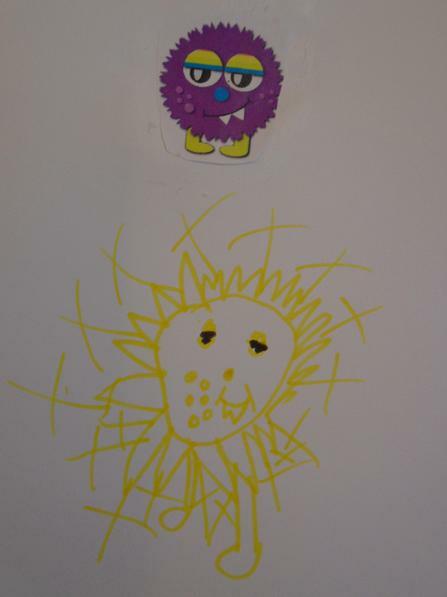 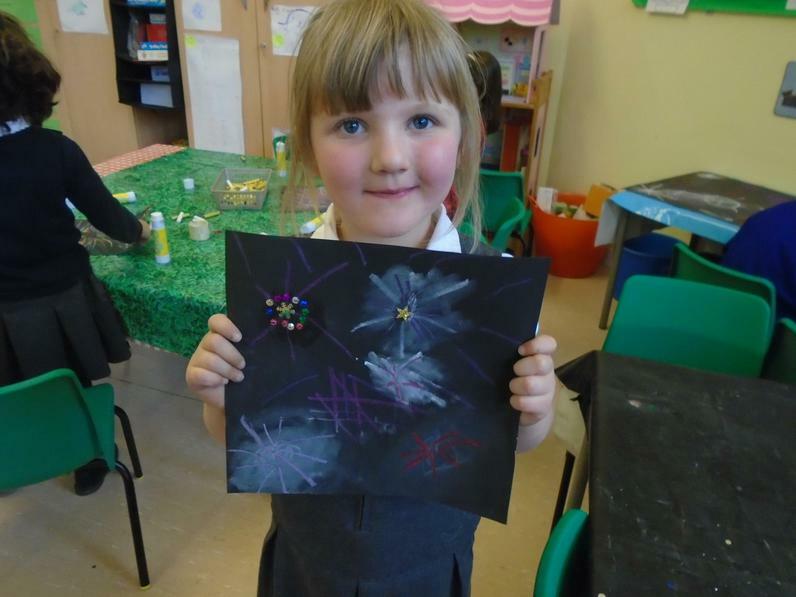 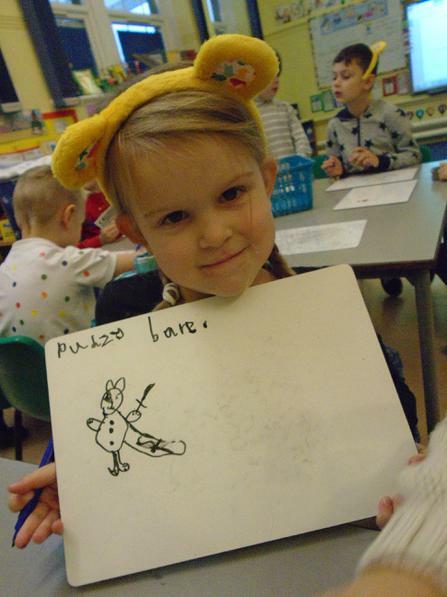 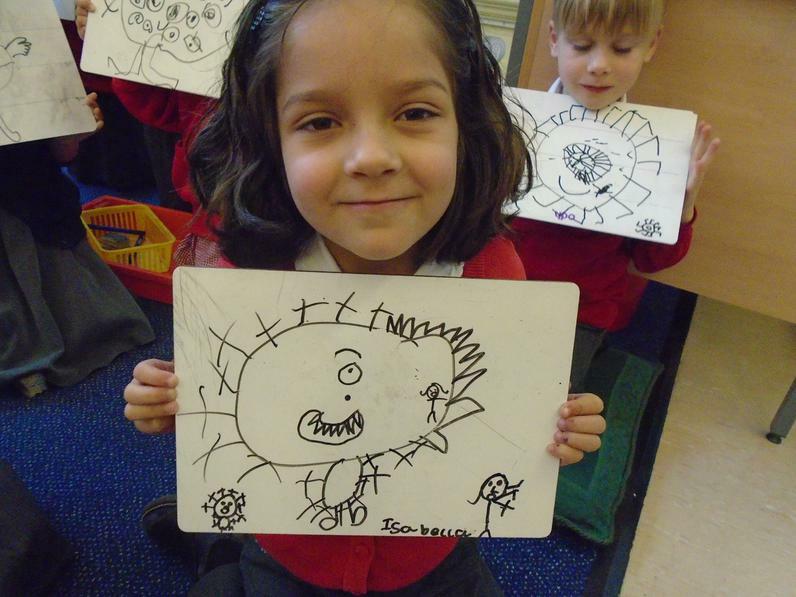 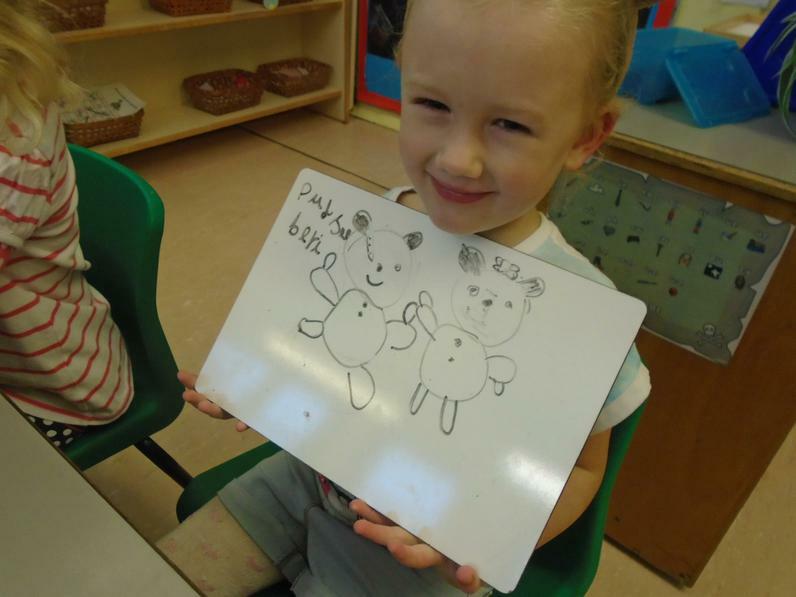 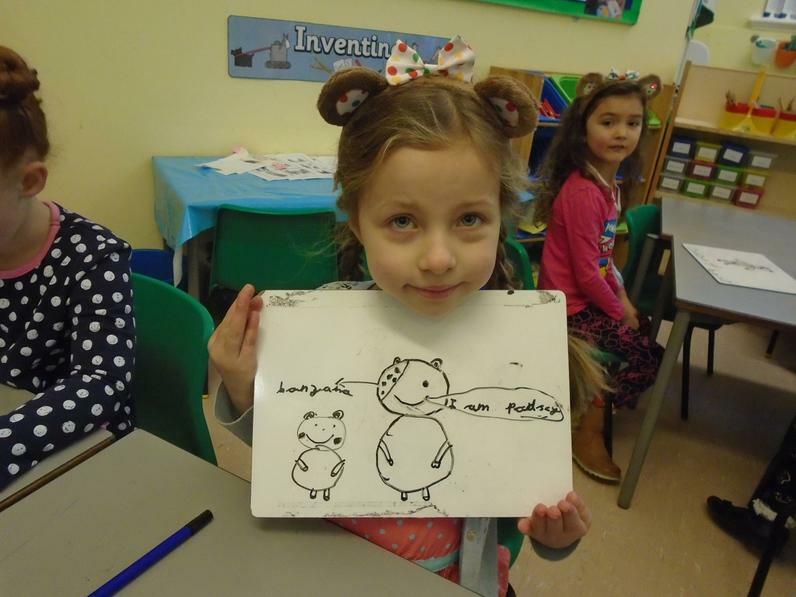 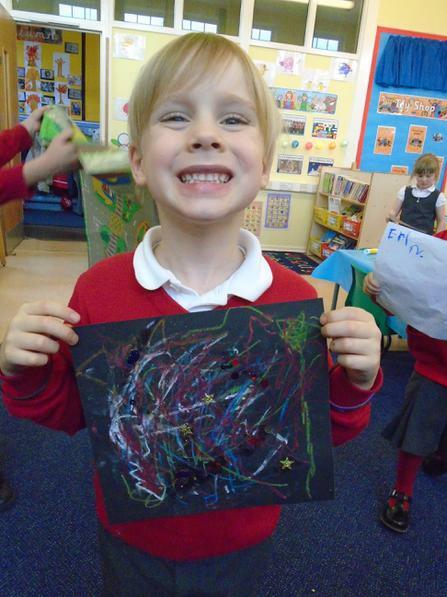 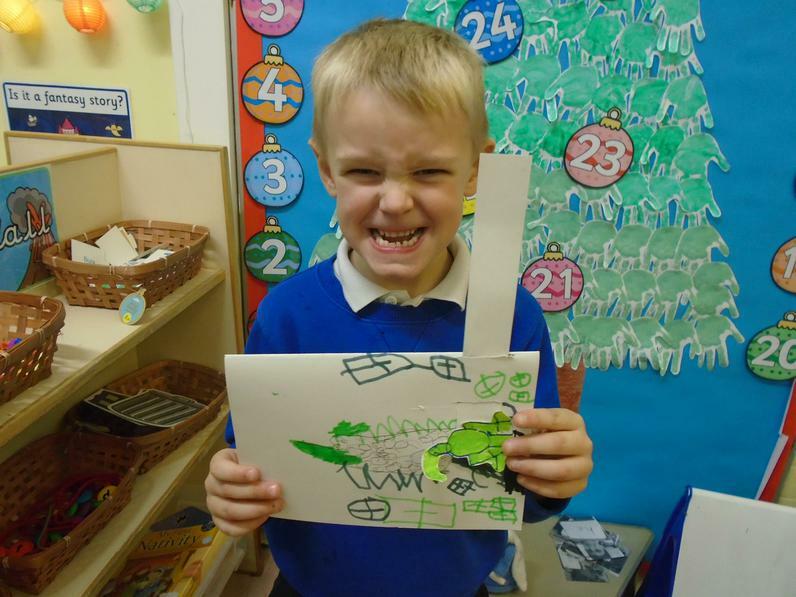 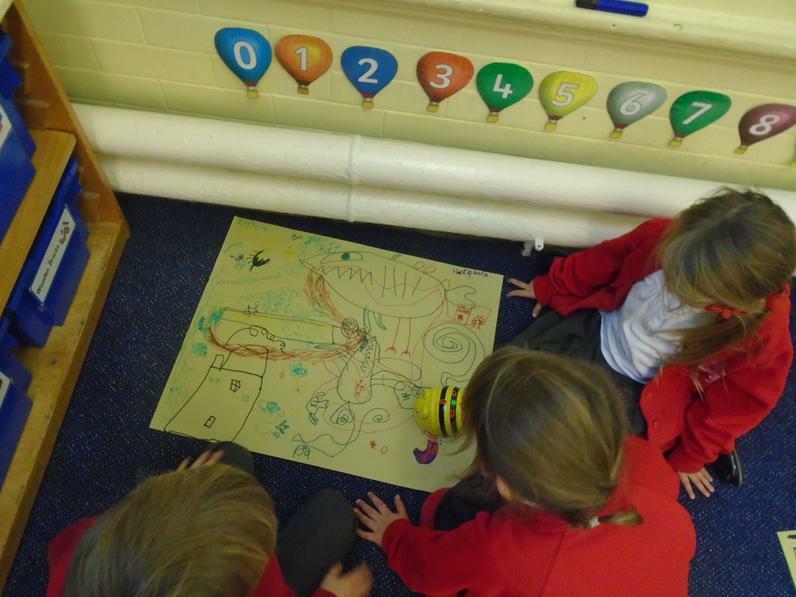 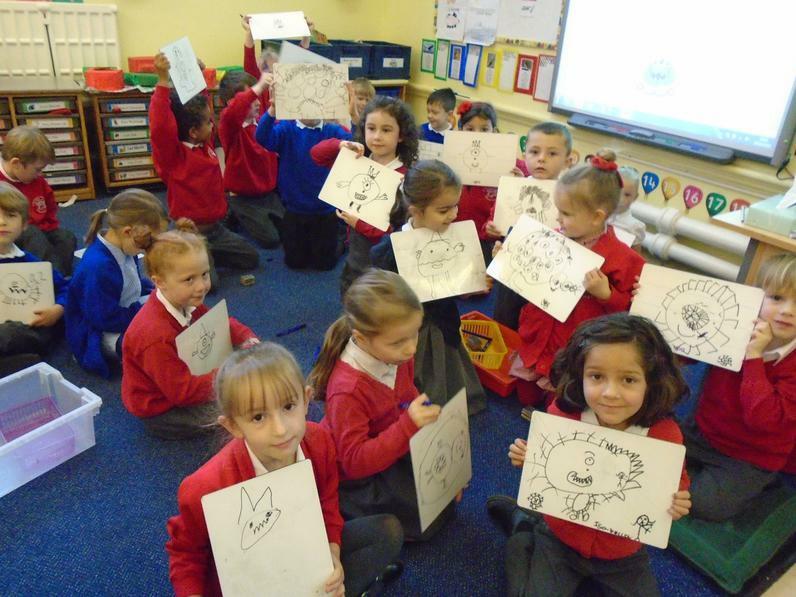 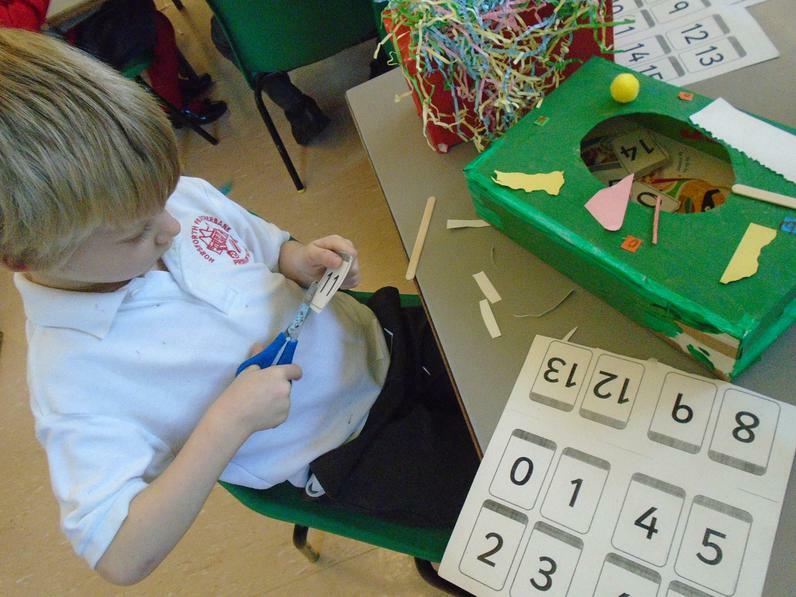 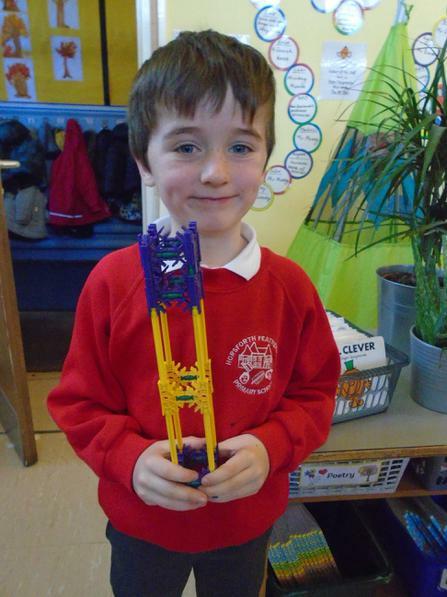 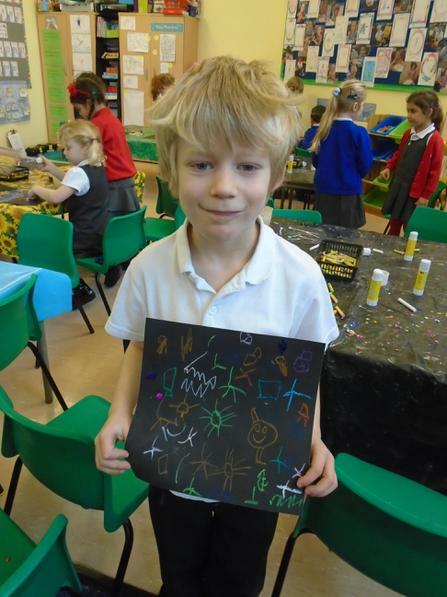 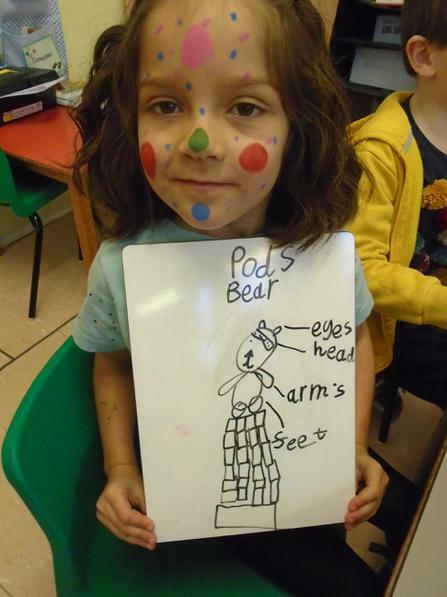 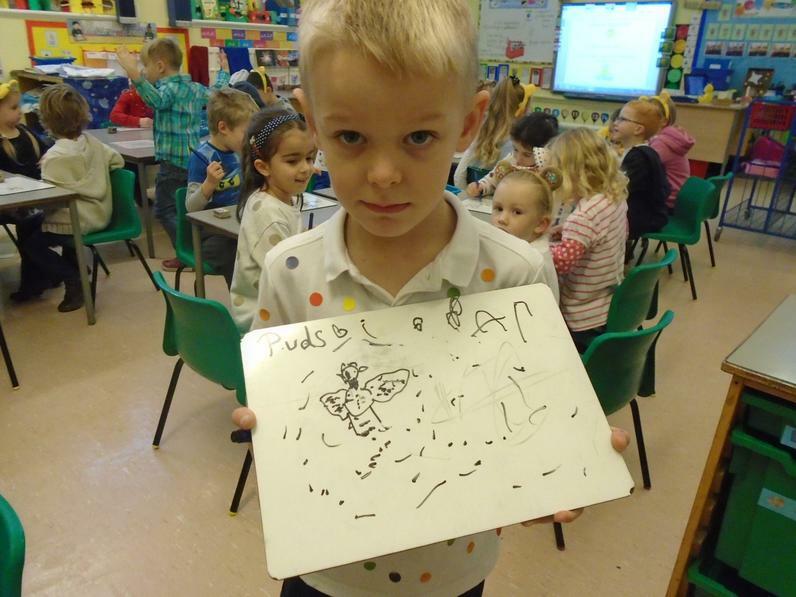 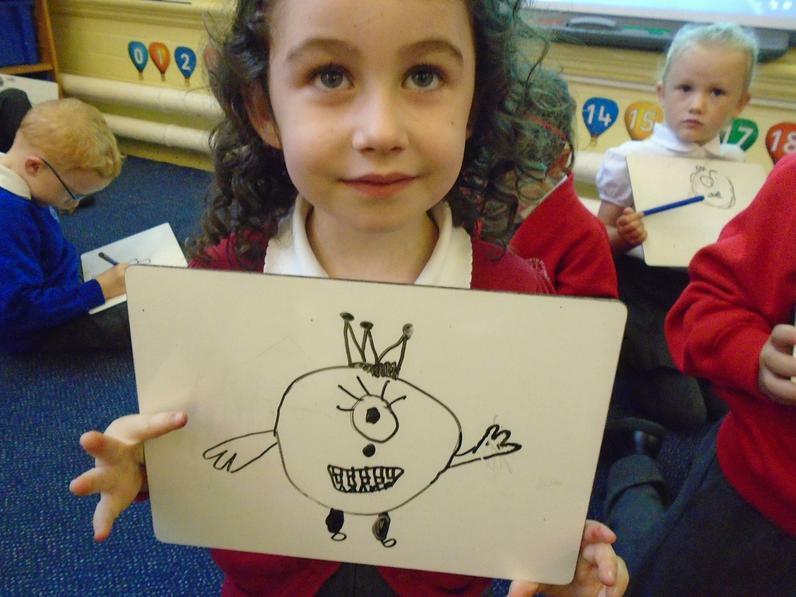 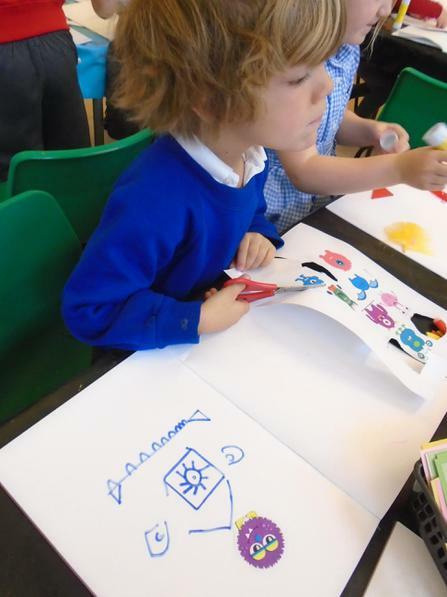 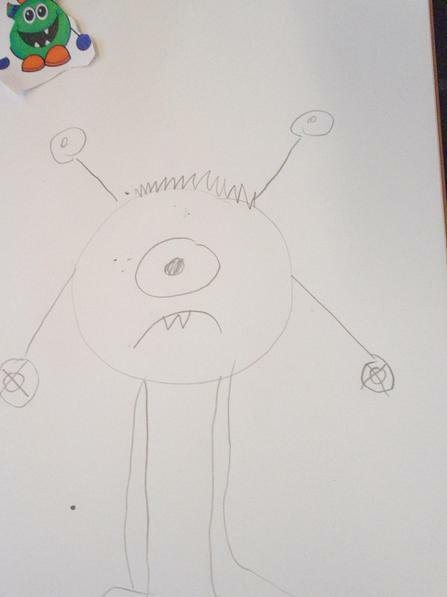 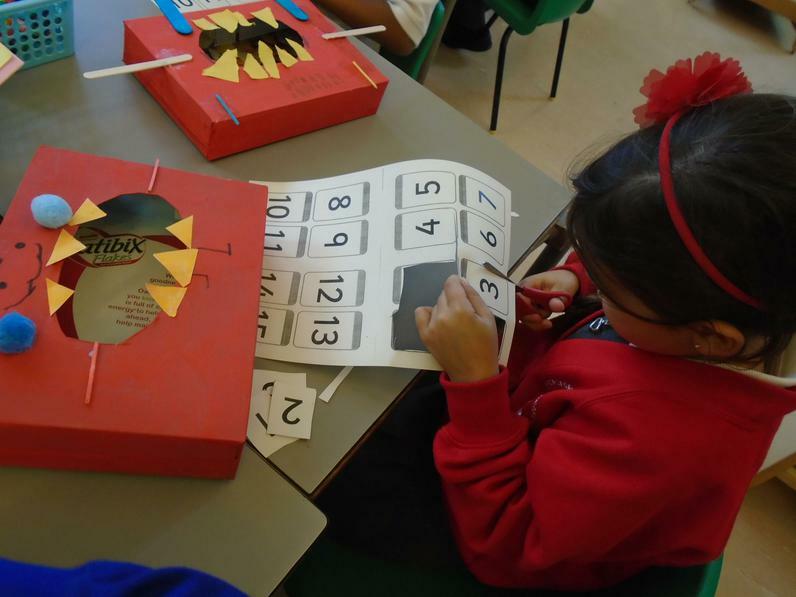 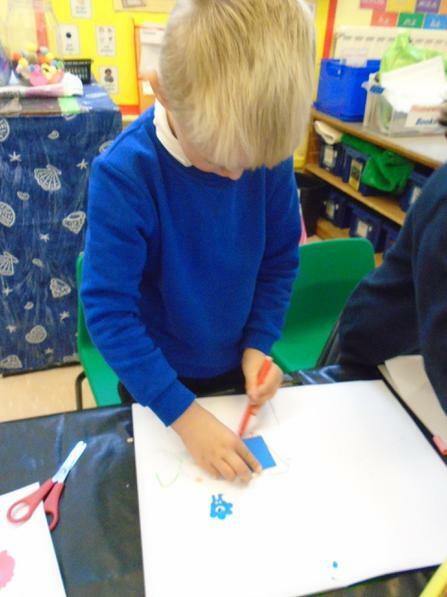 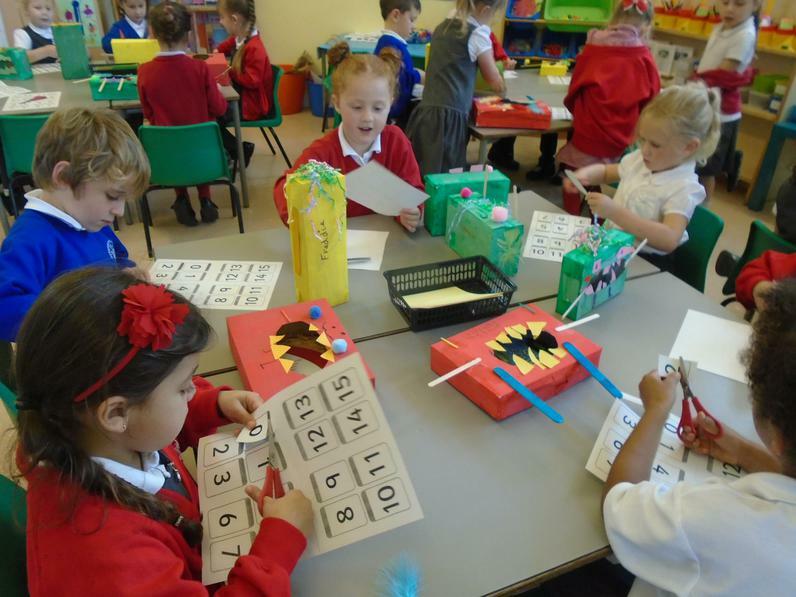 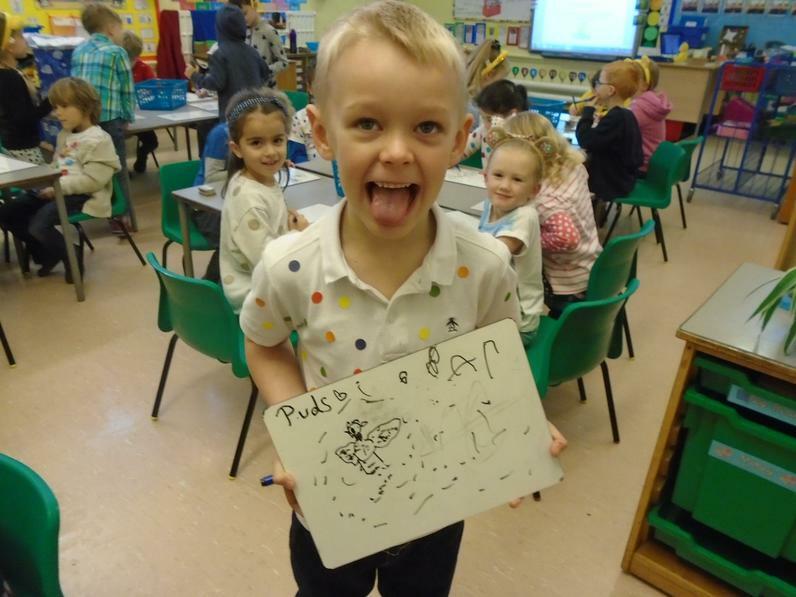 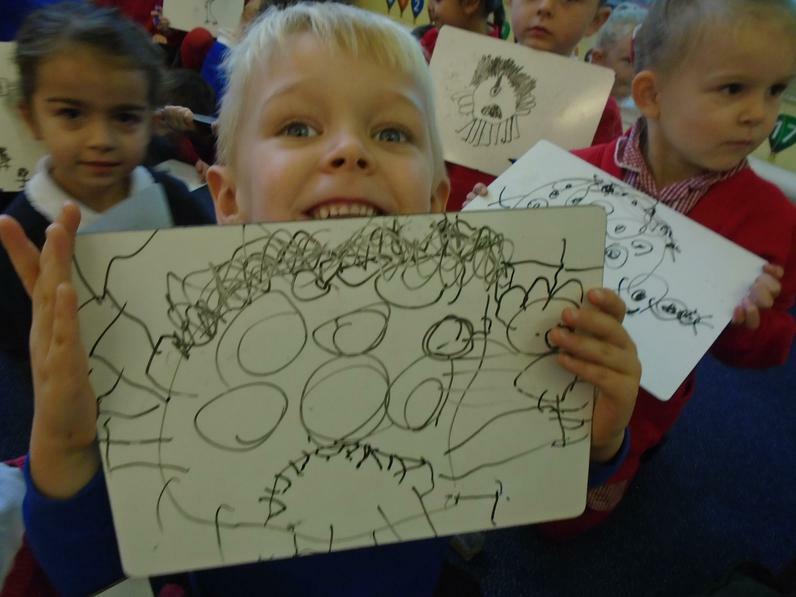 We had great fun on our BIG DRAW day, making Maths Monsters! 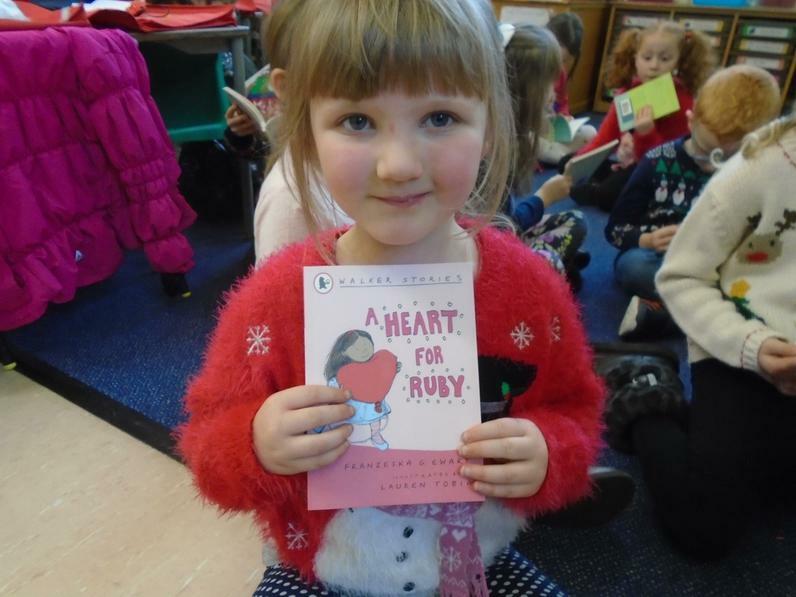 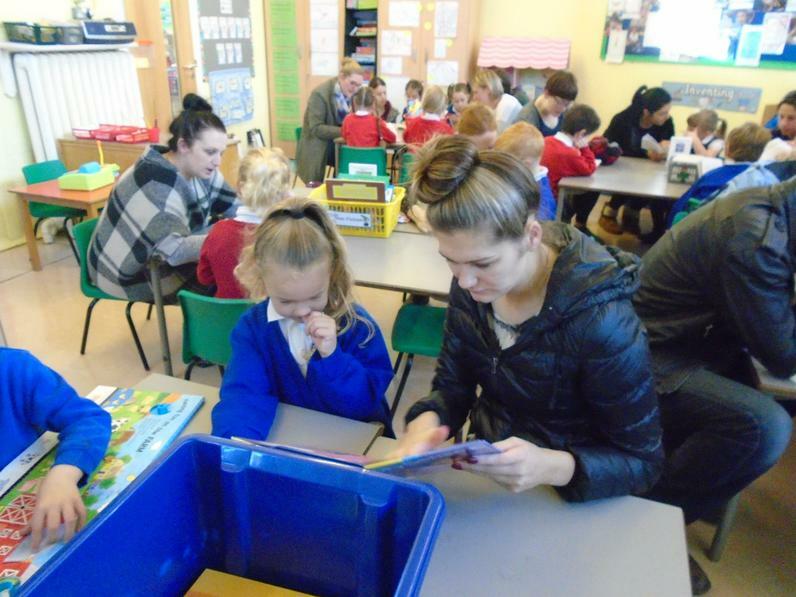 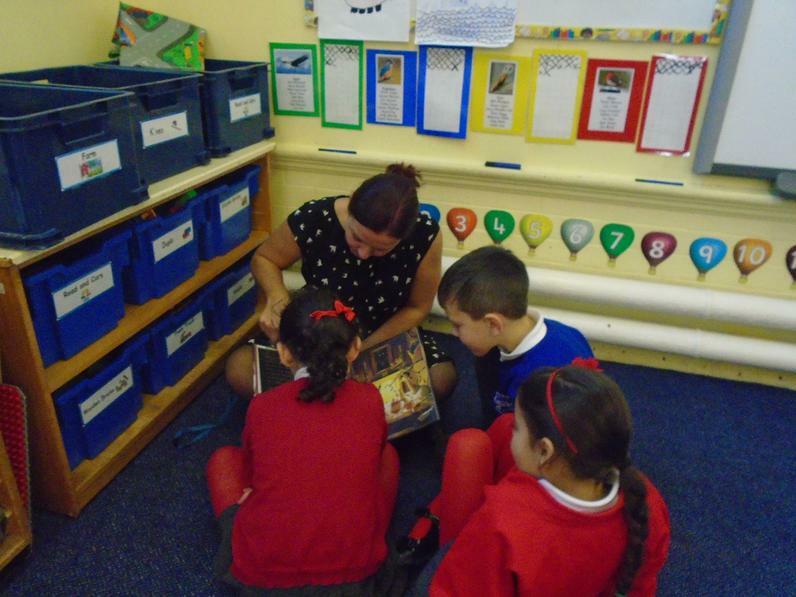 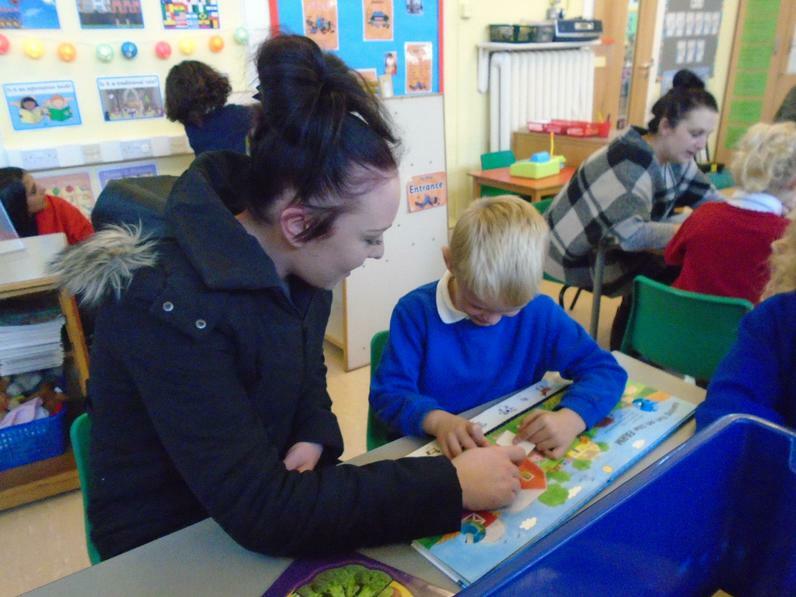 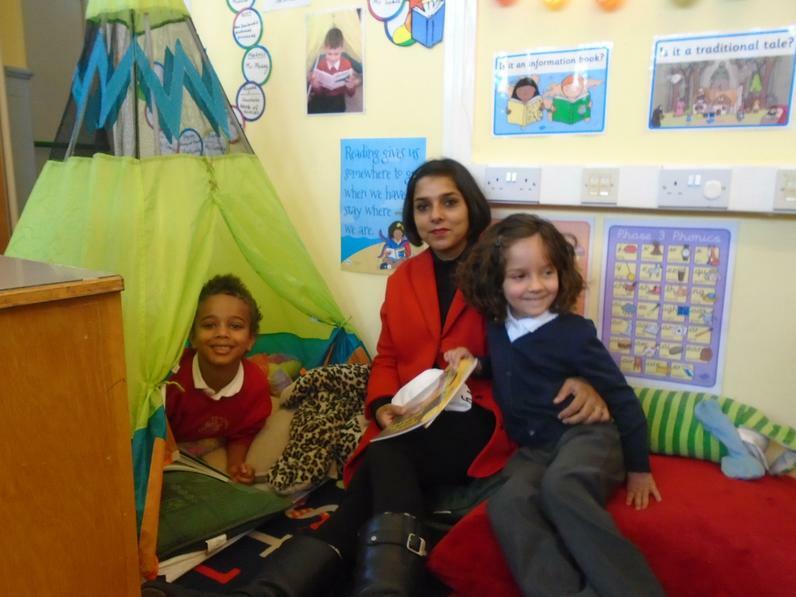 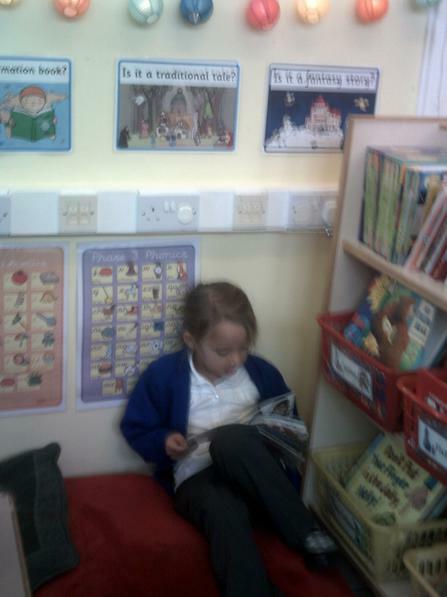 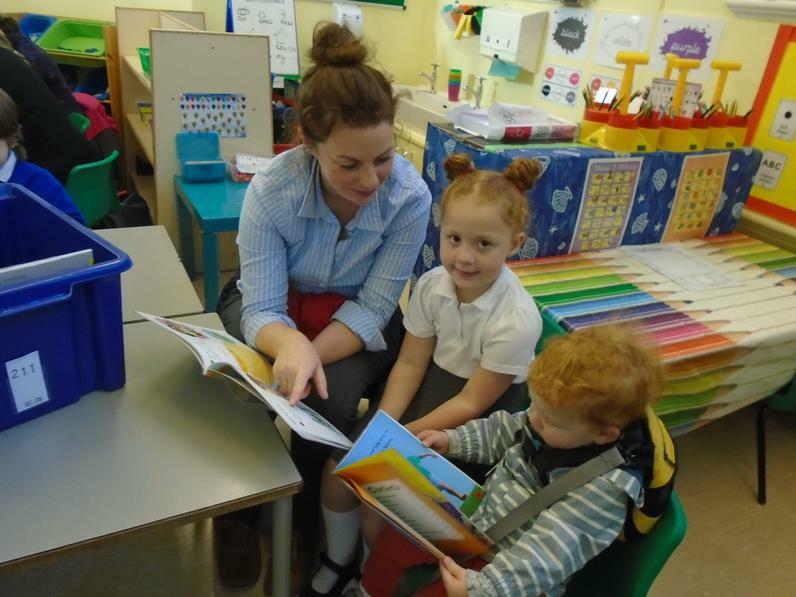 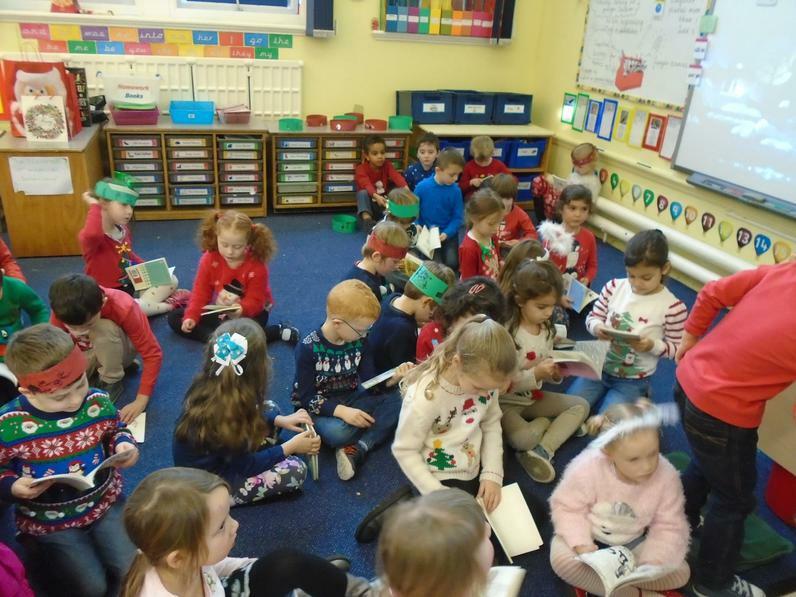 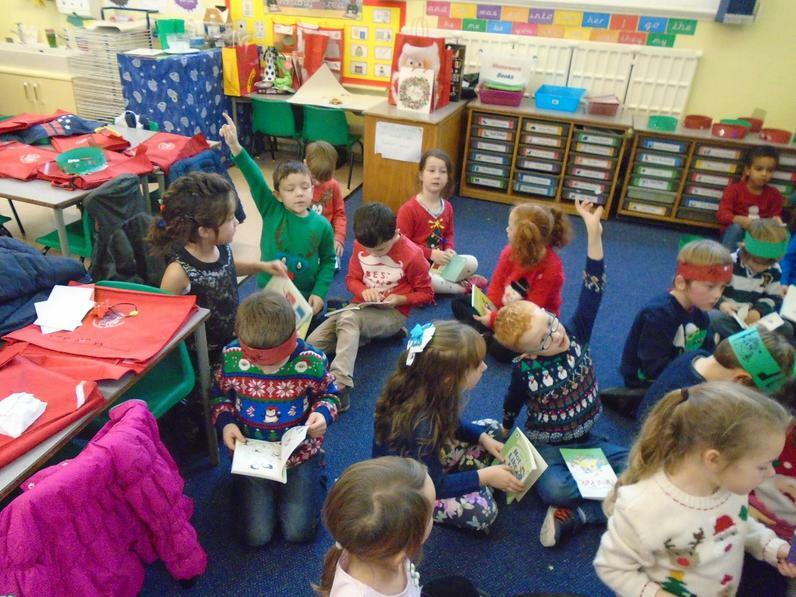 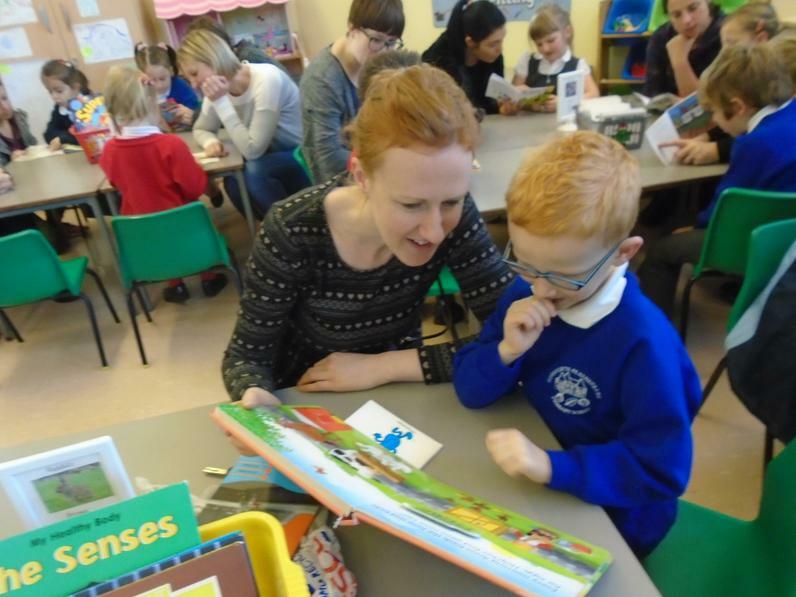 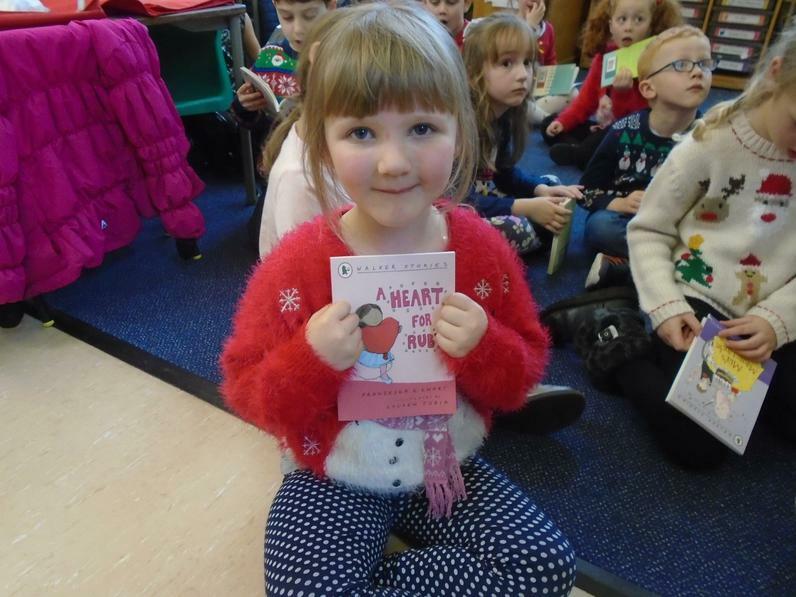 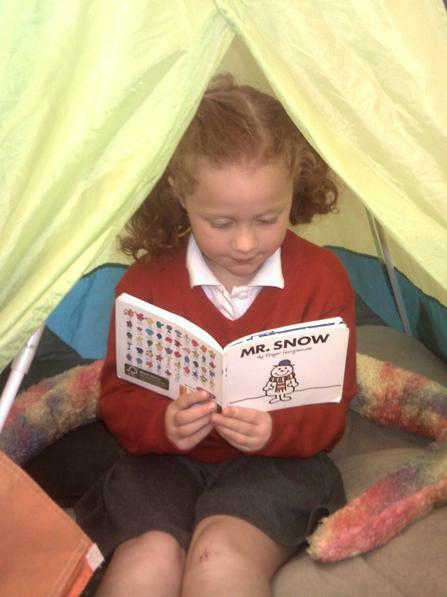 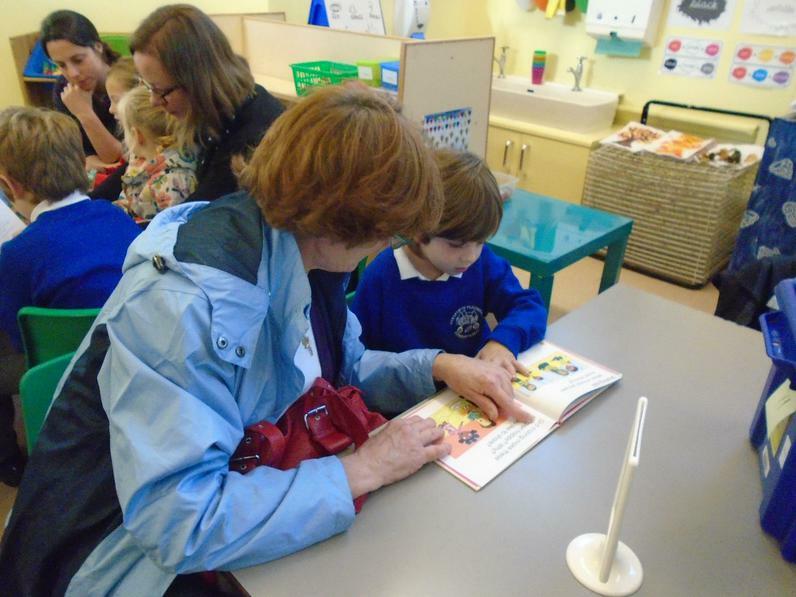 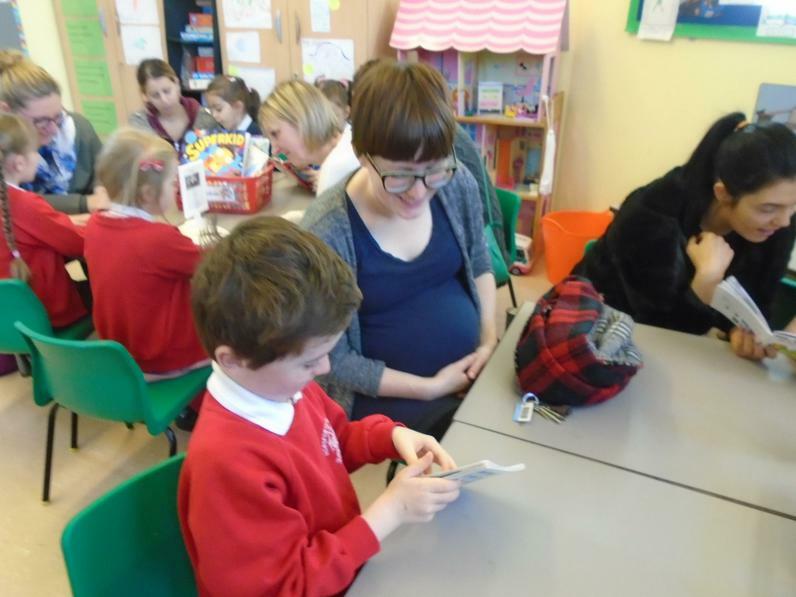 We loved reading with our Mums, Dads and Grandmas. 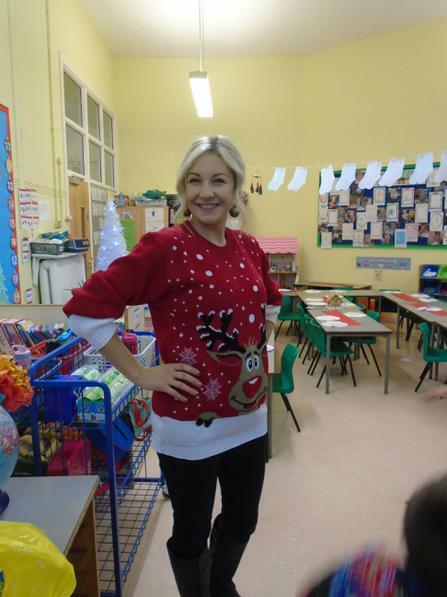 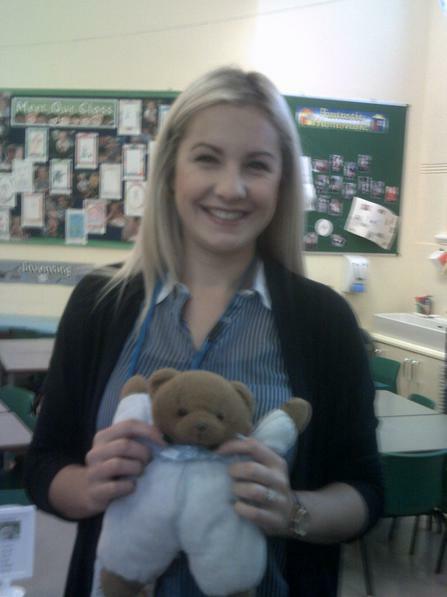 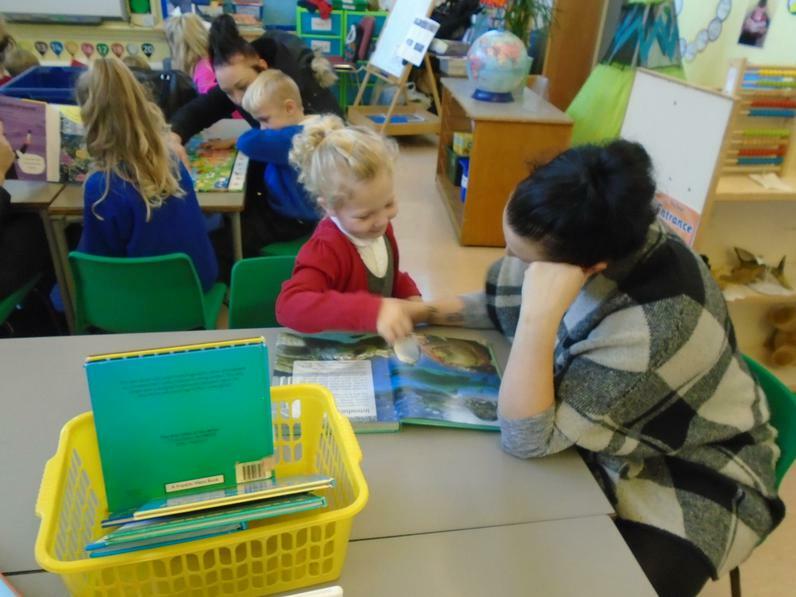 Miss Scudder came and joined us too! 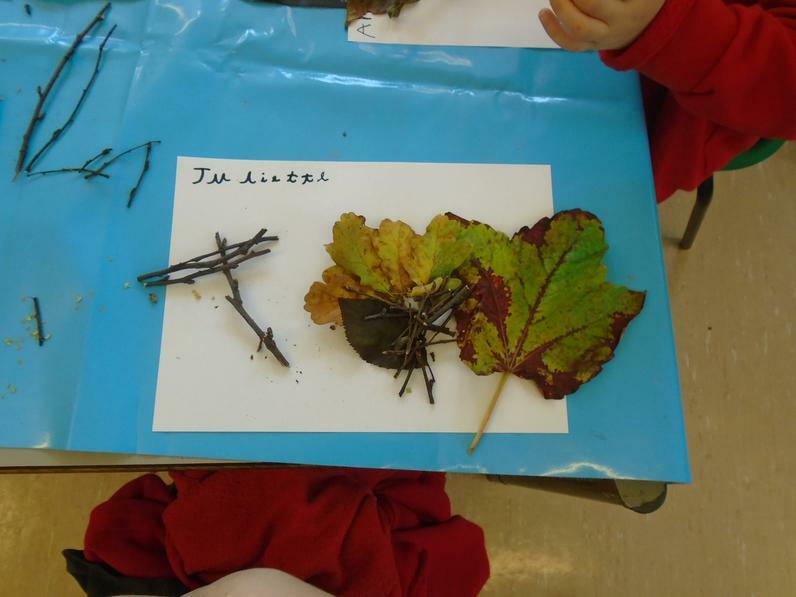 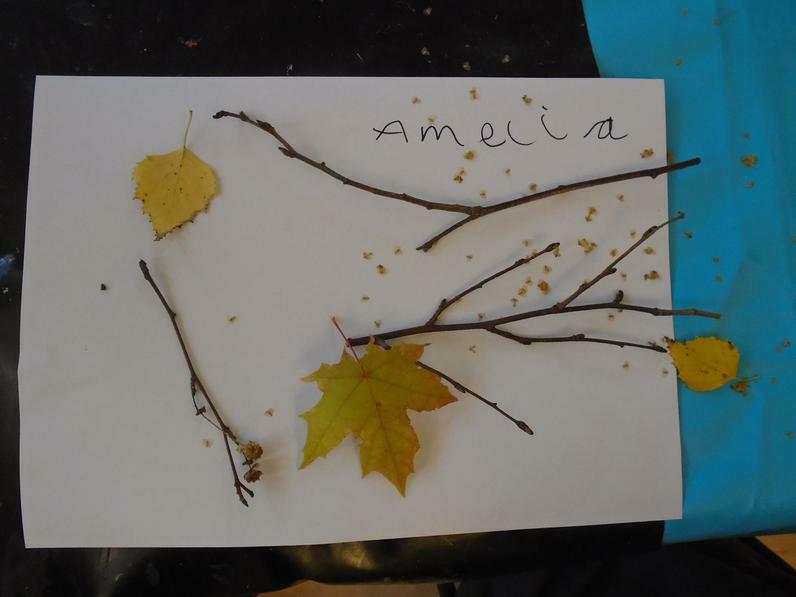 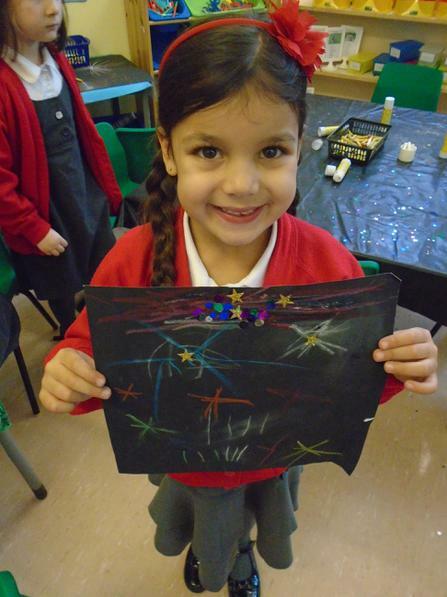 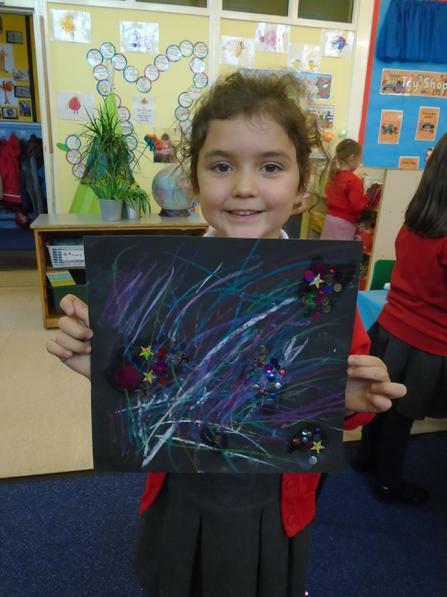 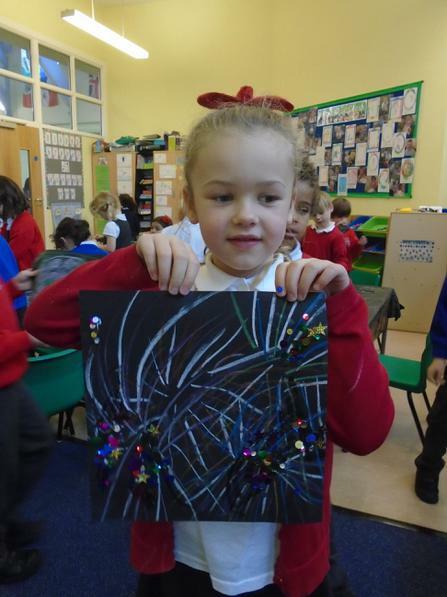 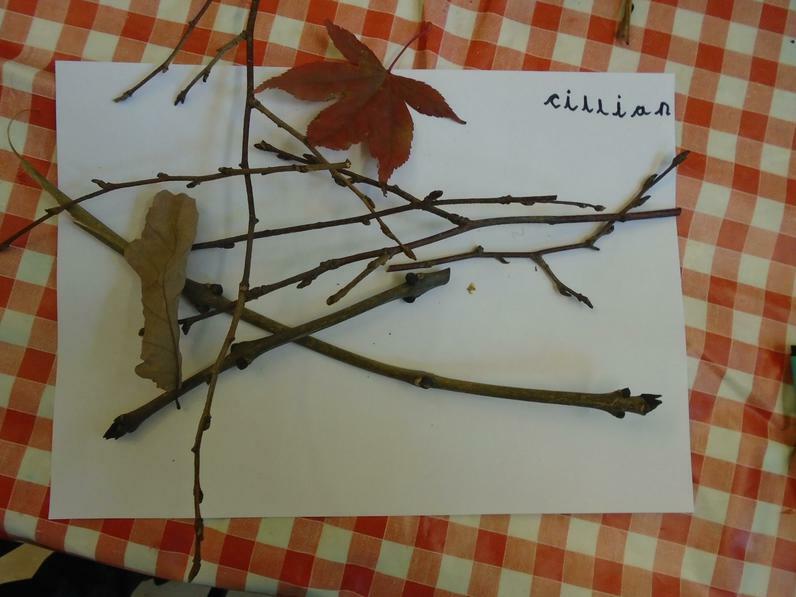 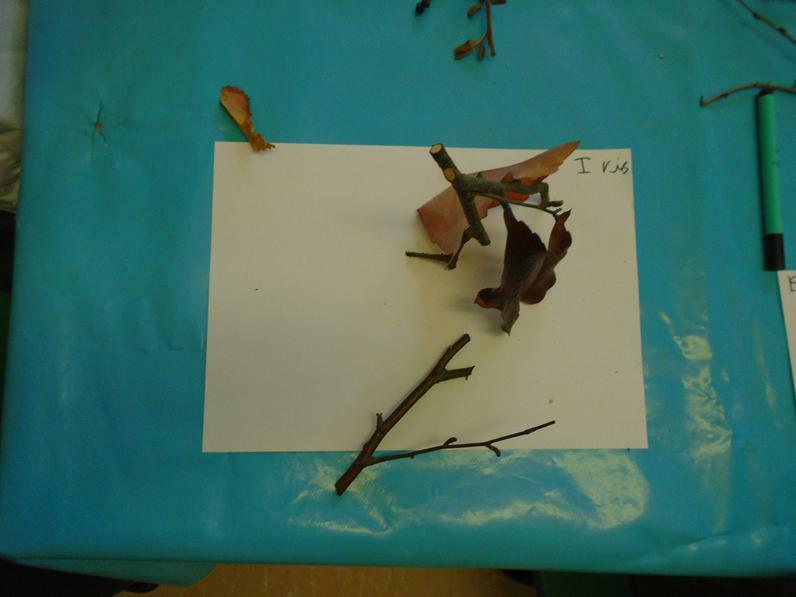 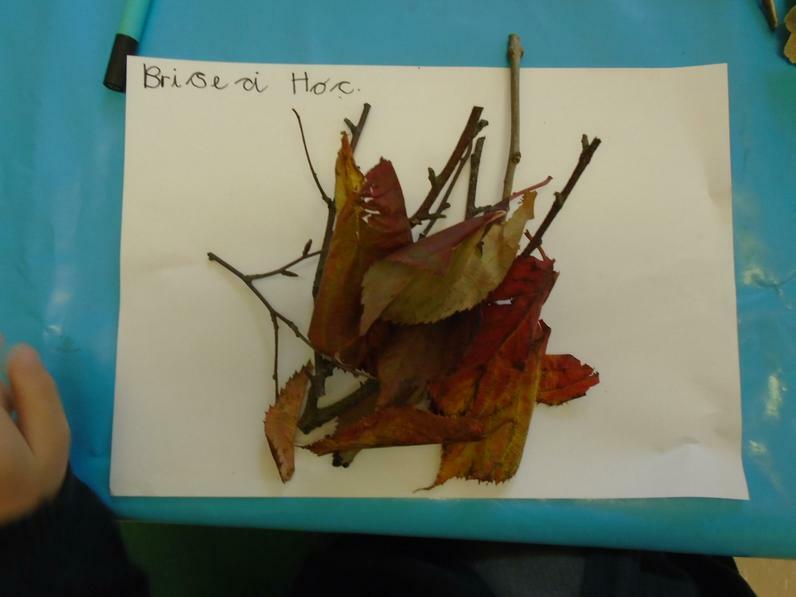 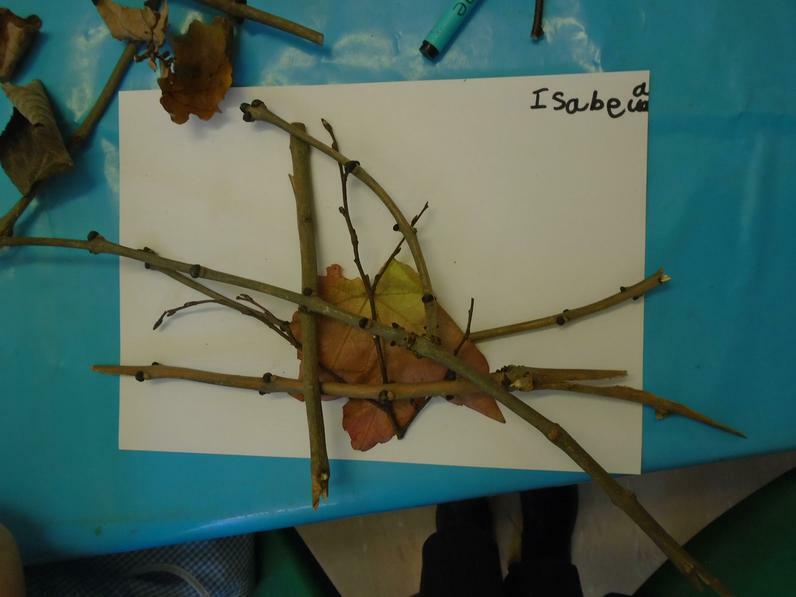 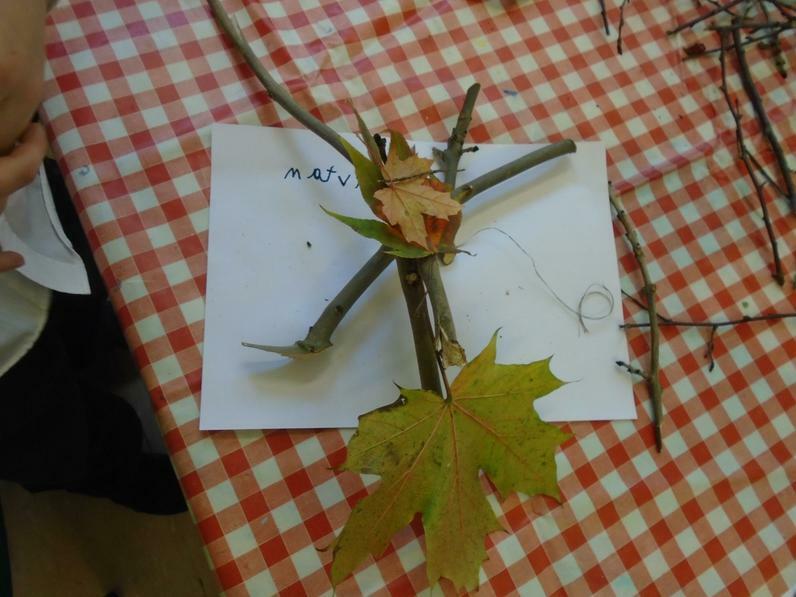 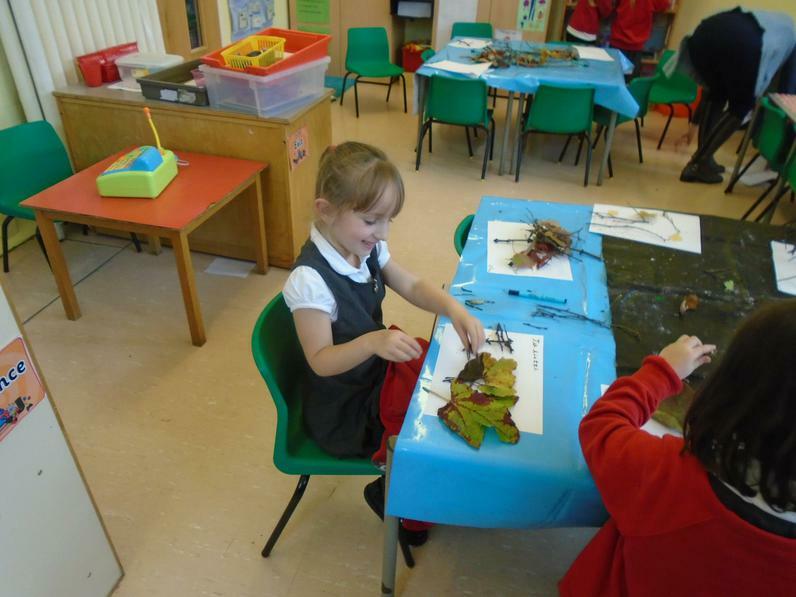 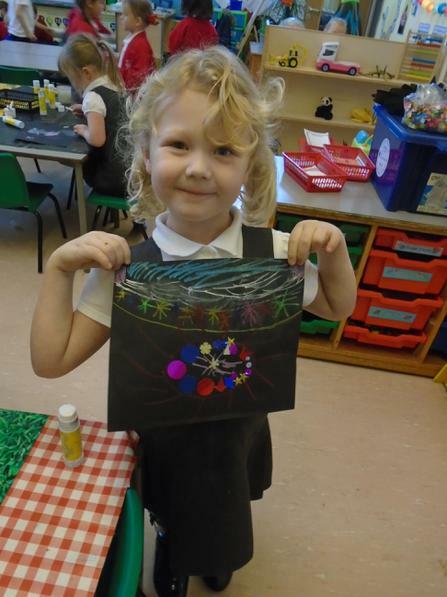 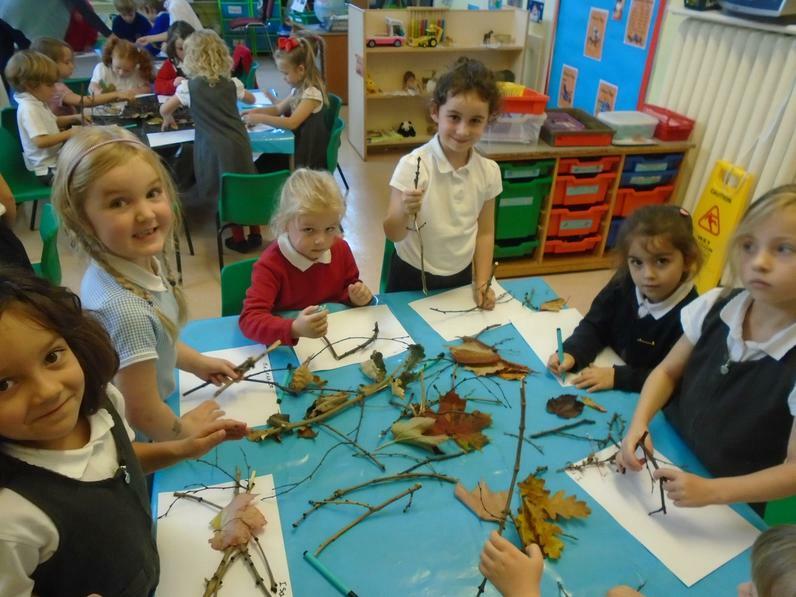 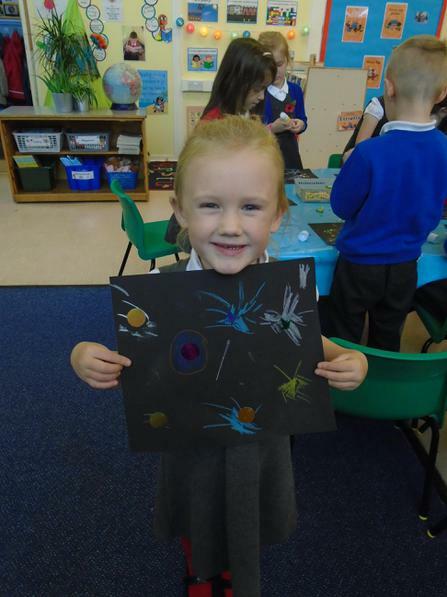 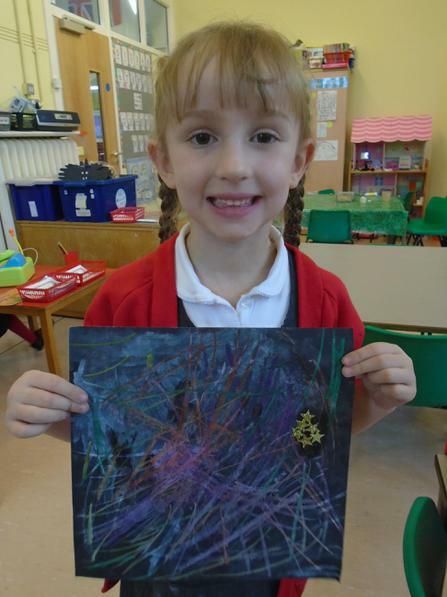 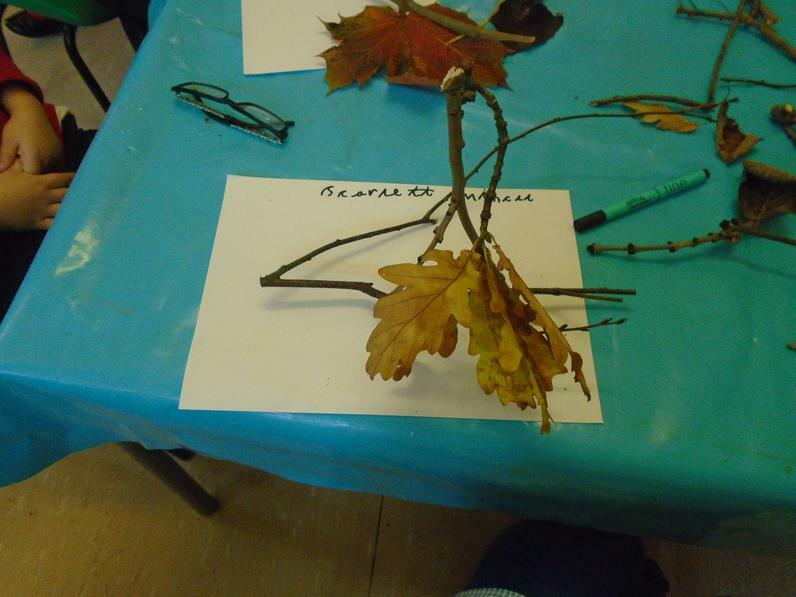 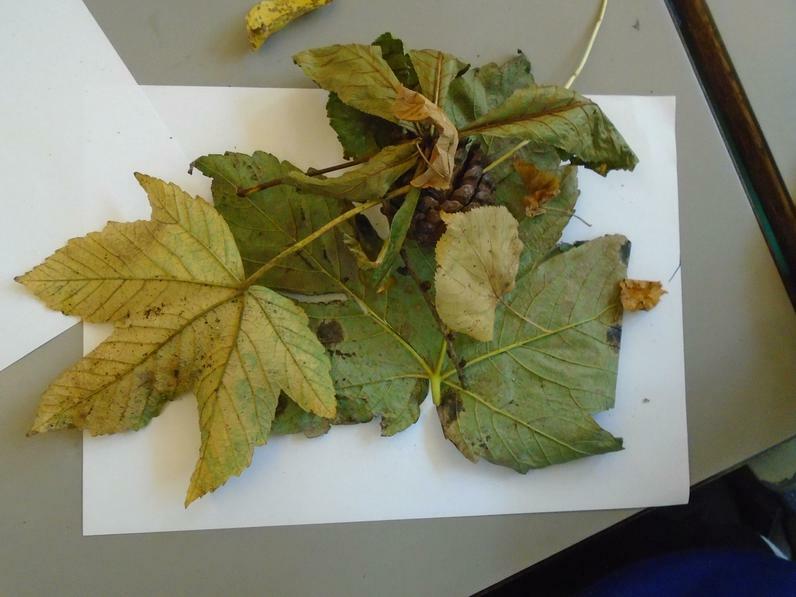 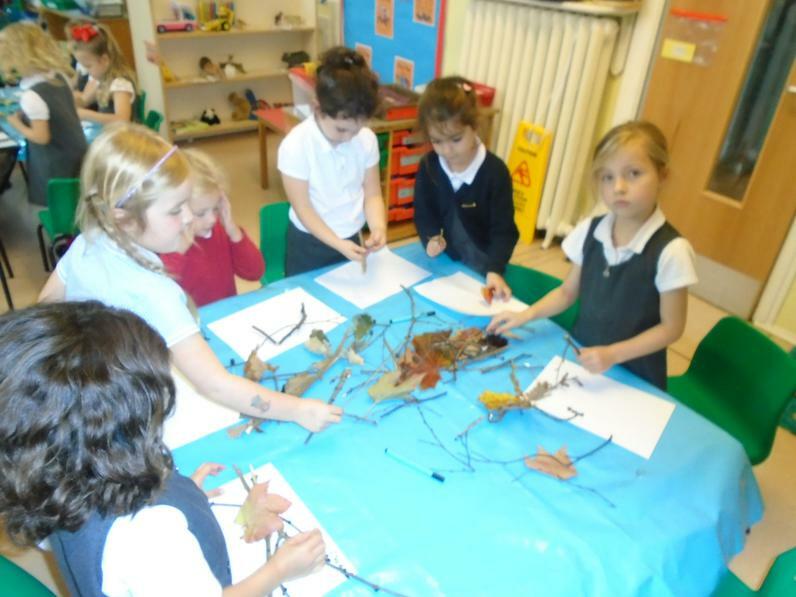 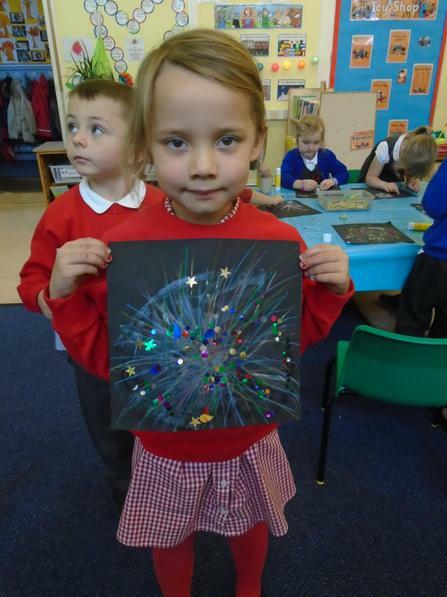 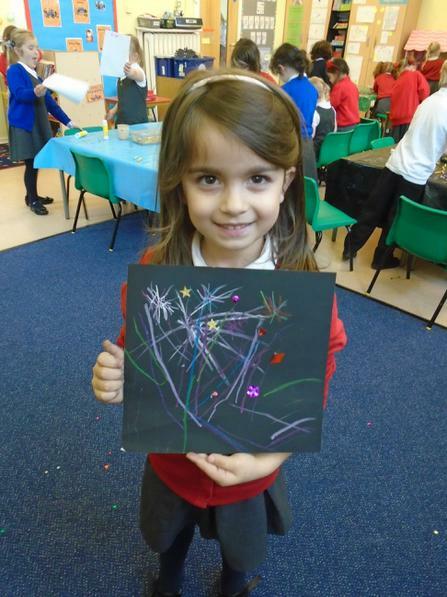 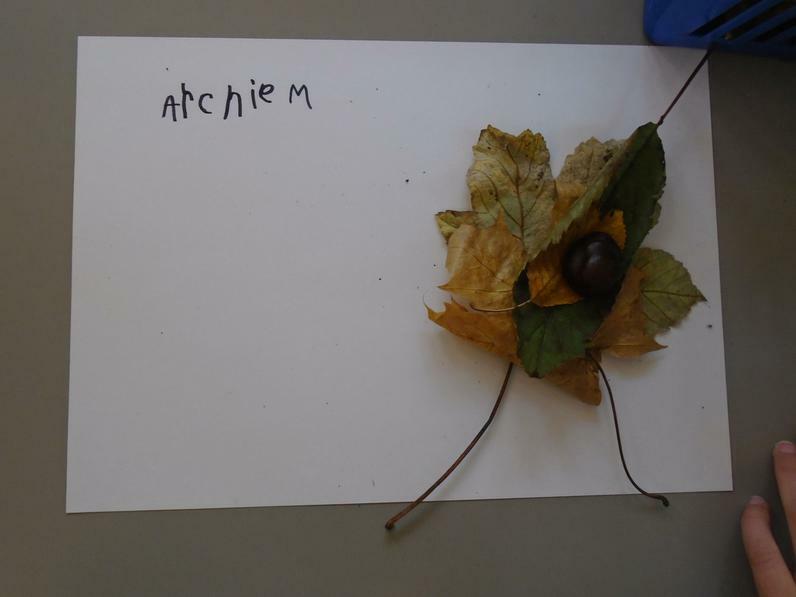 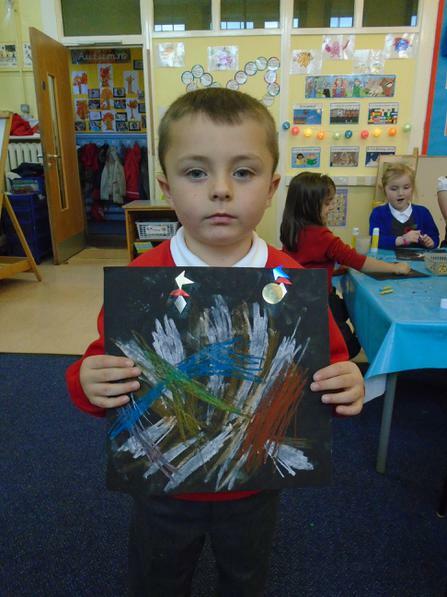 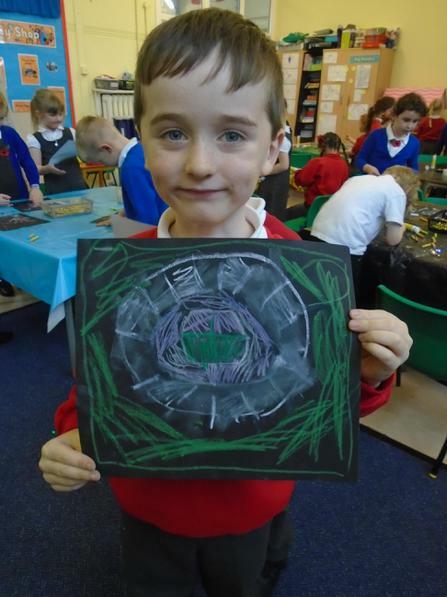 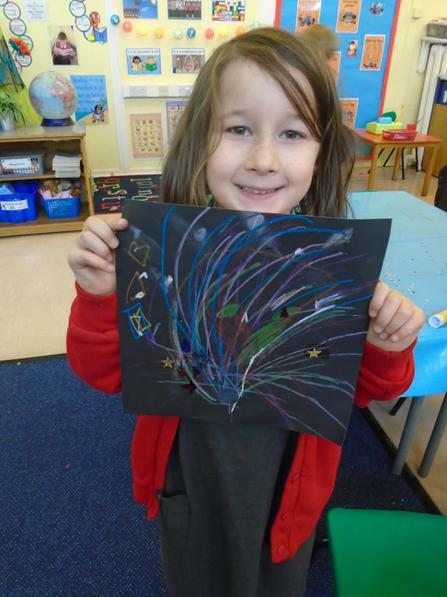 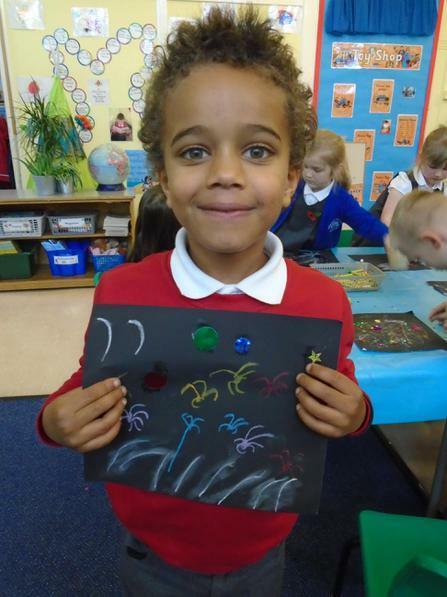 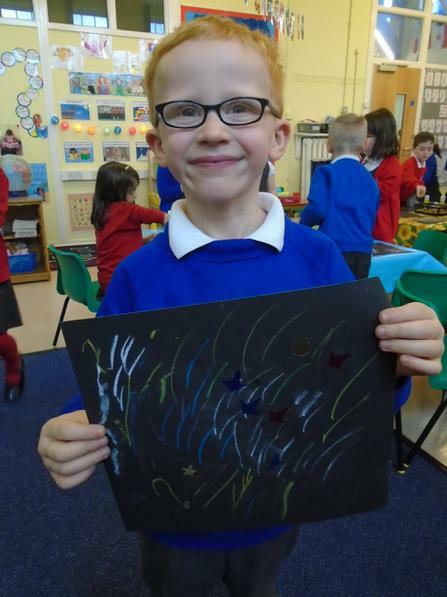 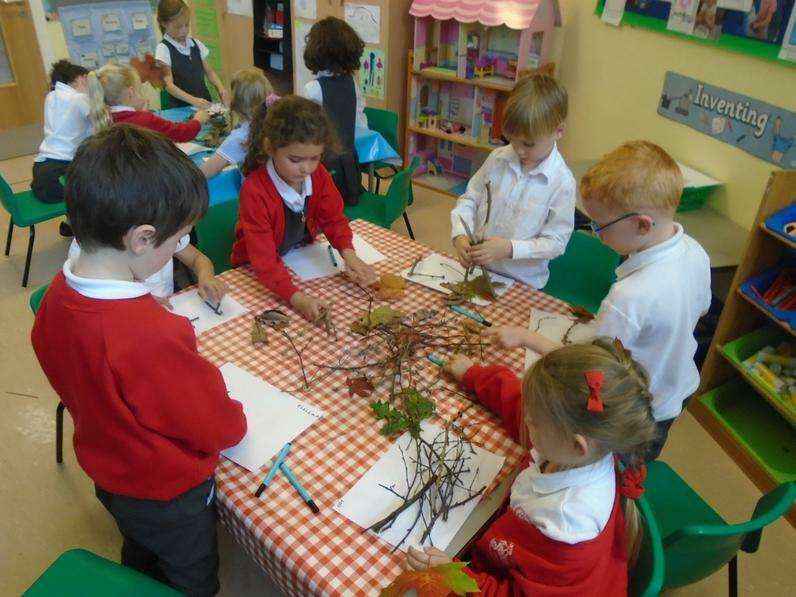 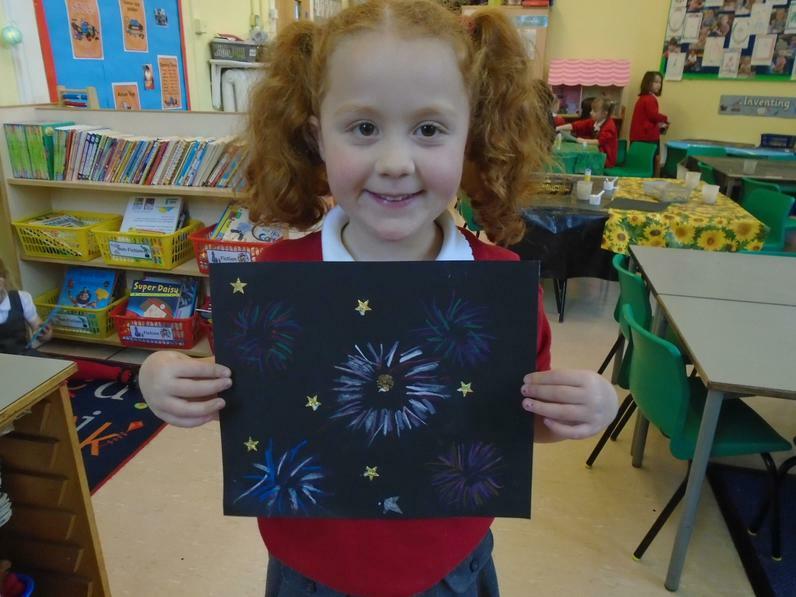 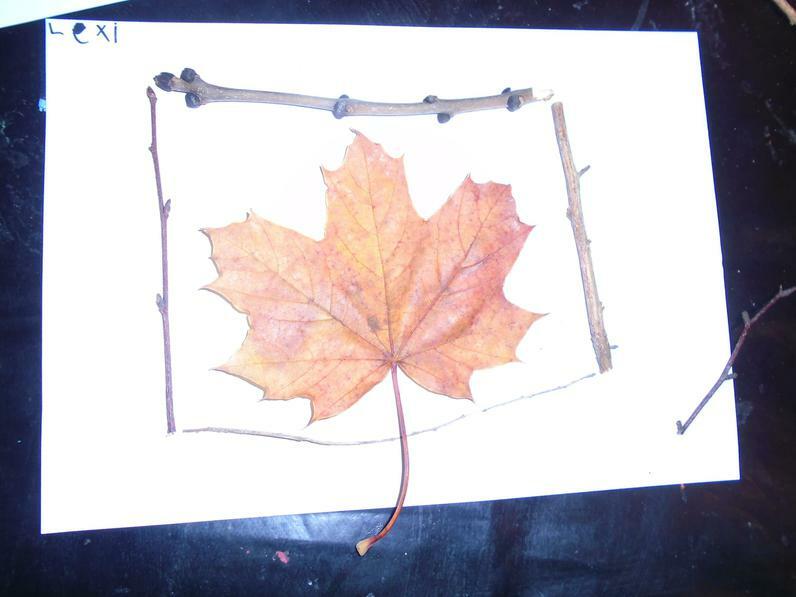 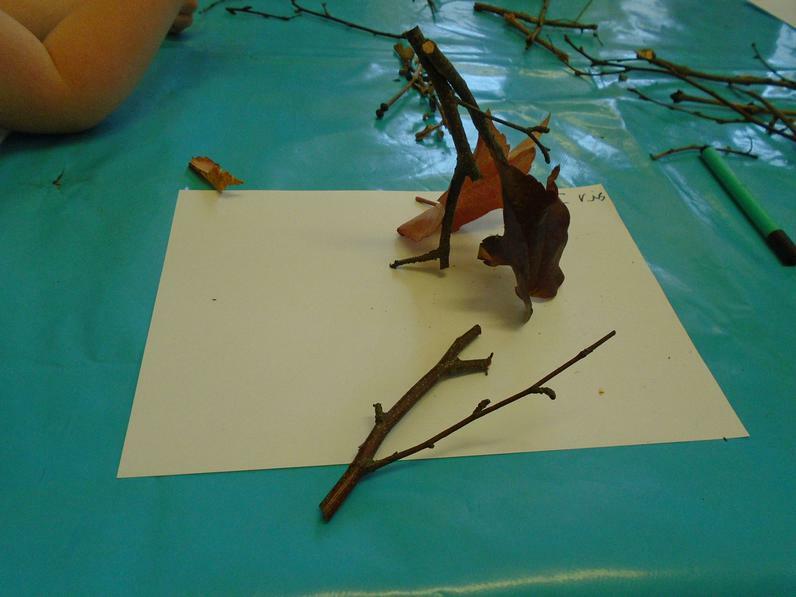 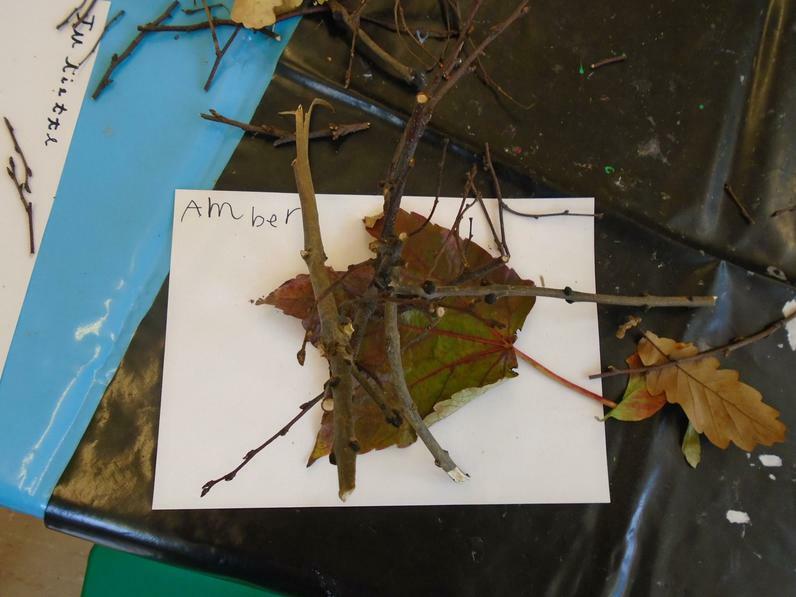 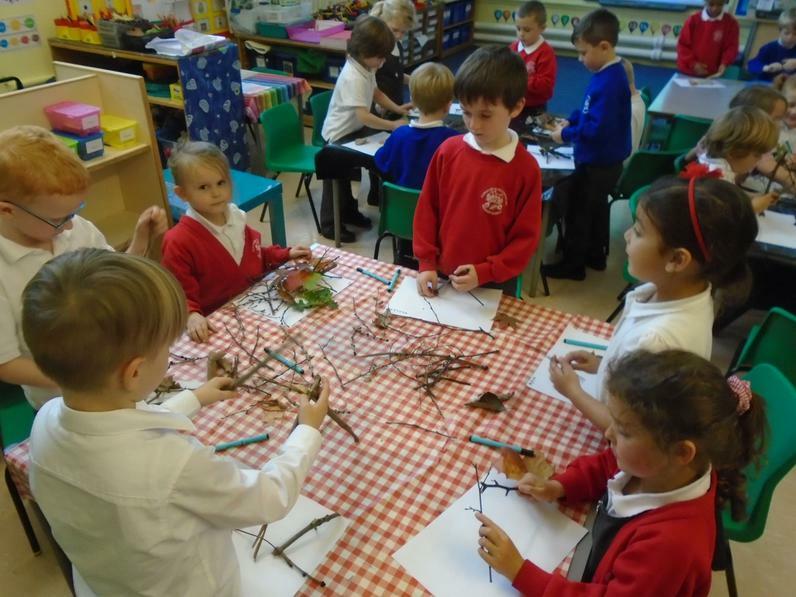 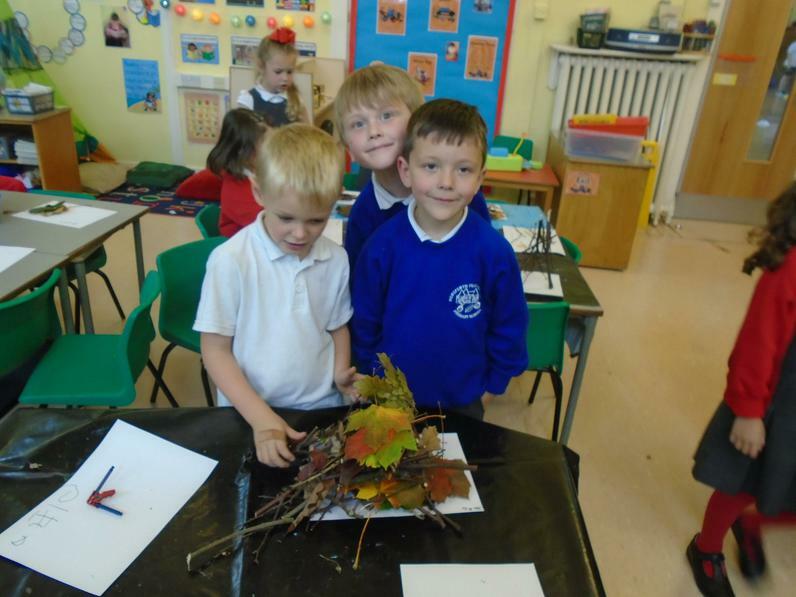 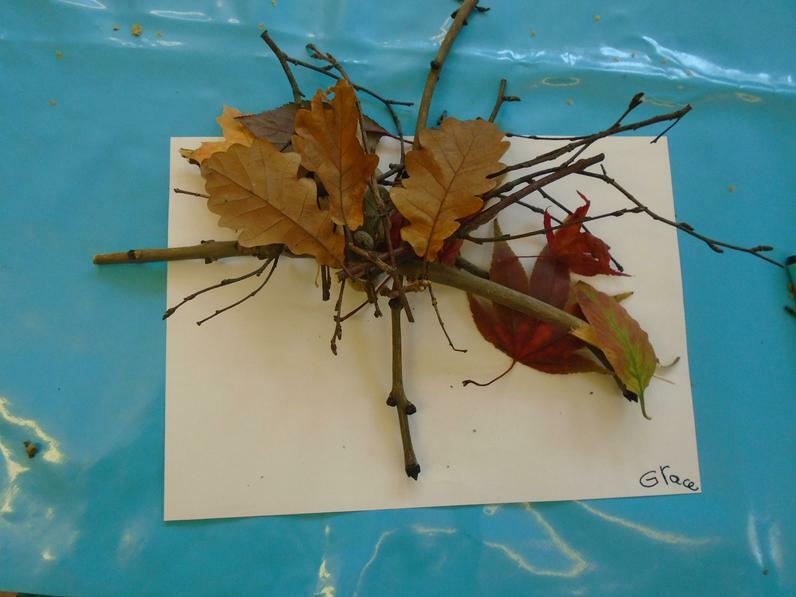 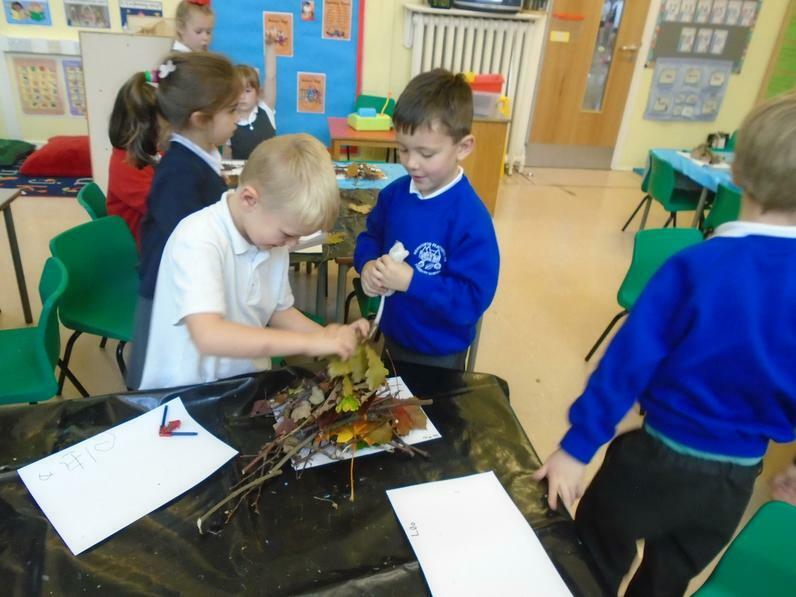 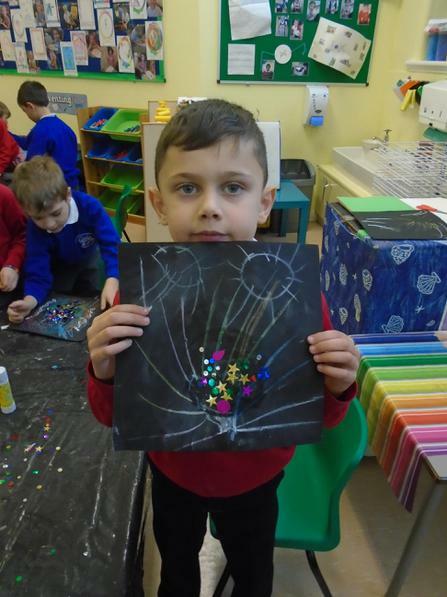 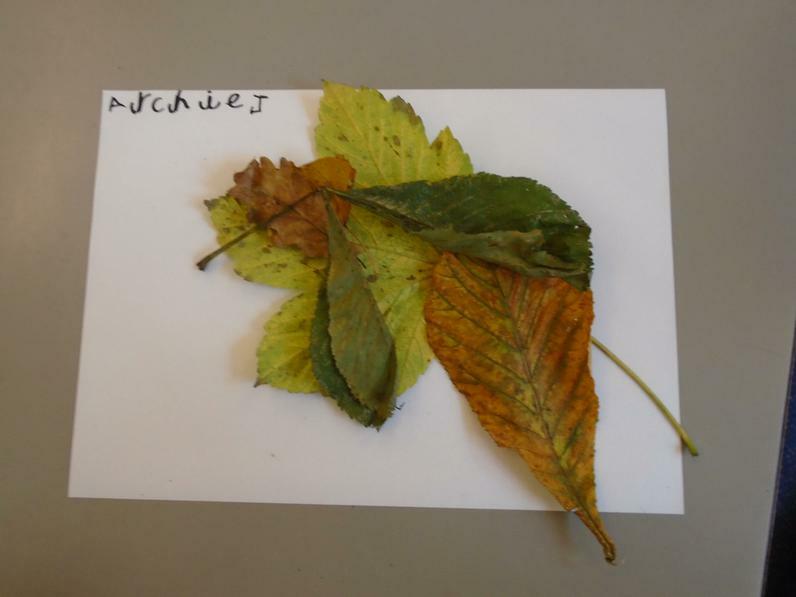 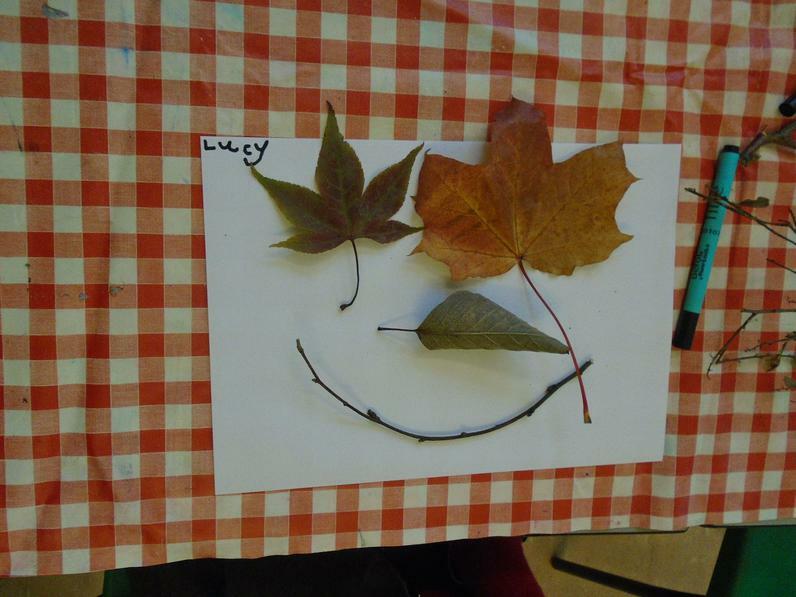 Look at our beautiful Autumn Art. 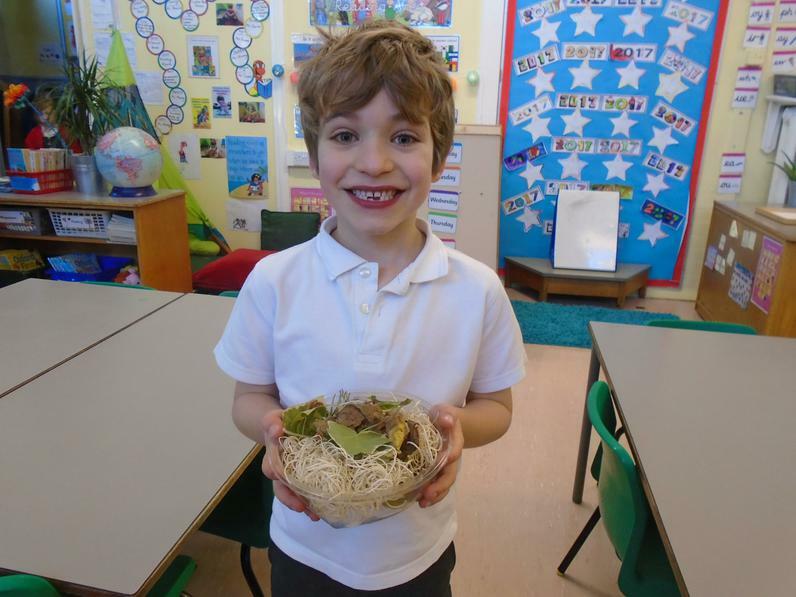 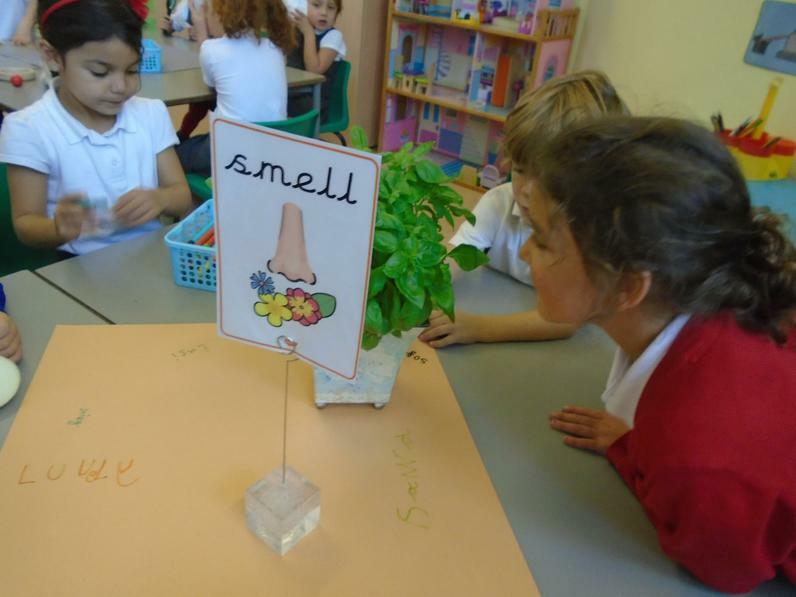 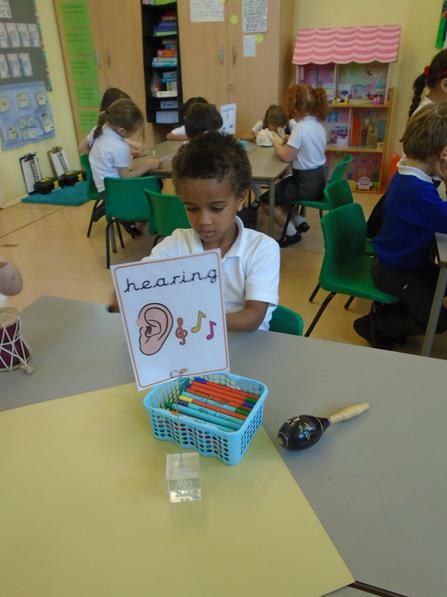 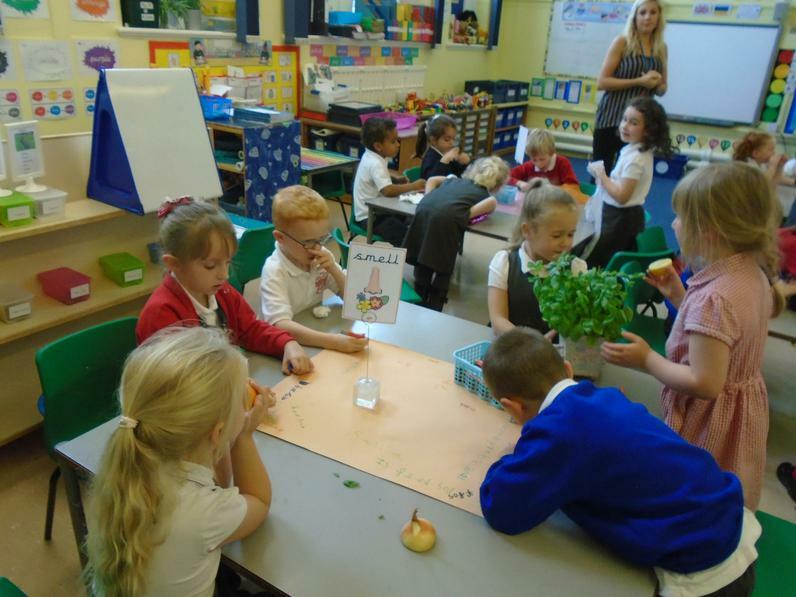 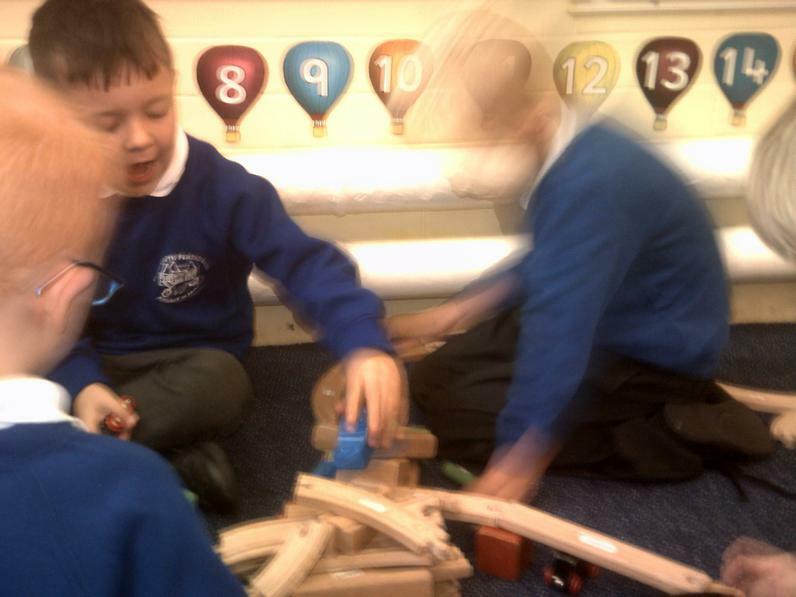 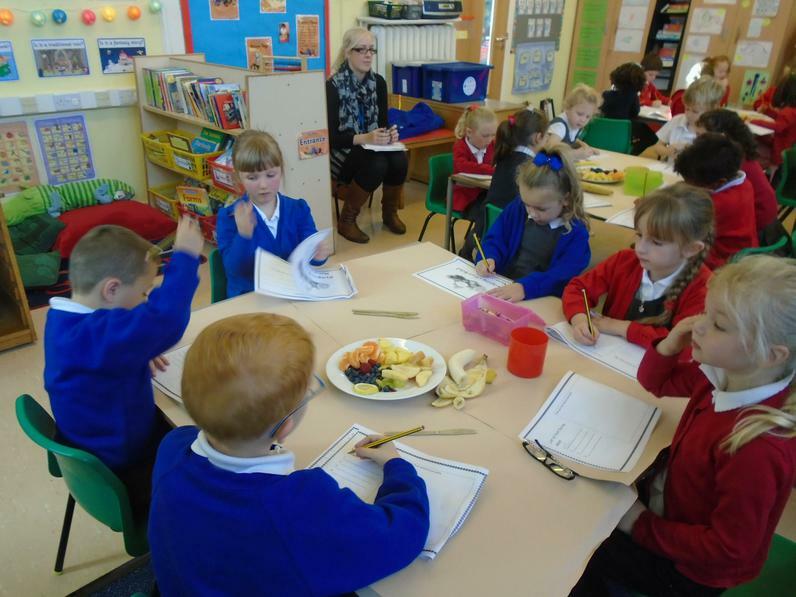 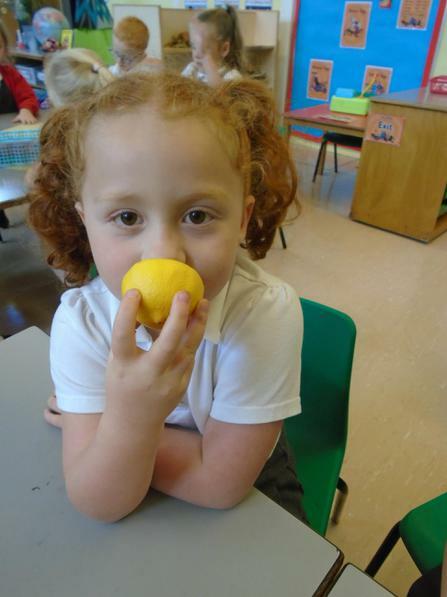 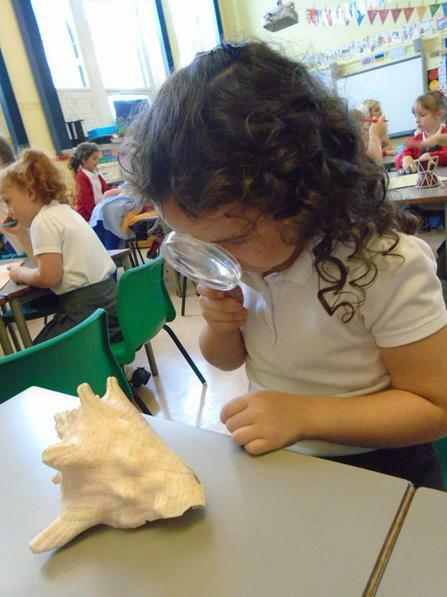 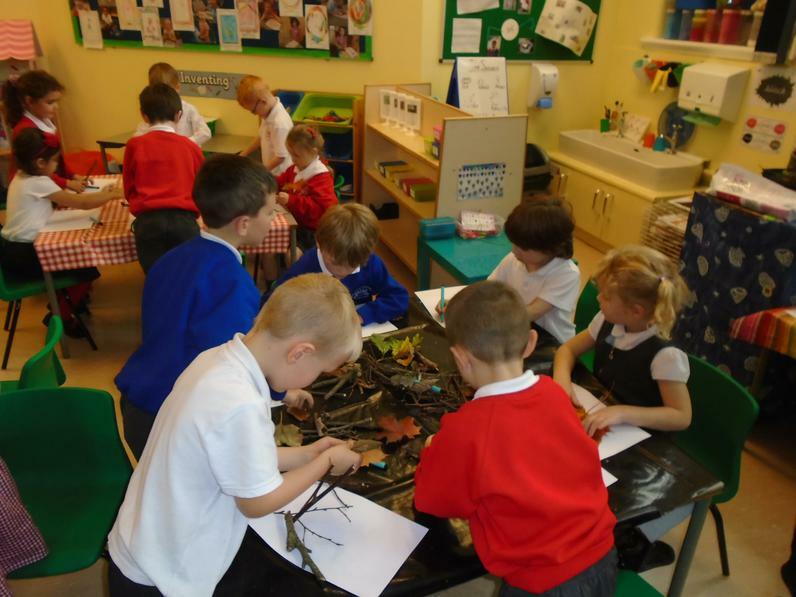 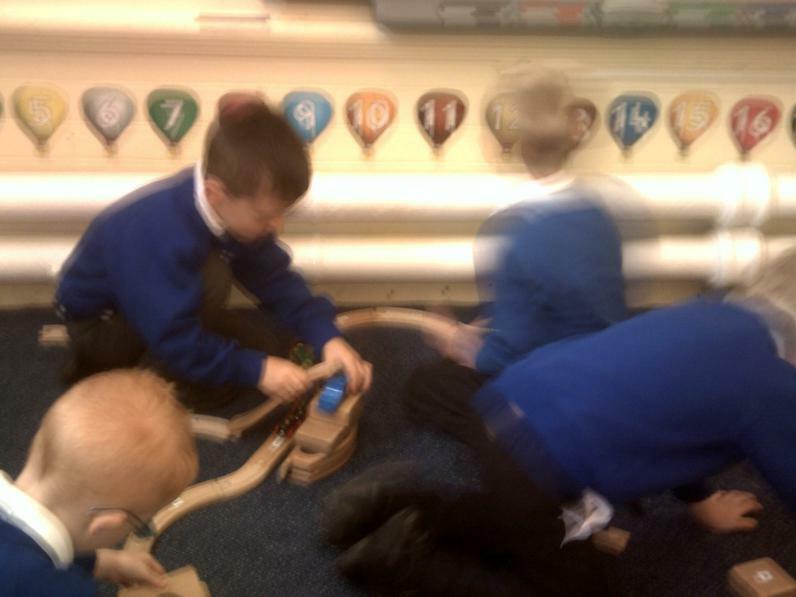 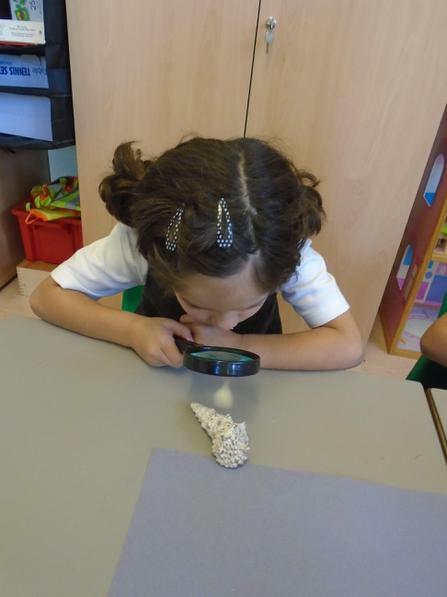 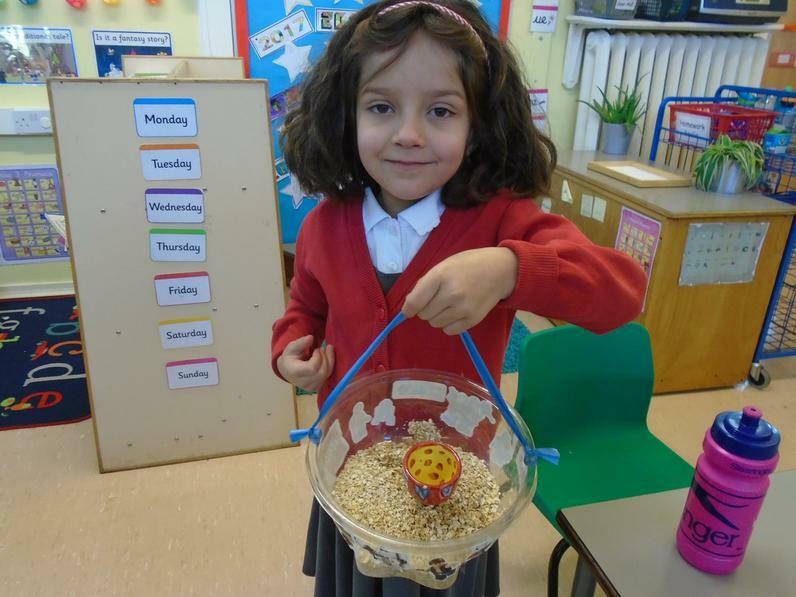 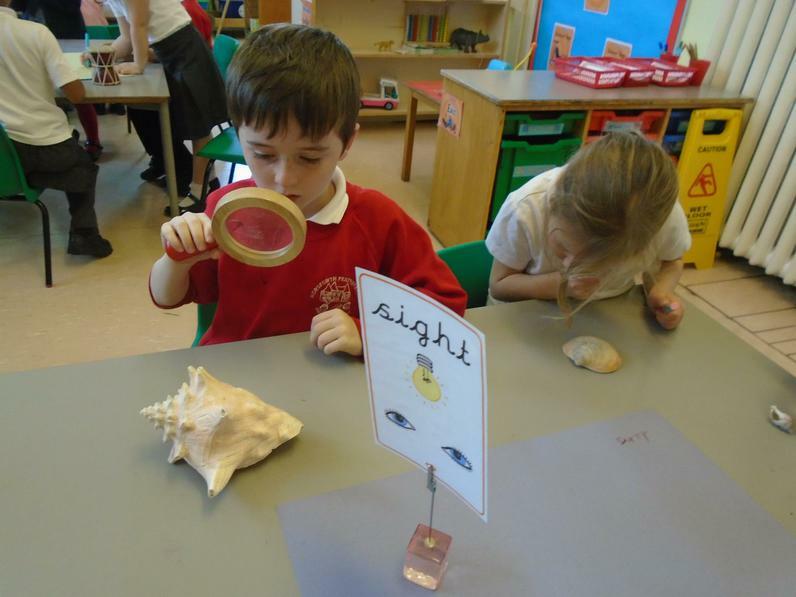 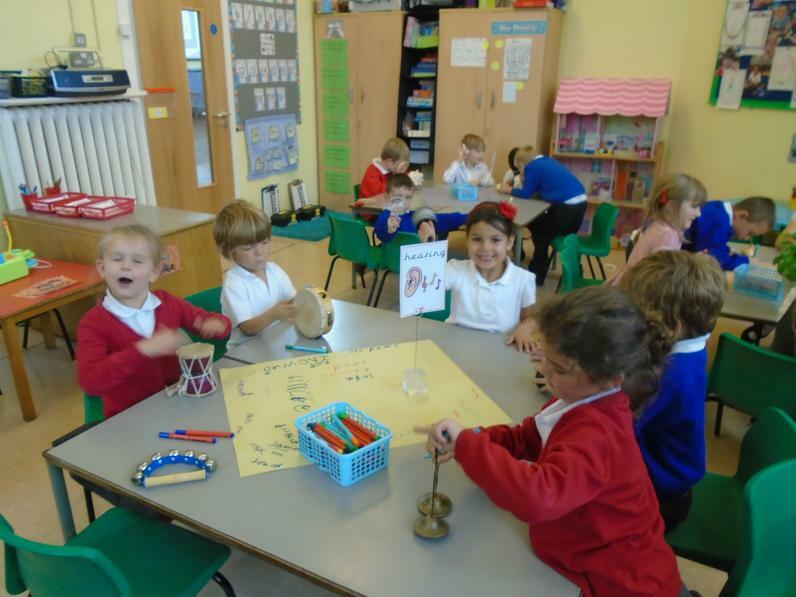 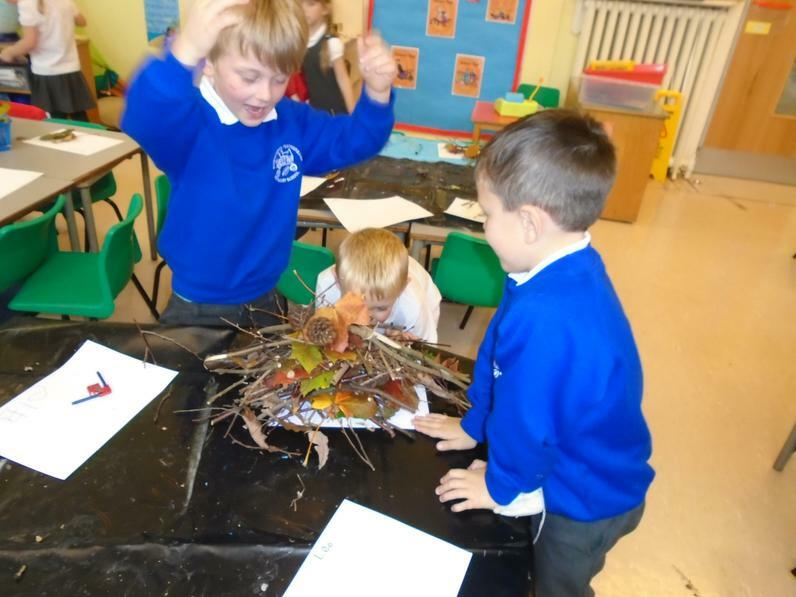 Year 1 Scientists exploring their senses. 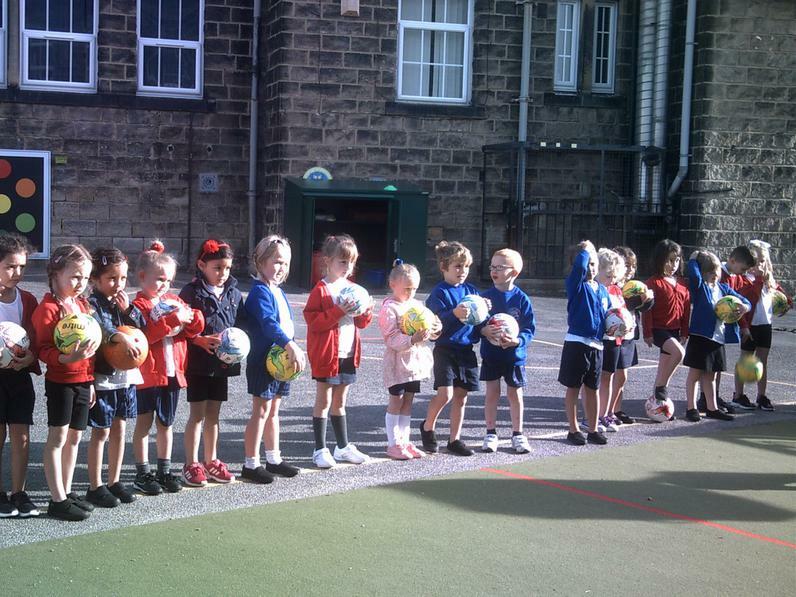 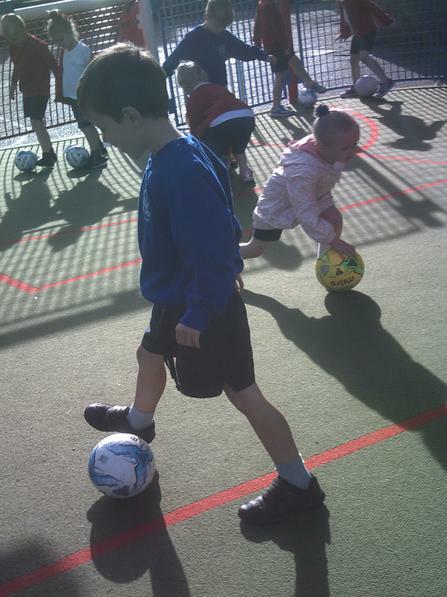 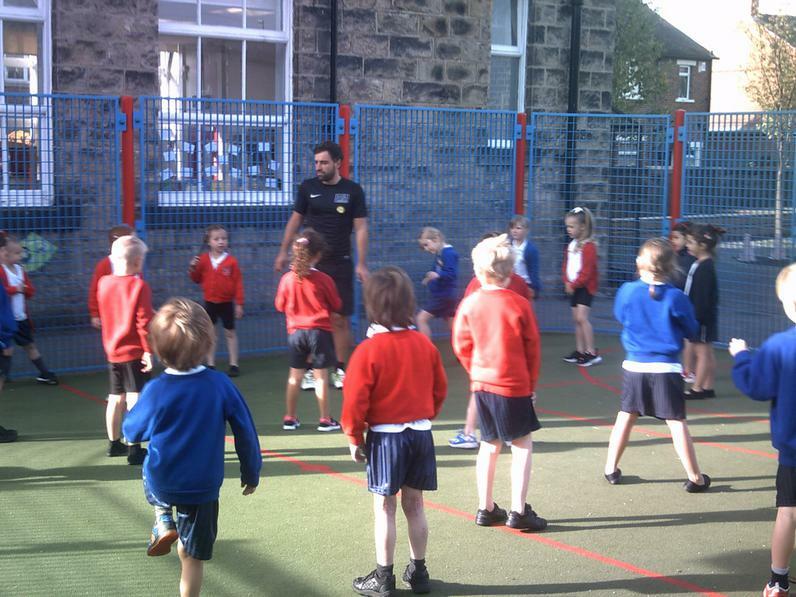 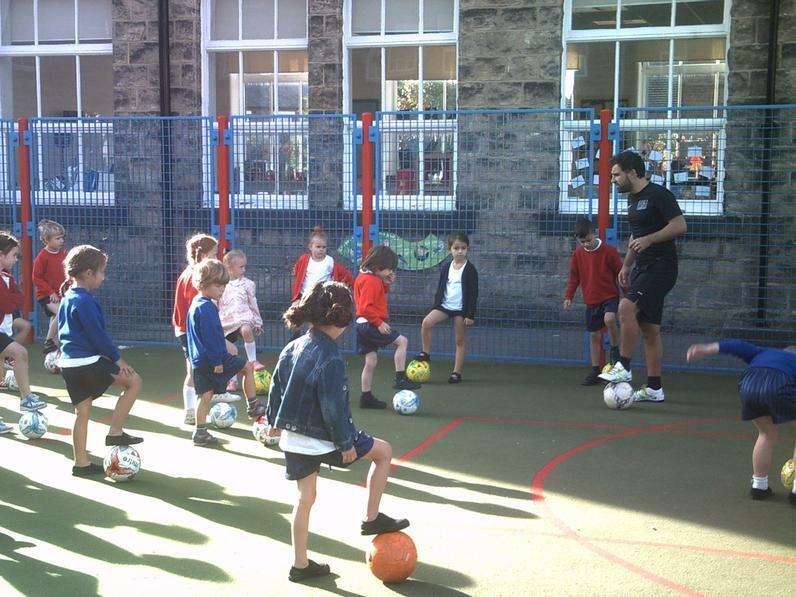 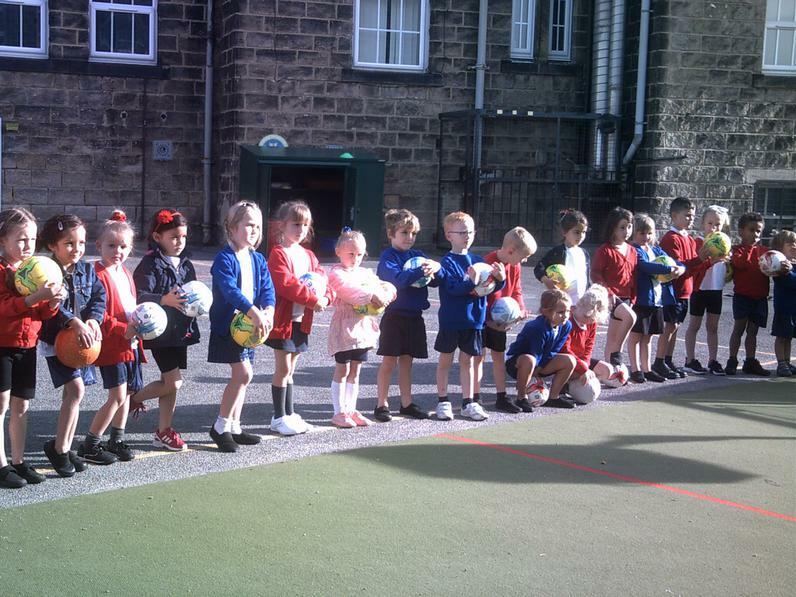 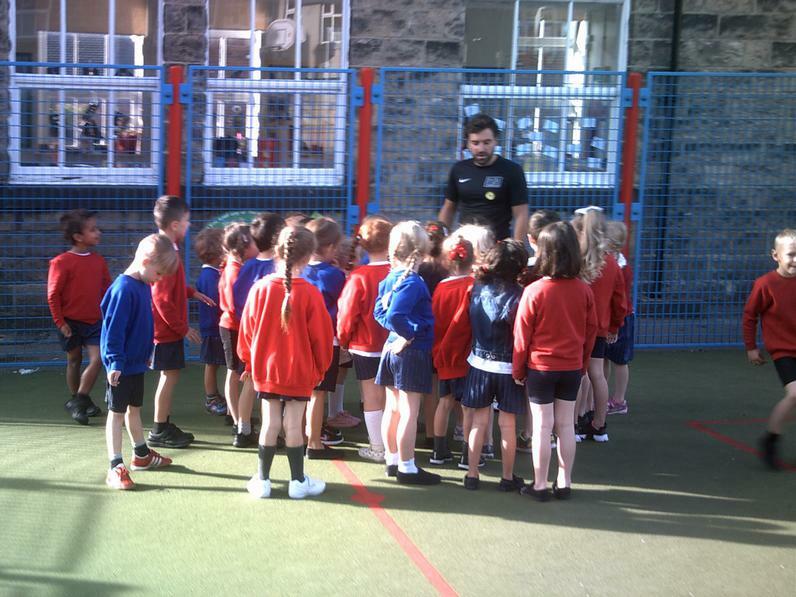 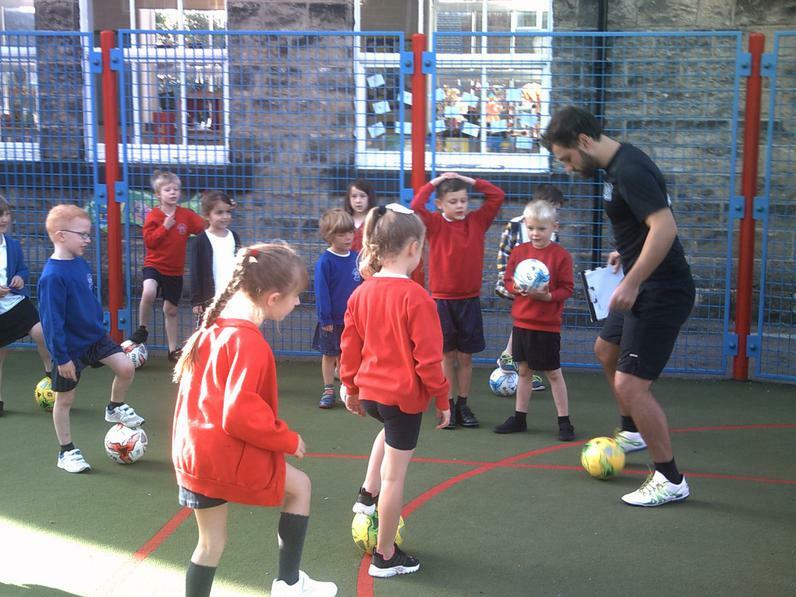 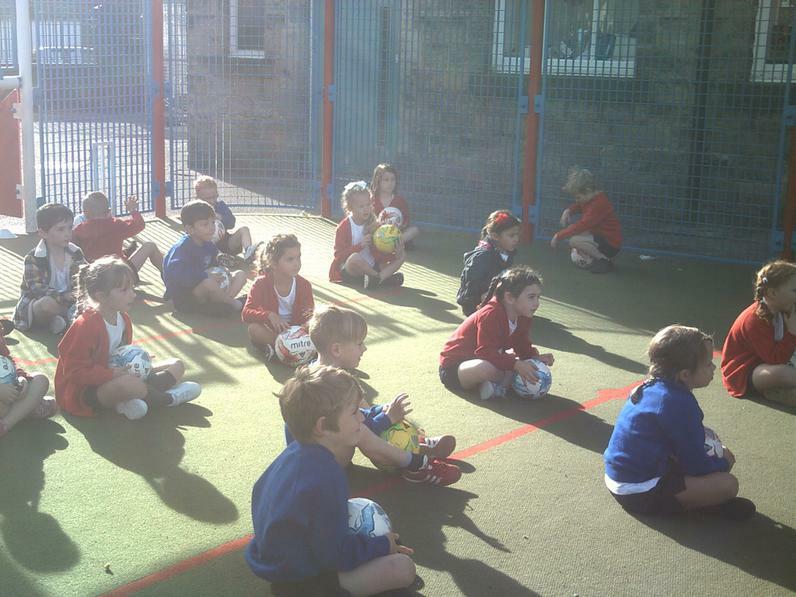 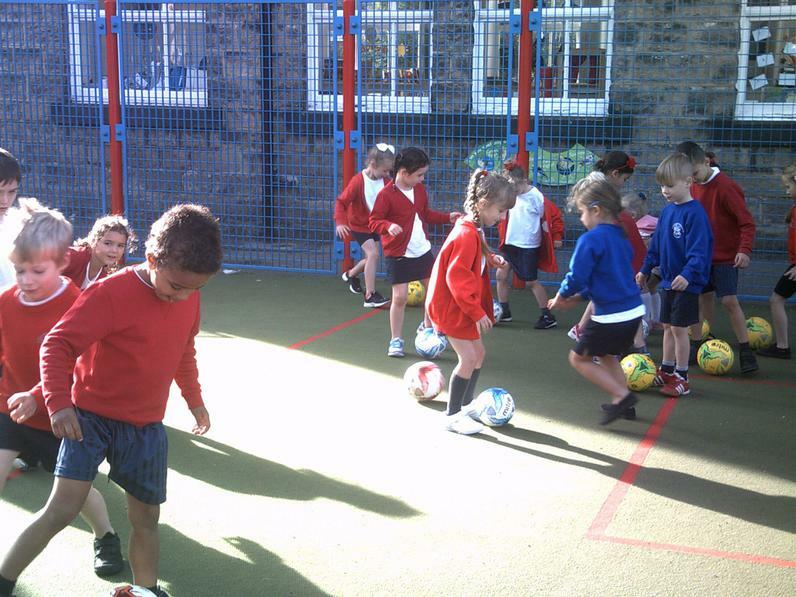 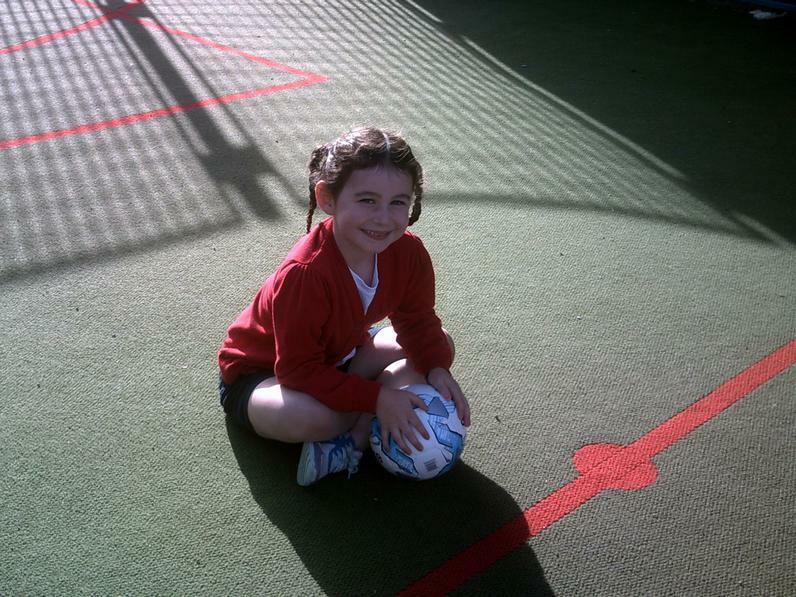 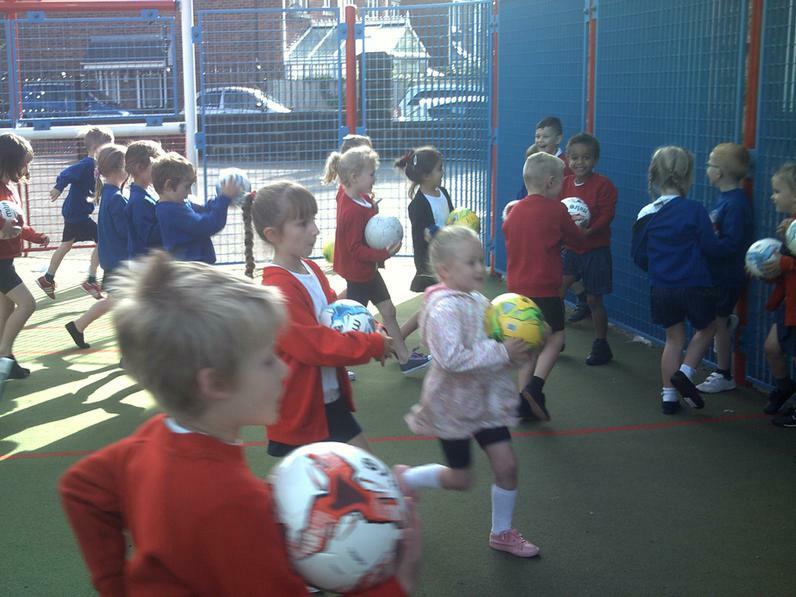 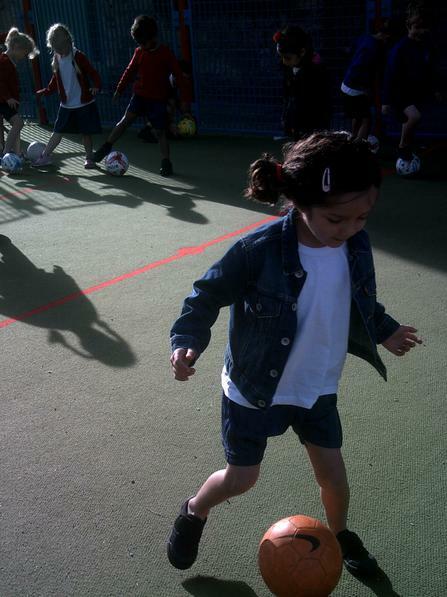 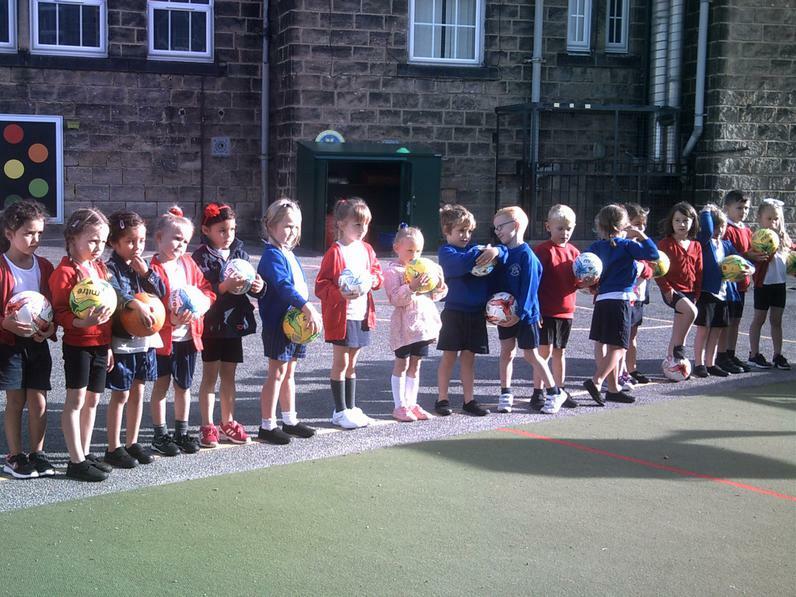 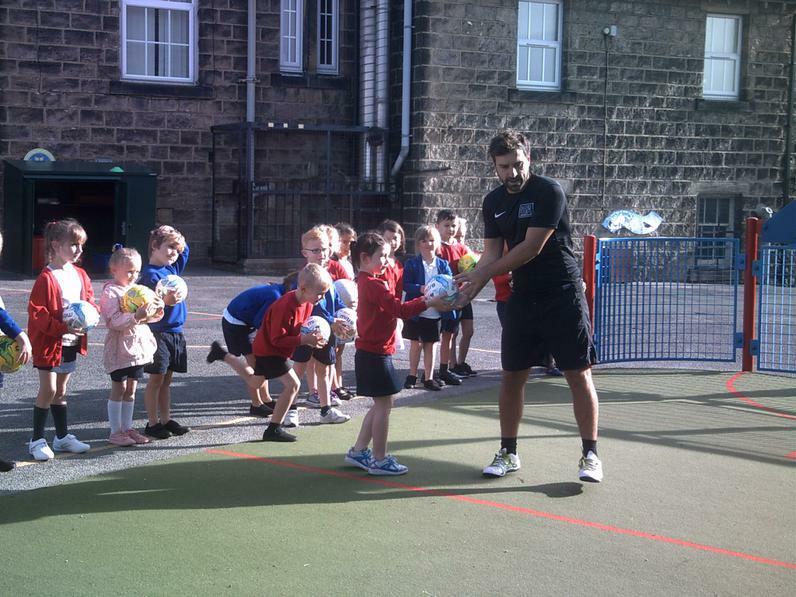 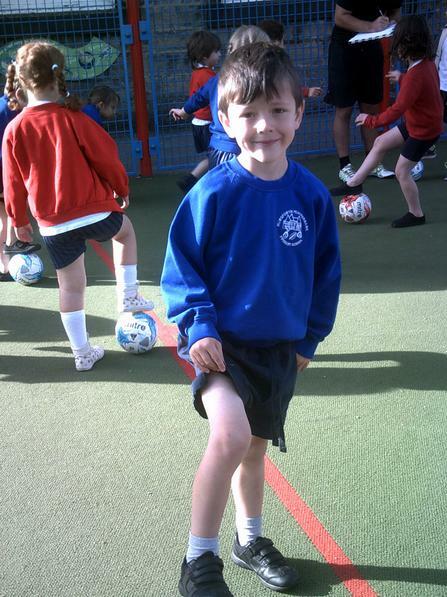 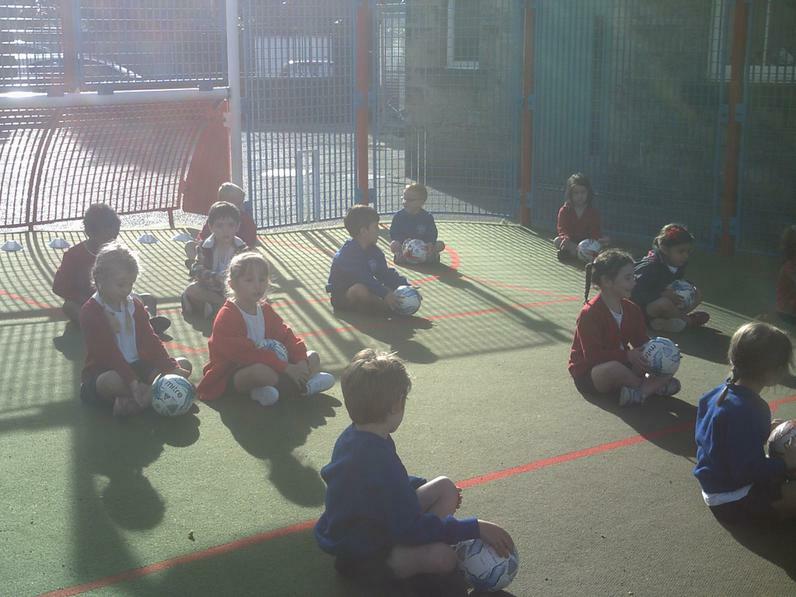 Look at our Football Skills. 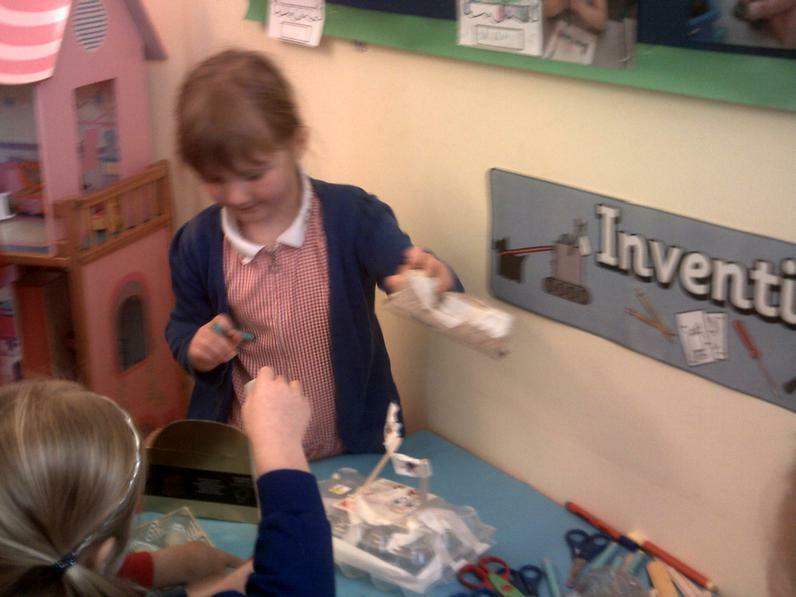 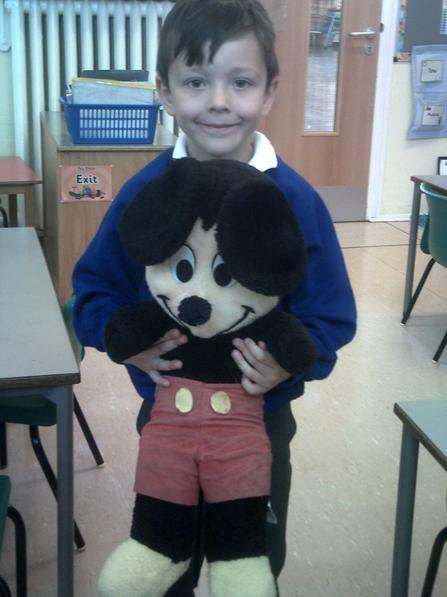 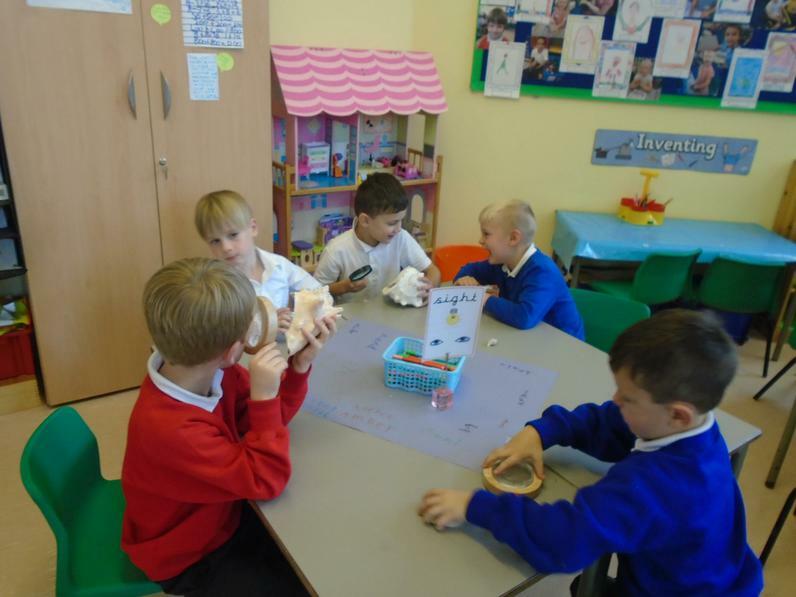 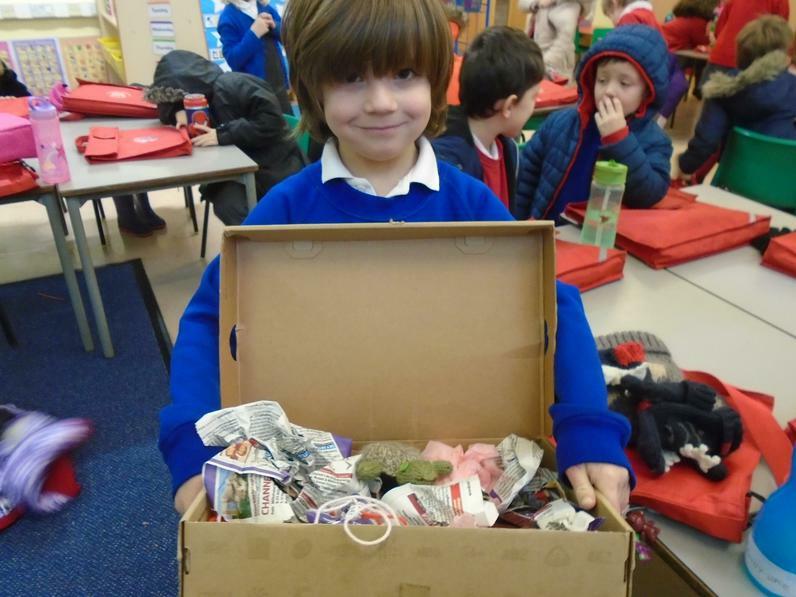 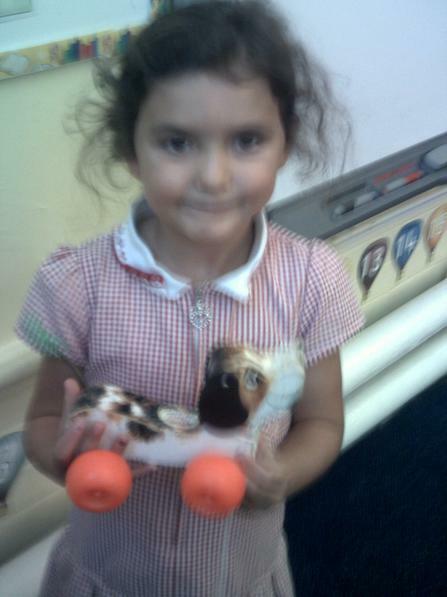 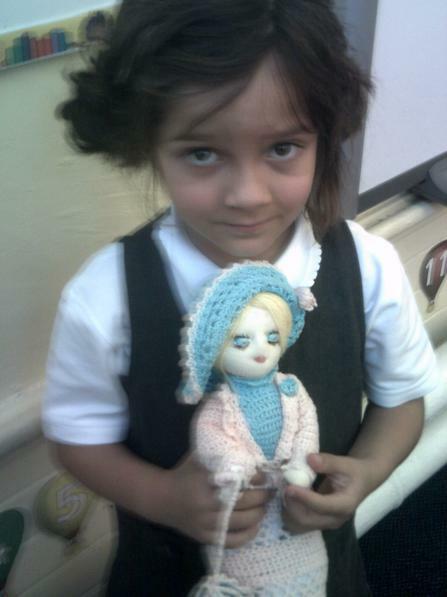 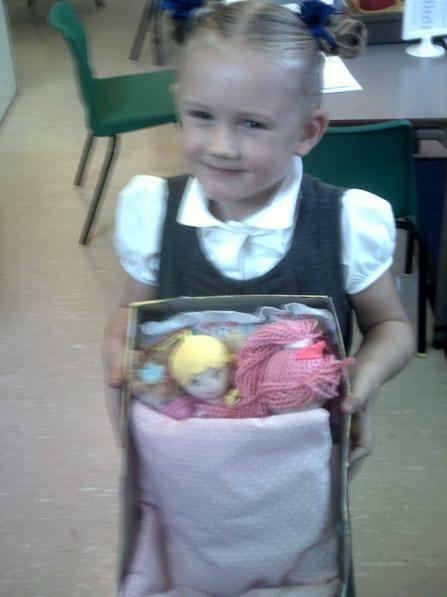 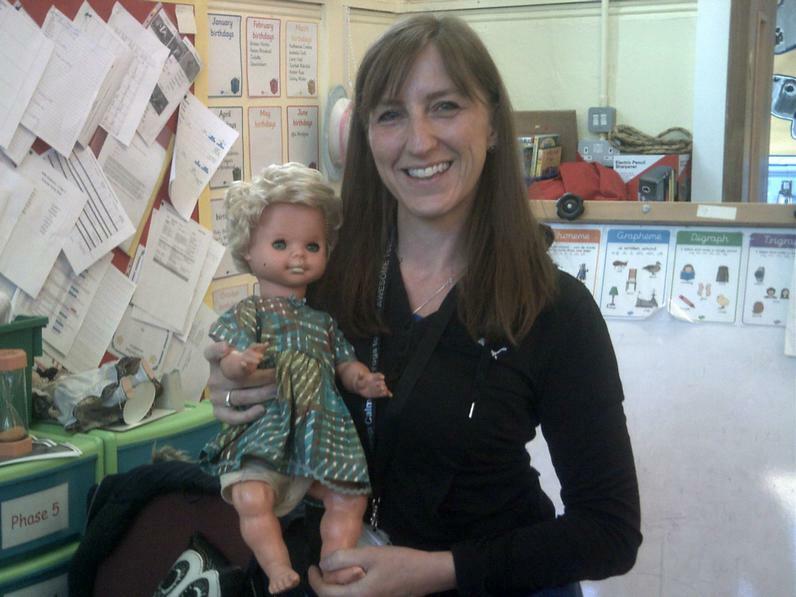 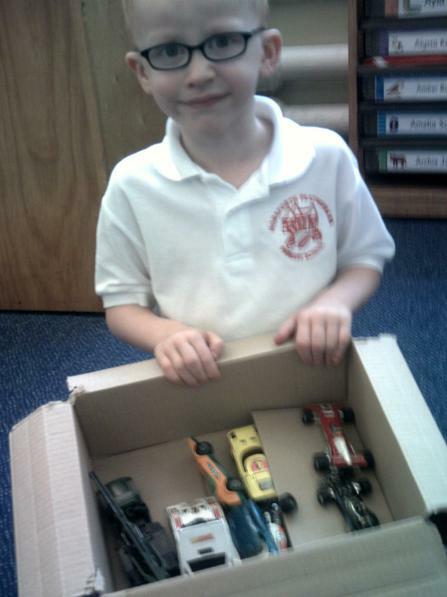 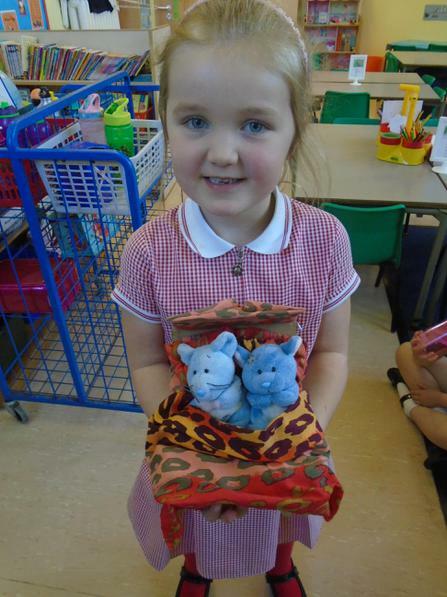 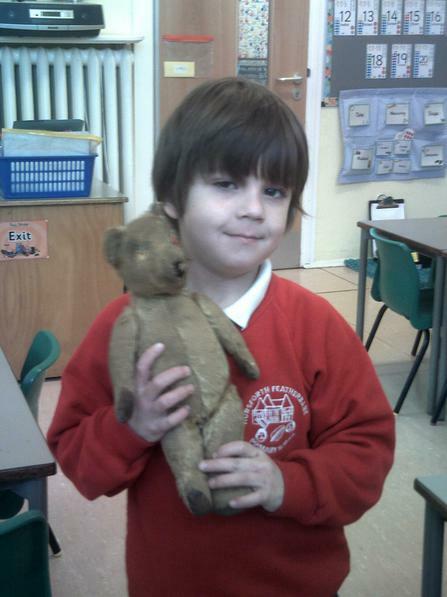 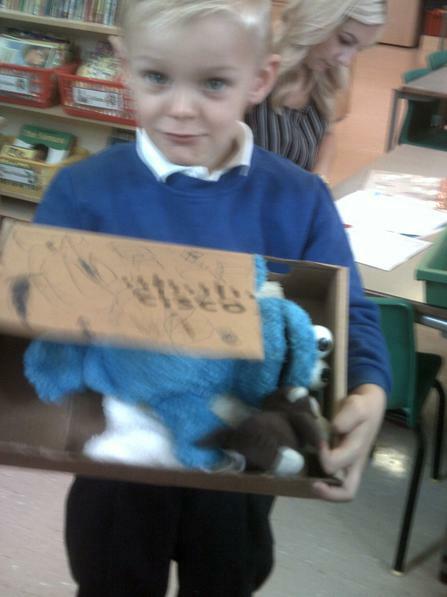 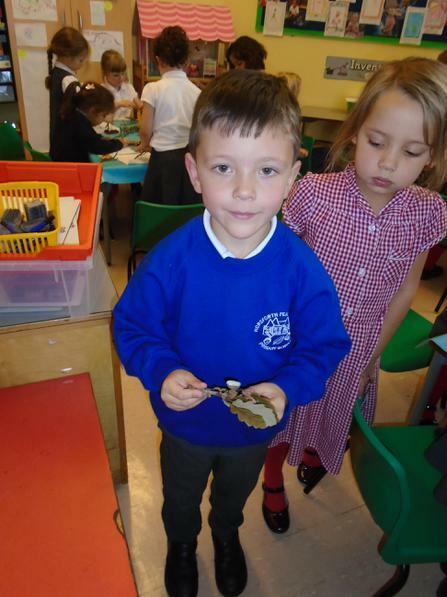 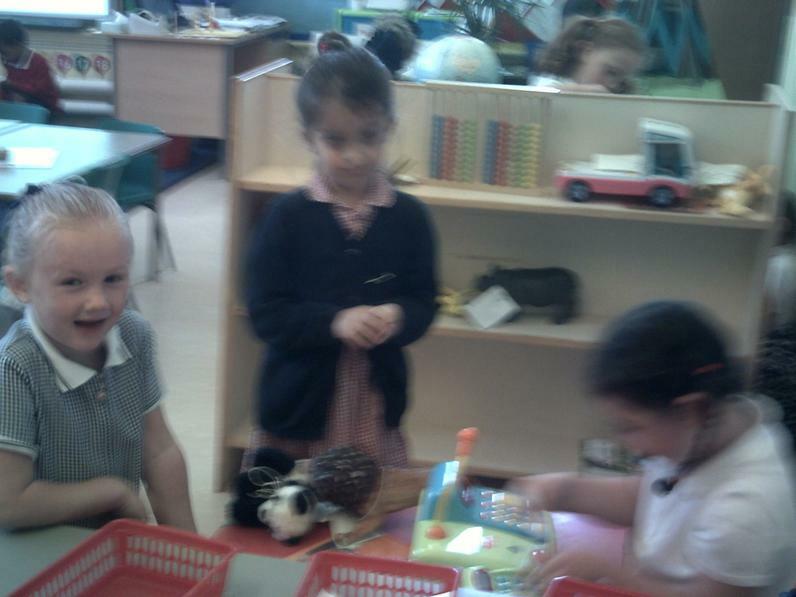 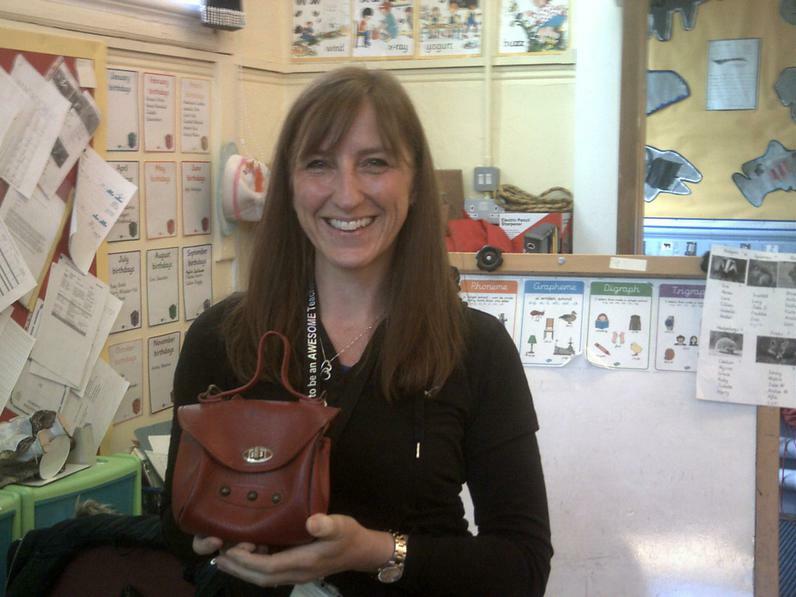 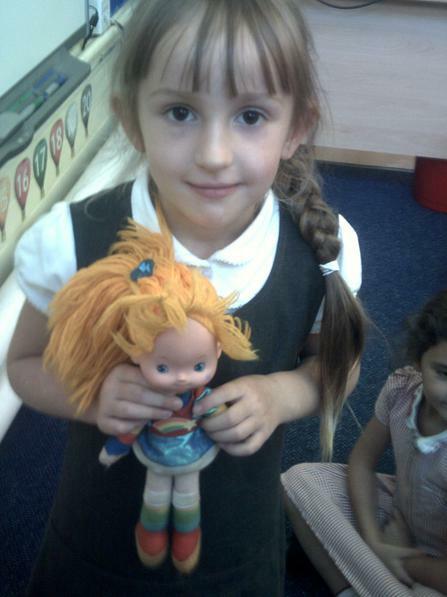 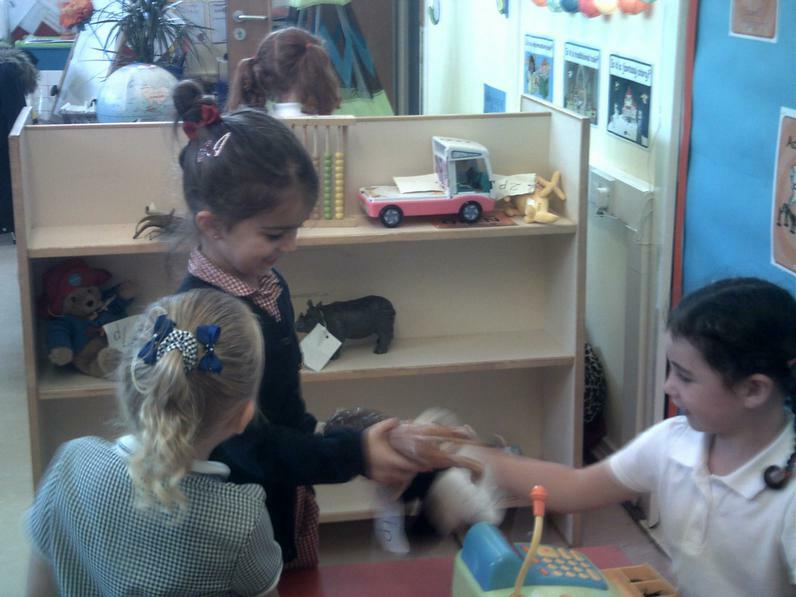 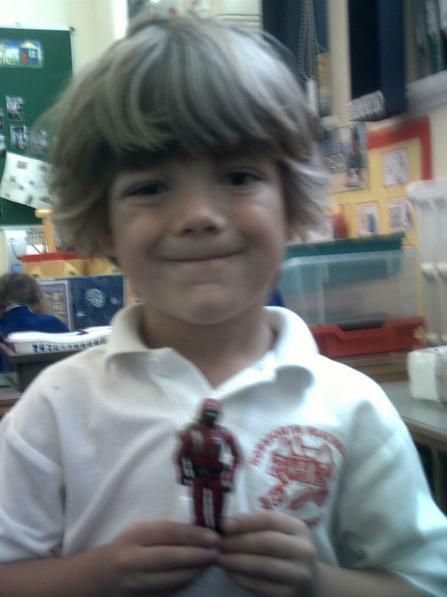 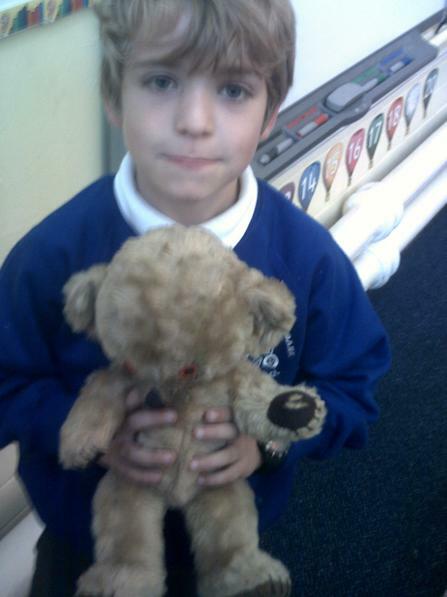 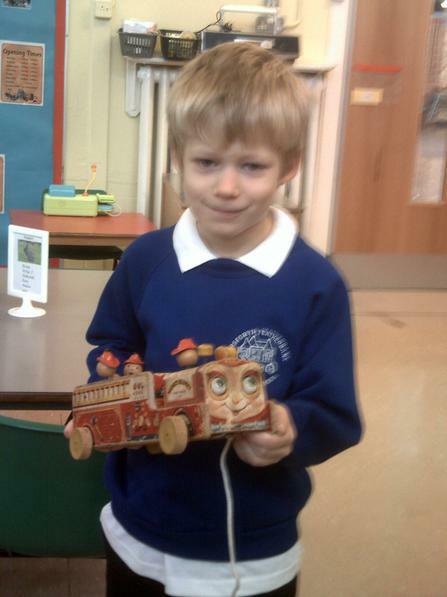 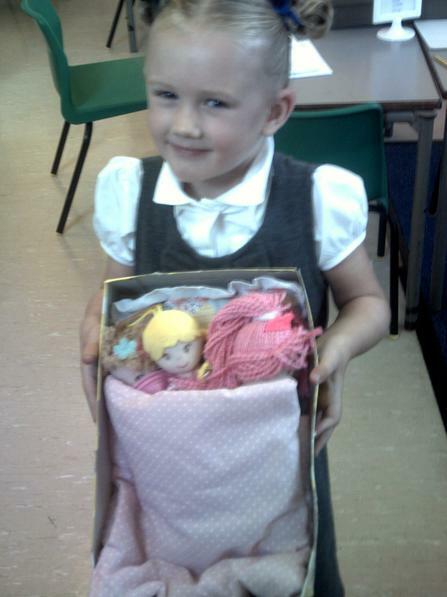 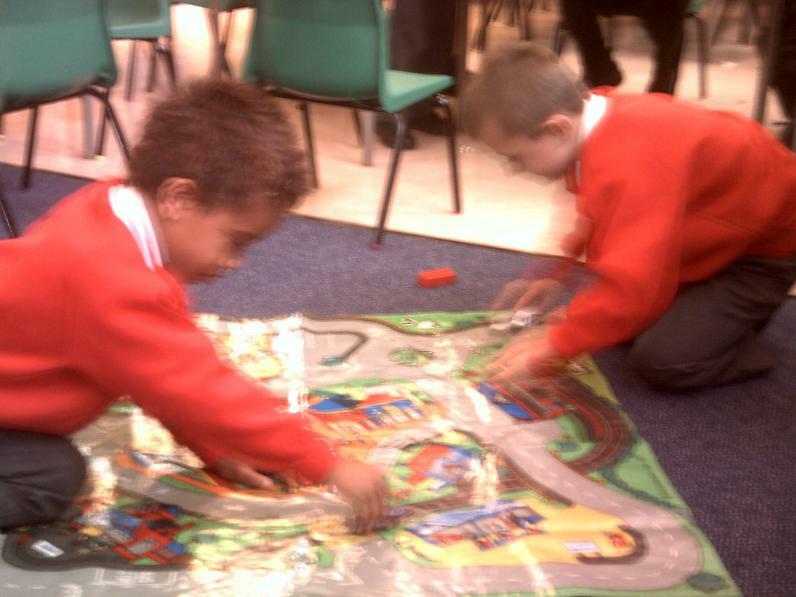 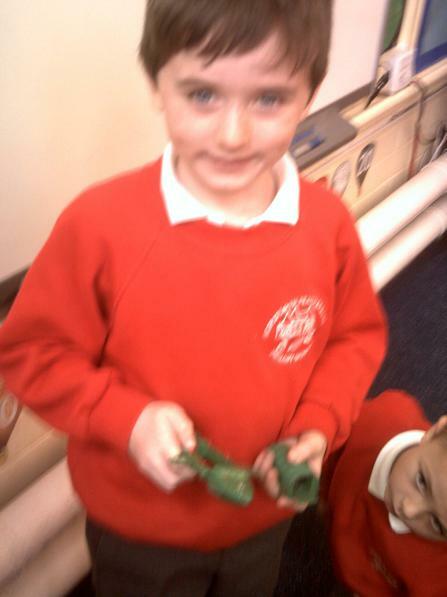 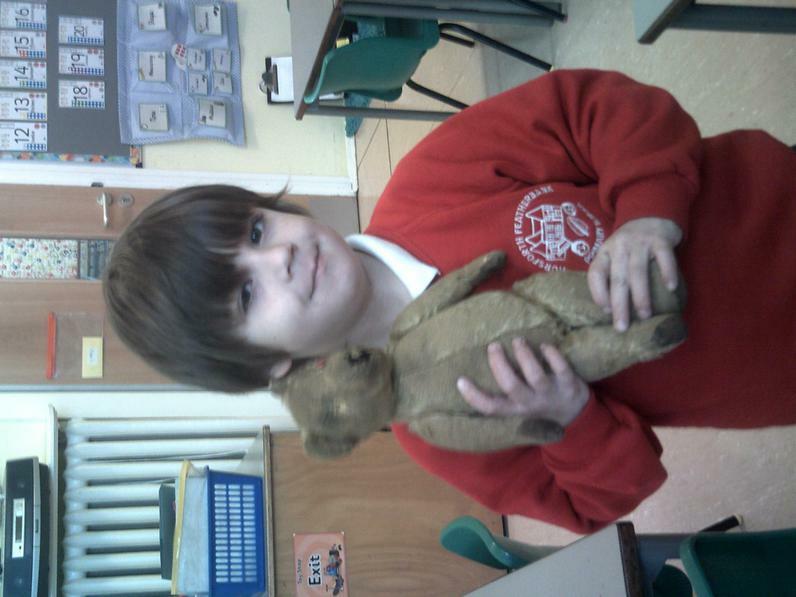 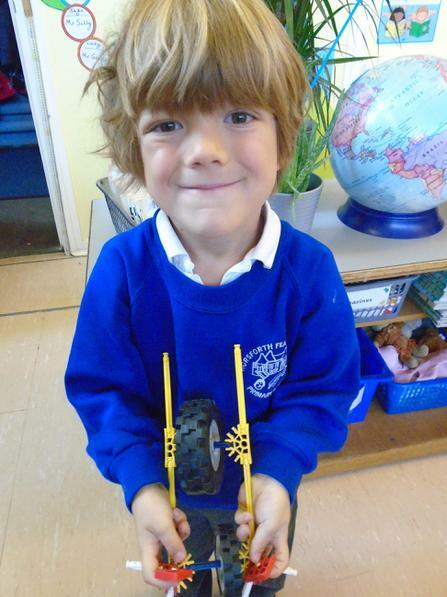 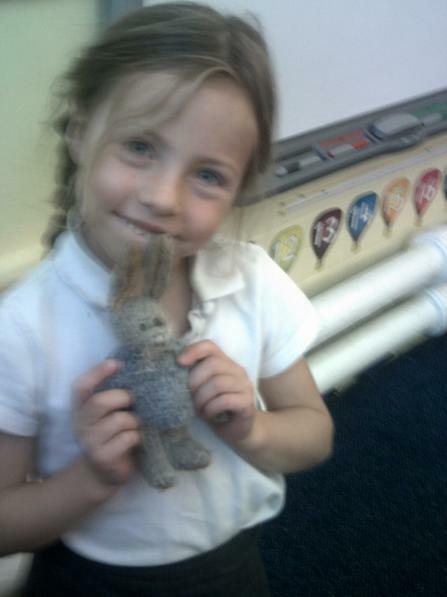 We have enjoyed looking at old toys that belonged to our parents, grandparents and even Mrs Turner and Miss Bremner. 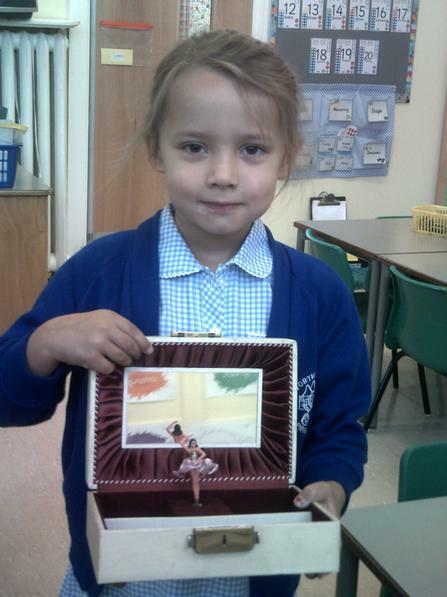 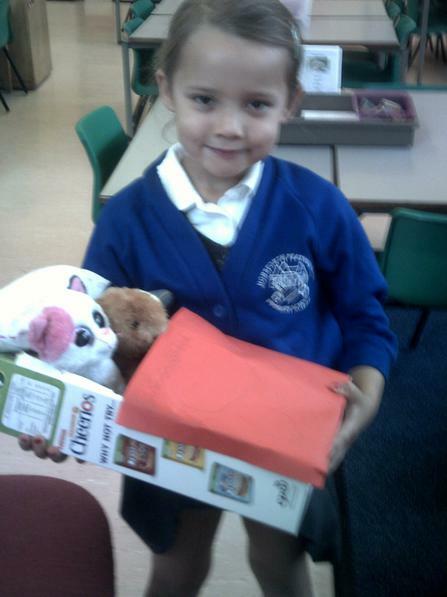 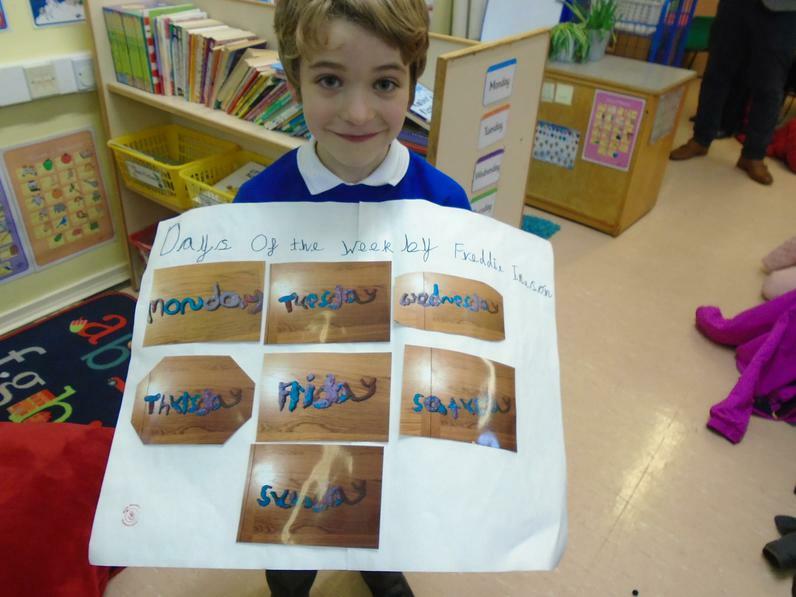 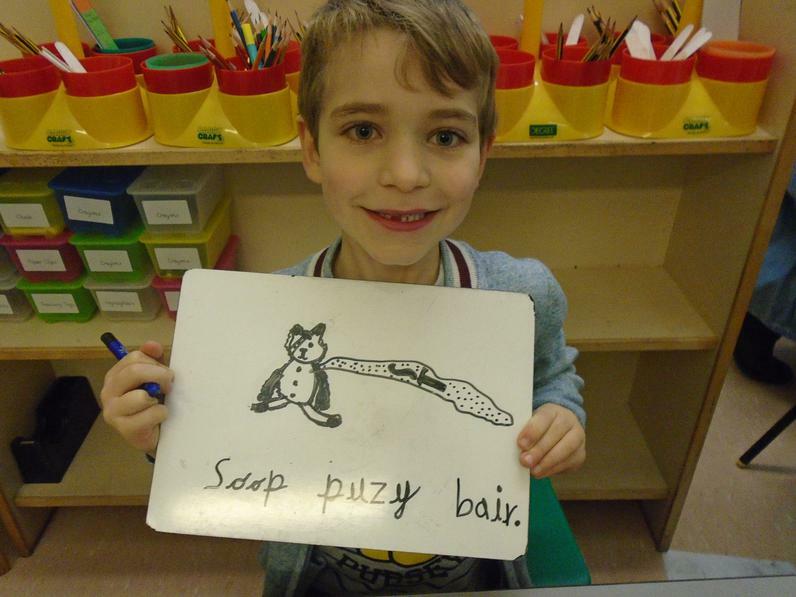 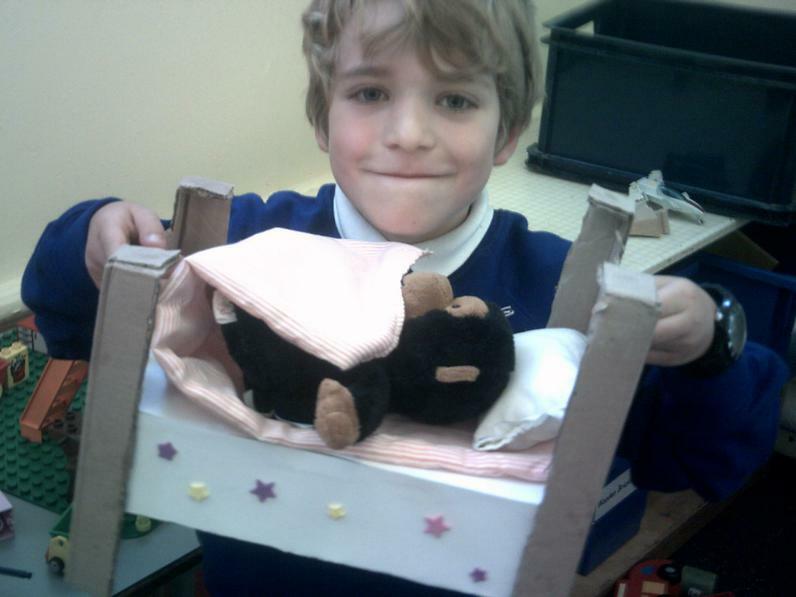 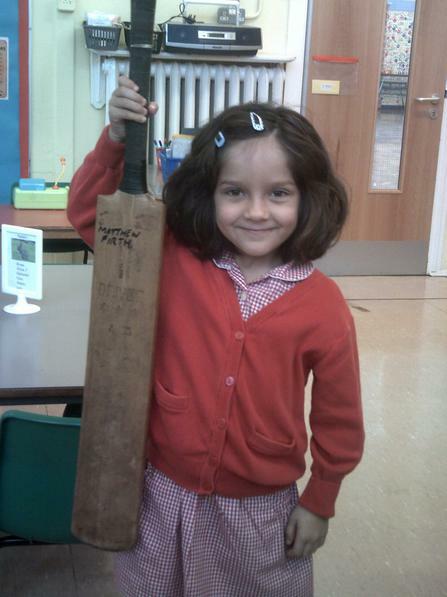 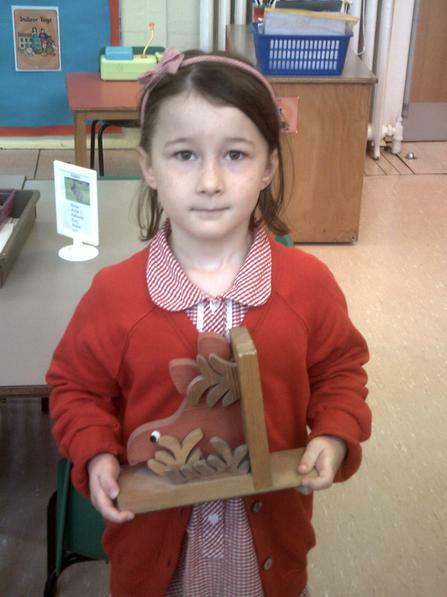 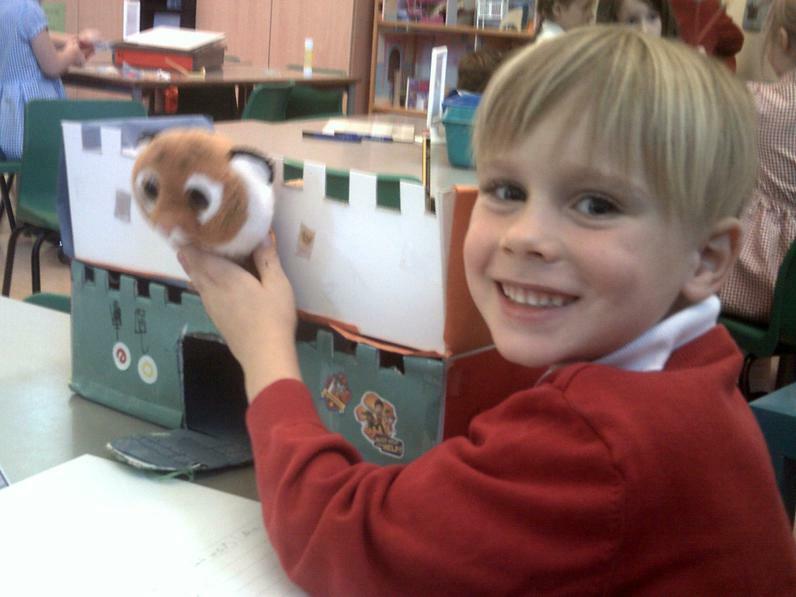 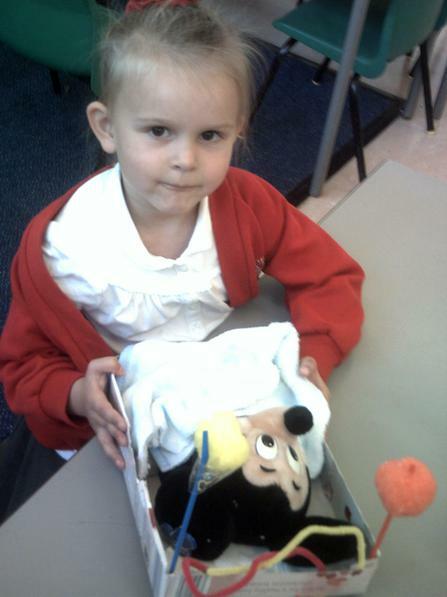 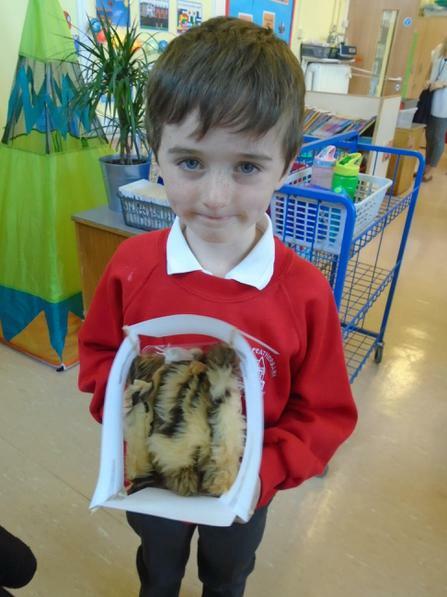 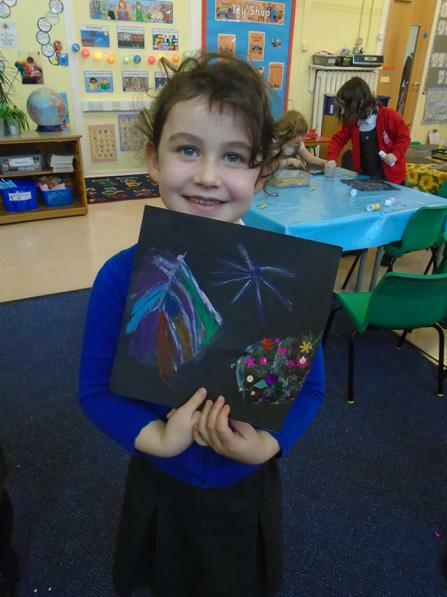 Look at our fantastic homework. 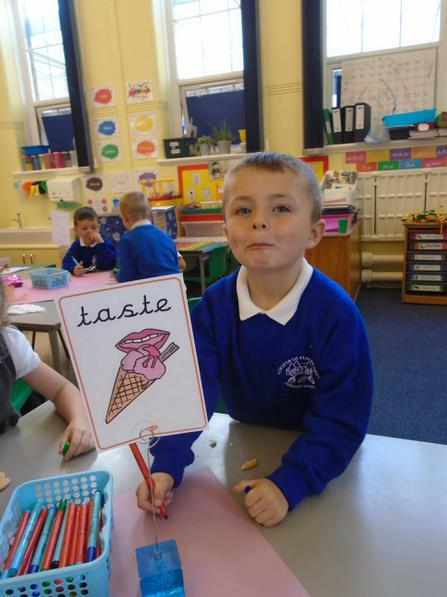 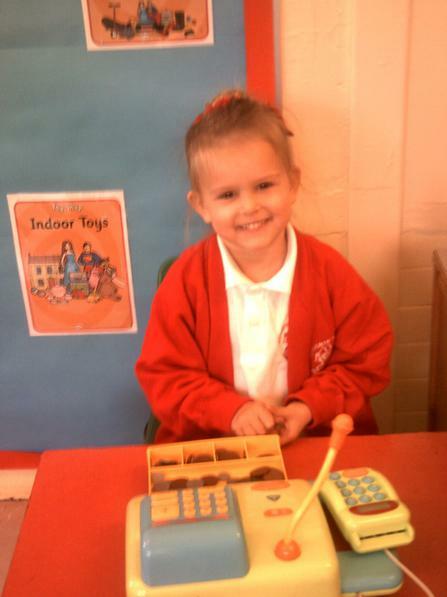 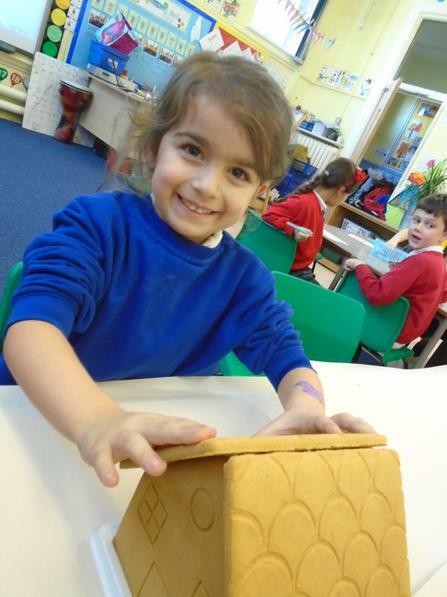 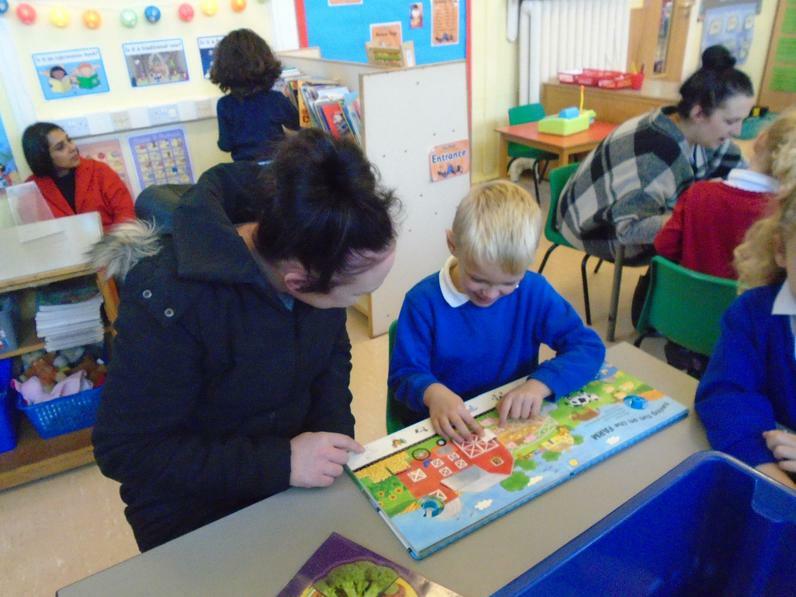 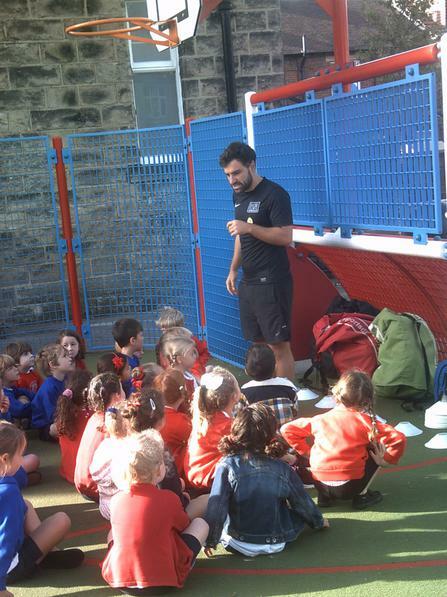 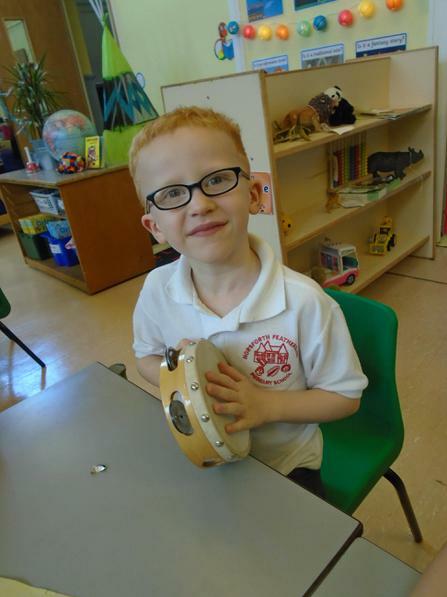 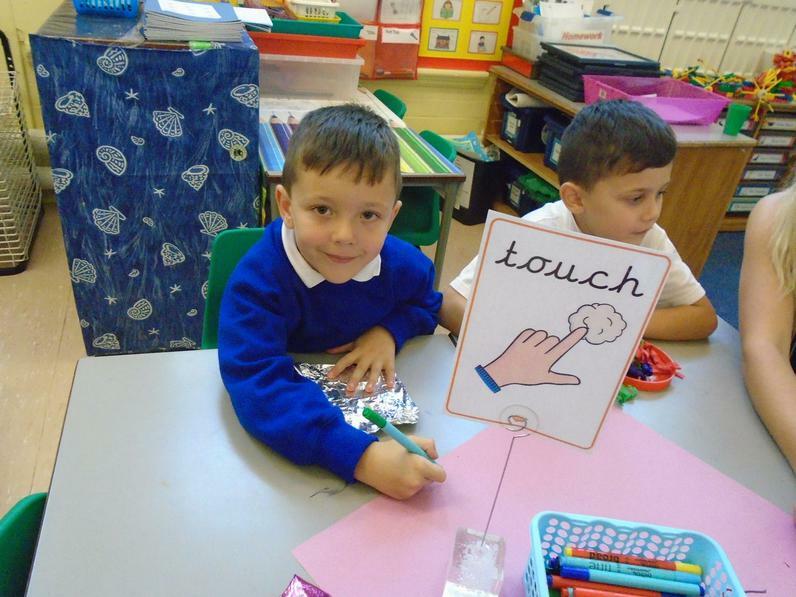 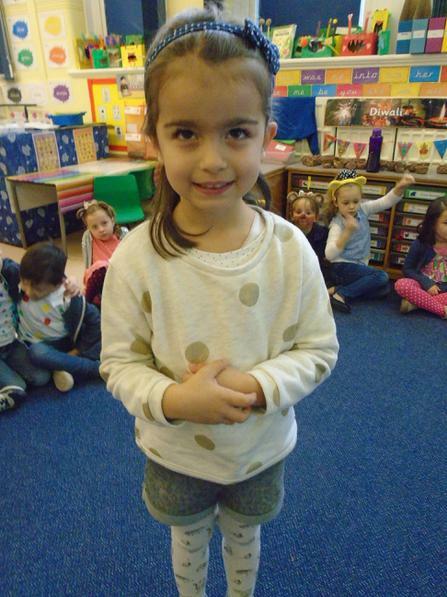 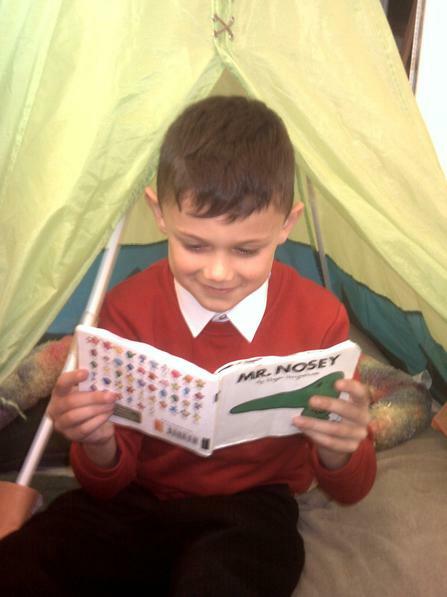 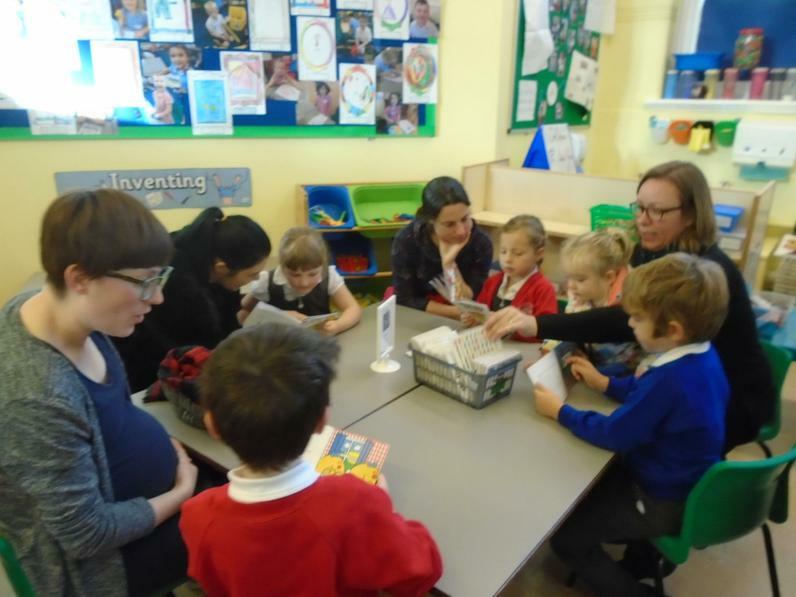 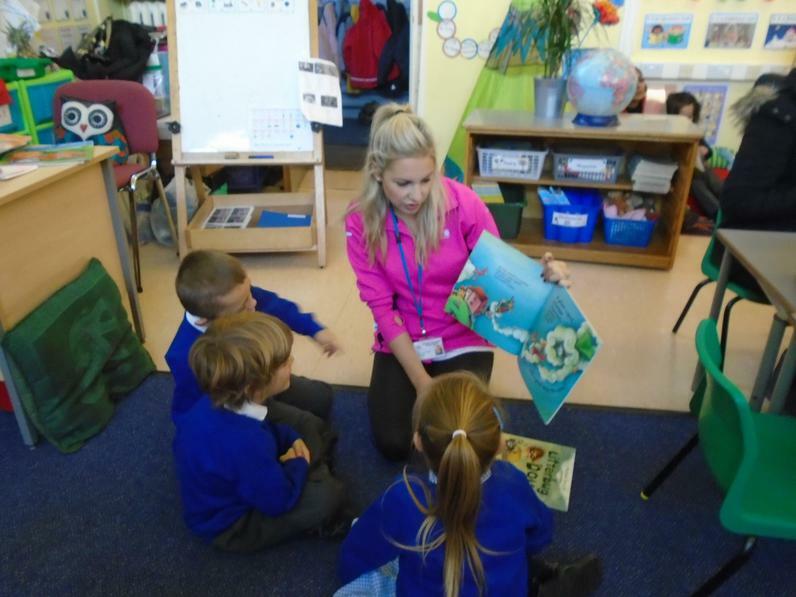 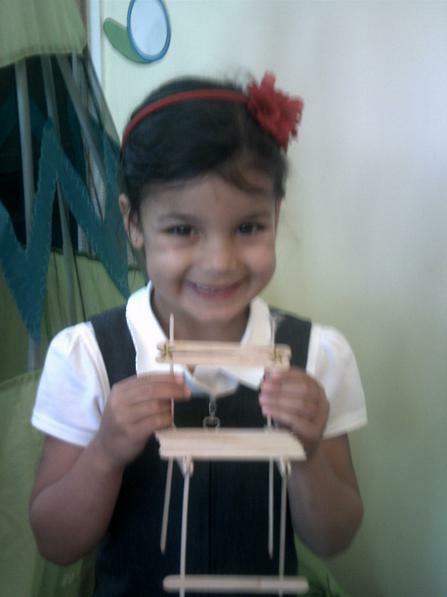 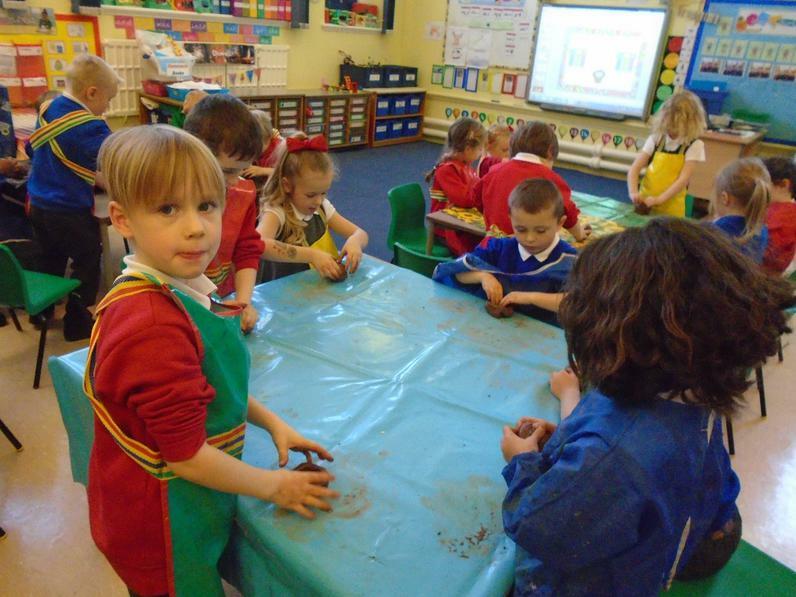 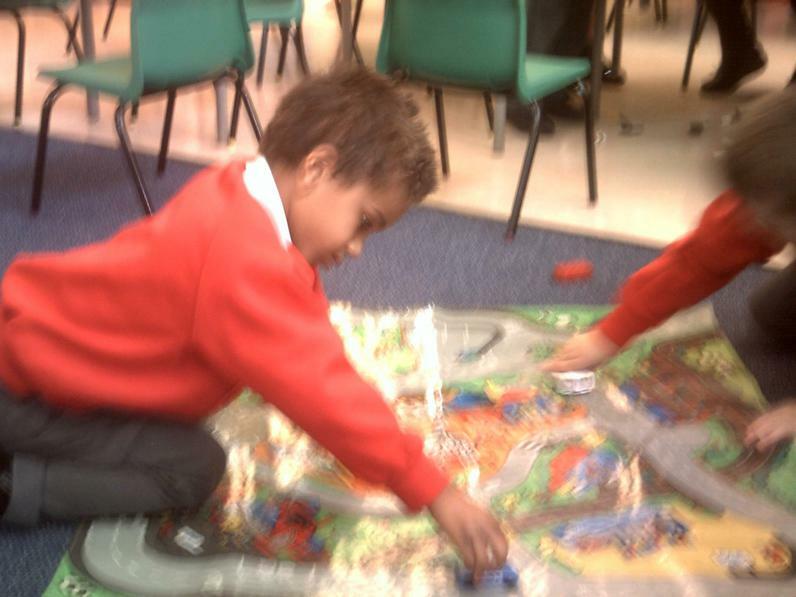 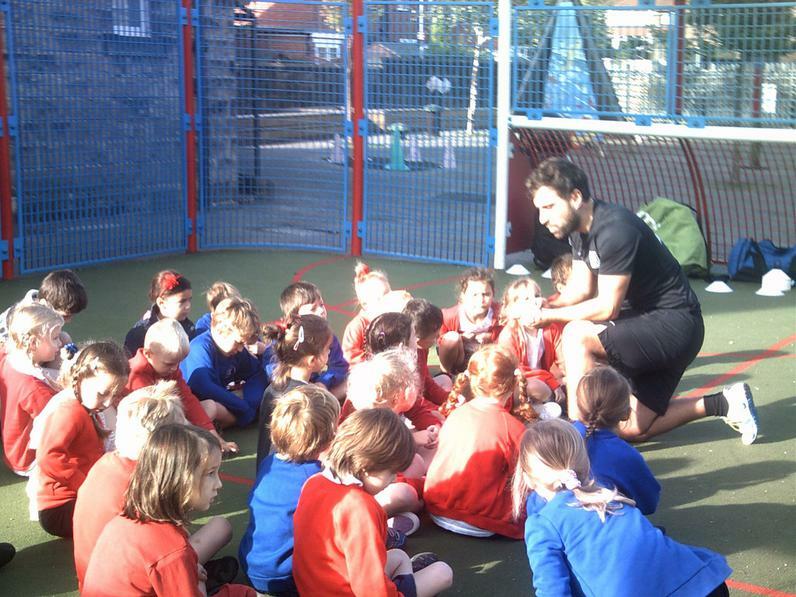 Enjoying learning in the classroom. 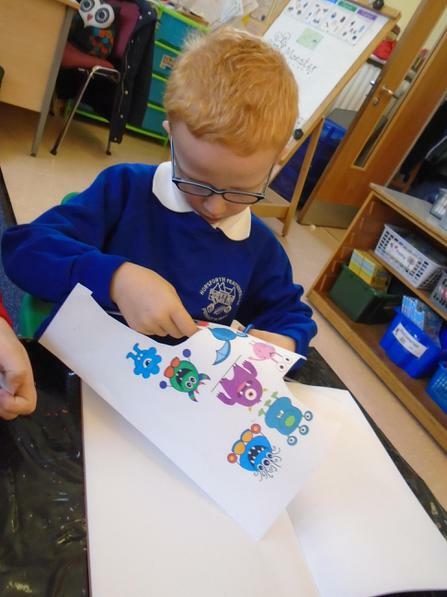 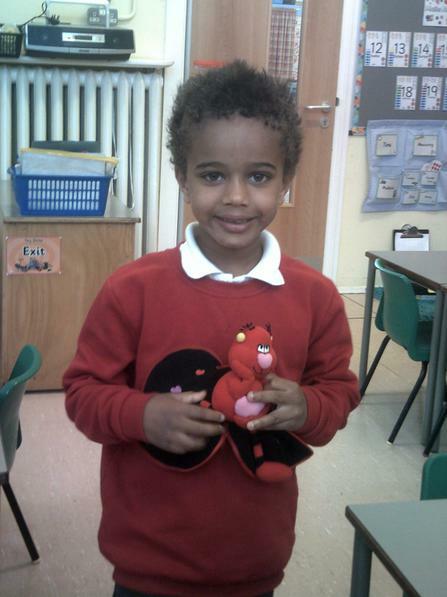 Bug Club (Phonic Bug) A quick way to access your child's e-book bag. 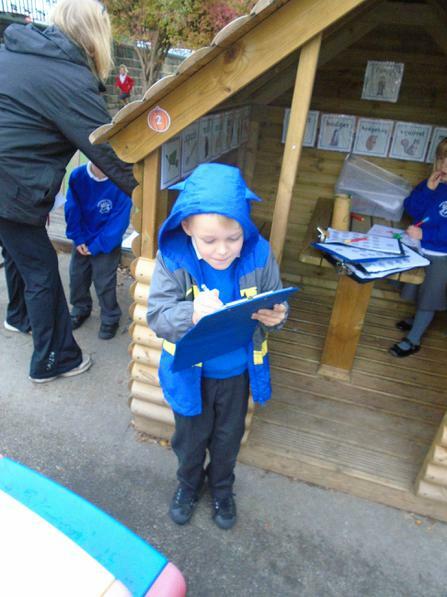 Ask your teacher if you have forgotten your child's log in details. 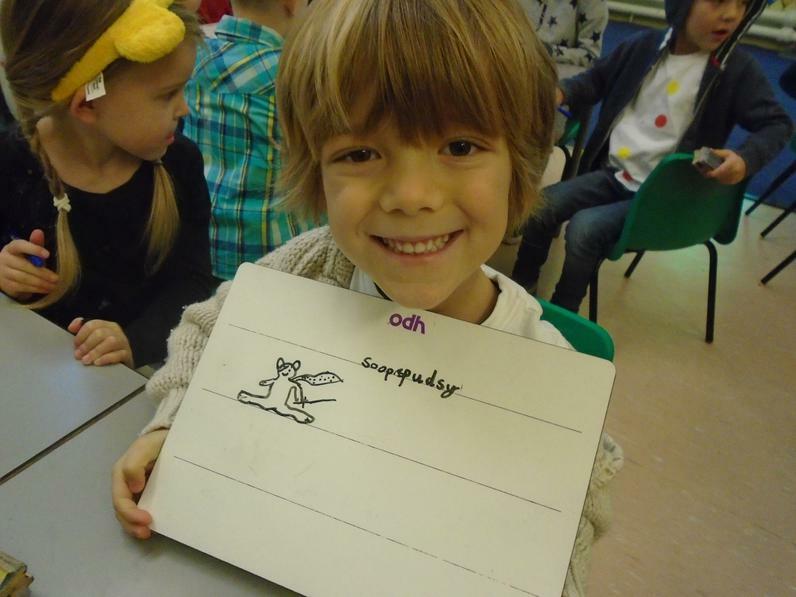 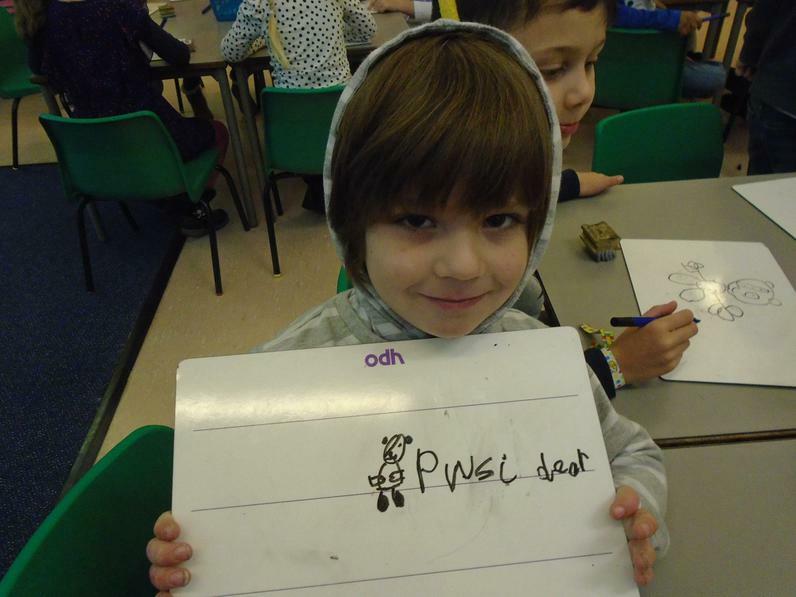 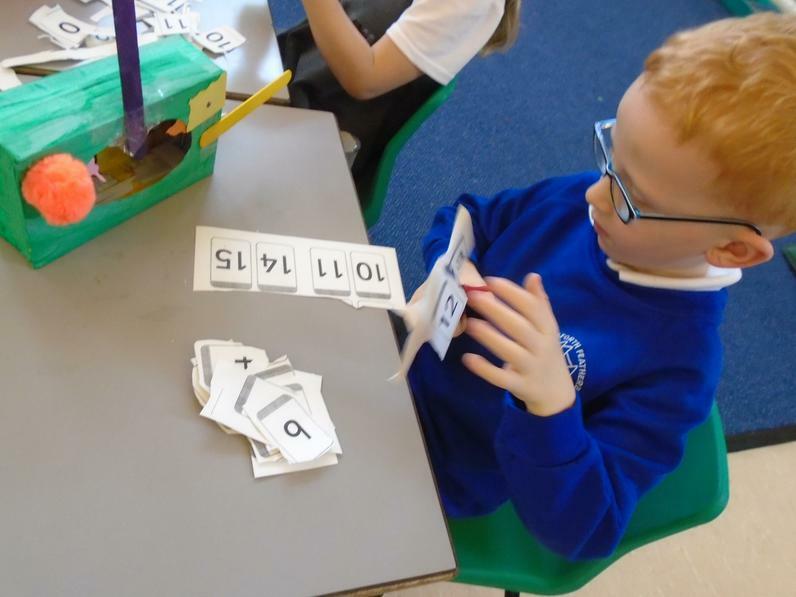 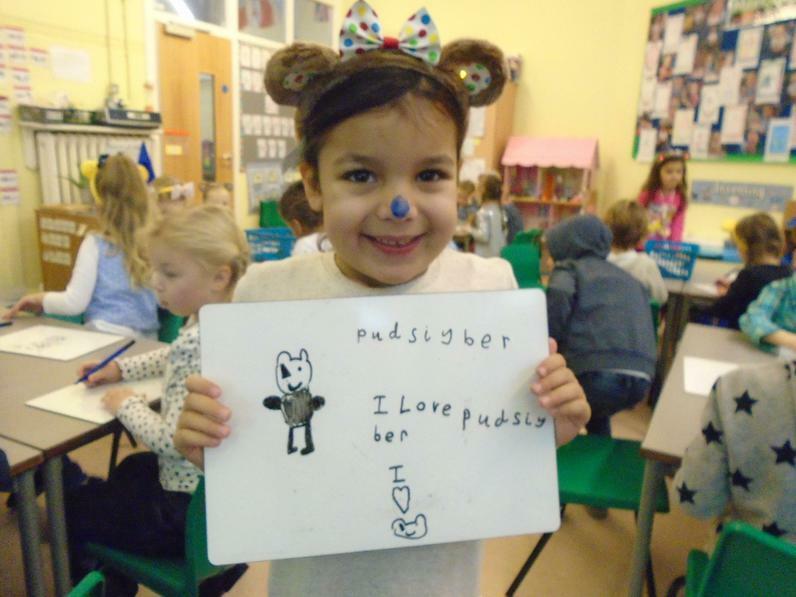 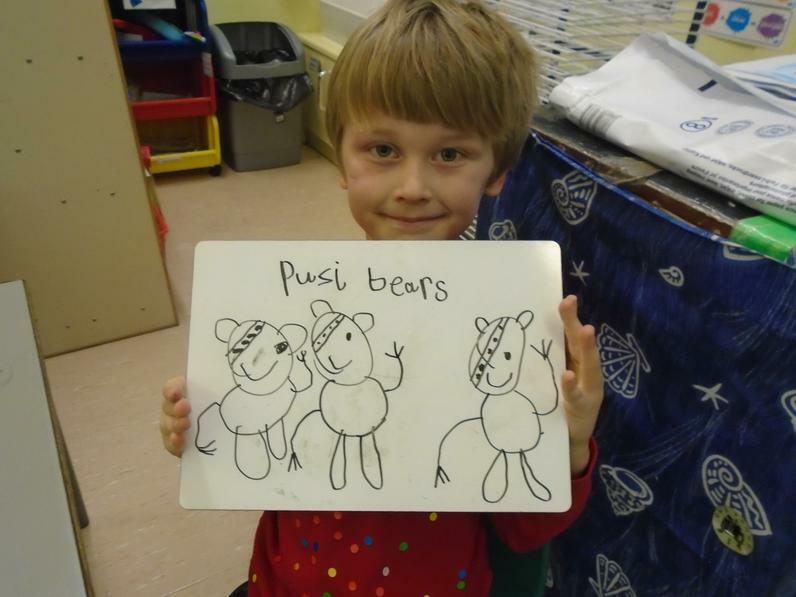 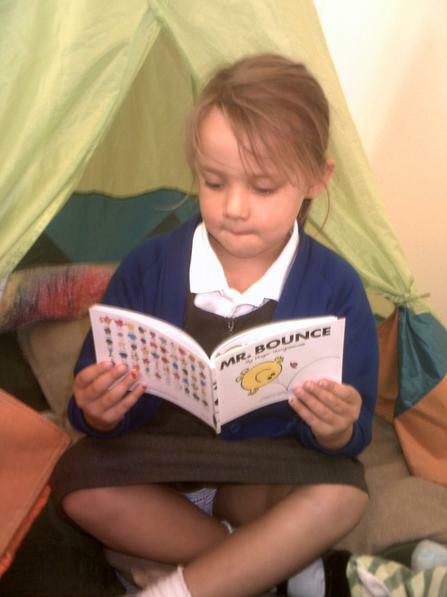 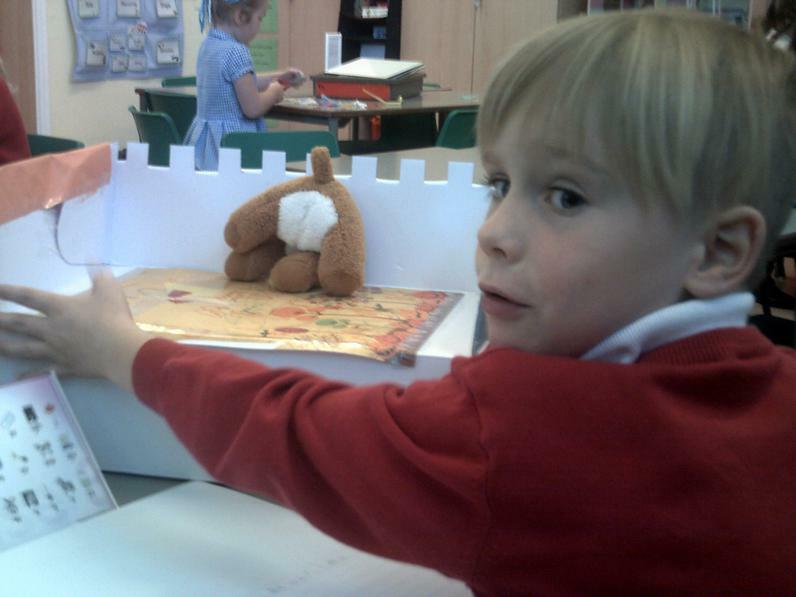 KidsTV A great website to support phonic learning at home.